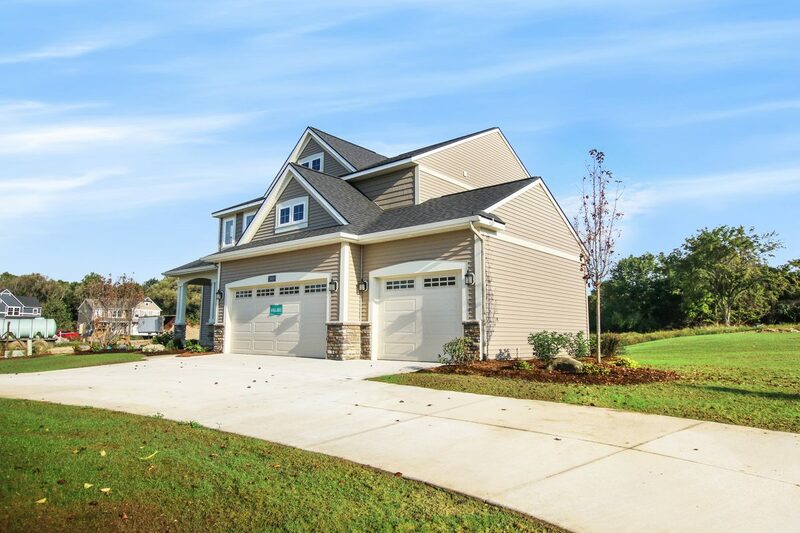 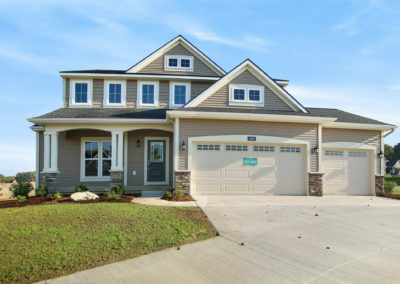 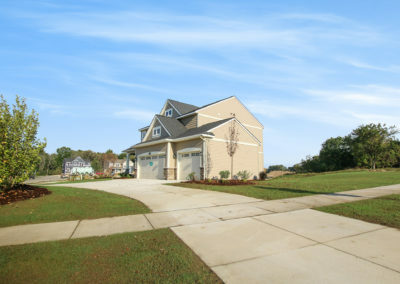 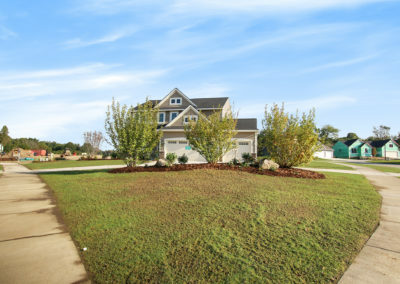 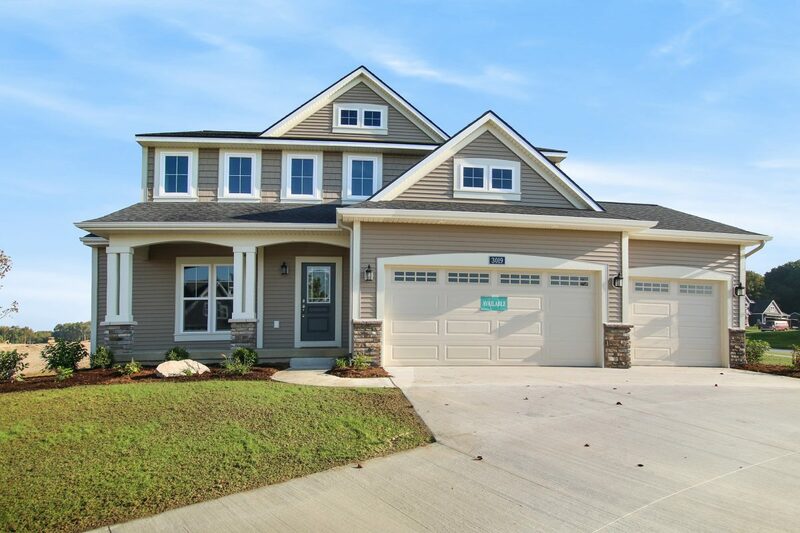 The Sanibel is an exceptionally popular two story home plan. 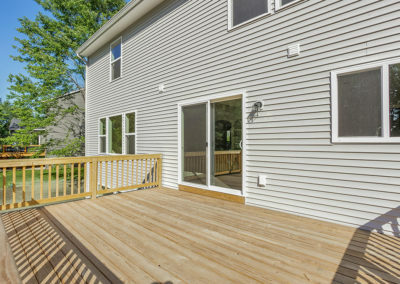 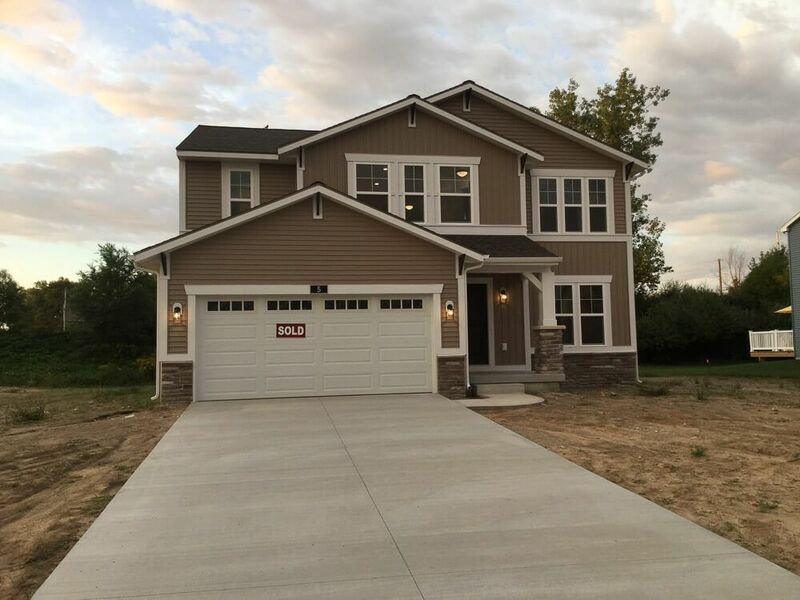 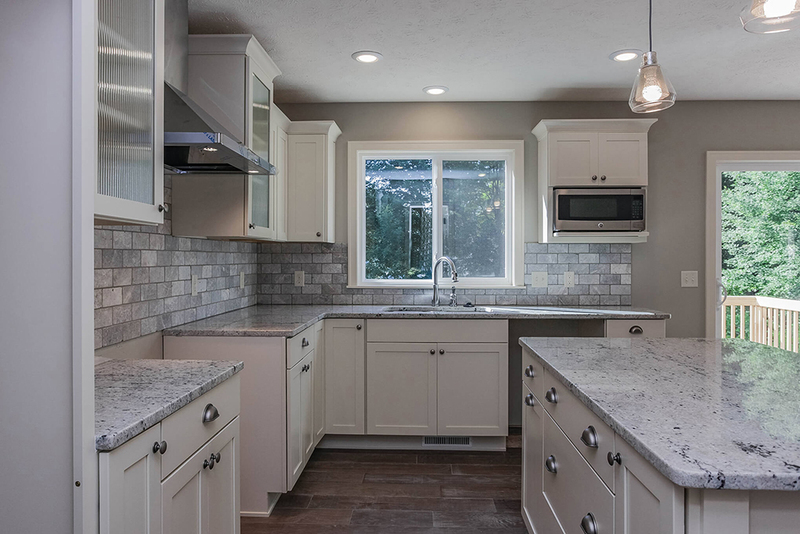 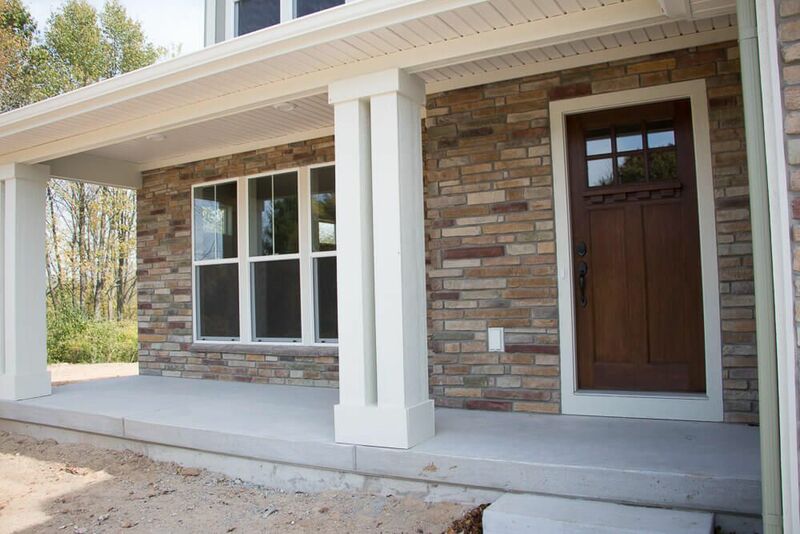 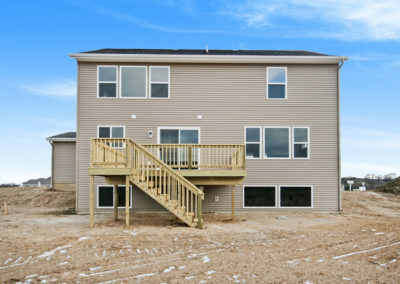 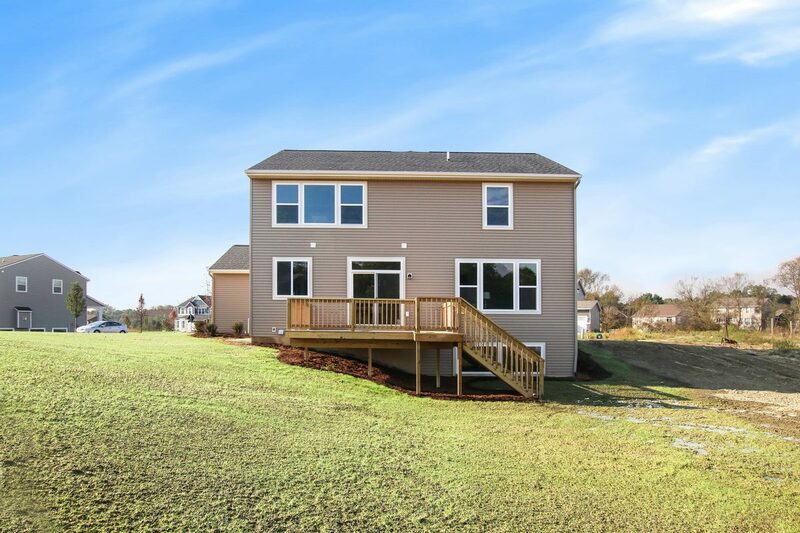 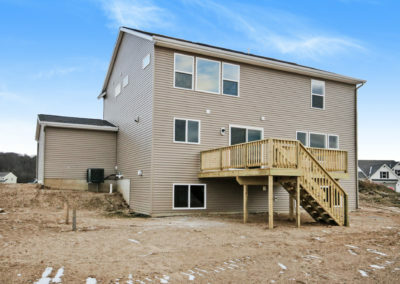 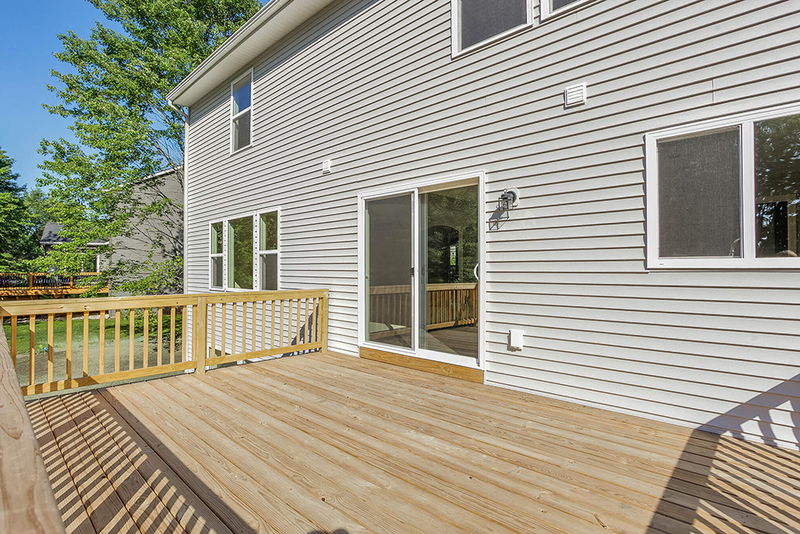 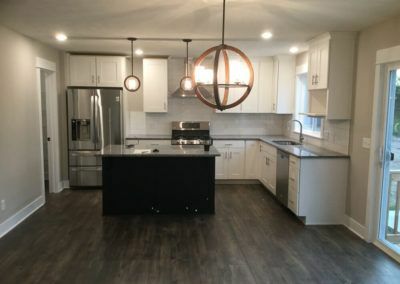 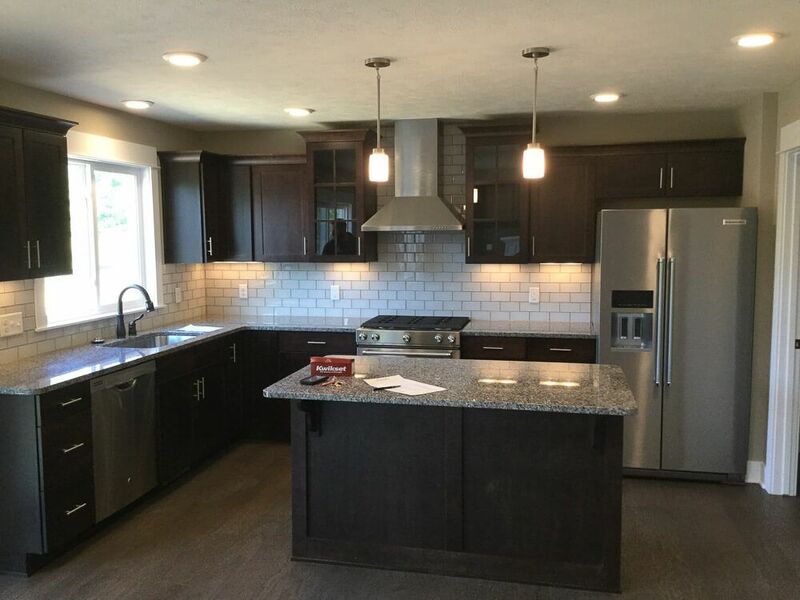 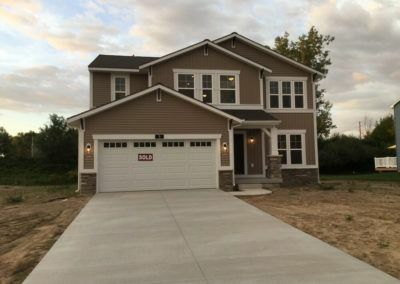 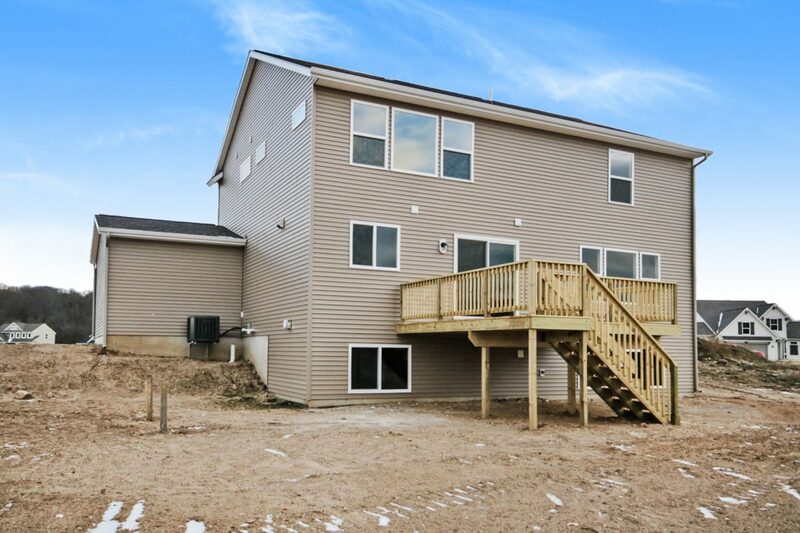 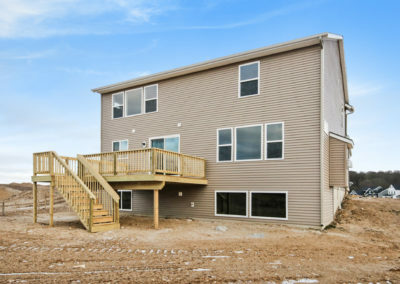 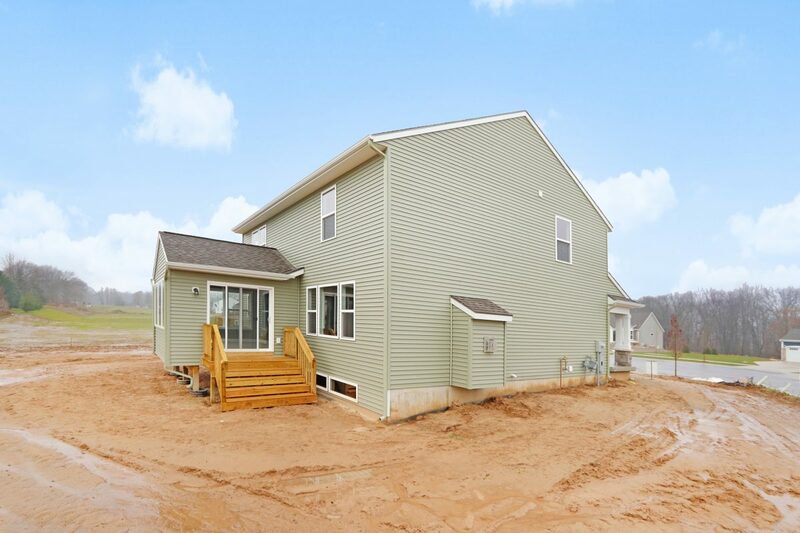 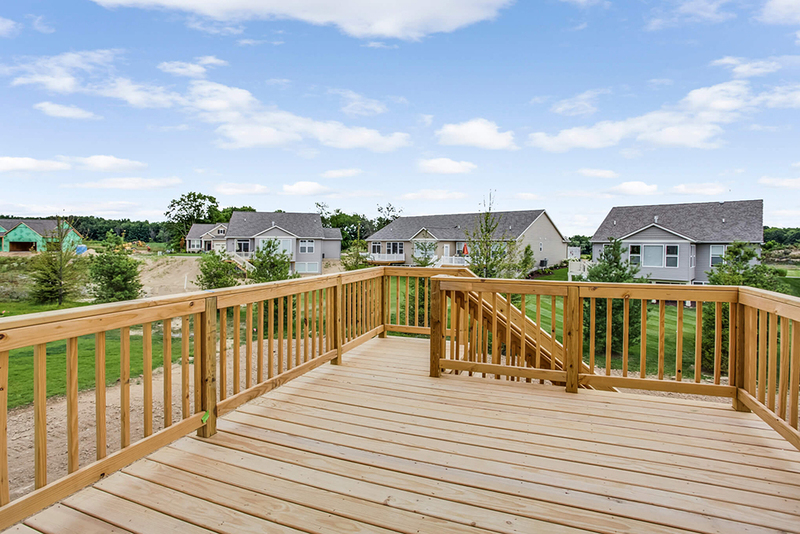 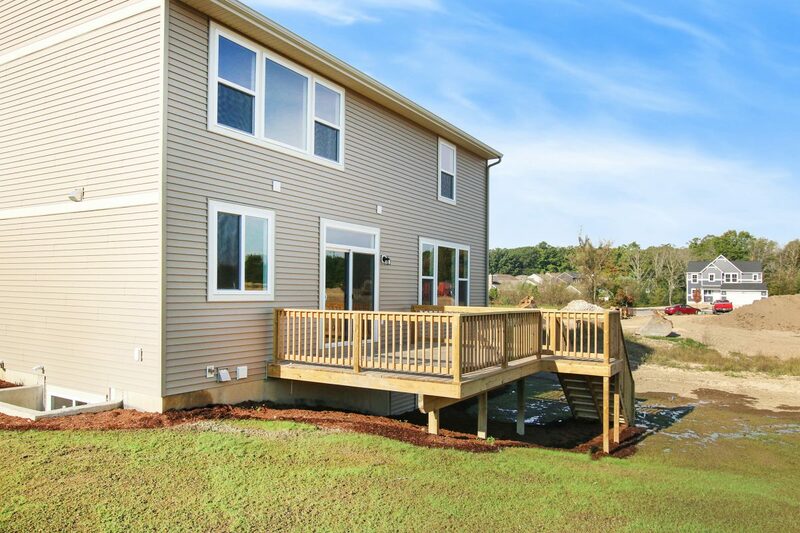 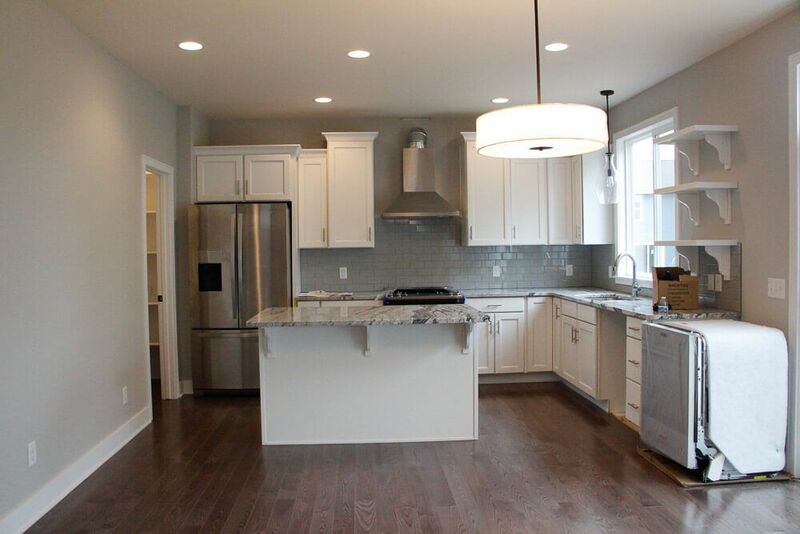 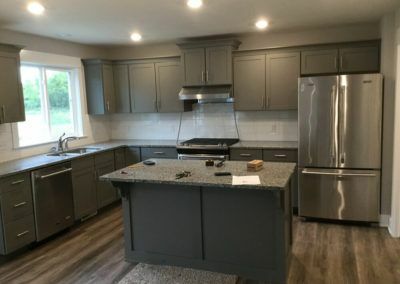 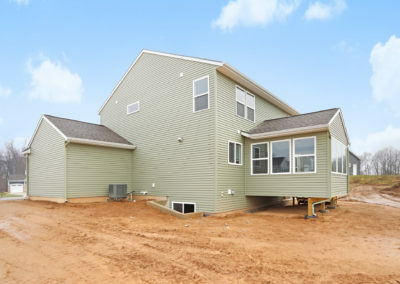 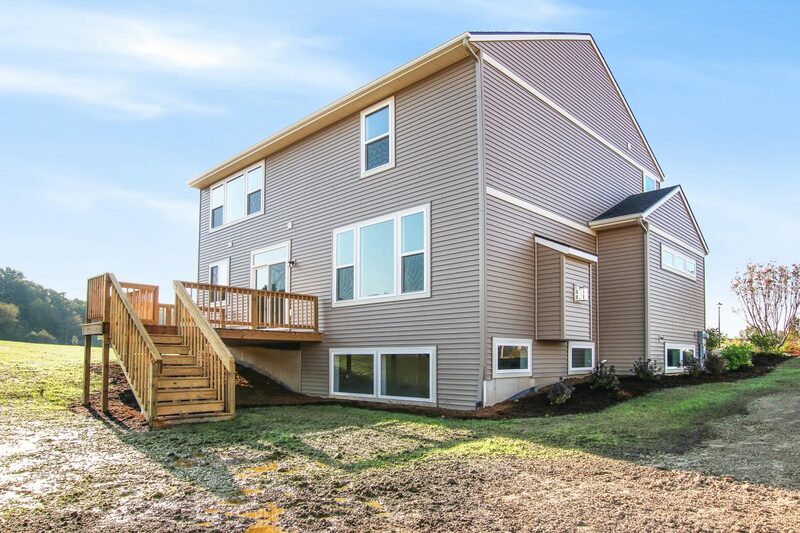 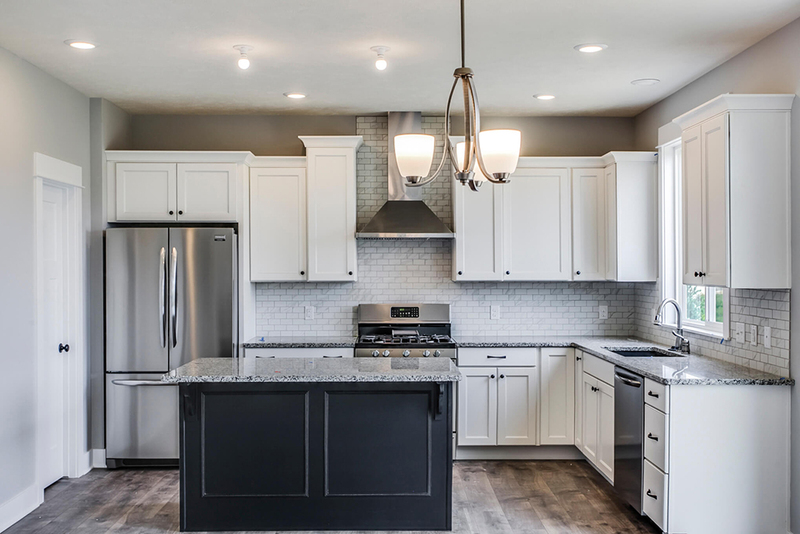 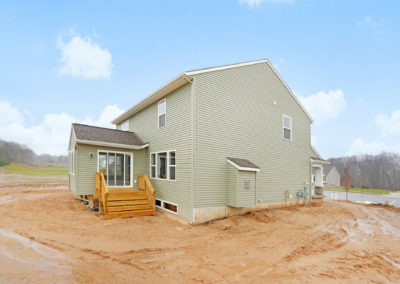 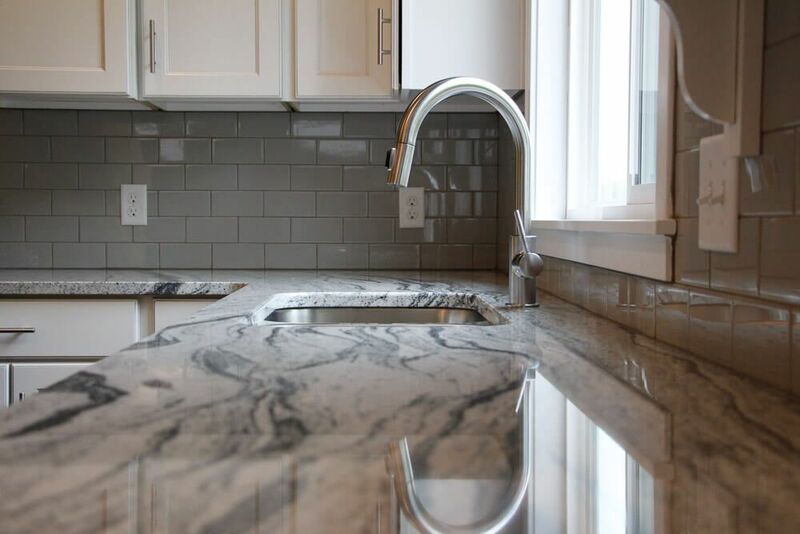 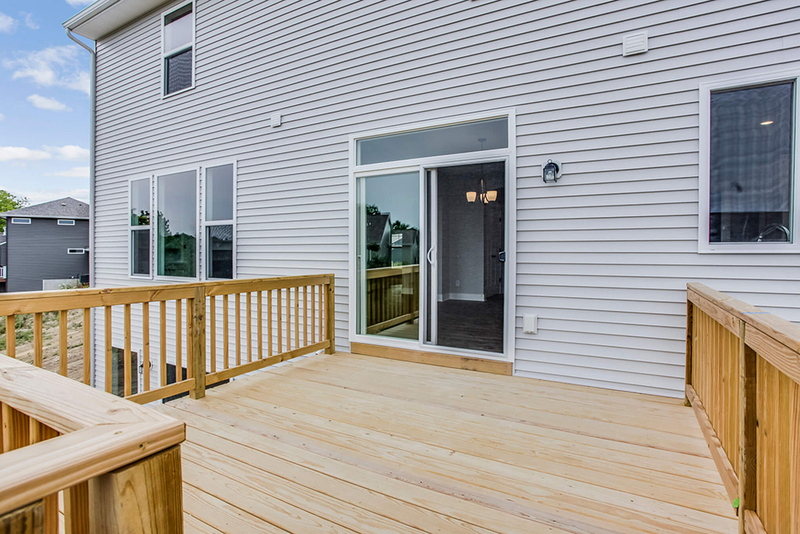 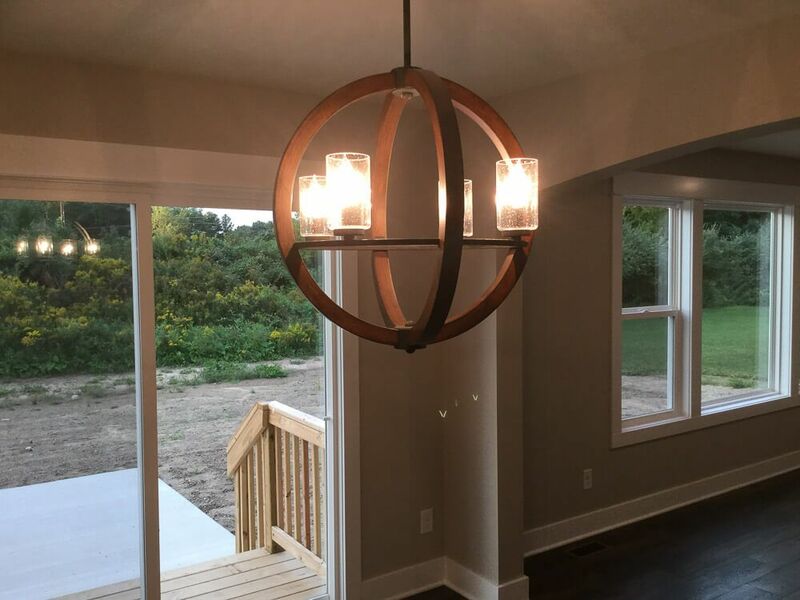 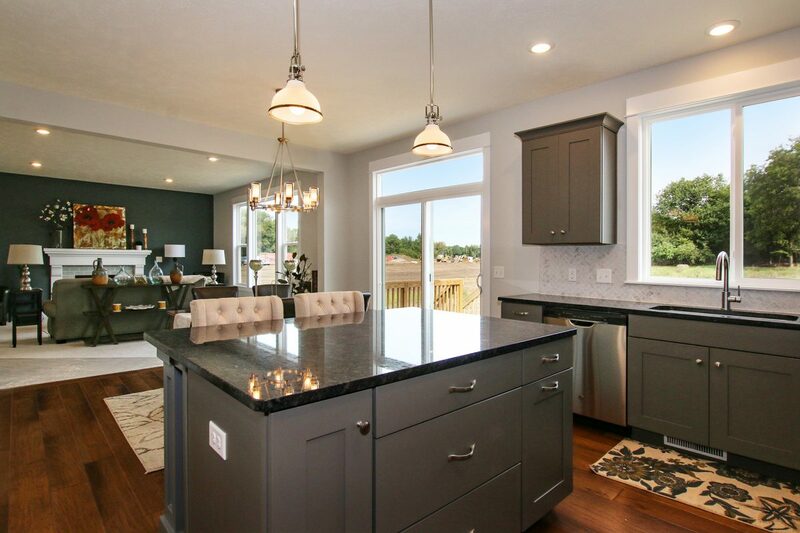 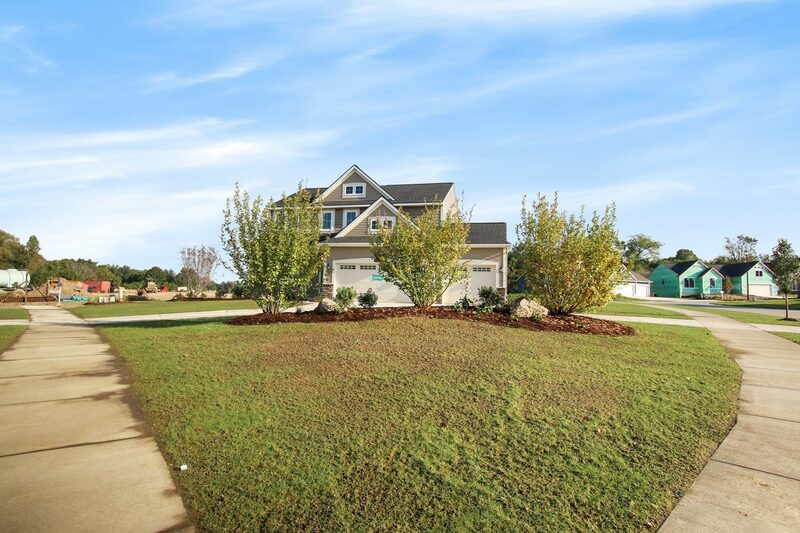 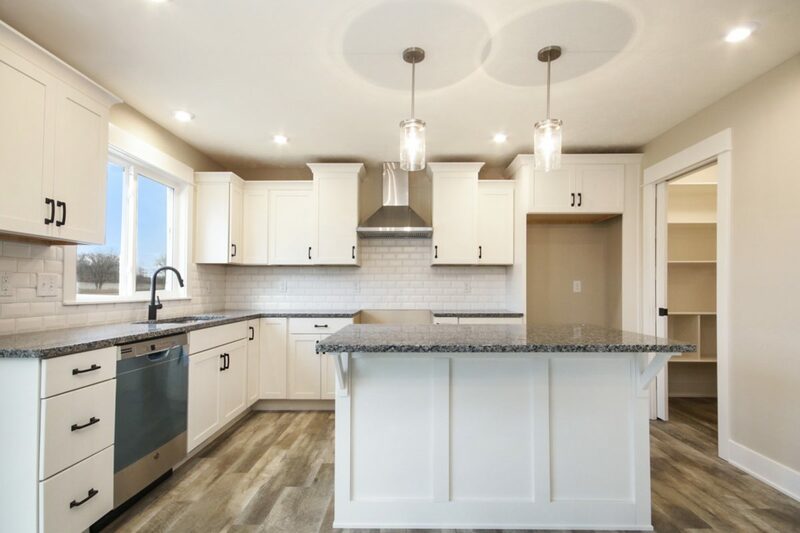 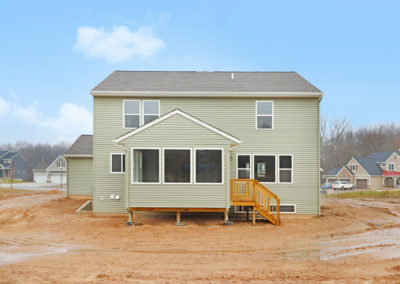 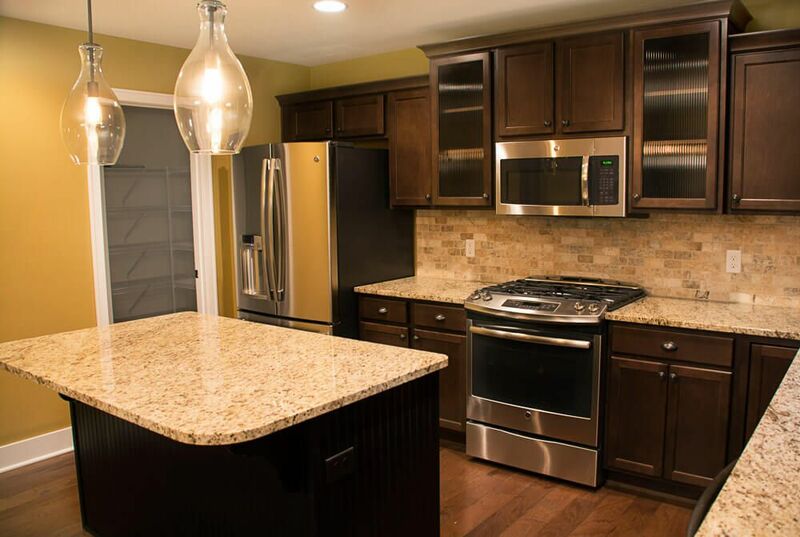 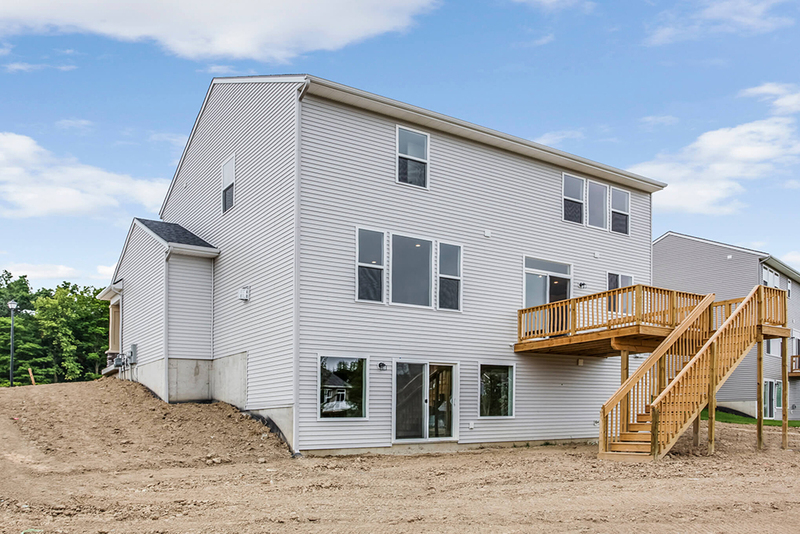 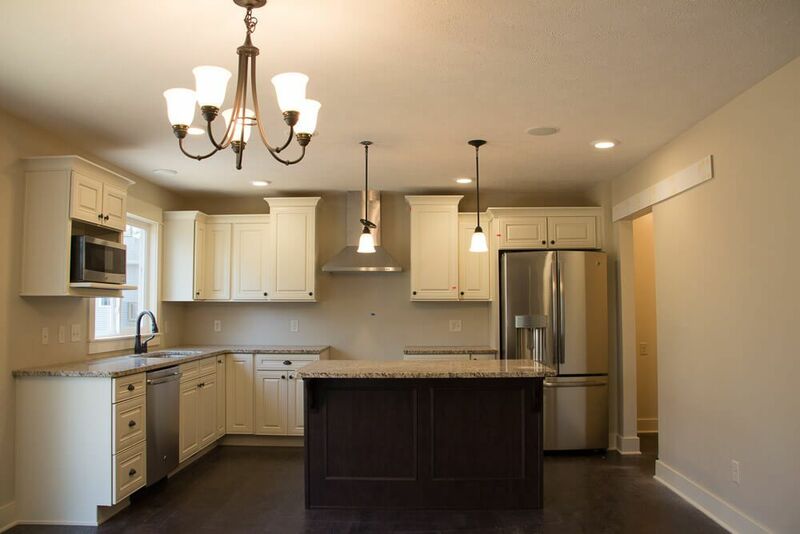 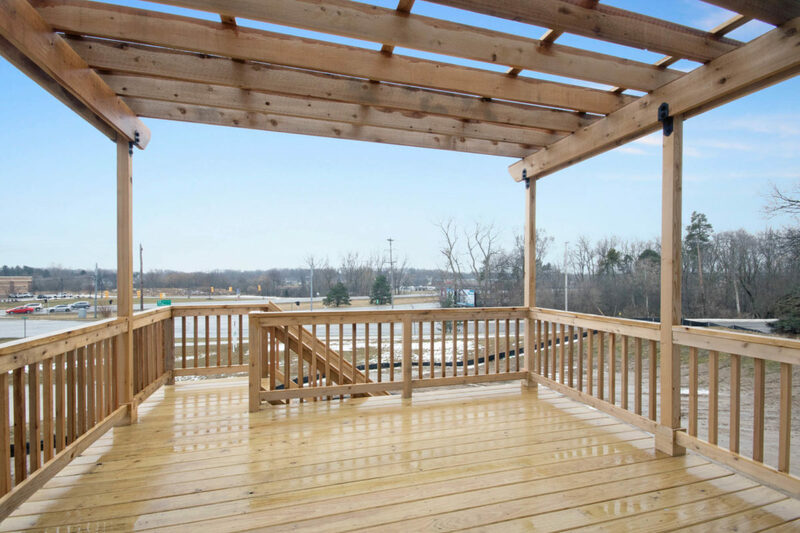 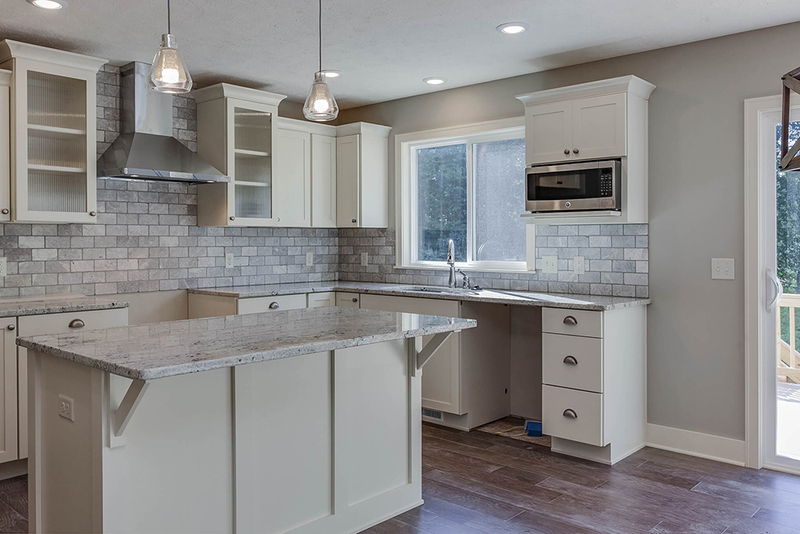 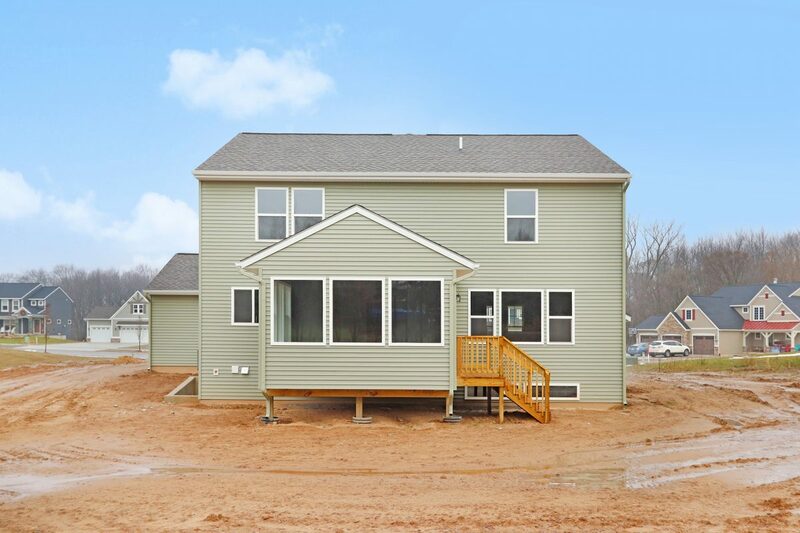 The design offers four bedrooms, two and a half baths, 2208 finished square feet, and lots of room for expansion. 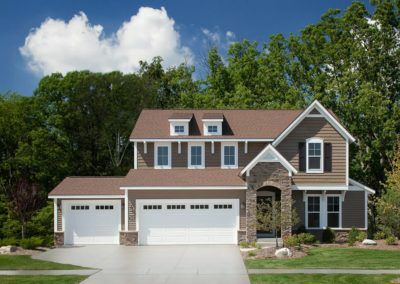 By selecting from an array of internal options and external elevations your new Sanibel house will be exclusively your own, radiating a character and charm unique to your home. 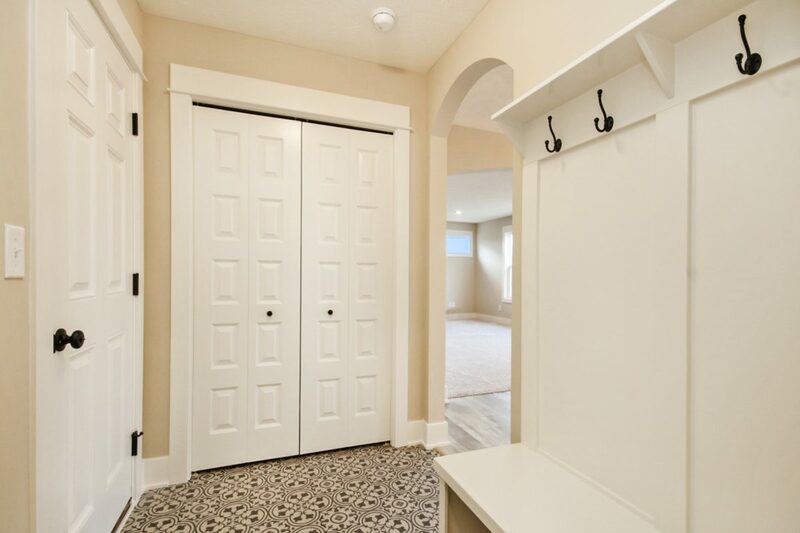 The front porch and entry way lead into the Sanibel’s front flex room. 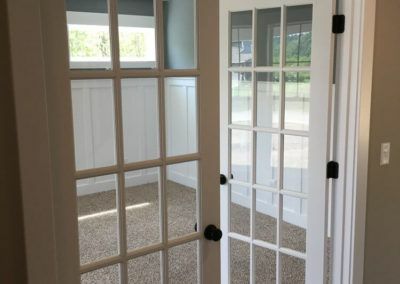 Suitable for an entertaining or sitting room, the flex room has the option to add more windows or completely transform the space into a front office with stylish French doors. 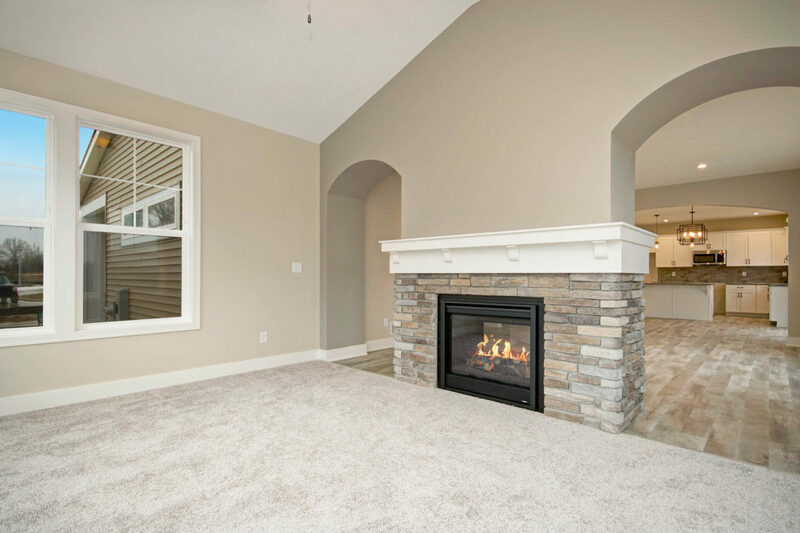 Beyond the flex room is the generous family room, and the wall between these spaces can be enhanced with an elegant two-sided fireplace. 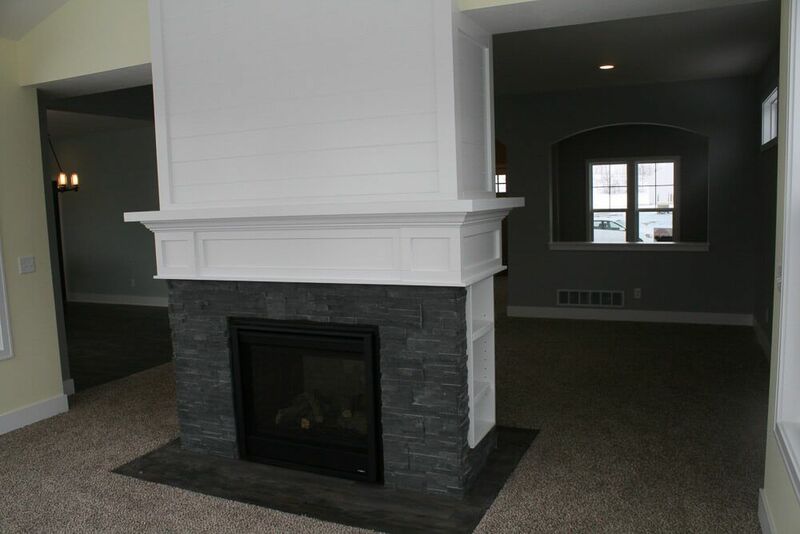 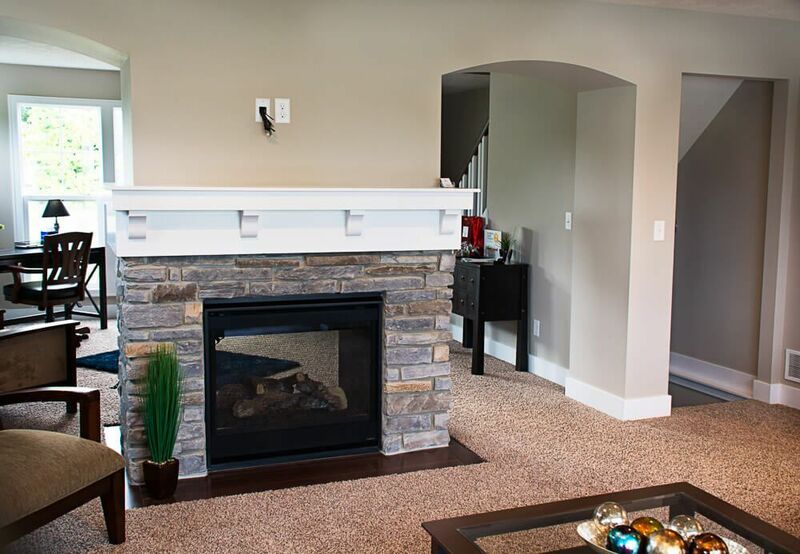 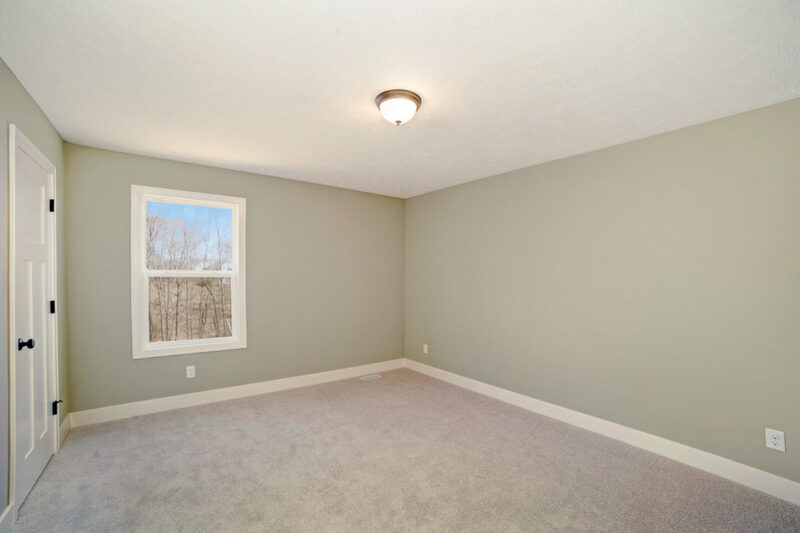 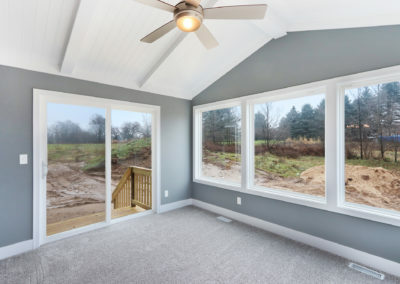 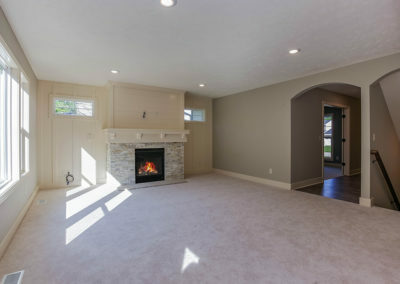 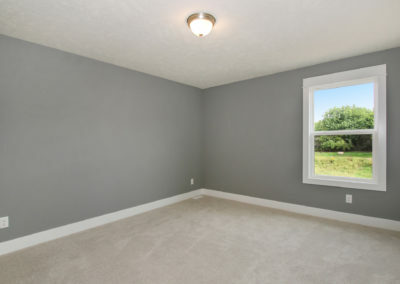 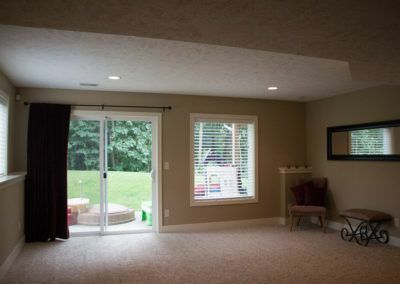 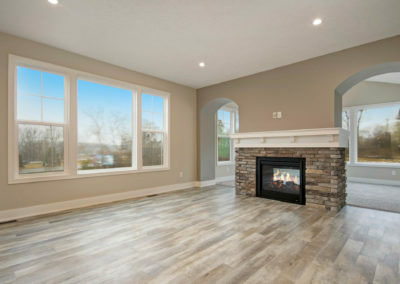 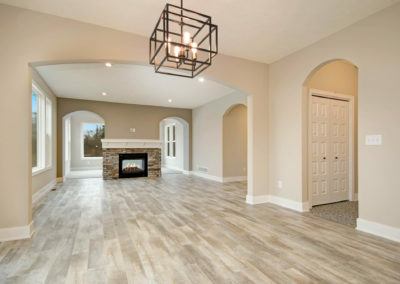 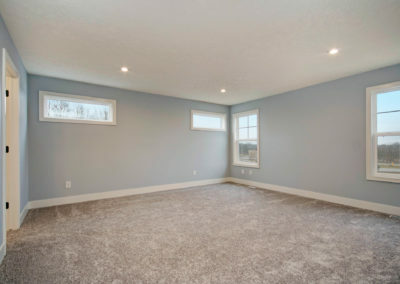 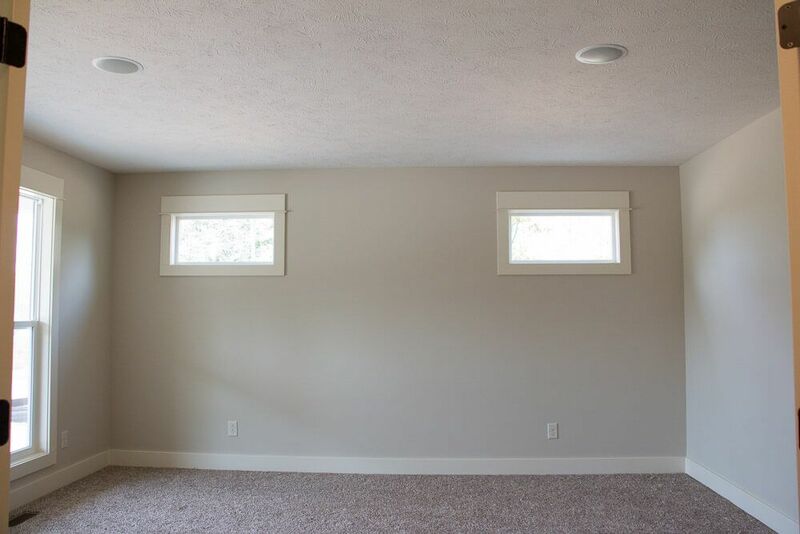 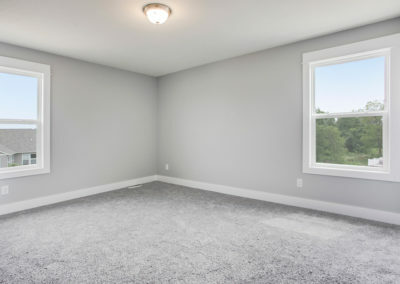 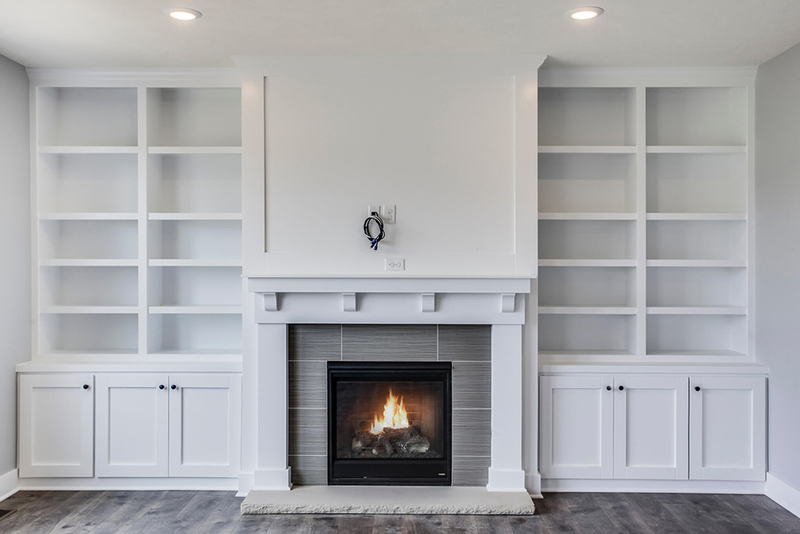 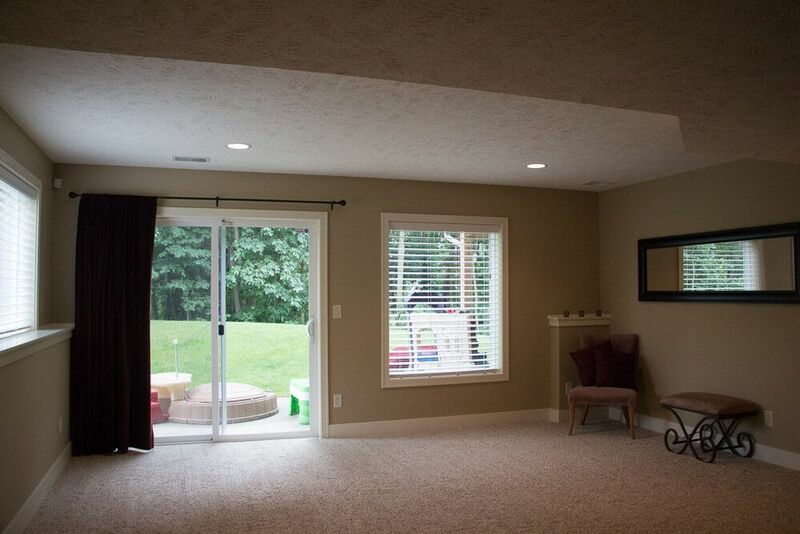 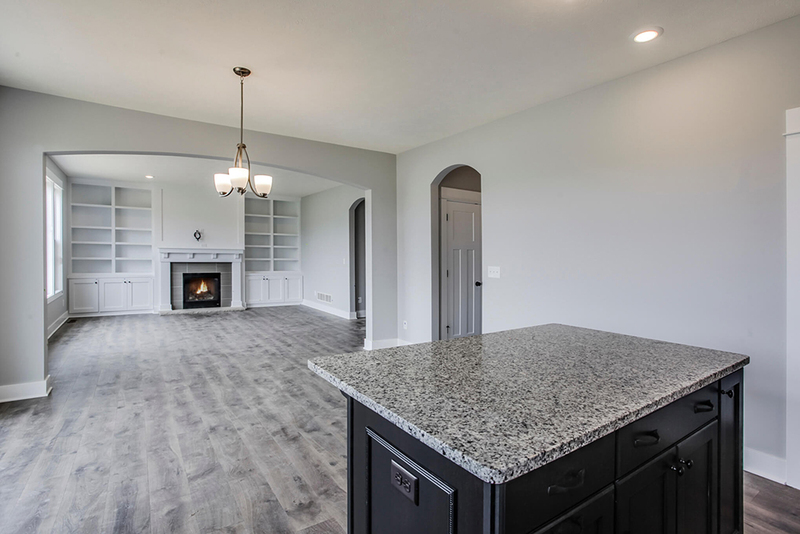 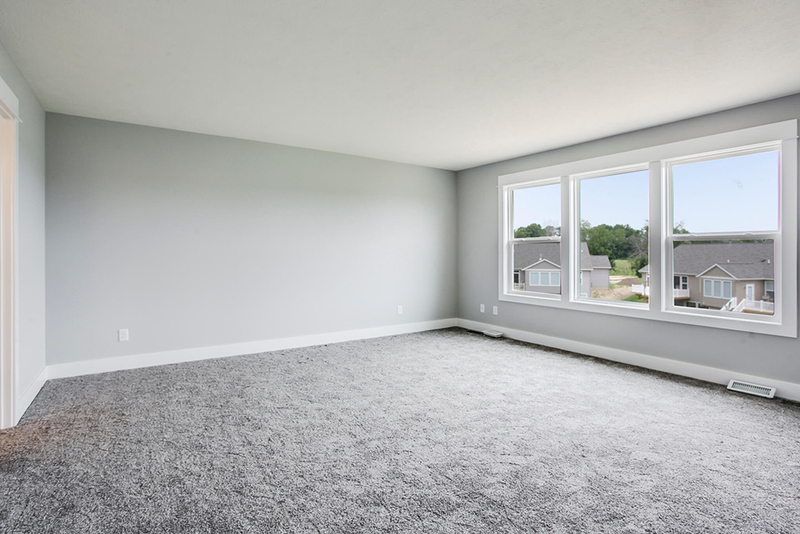 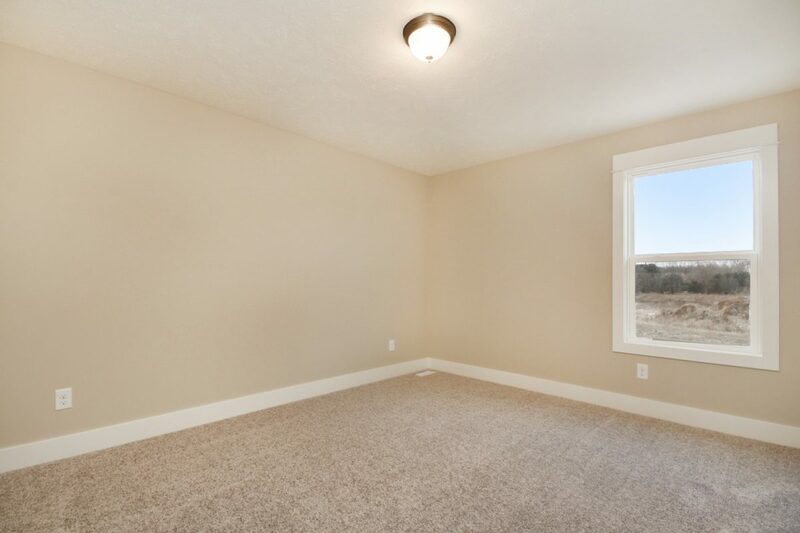 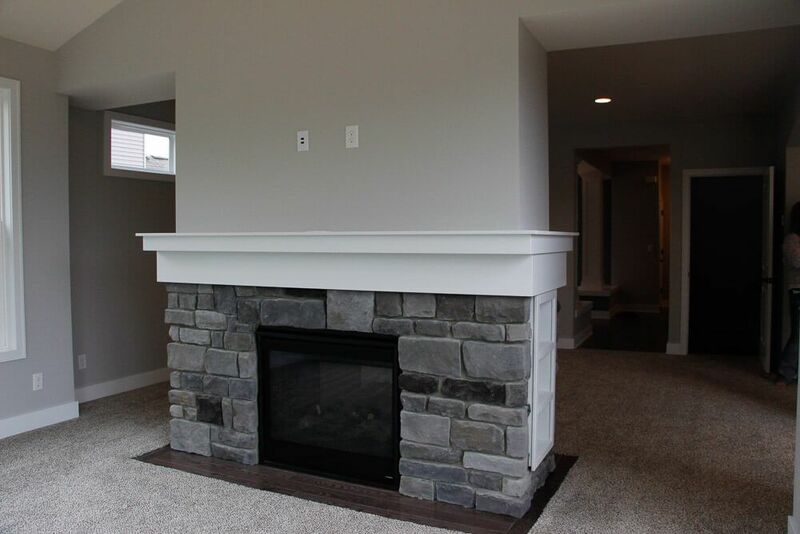 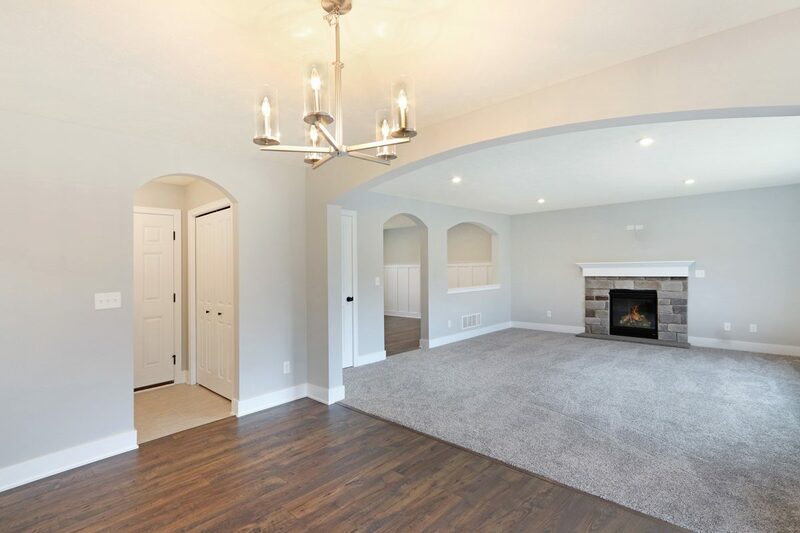 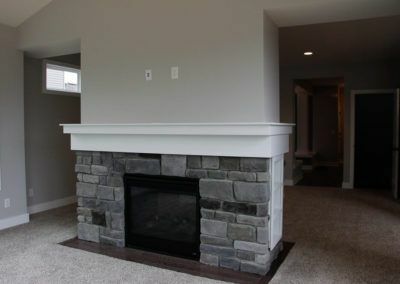 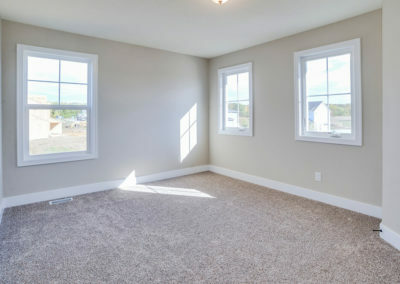 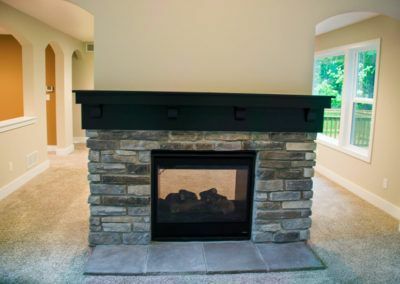 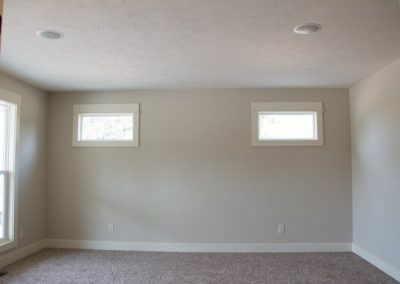 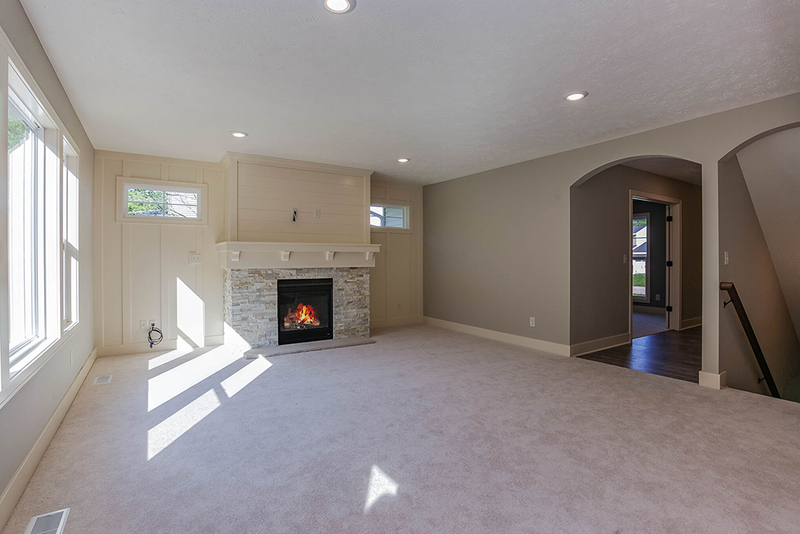 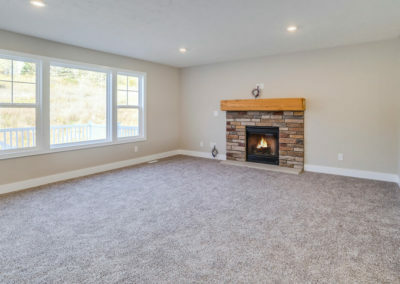 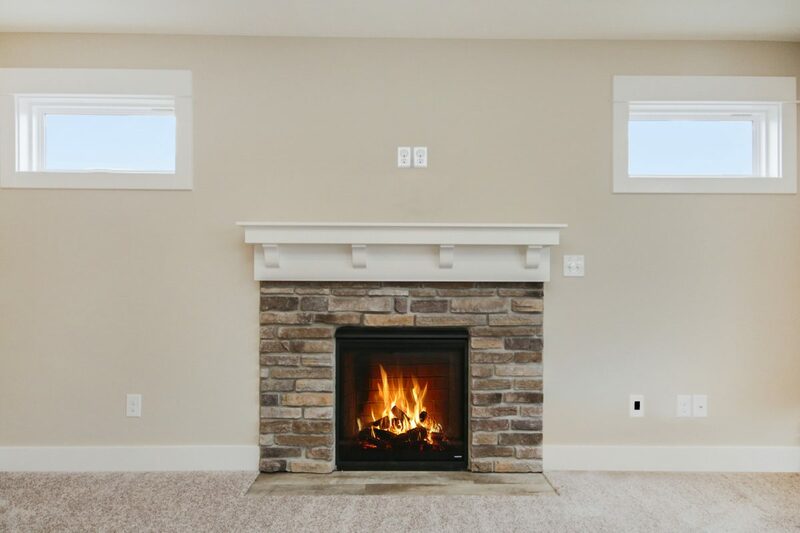 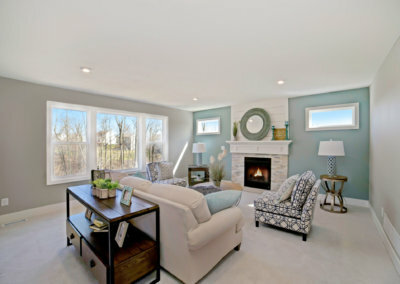 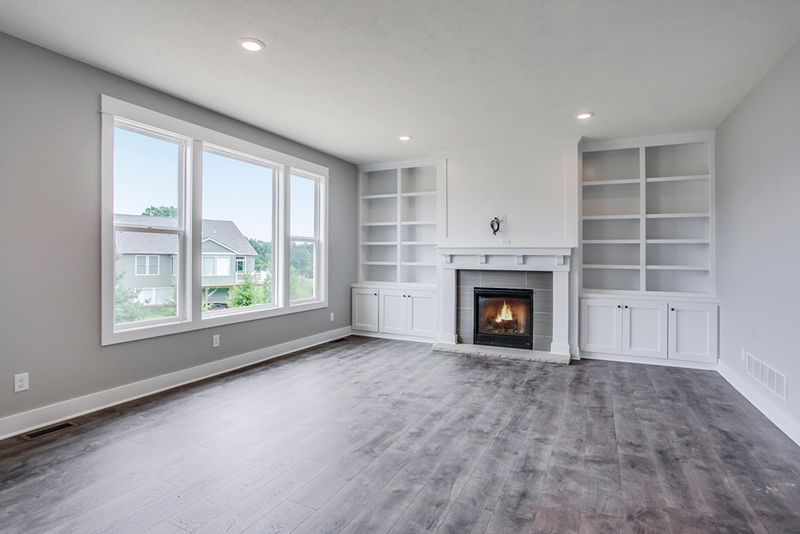 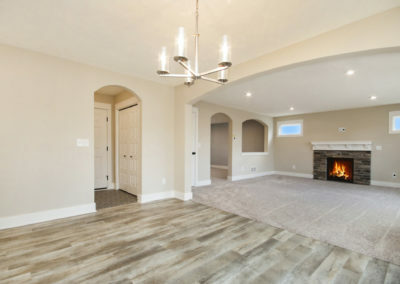 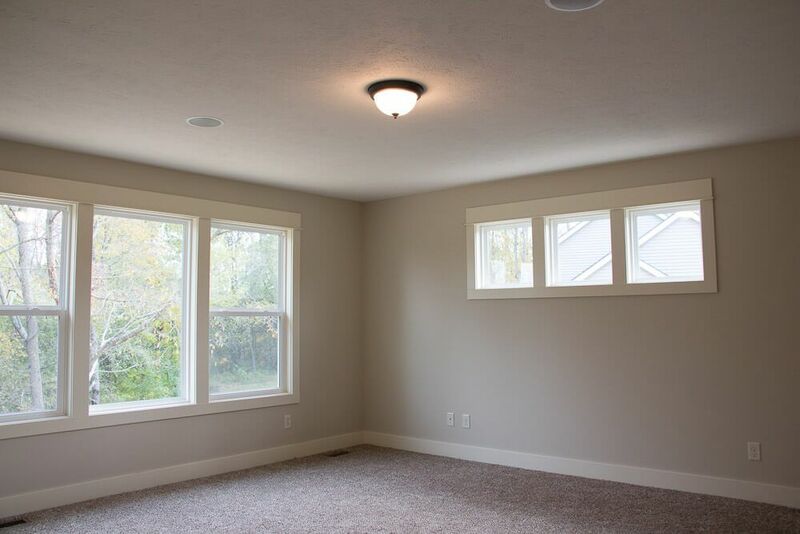 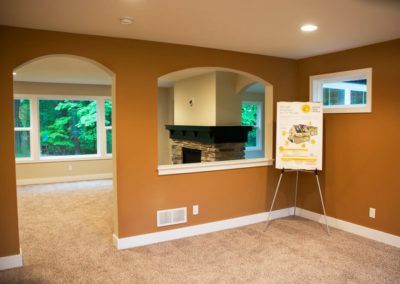 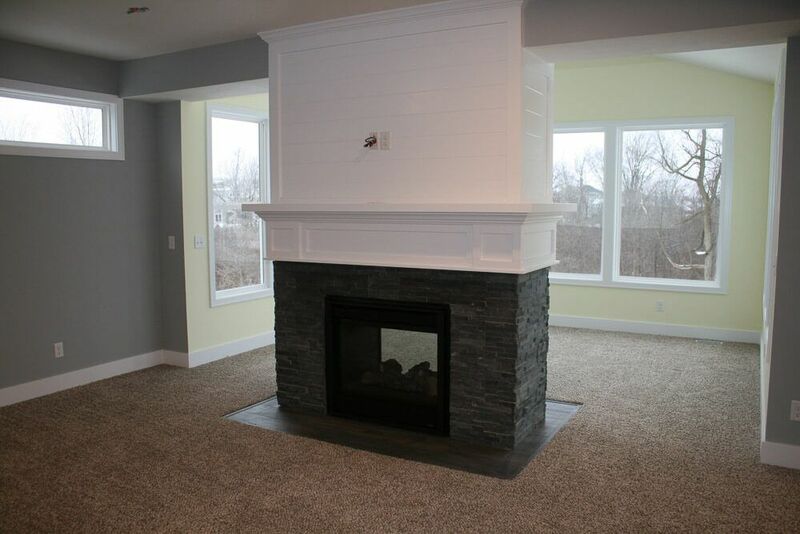 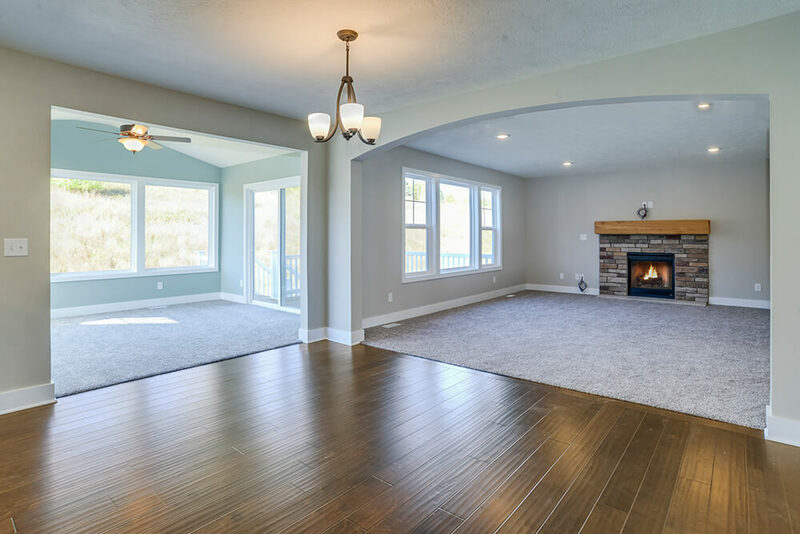 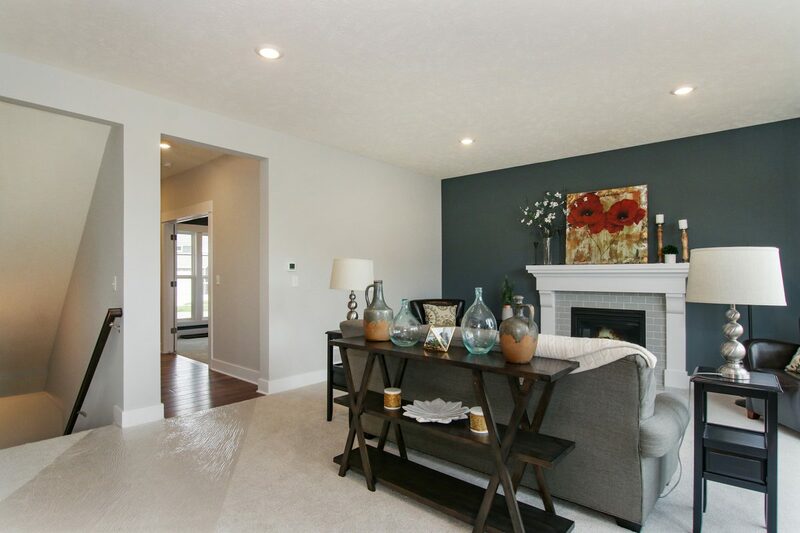 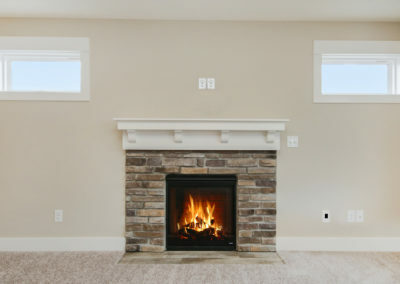 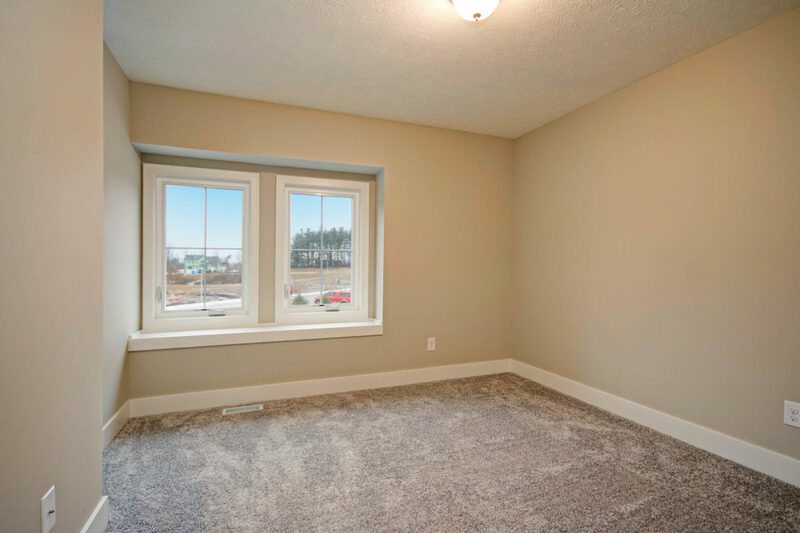 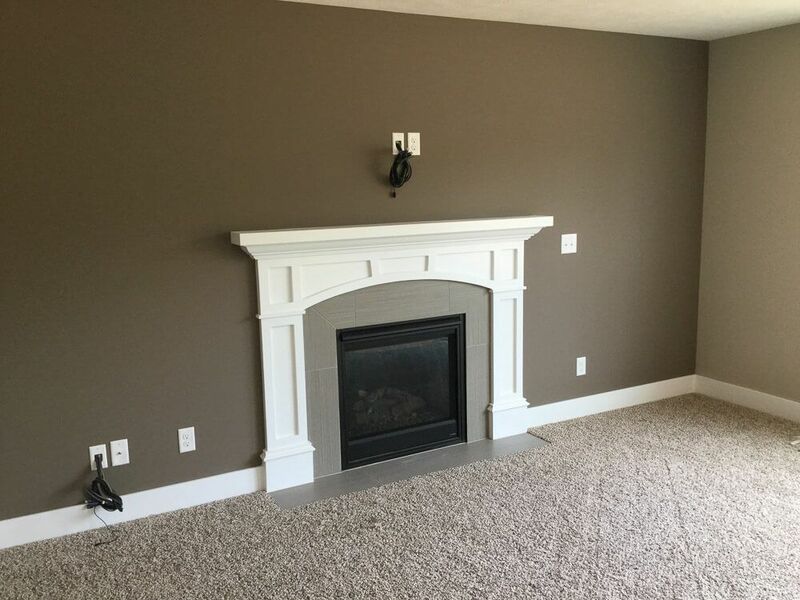 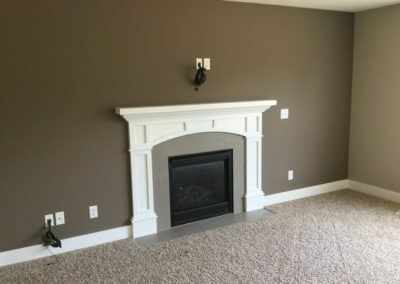 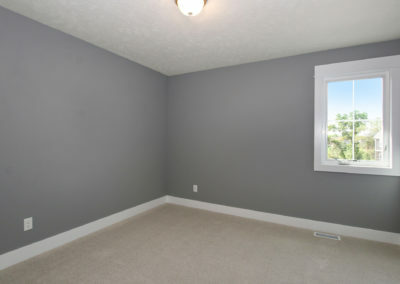 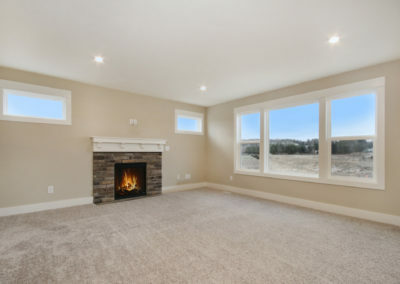 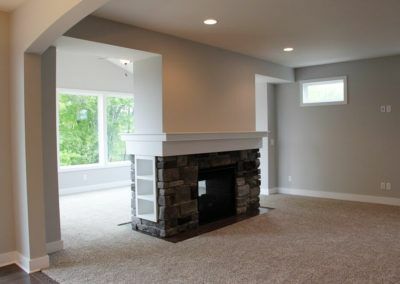 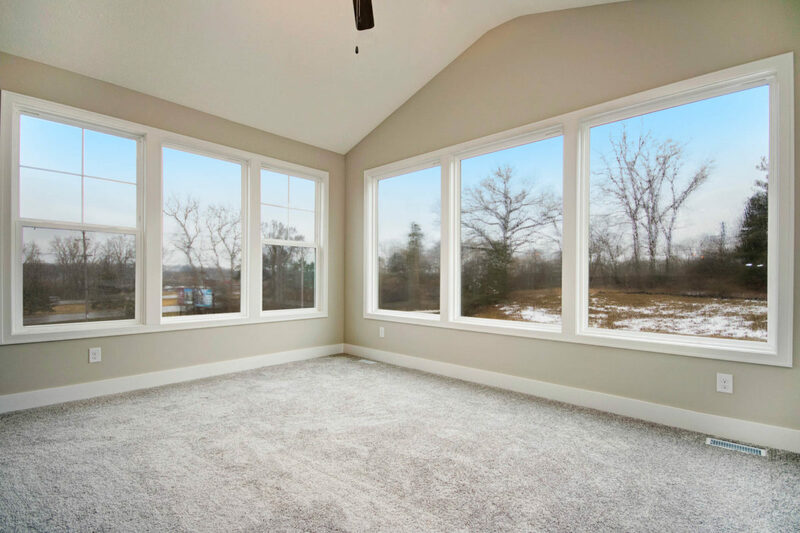 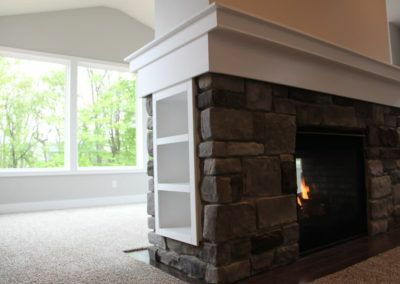 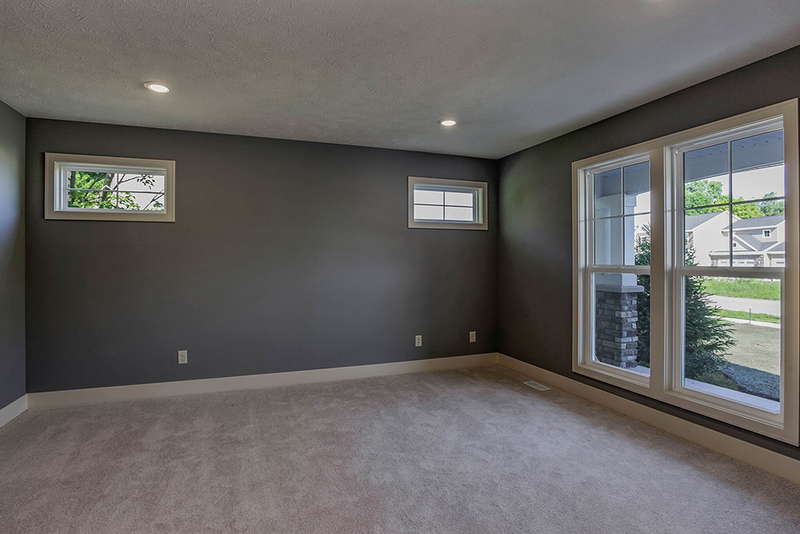 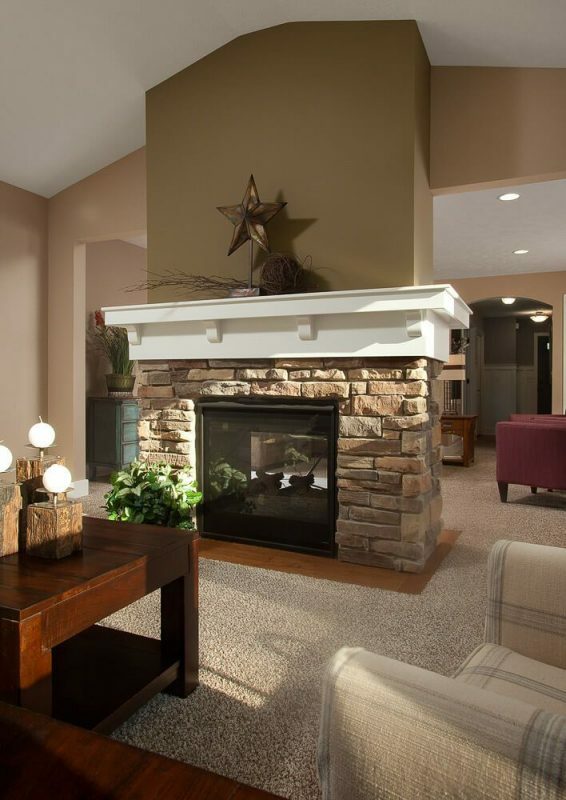 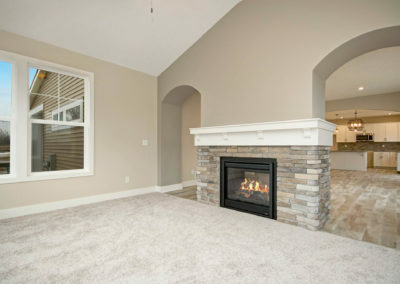 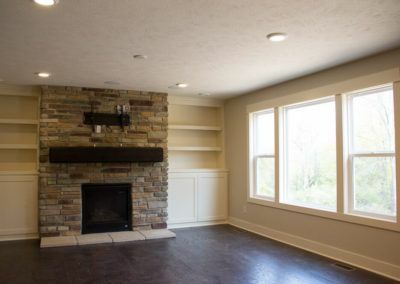 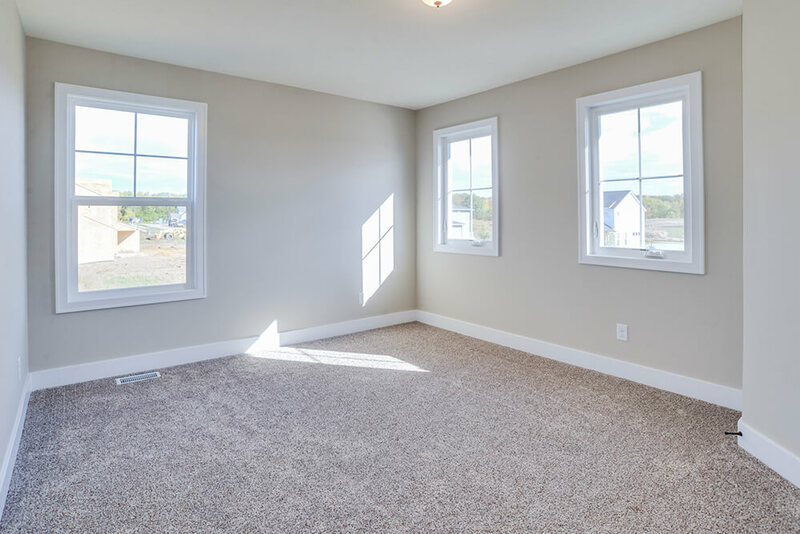 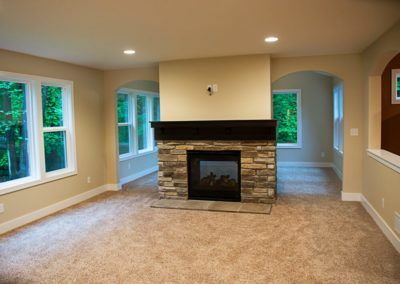 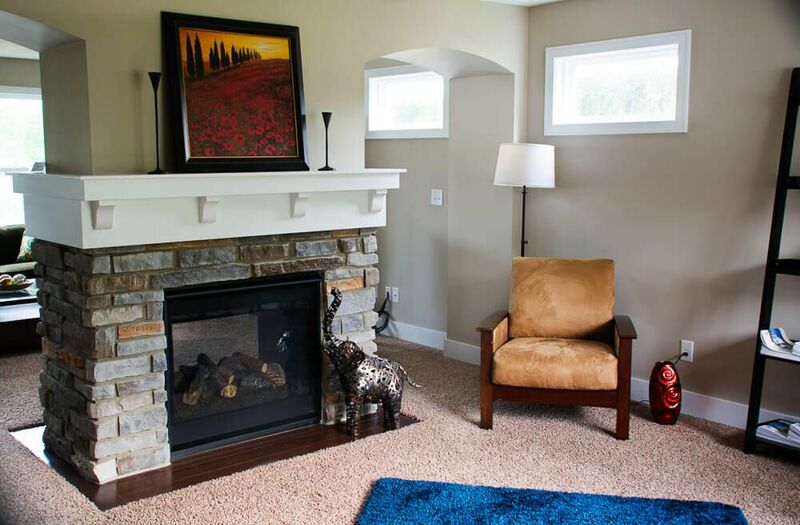 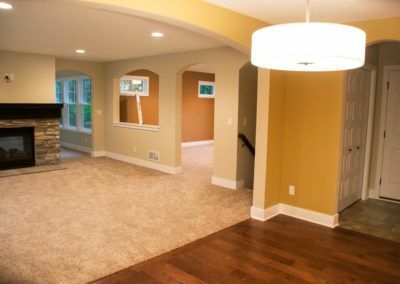 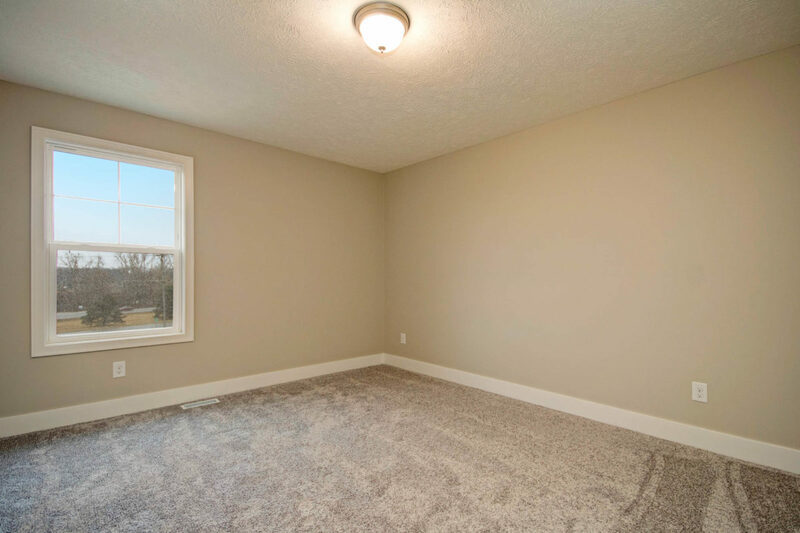 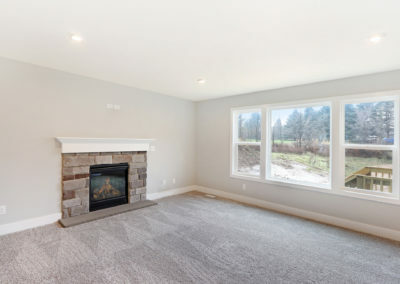 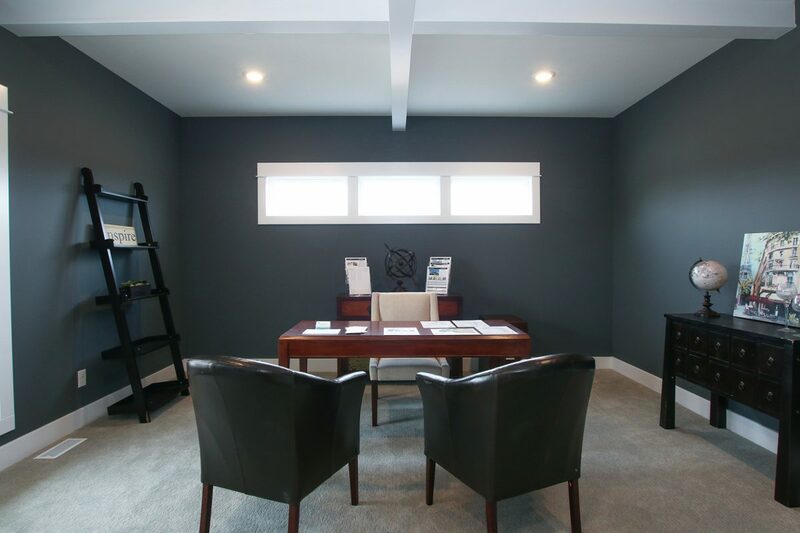 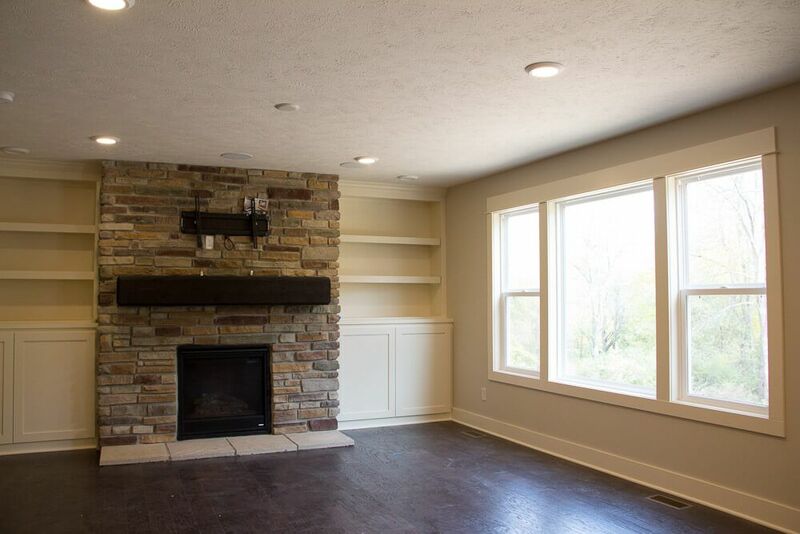 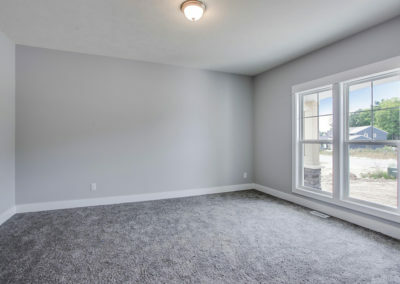 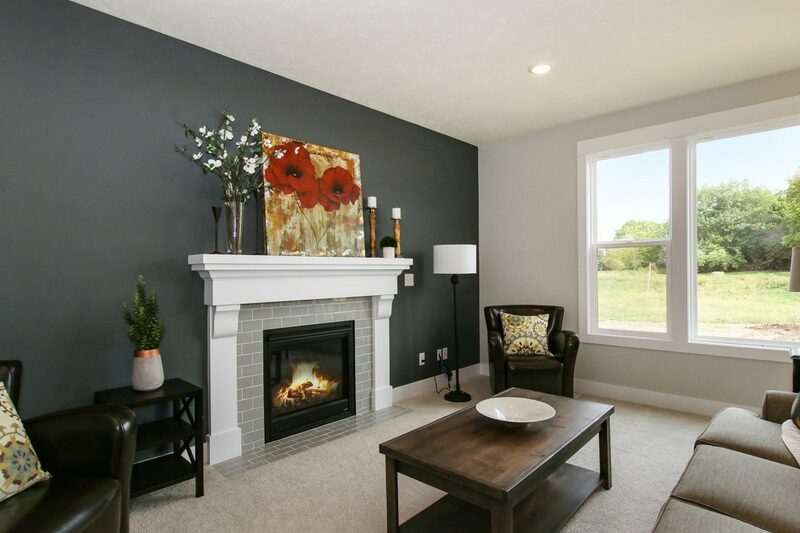 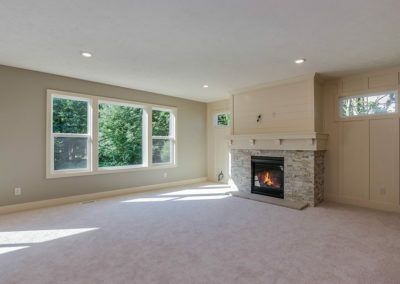 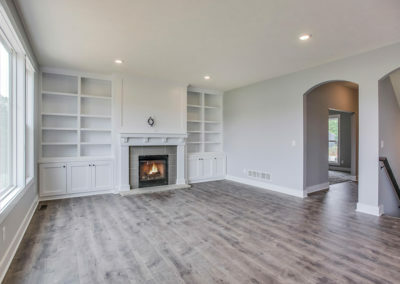 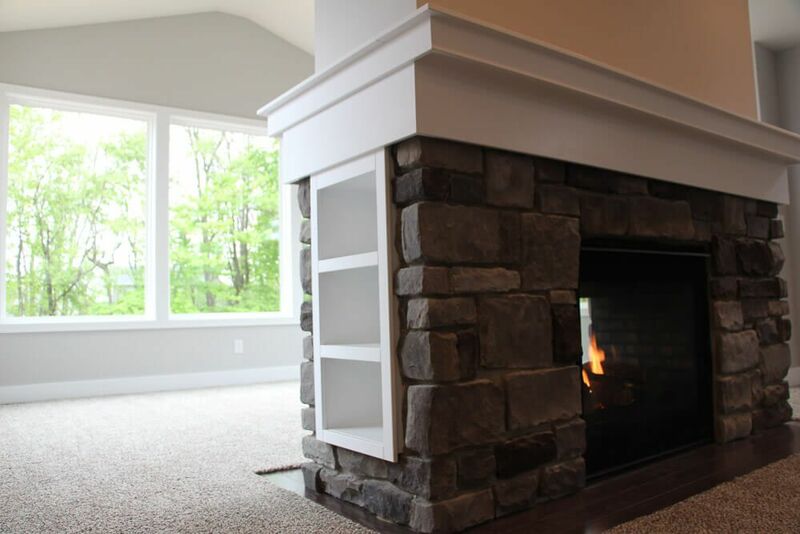 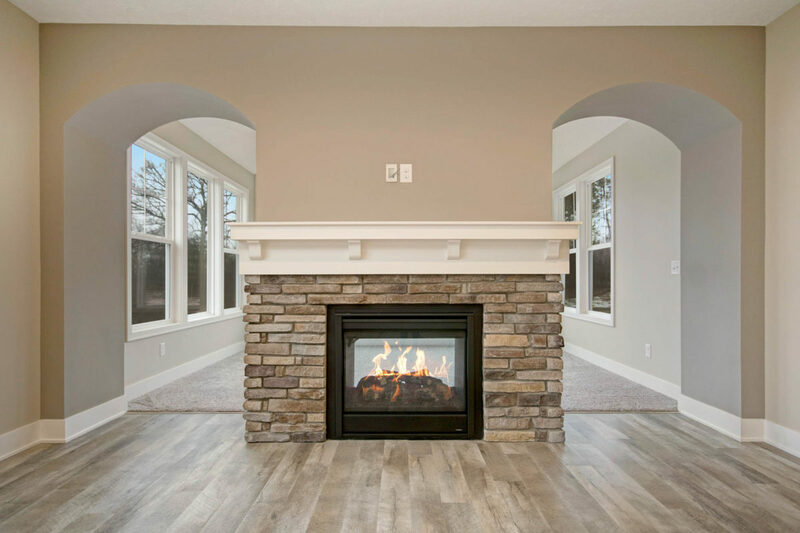 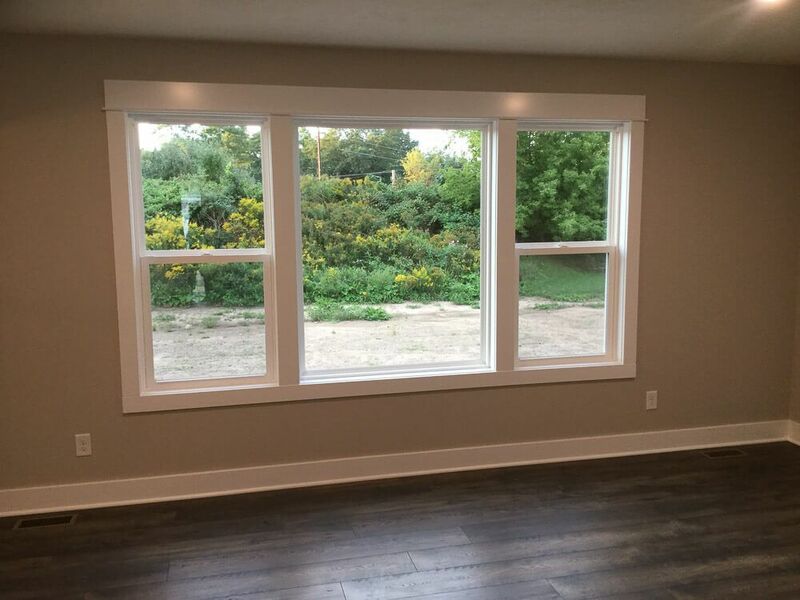 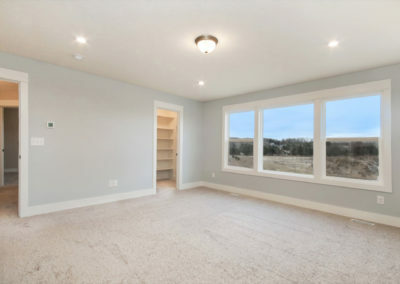 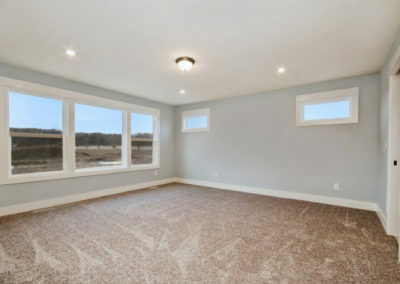 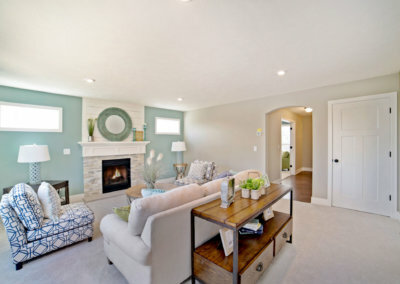 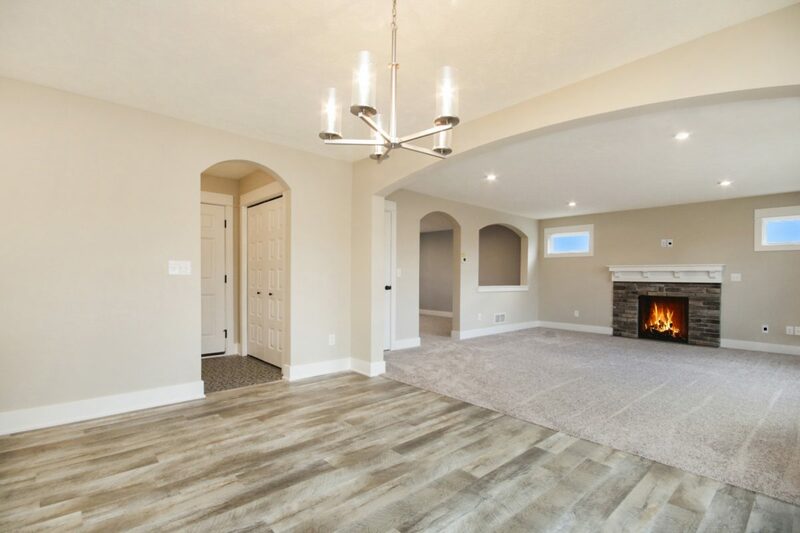 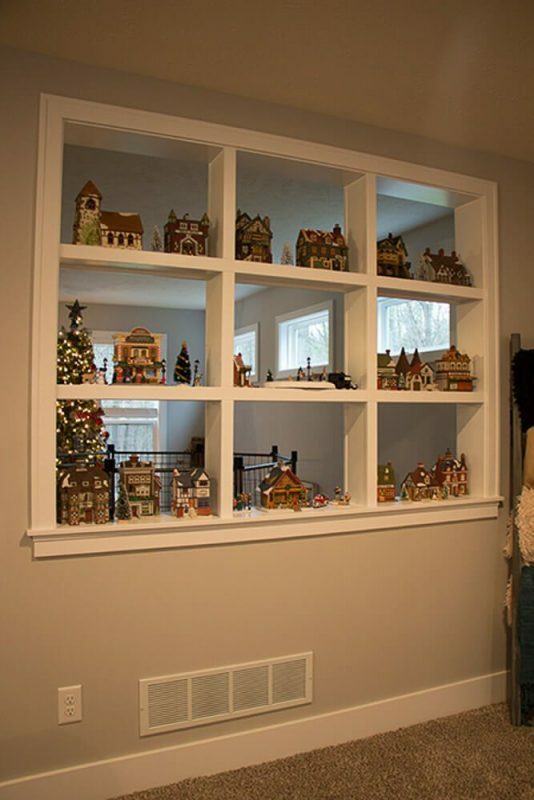 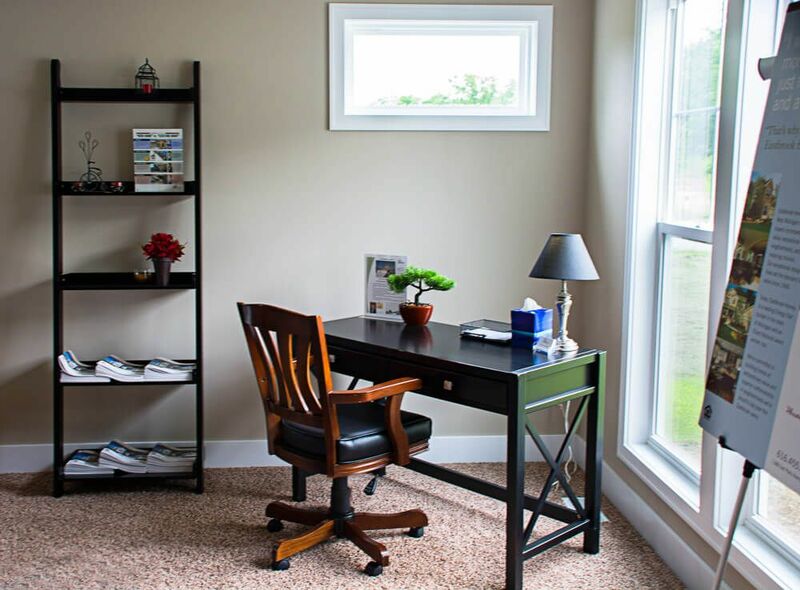 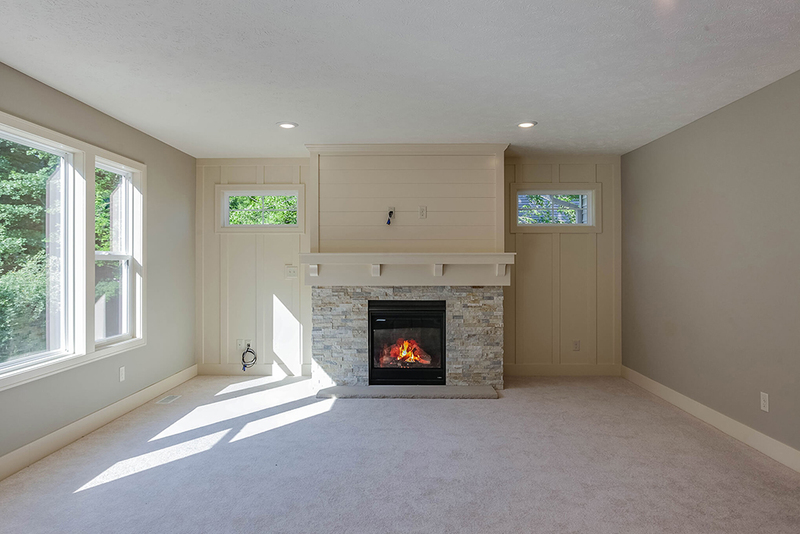 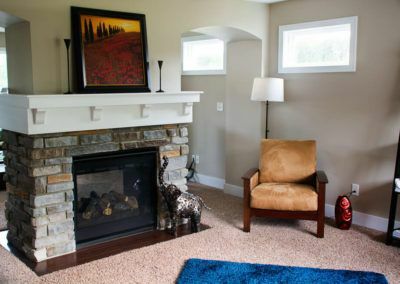 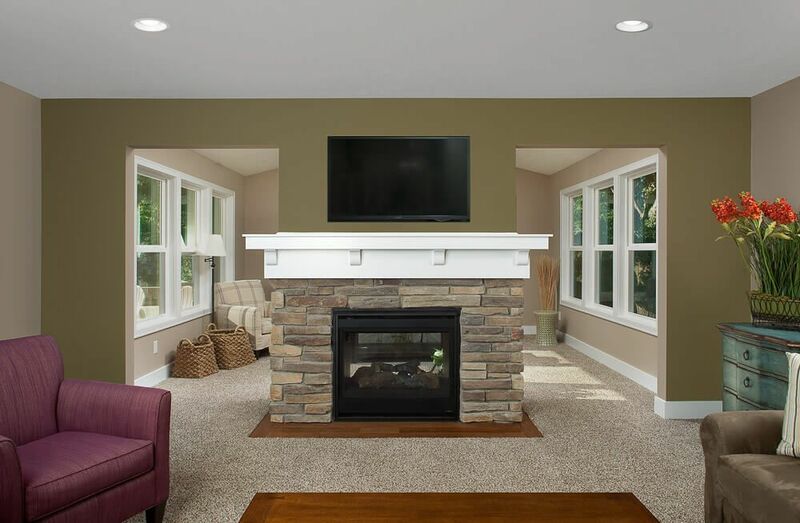 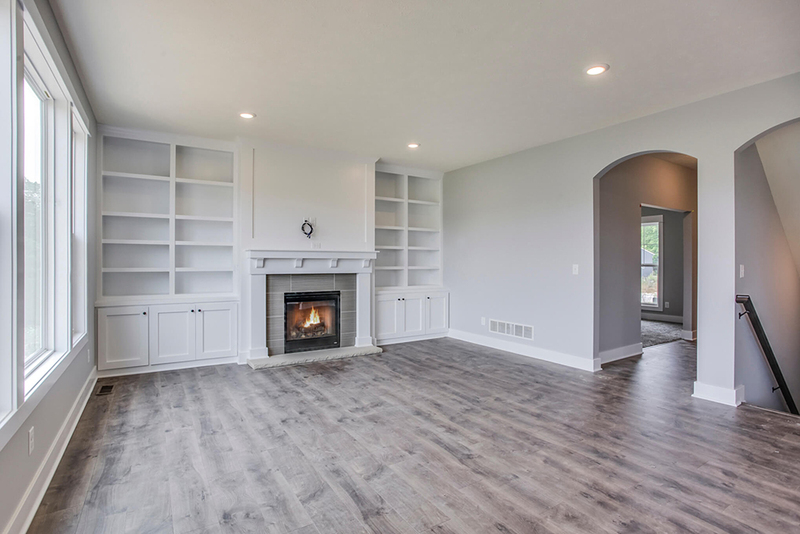 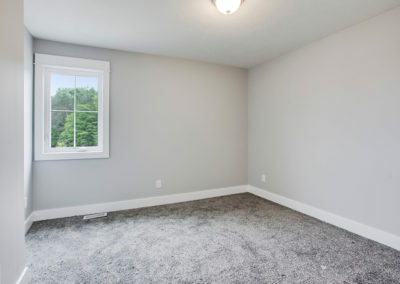 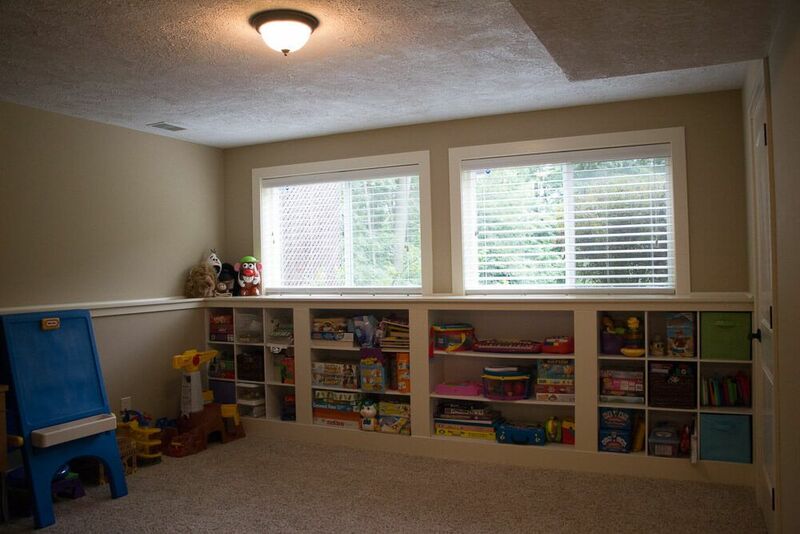 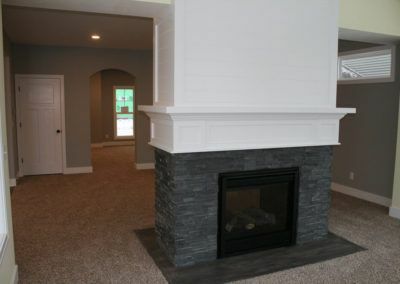 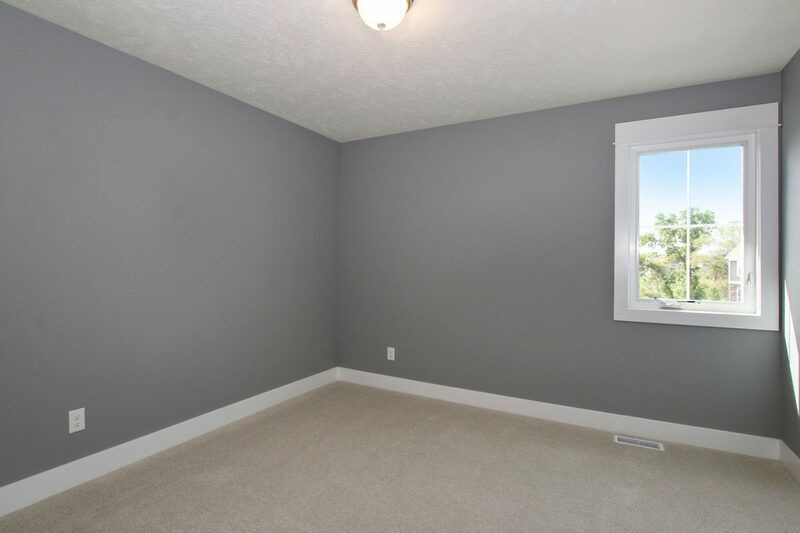 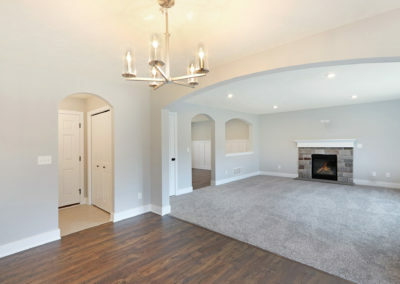 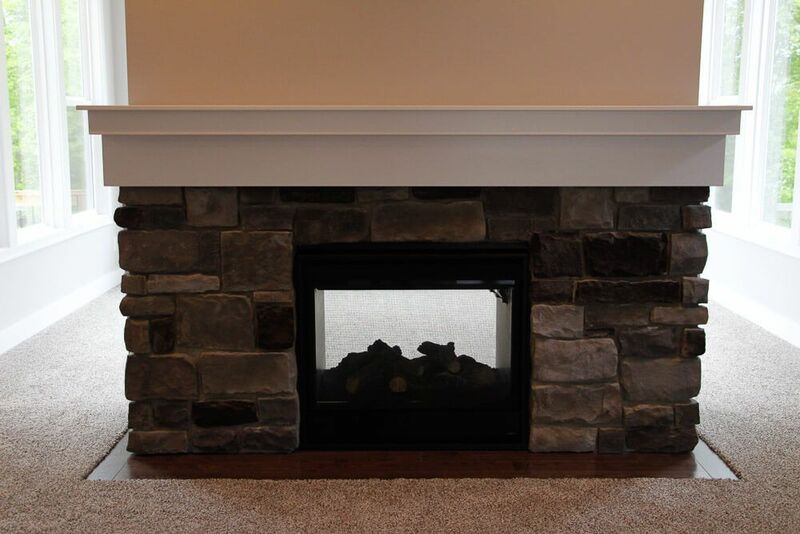 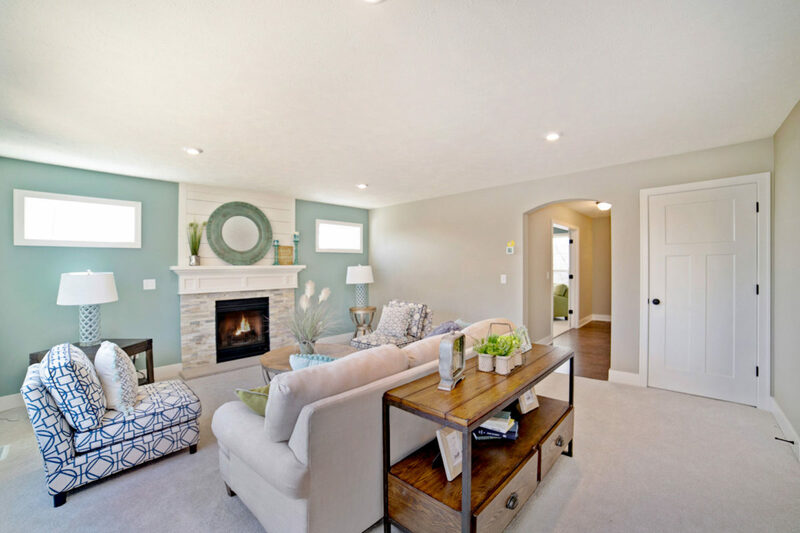 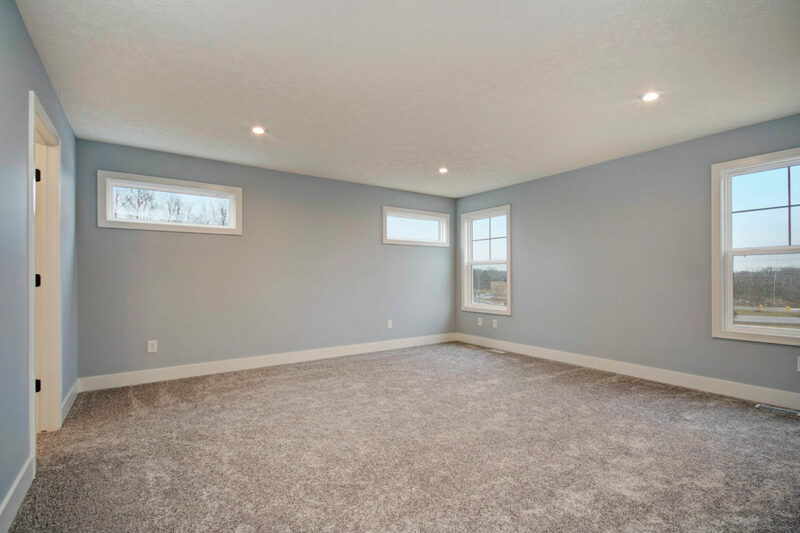 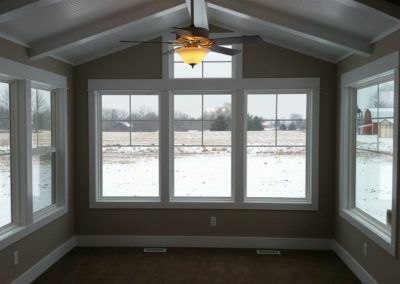 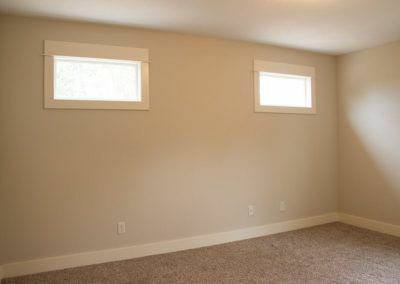 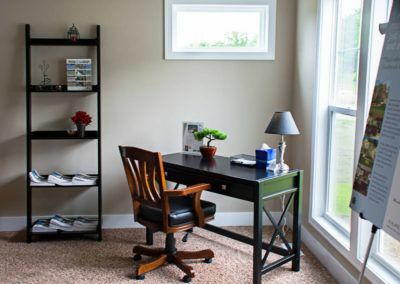 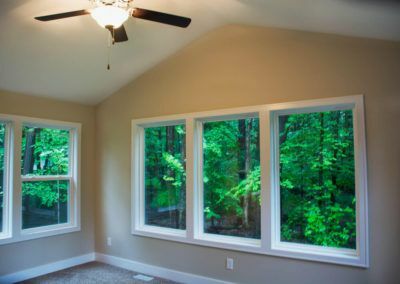 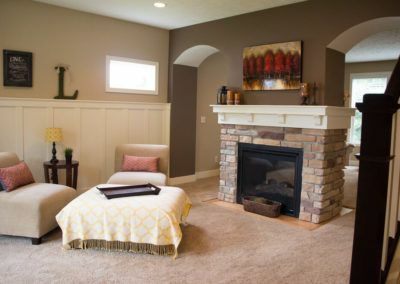 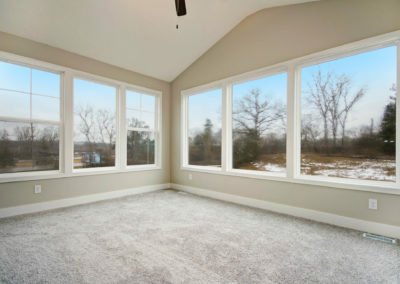 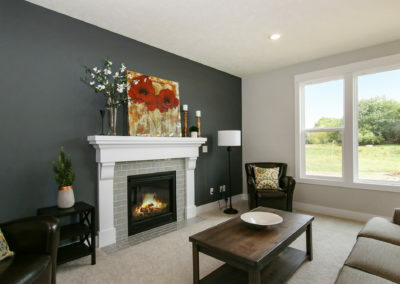 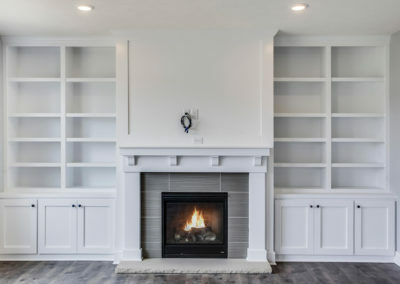 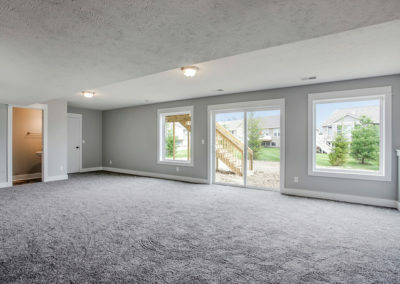 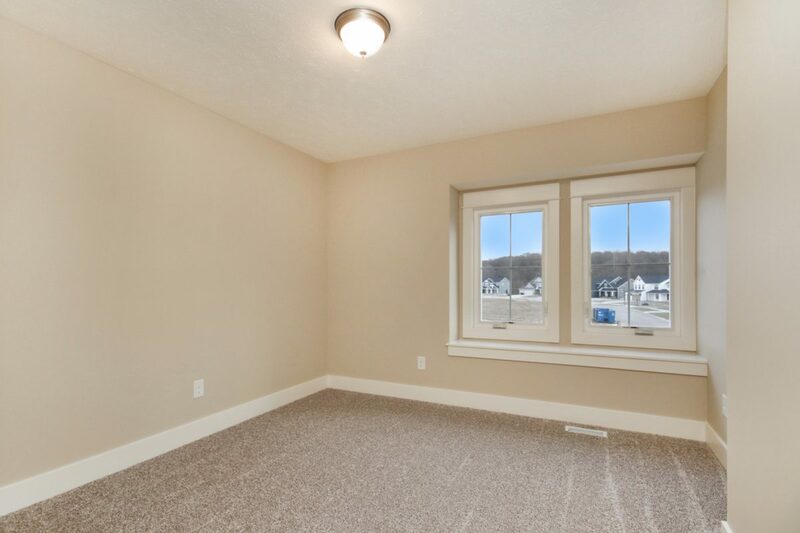 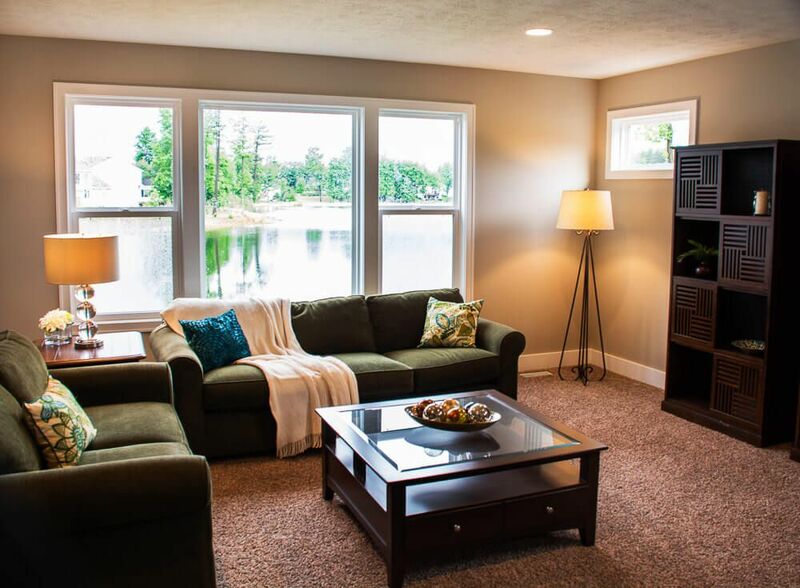 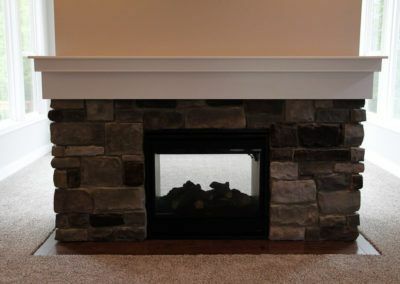 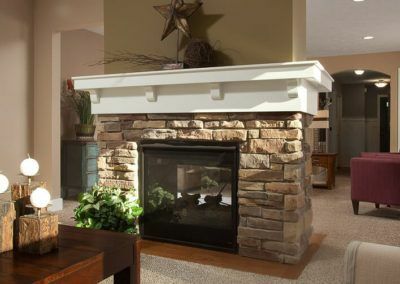 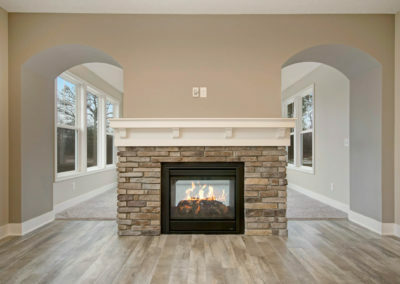 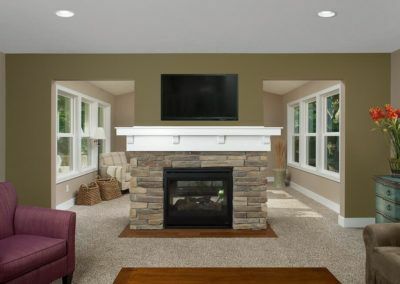 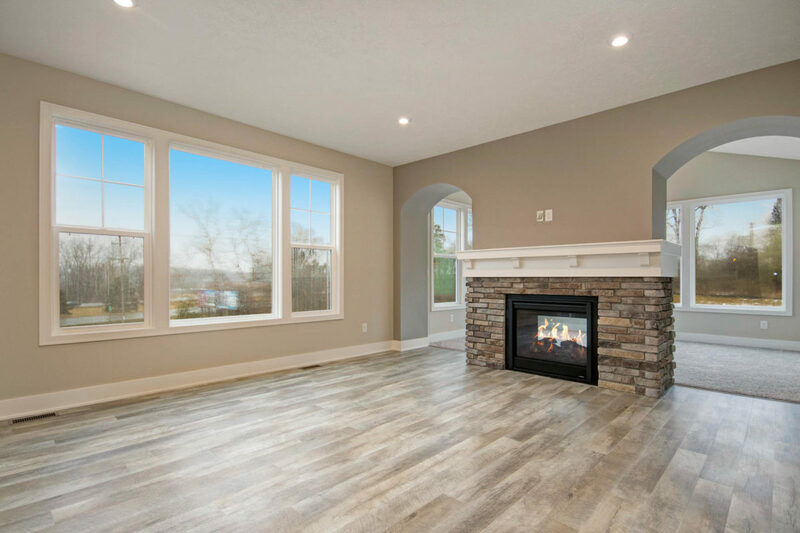 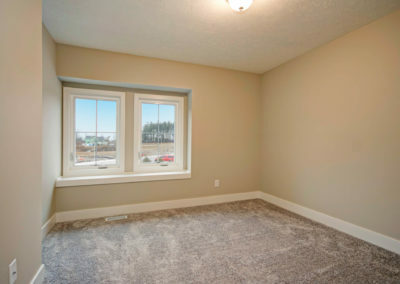 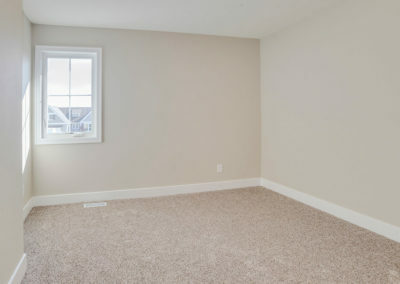 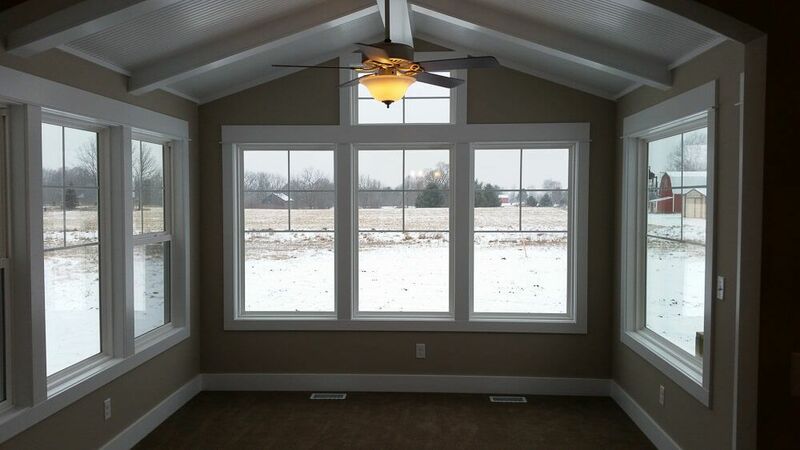 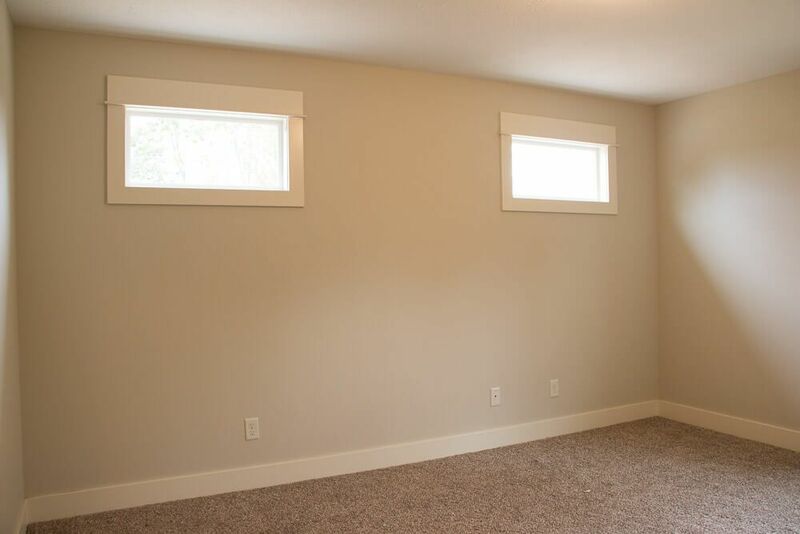 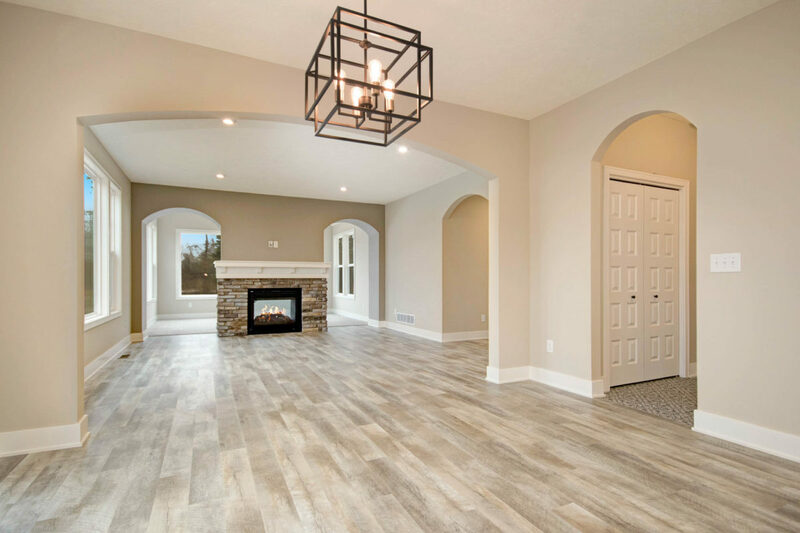 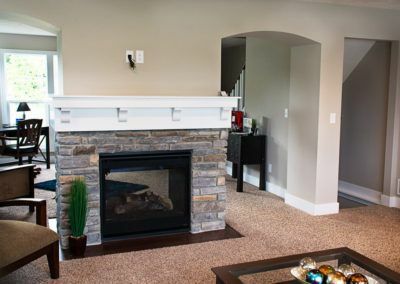 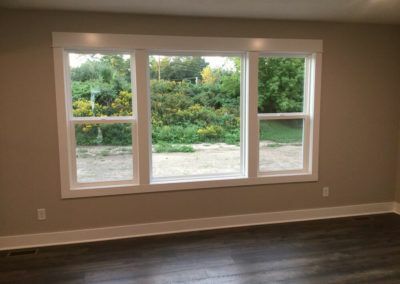 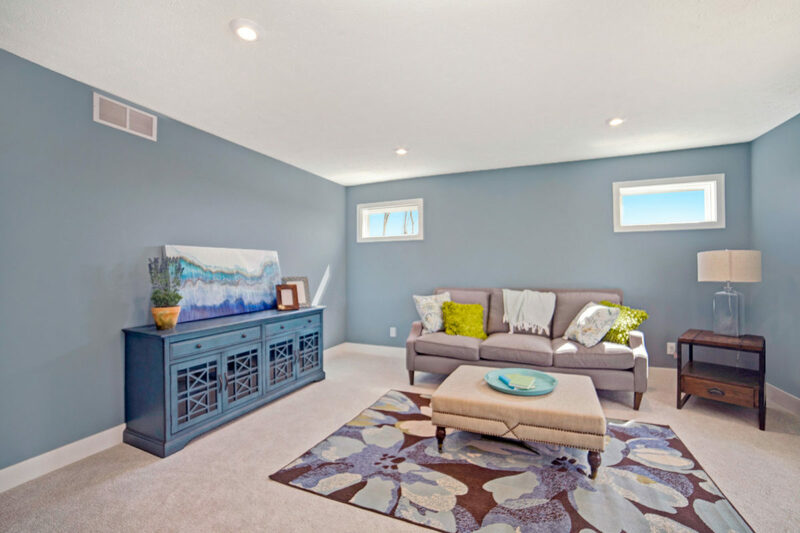 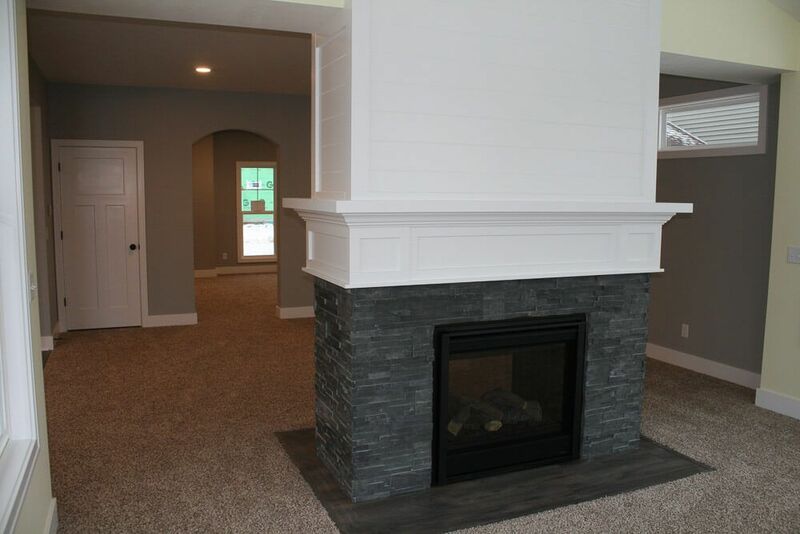 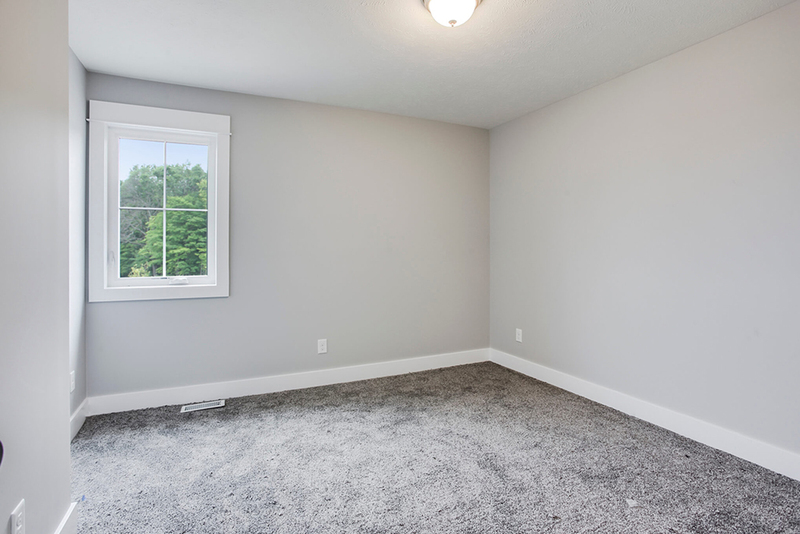 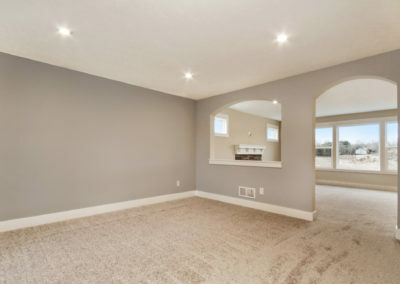 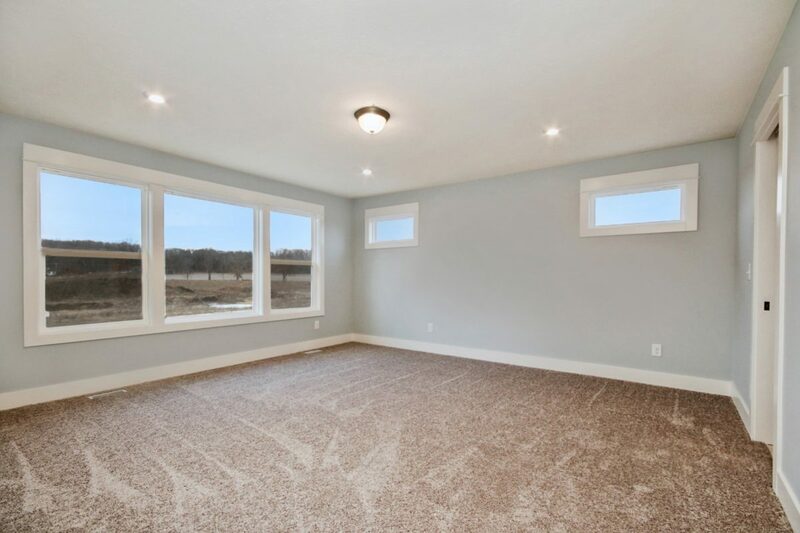 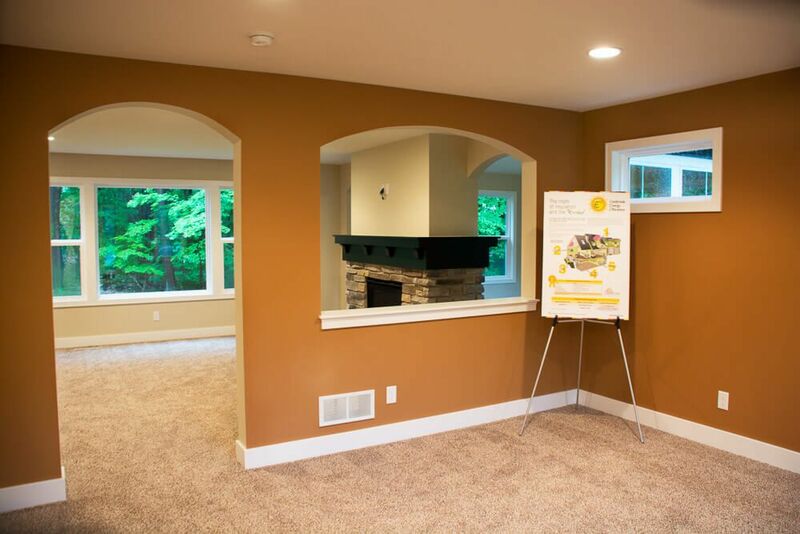 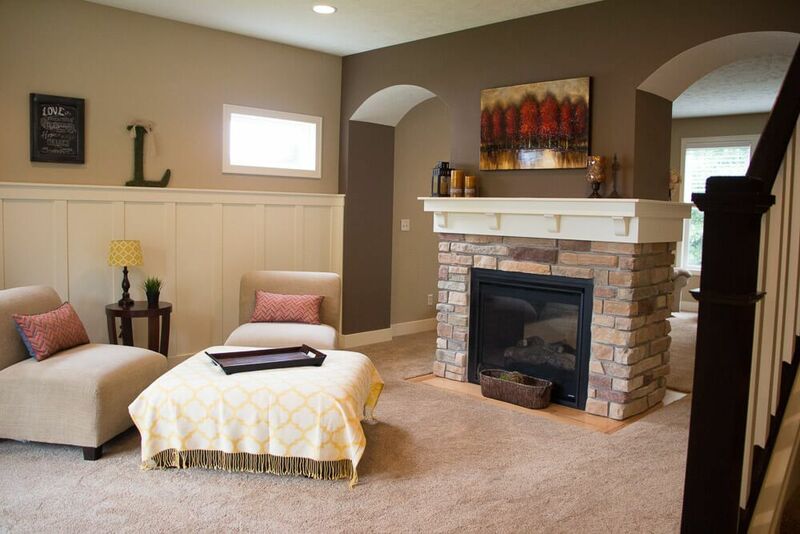 If you prefer the office to the flex room, the family room still has the option of adding a fireplace, along with additional windows. 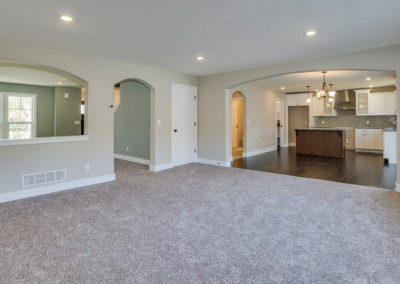 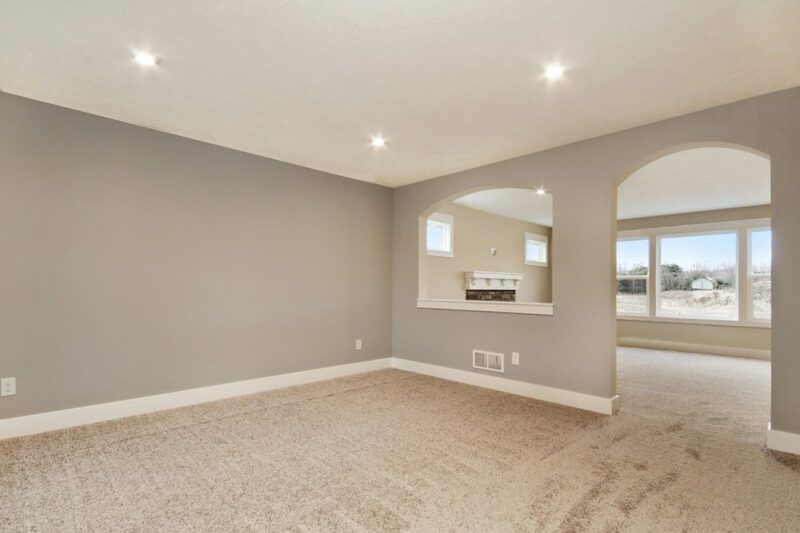 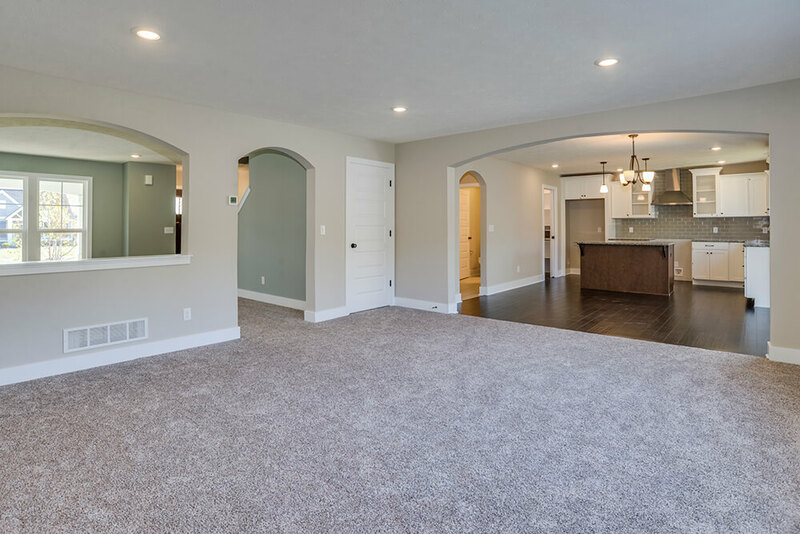 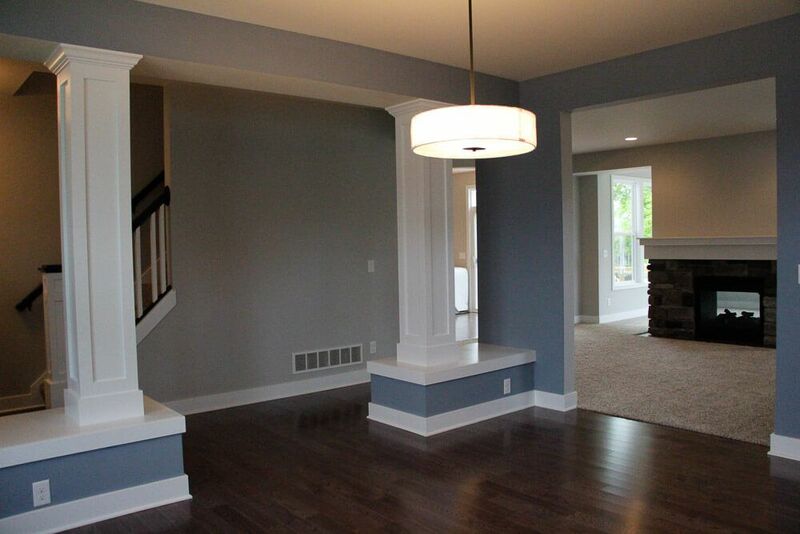 A stately arch separates the family room from the open dining area with its sliding door to the back yard. 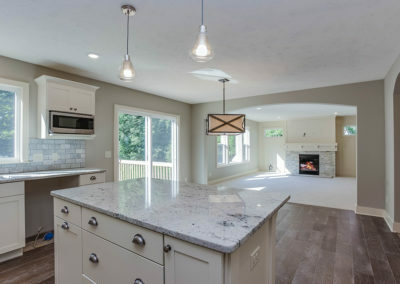 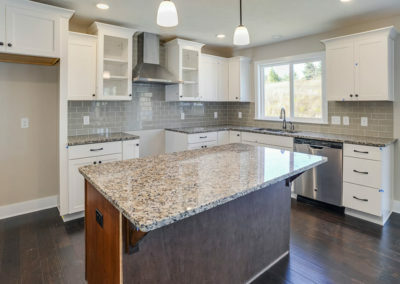 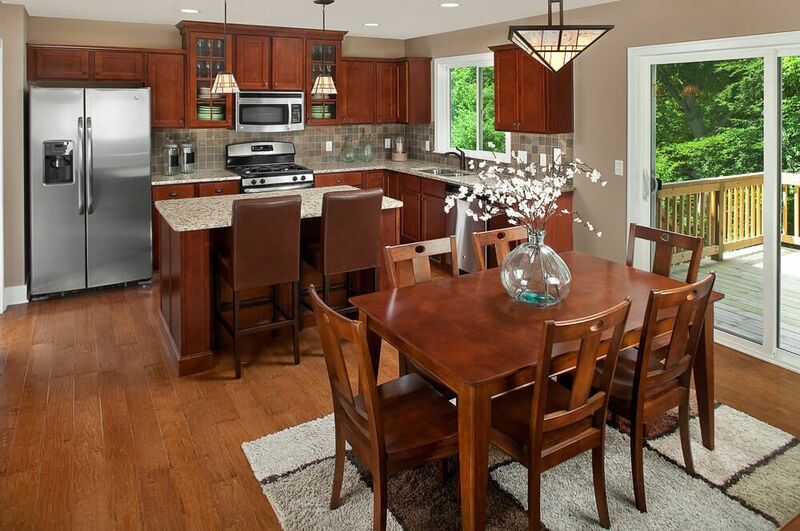 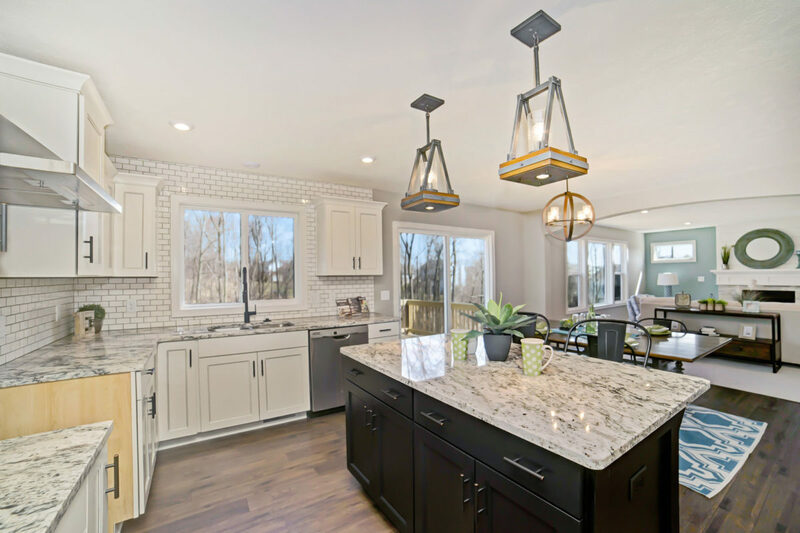 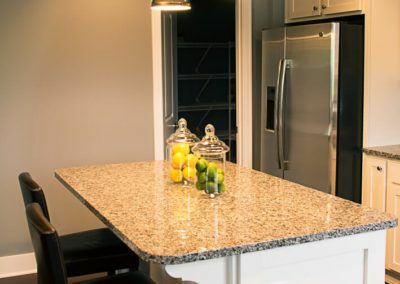 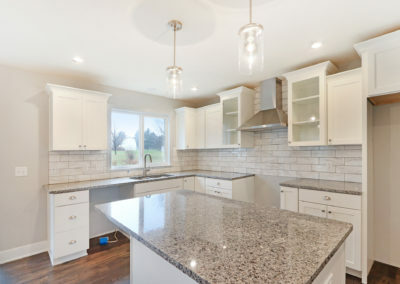 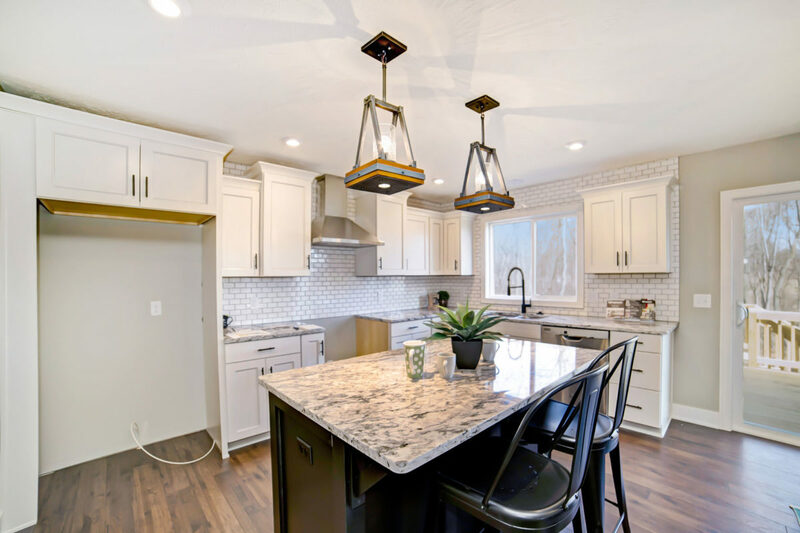 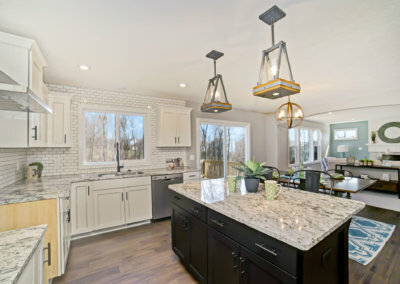 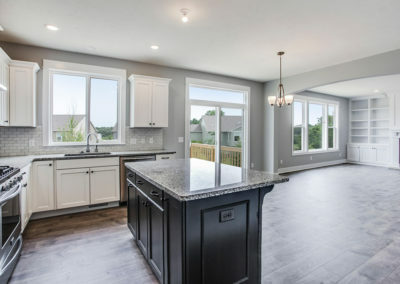 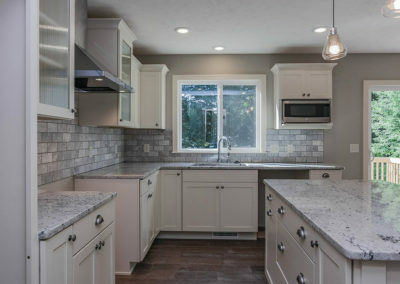 The dining area flows freely into the kitchen which offers a central island, a sizable walk-in pantry, and multiple options for personalizing the island and cabinetry design. 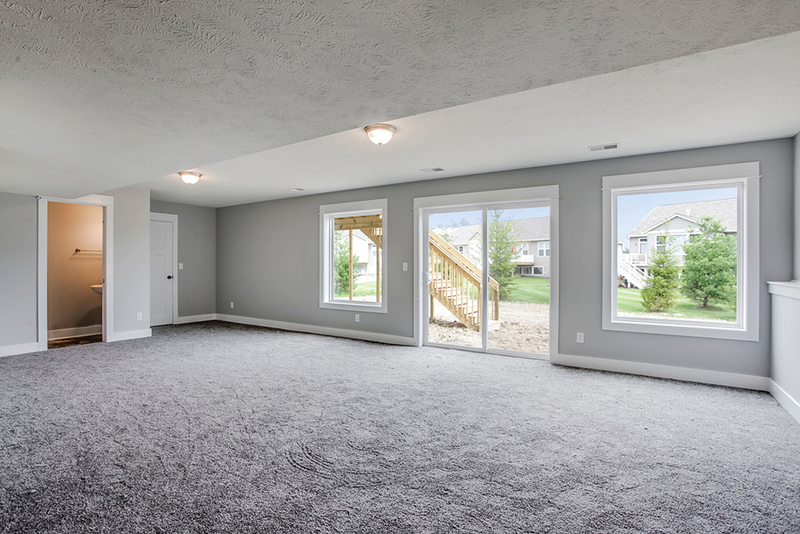 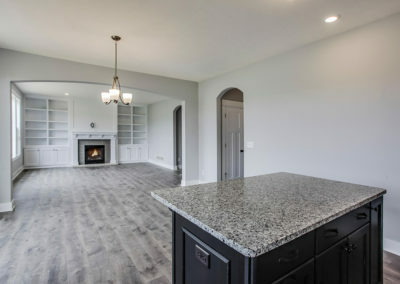 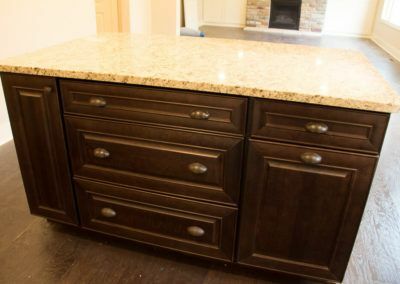 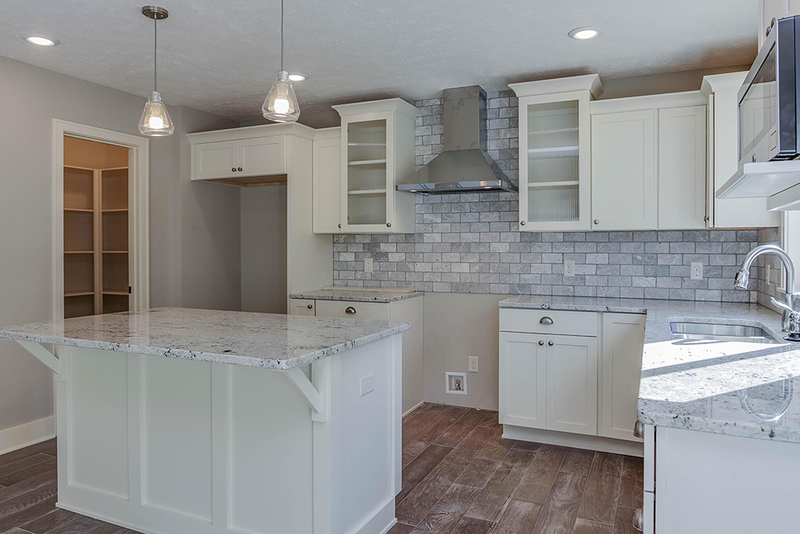 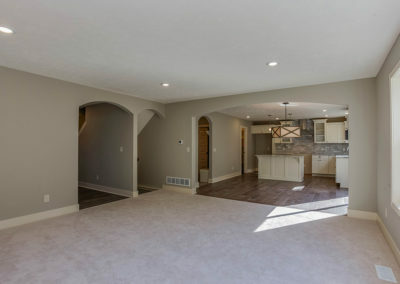 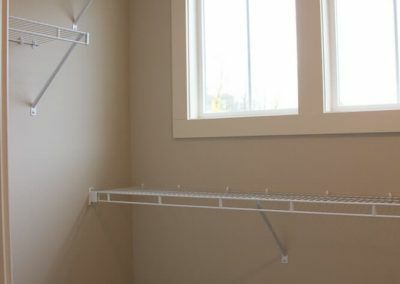 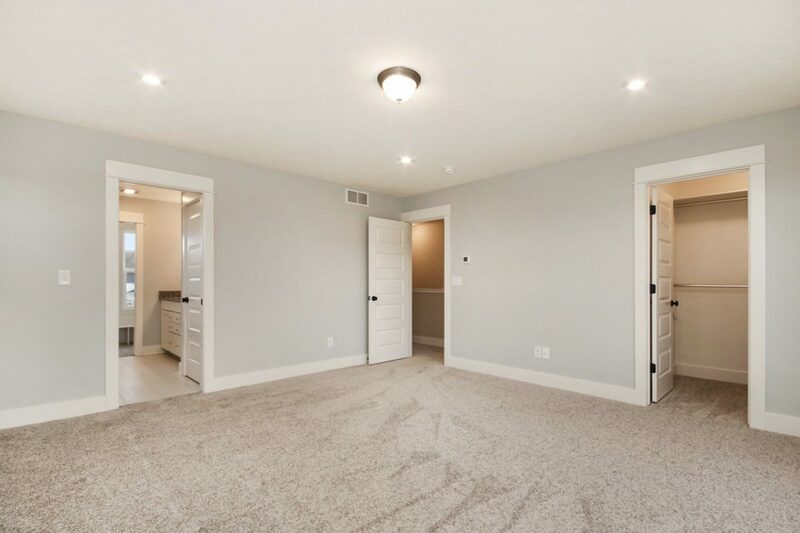 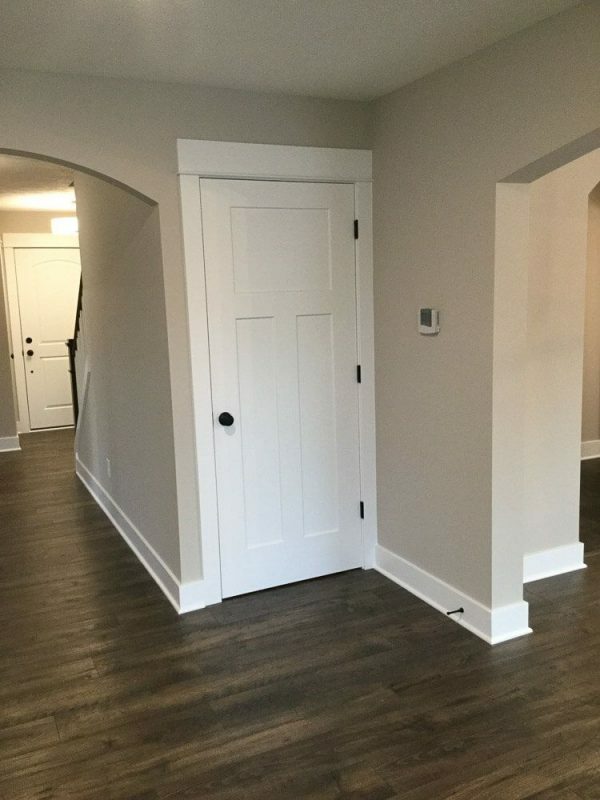 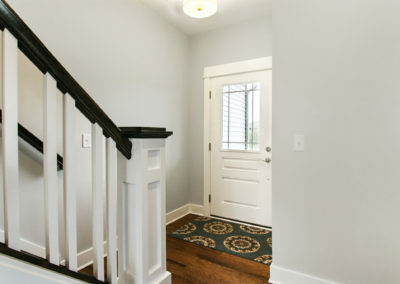 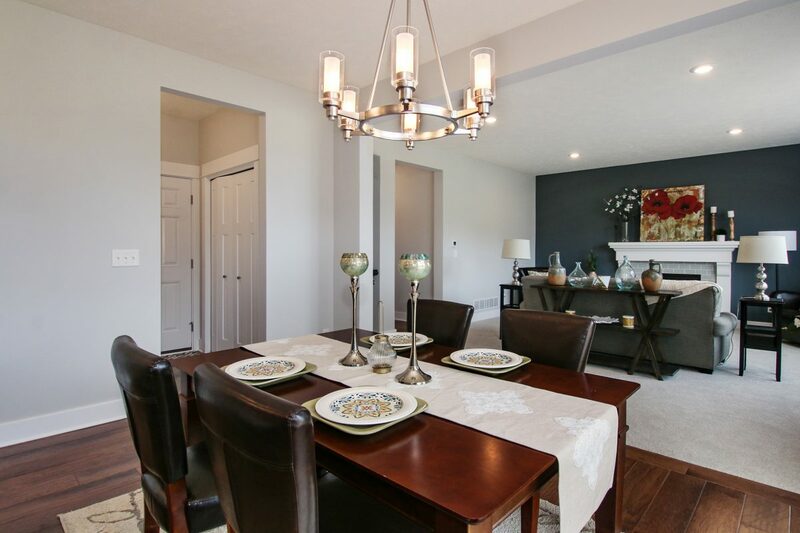 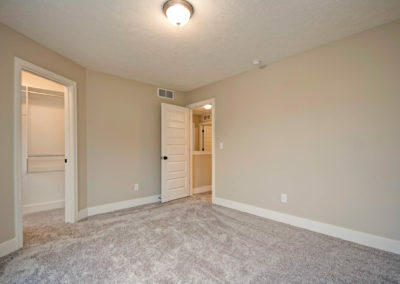 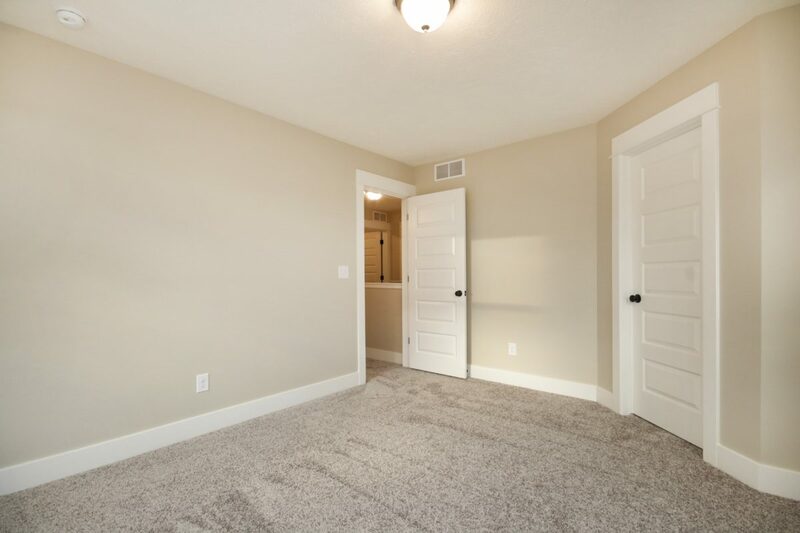 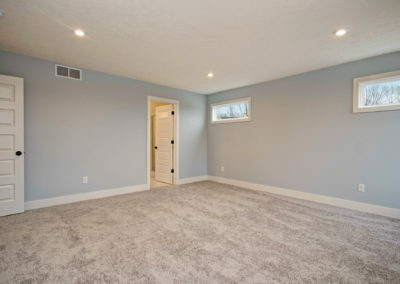 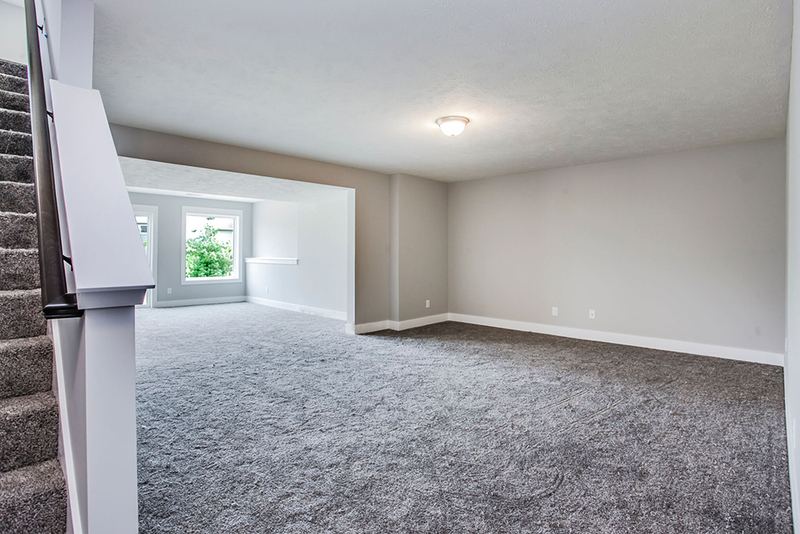 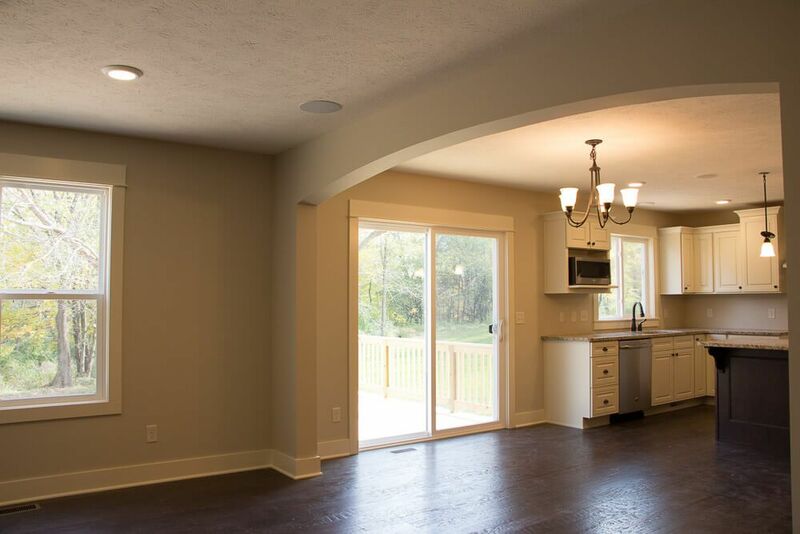 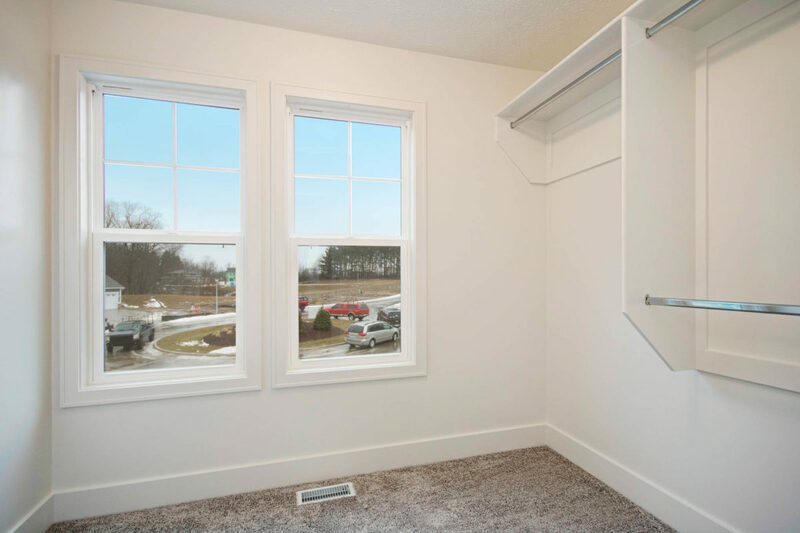 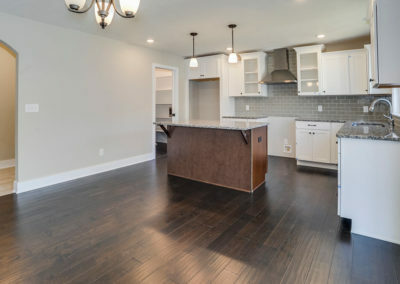 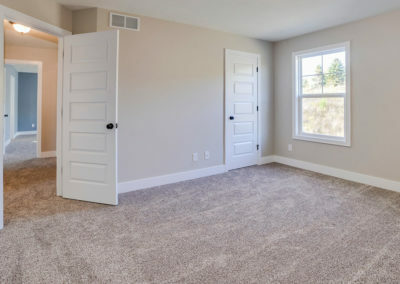 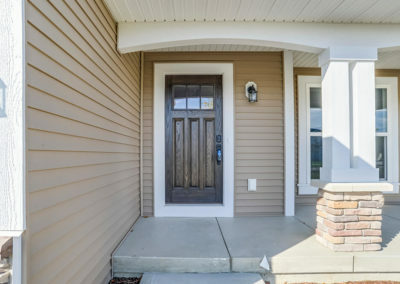 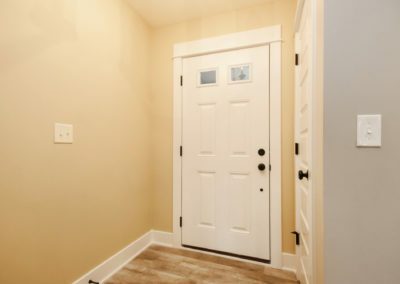 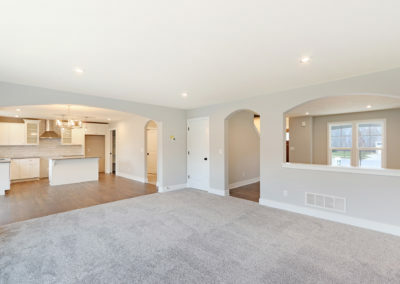 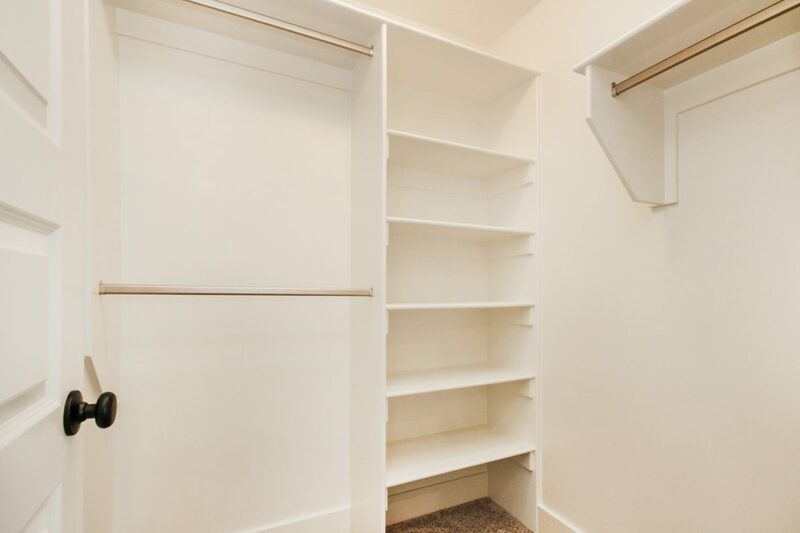 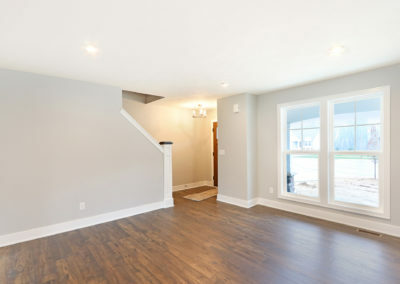 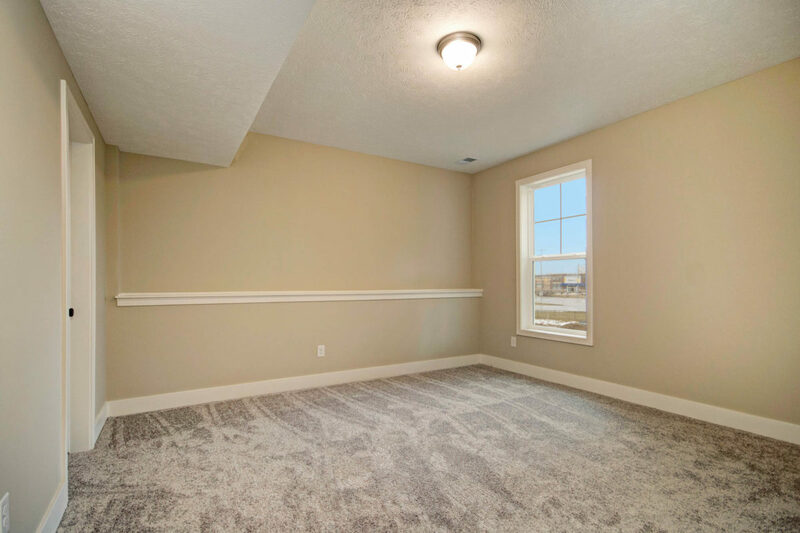 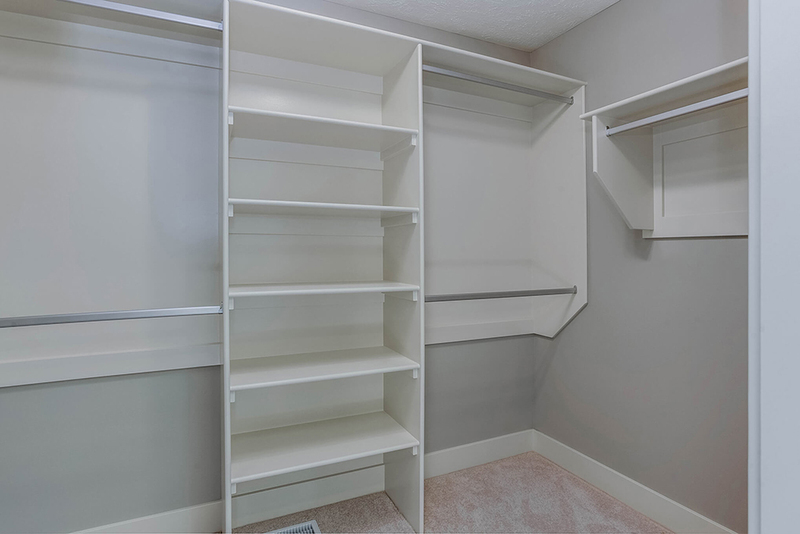 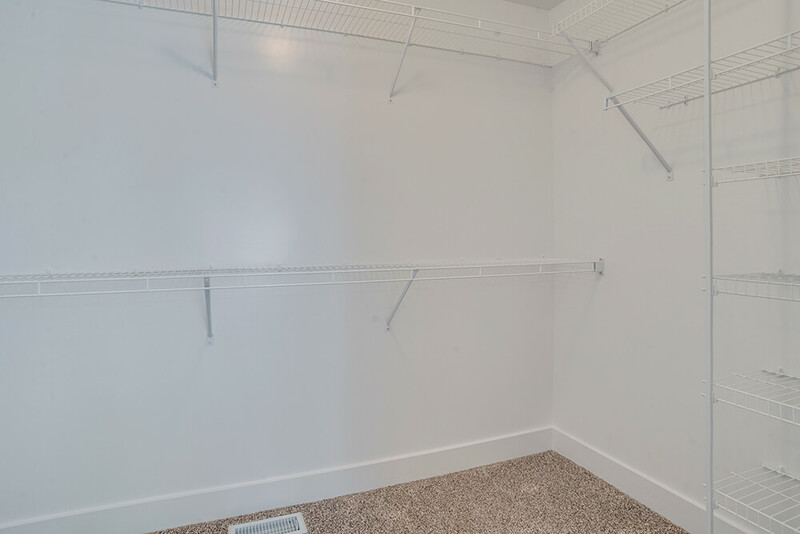 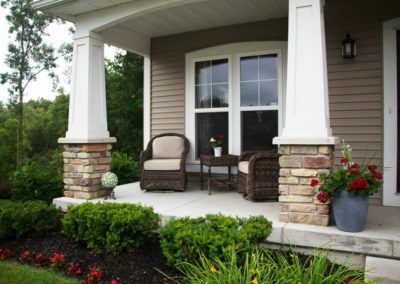 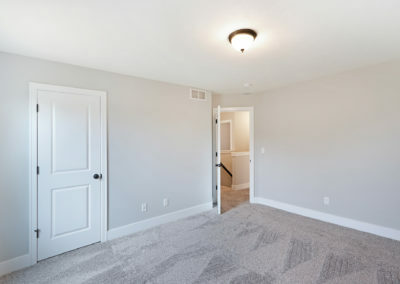 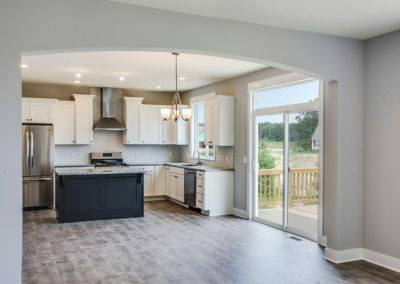 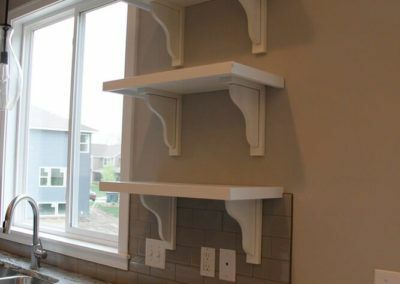 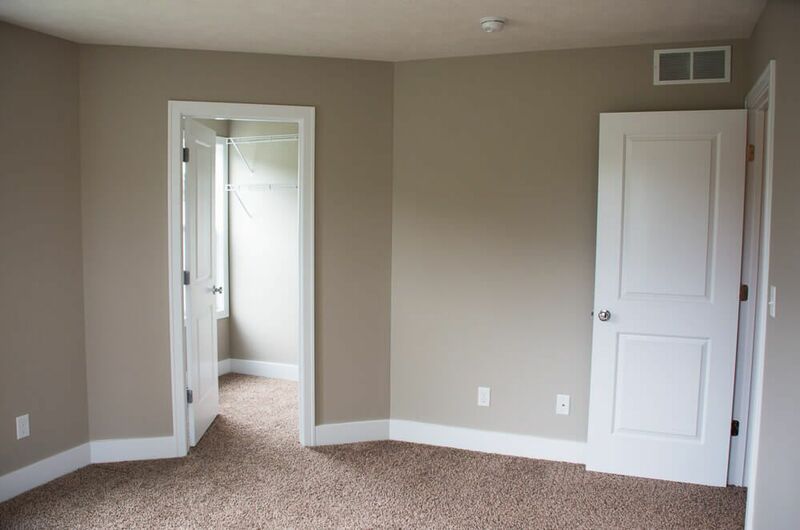 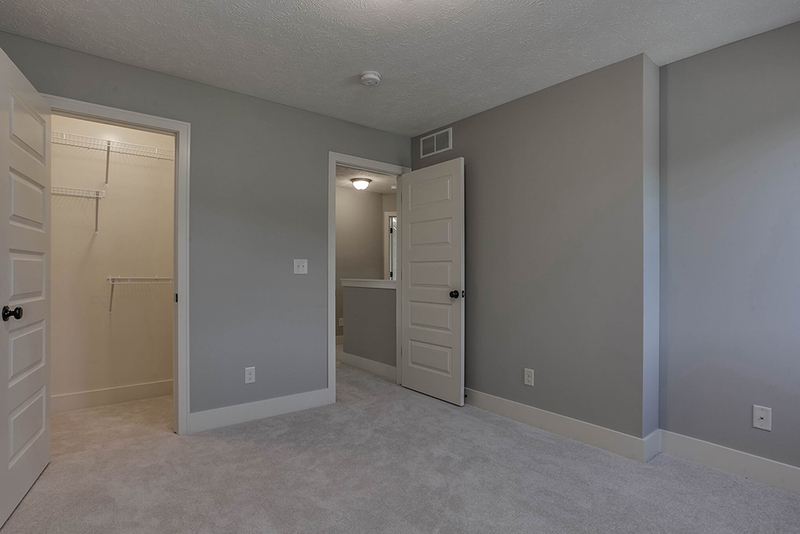 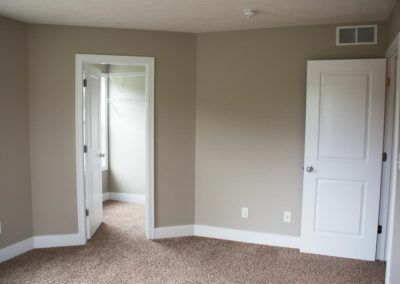 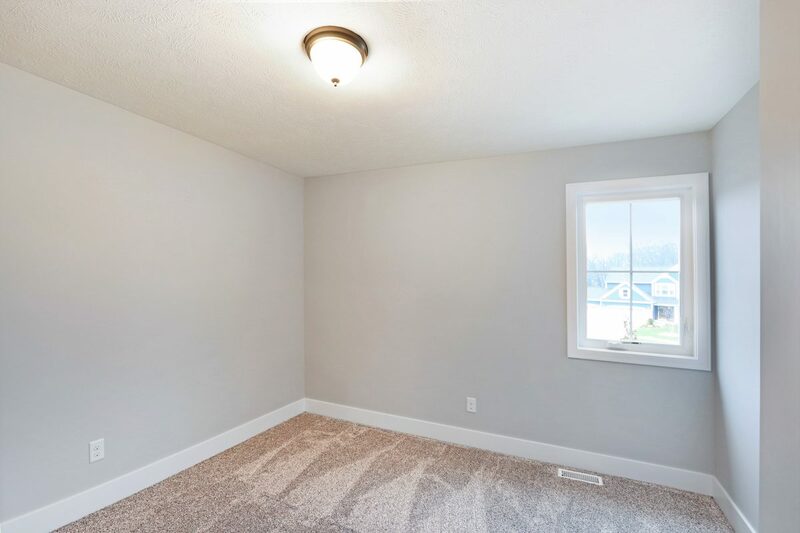 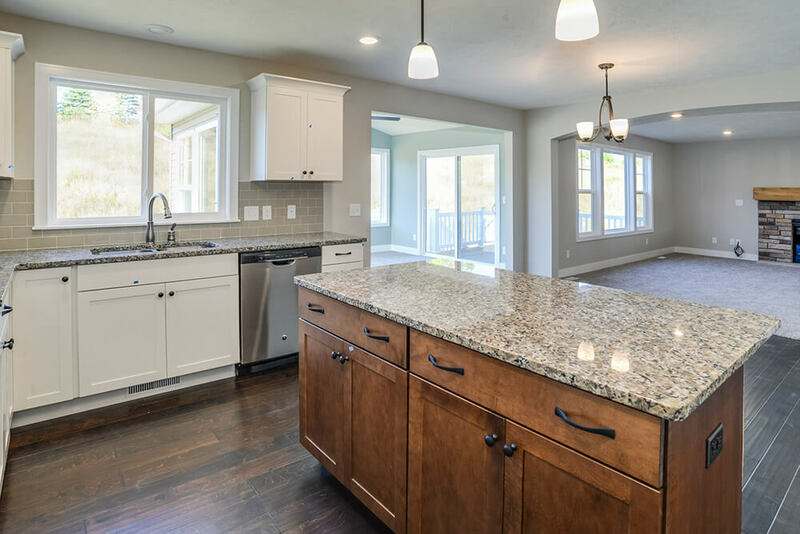 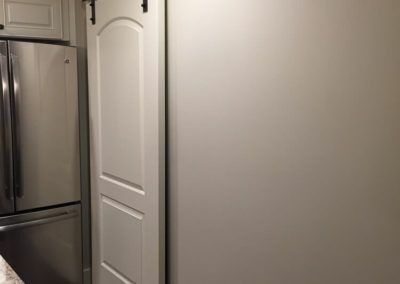 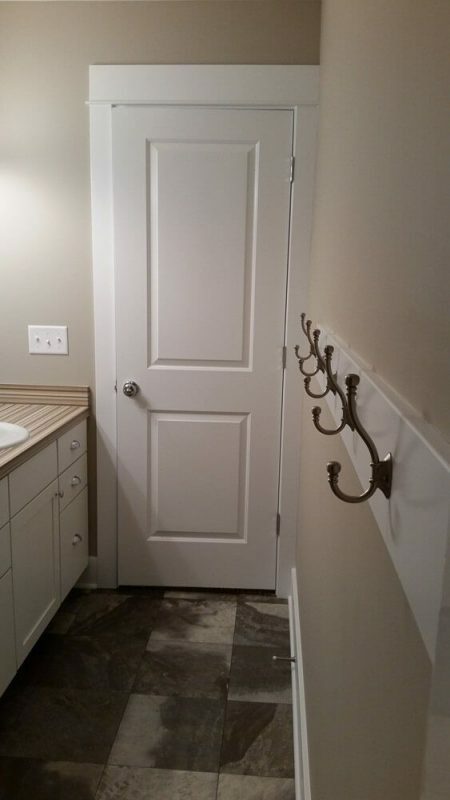 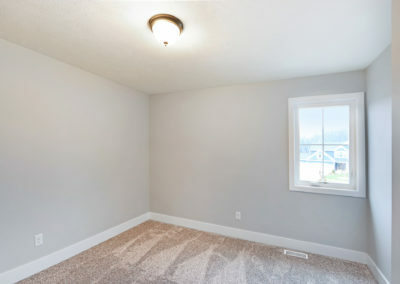 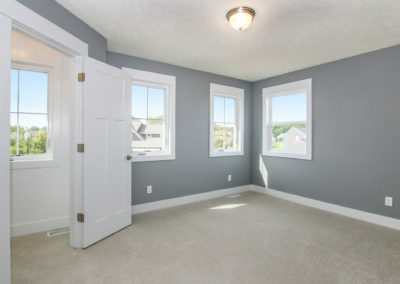 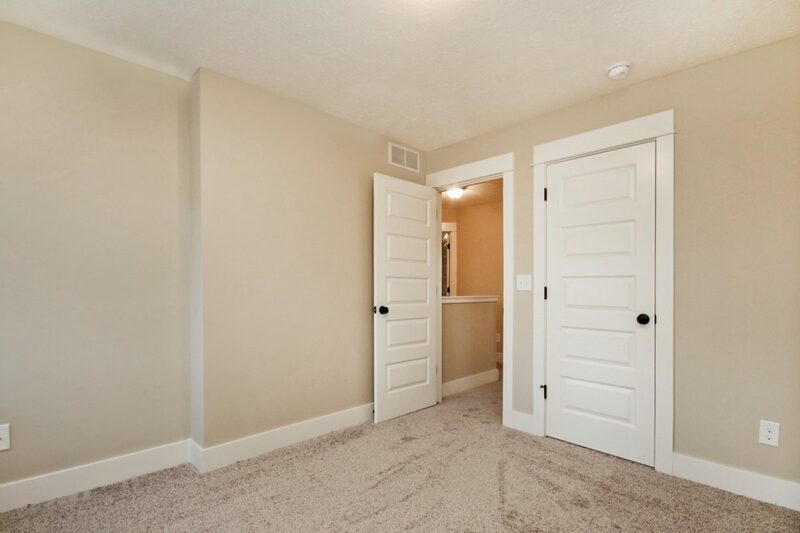 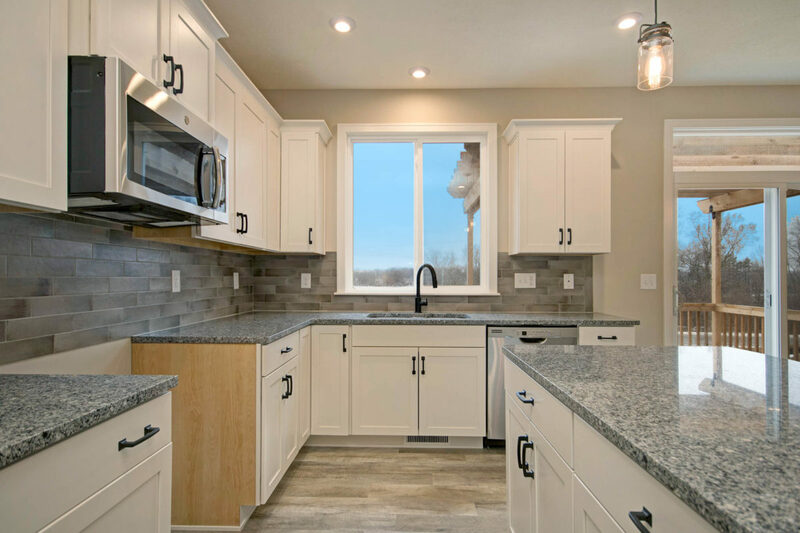 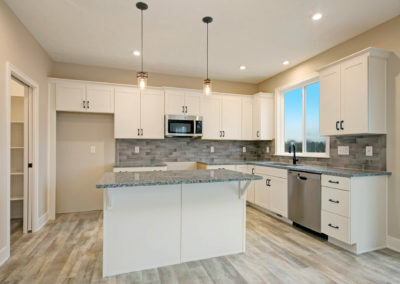 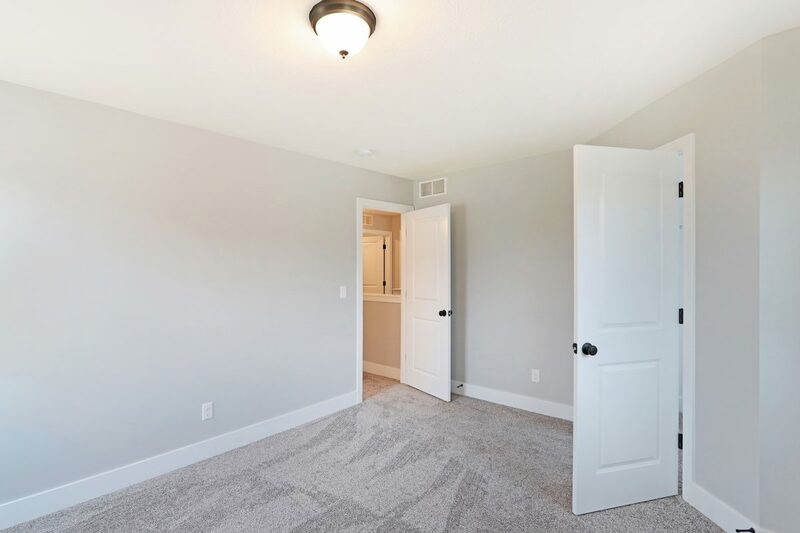 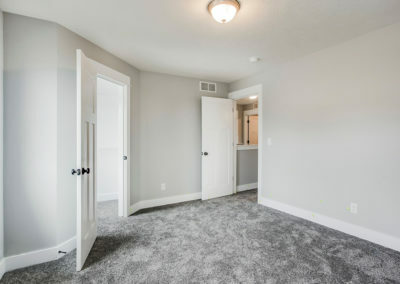 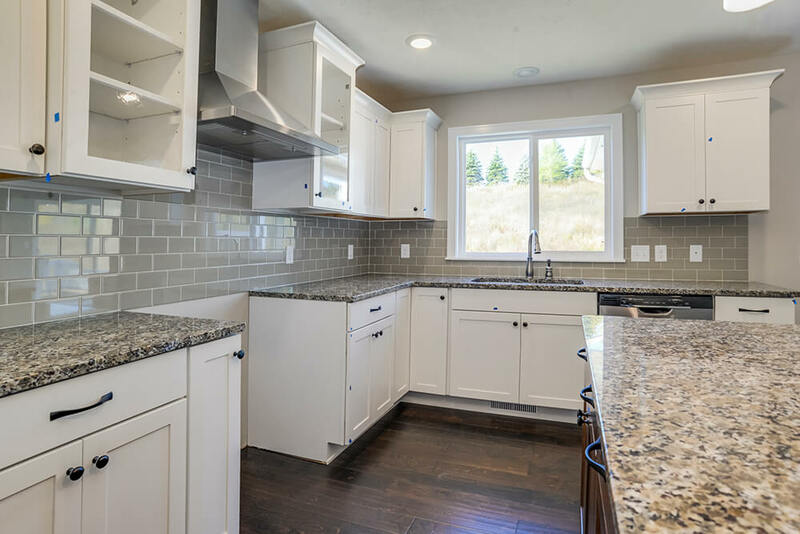 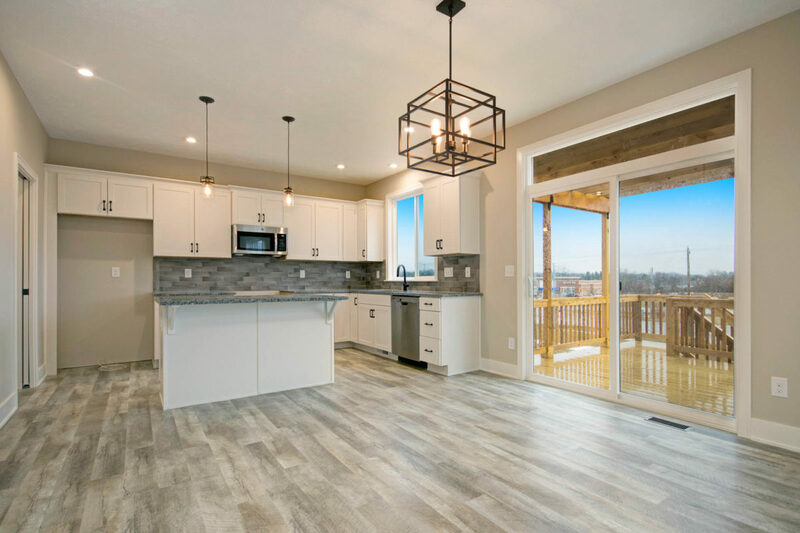 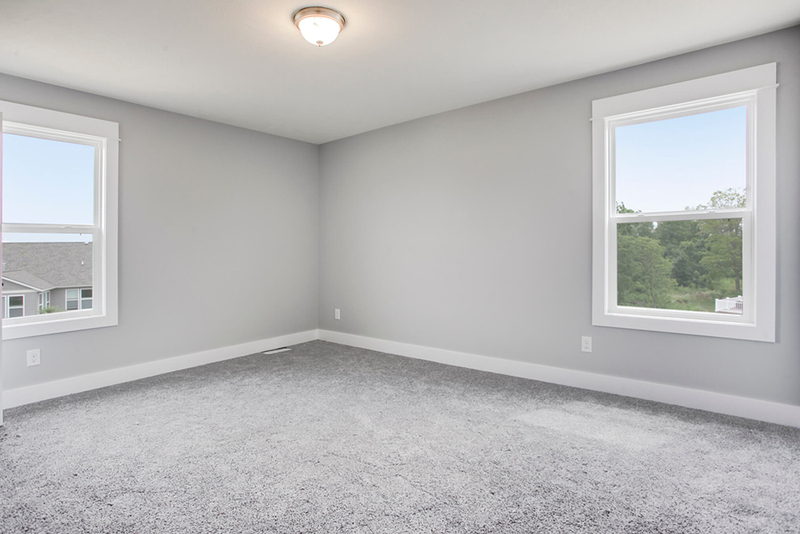 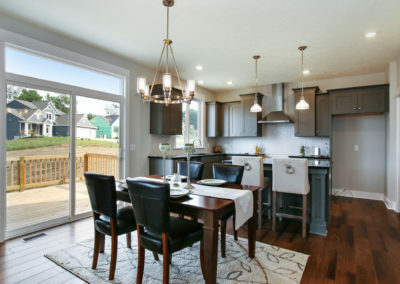 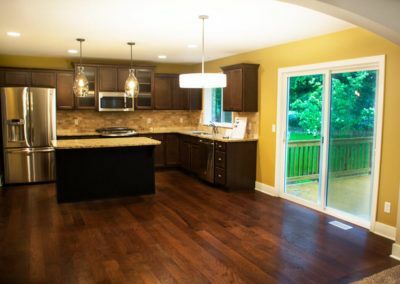 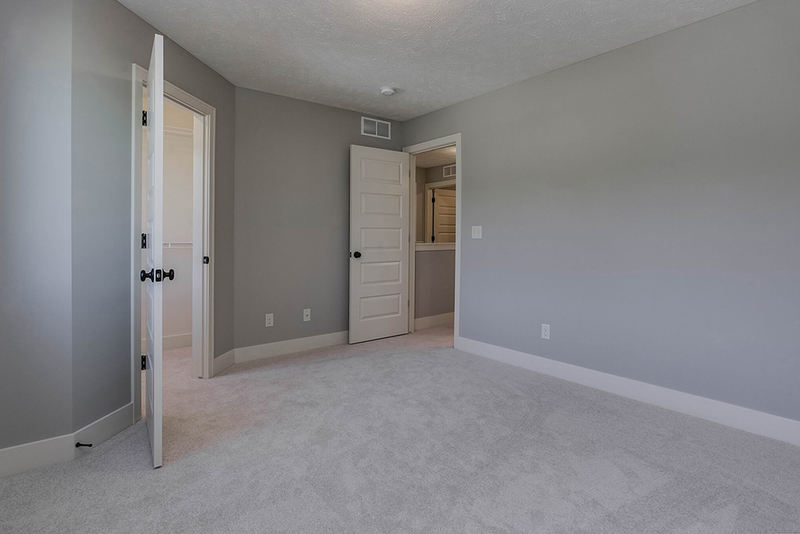 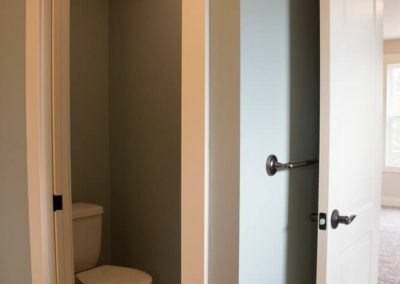 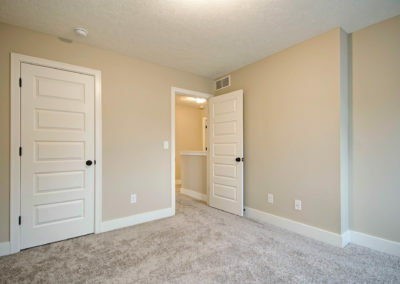 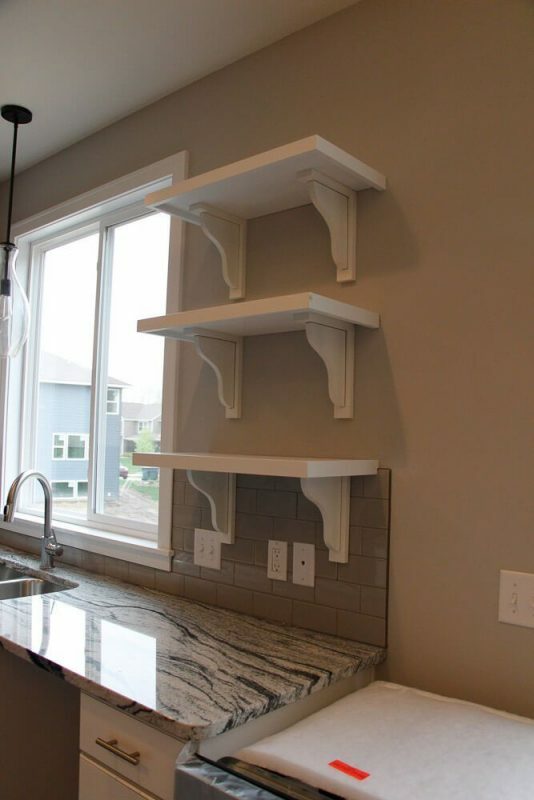 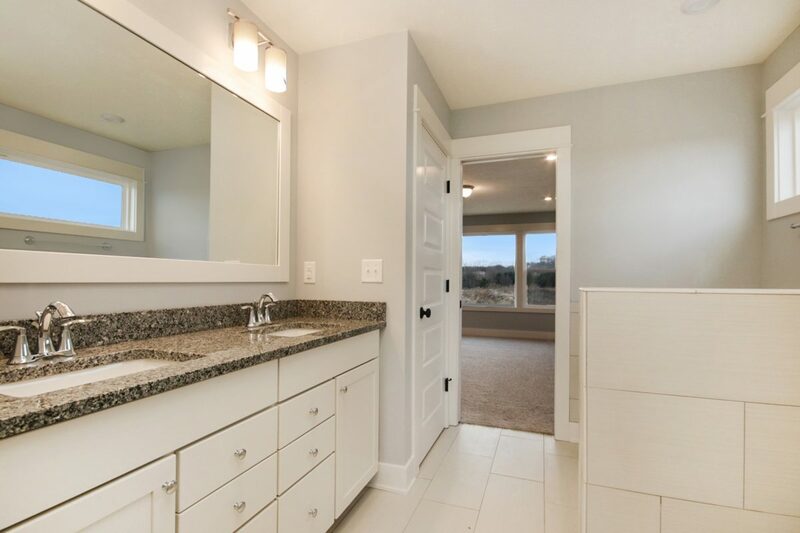 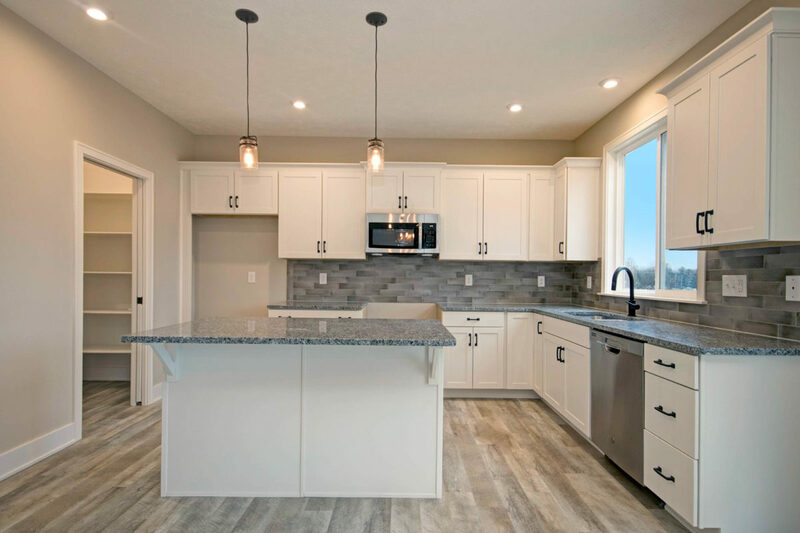 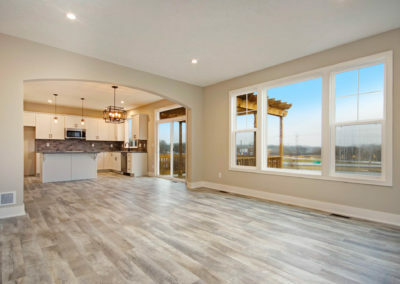 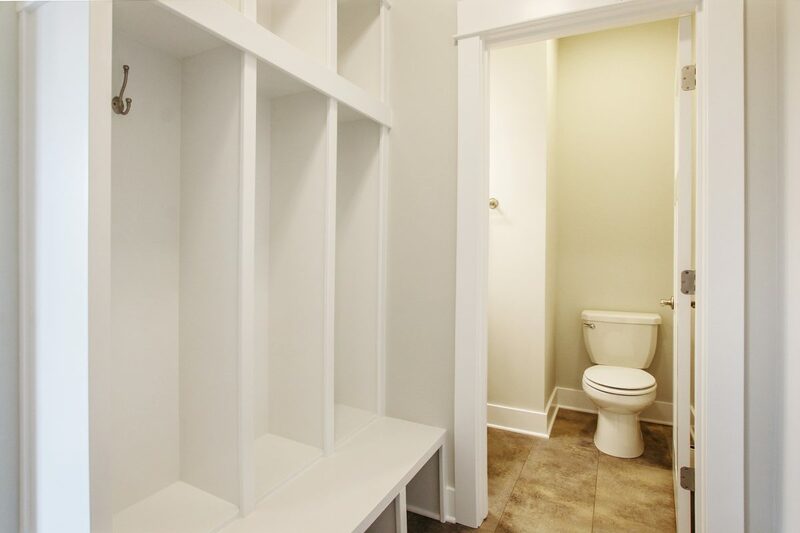 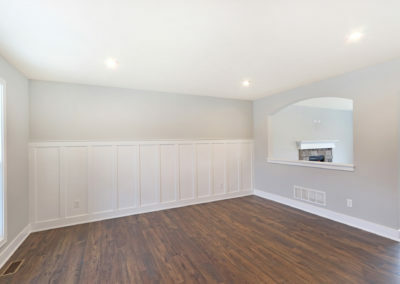 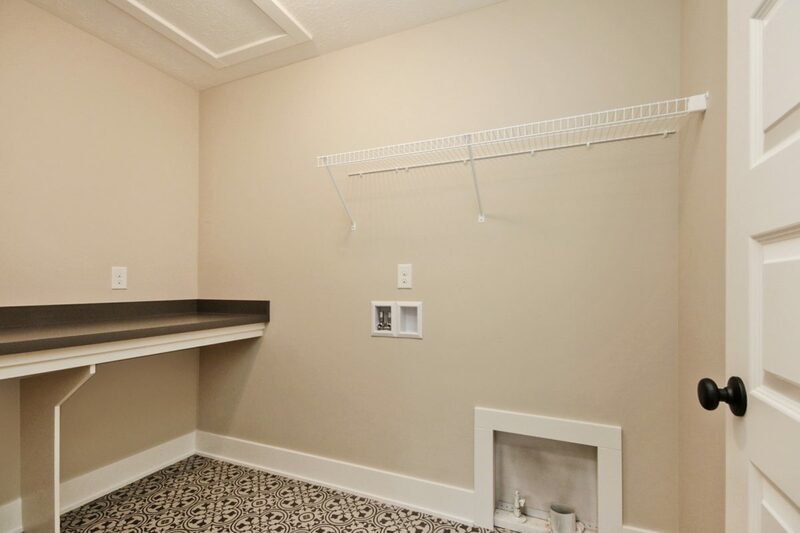 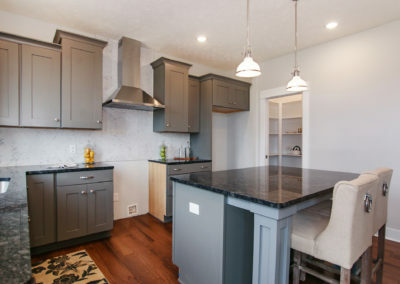 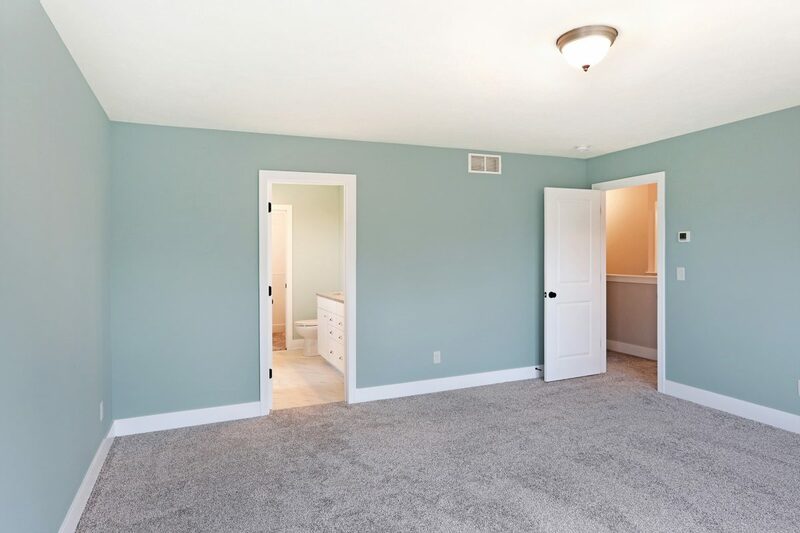 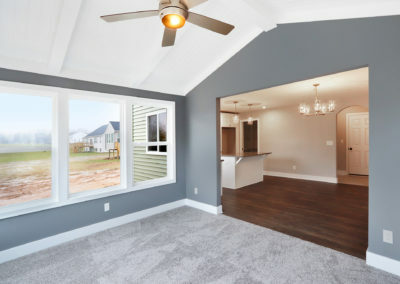 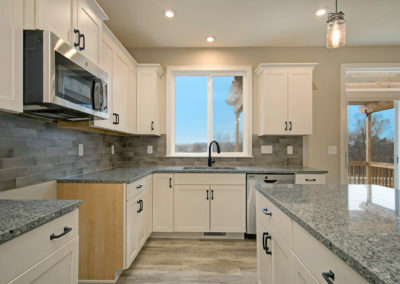 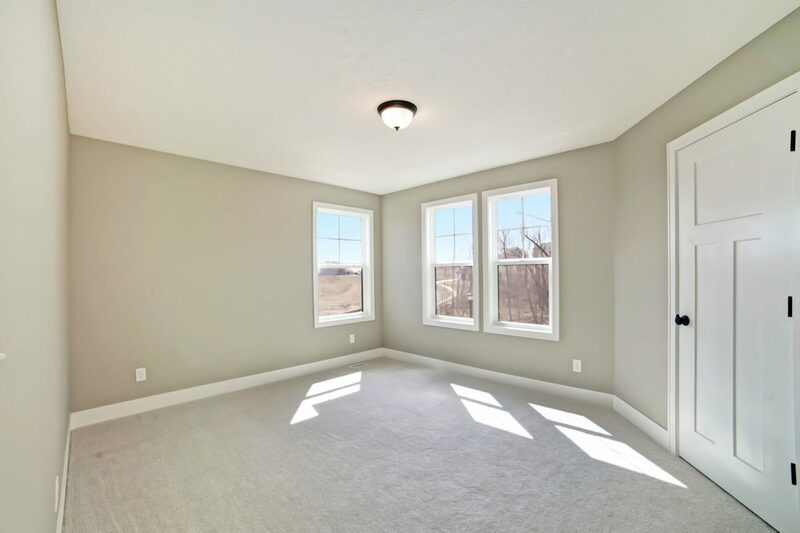 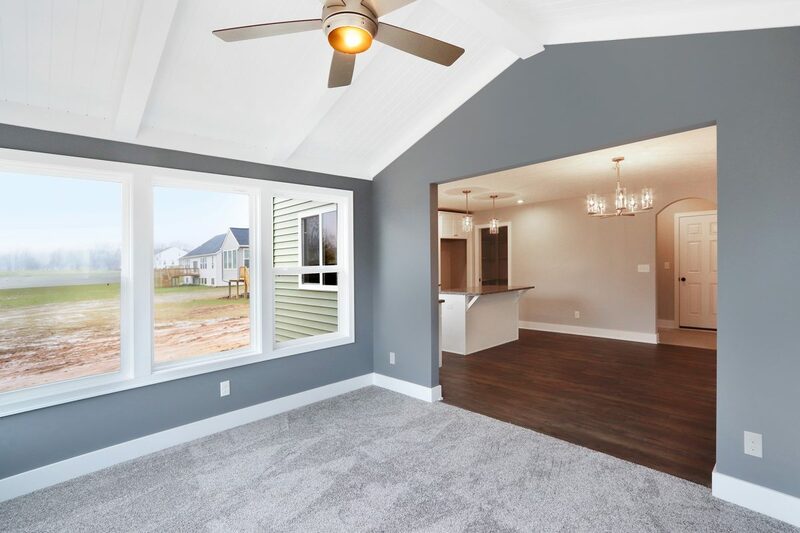 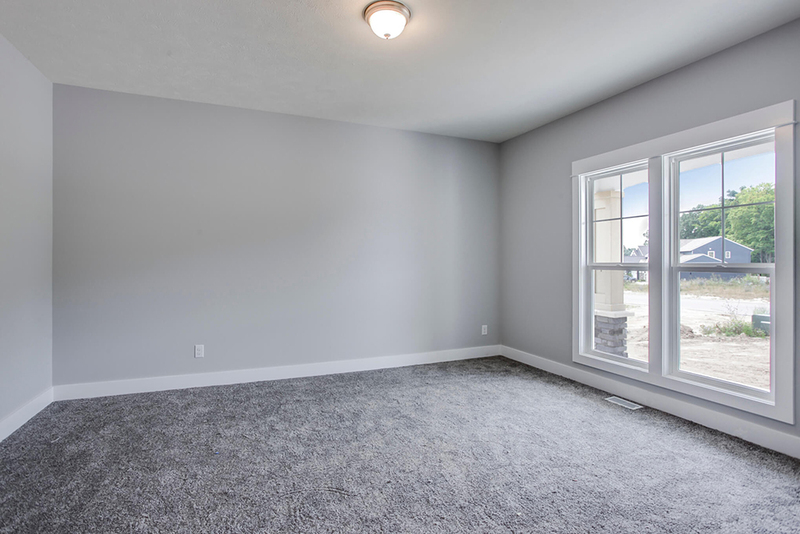 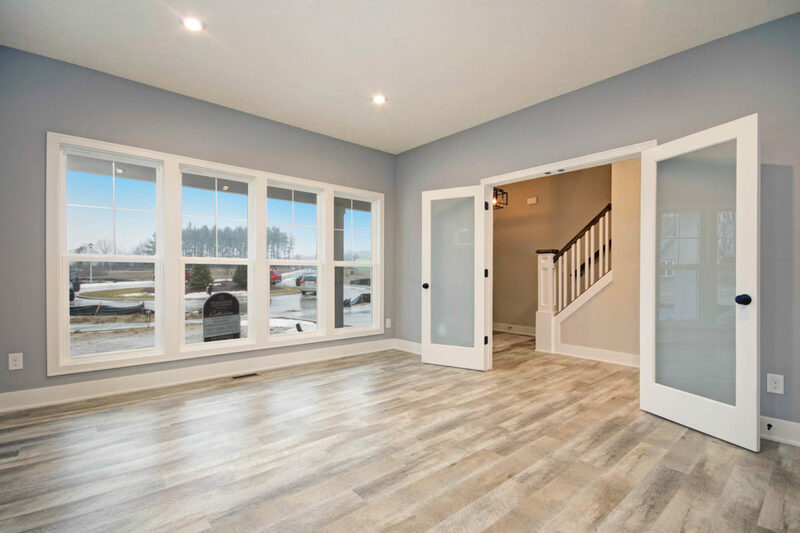 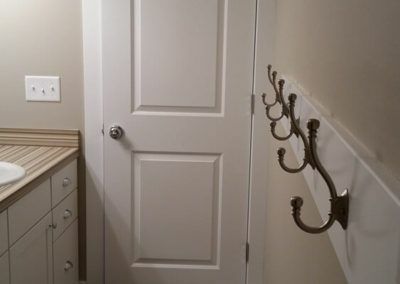 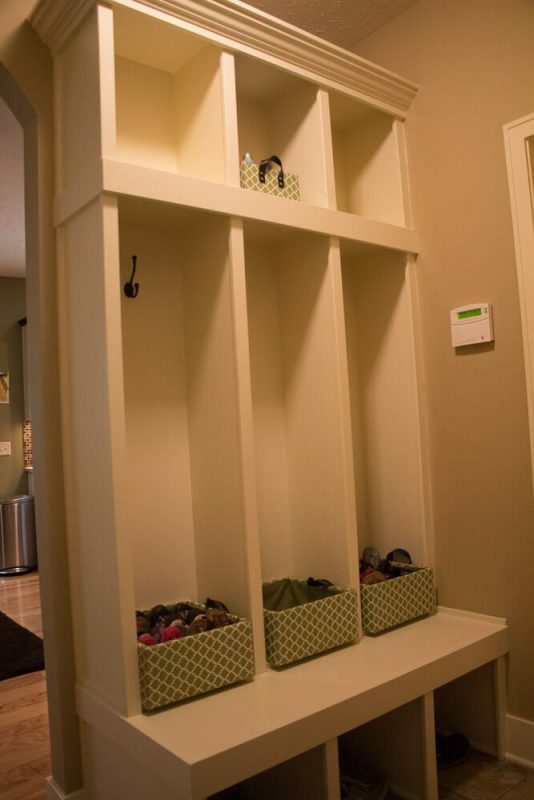 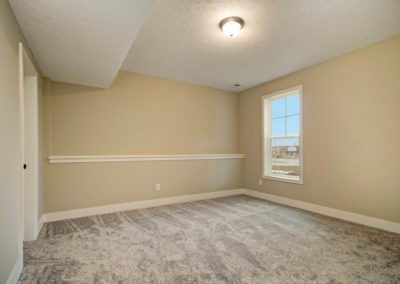 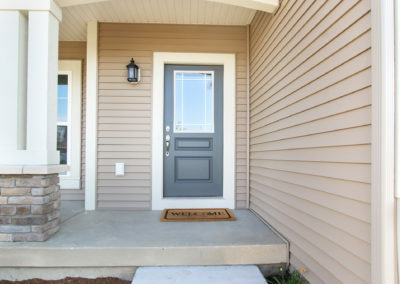 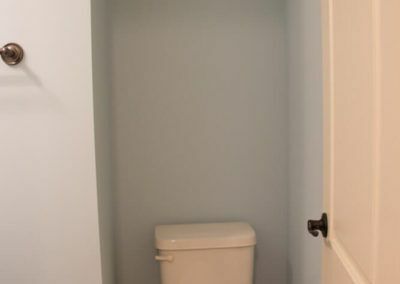 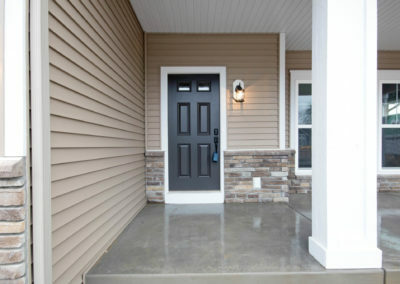 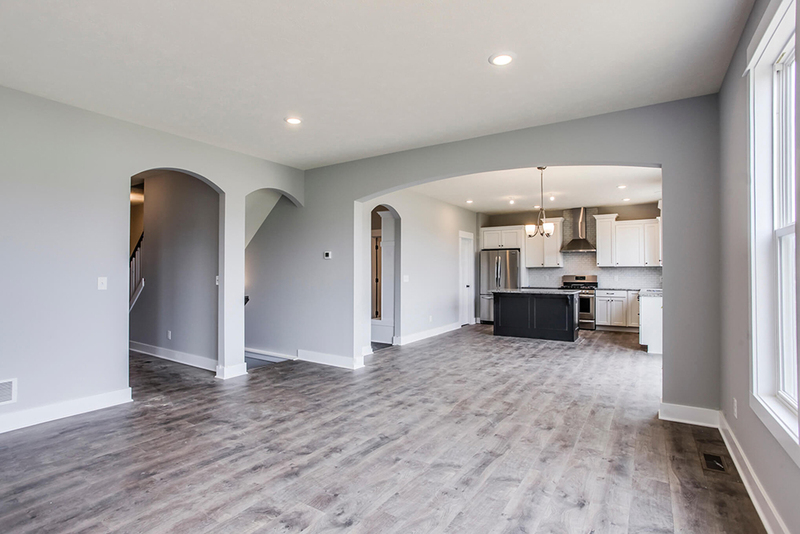 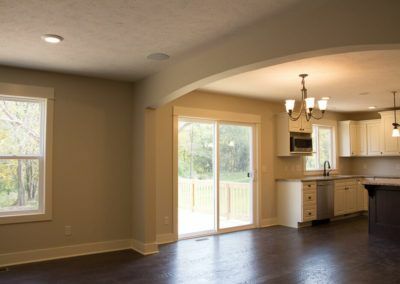 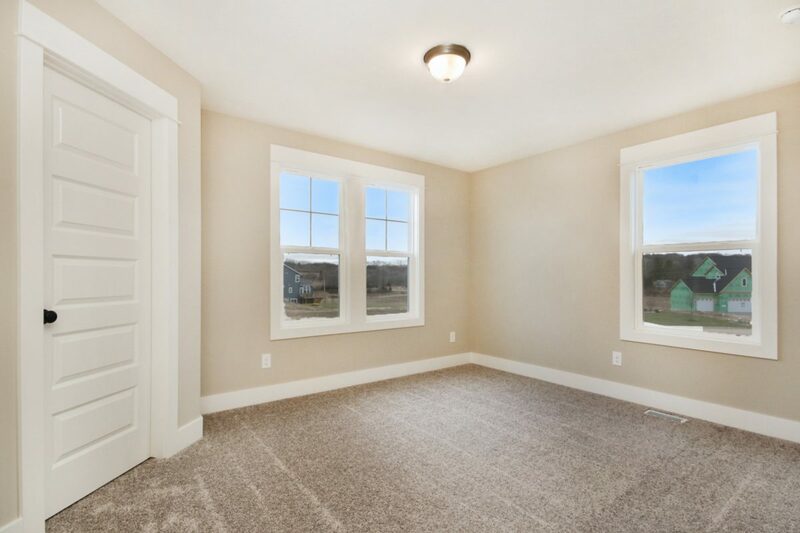 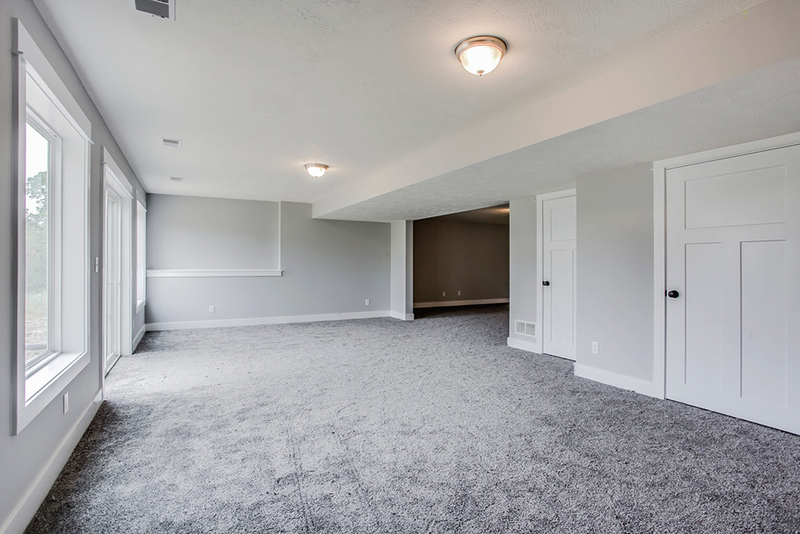 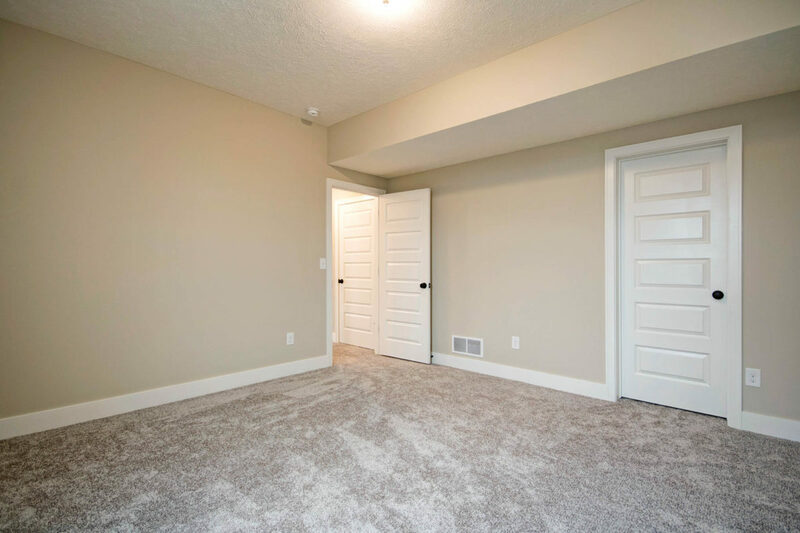 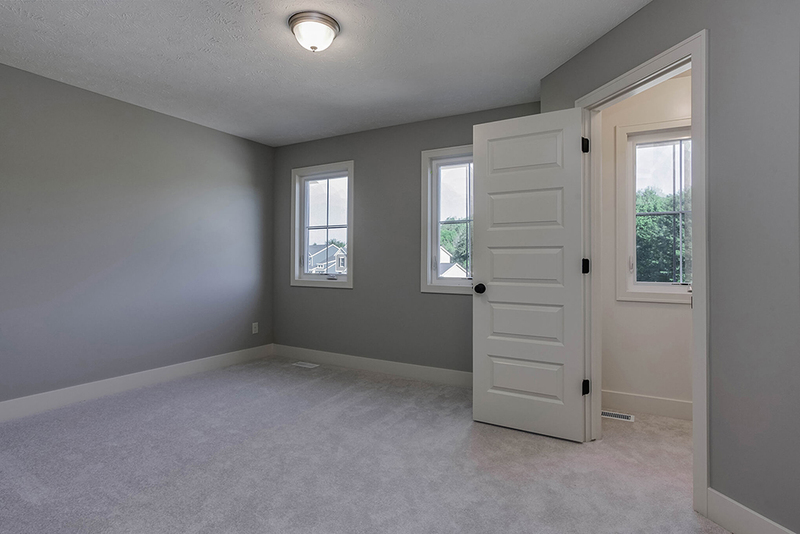 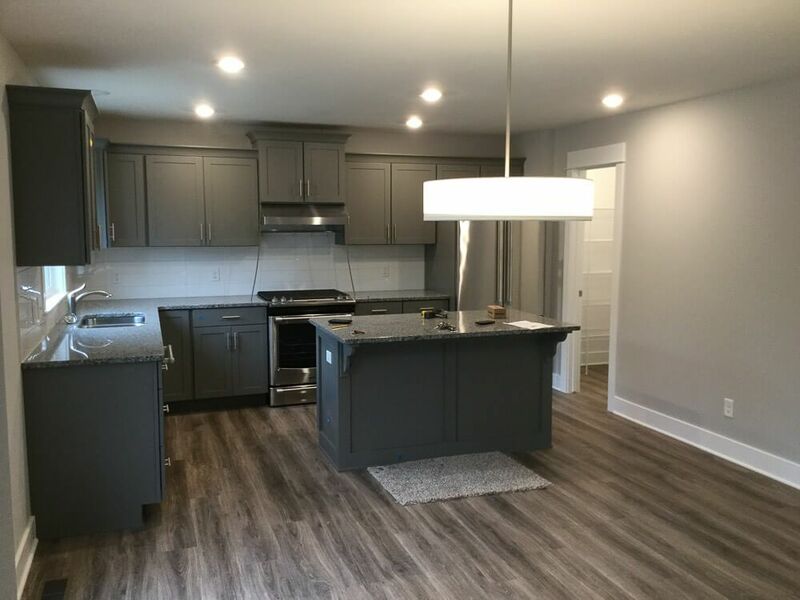 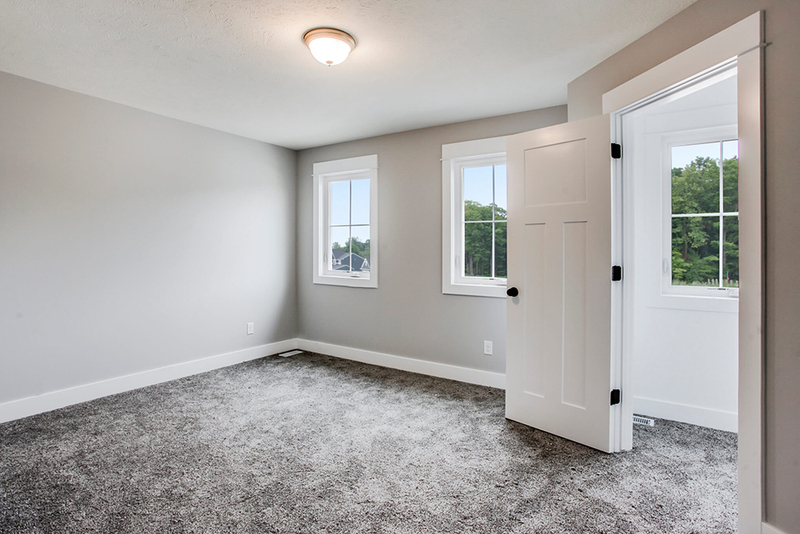 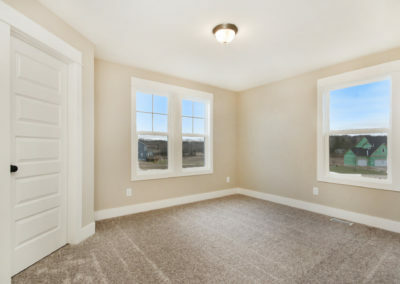 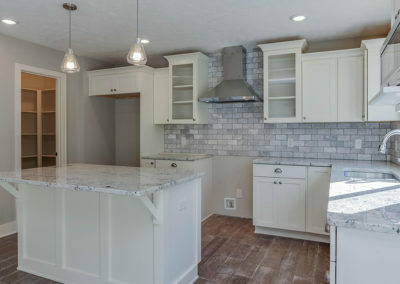 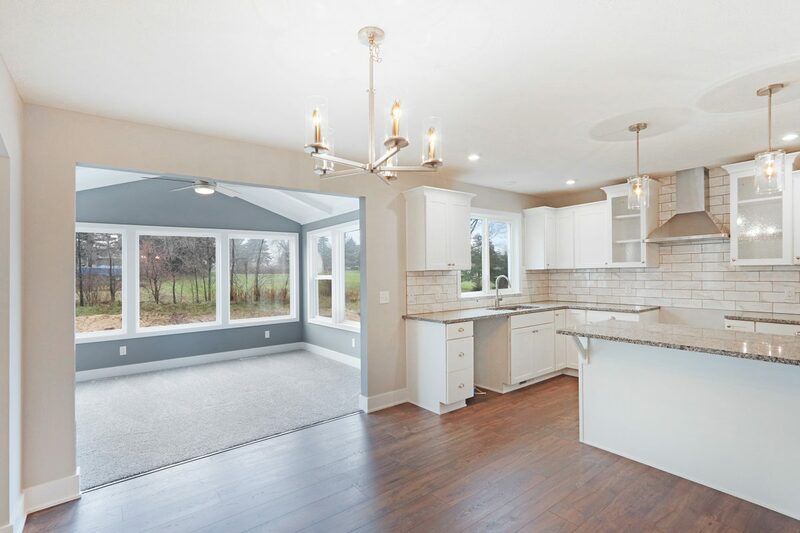 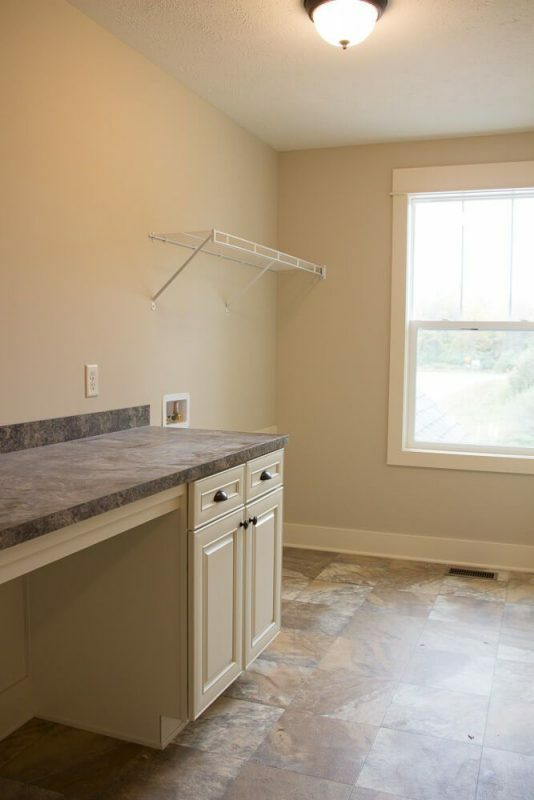 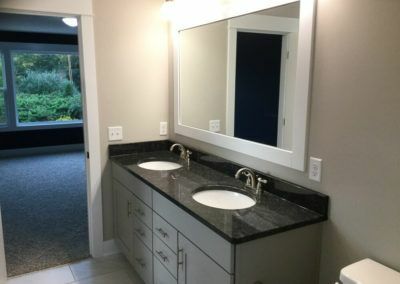 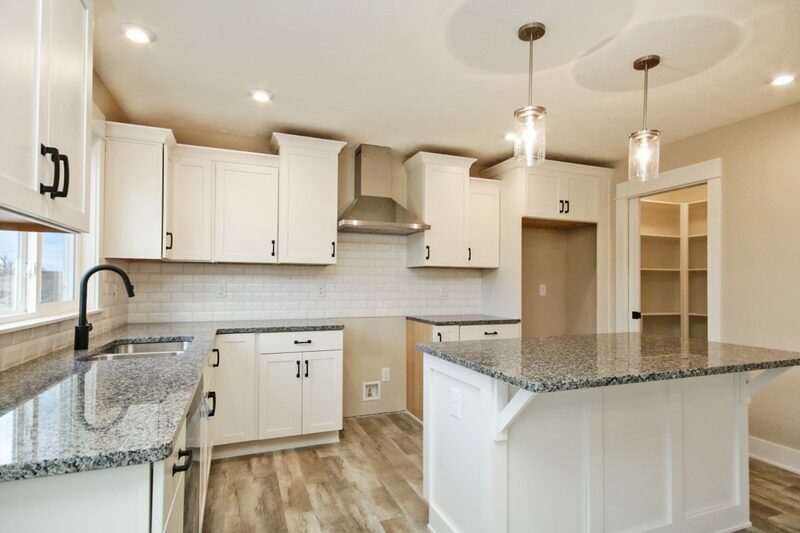 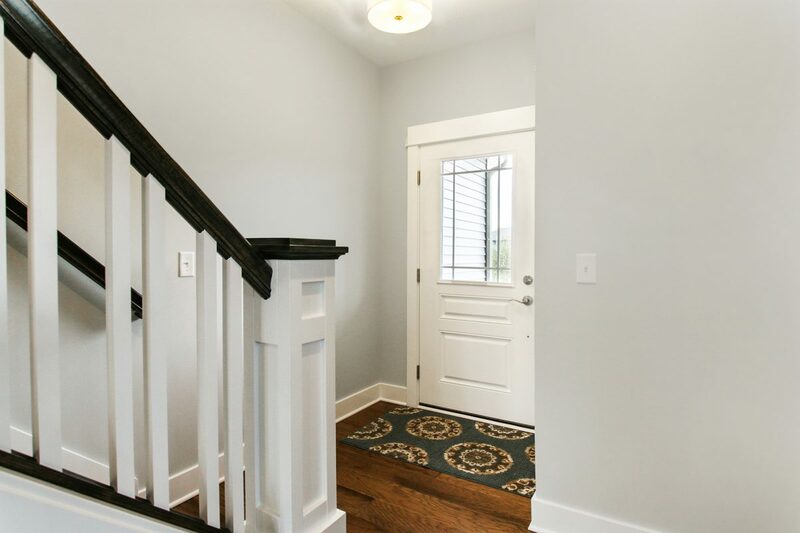 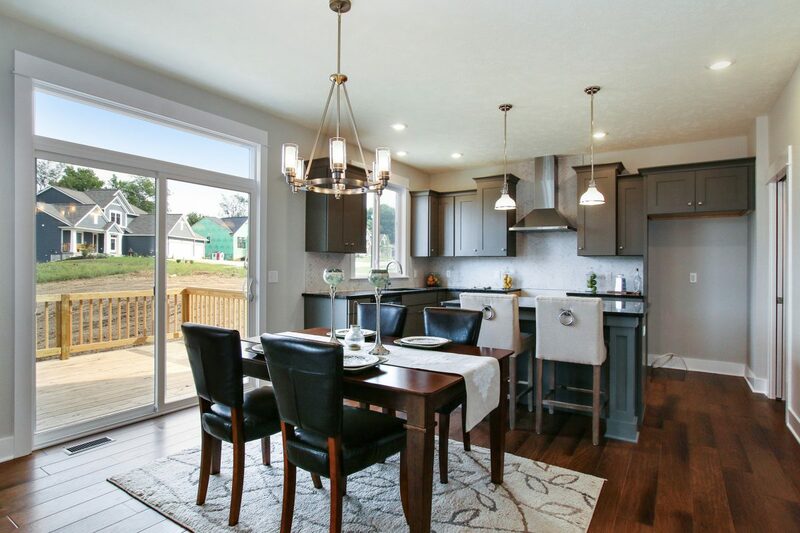 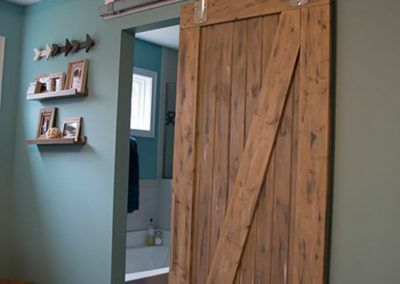 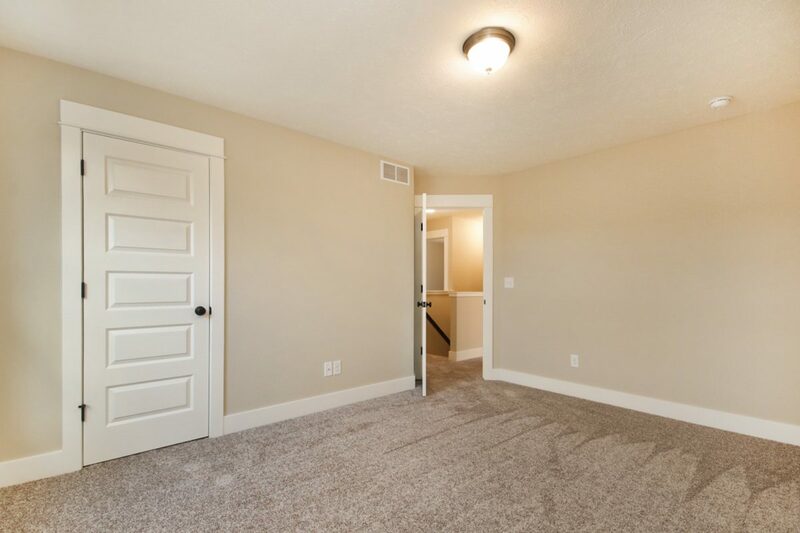 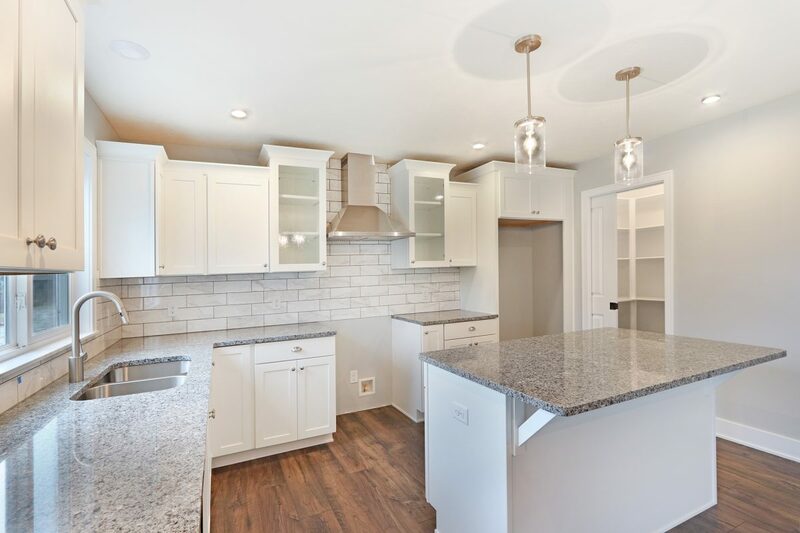 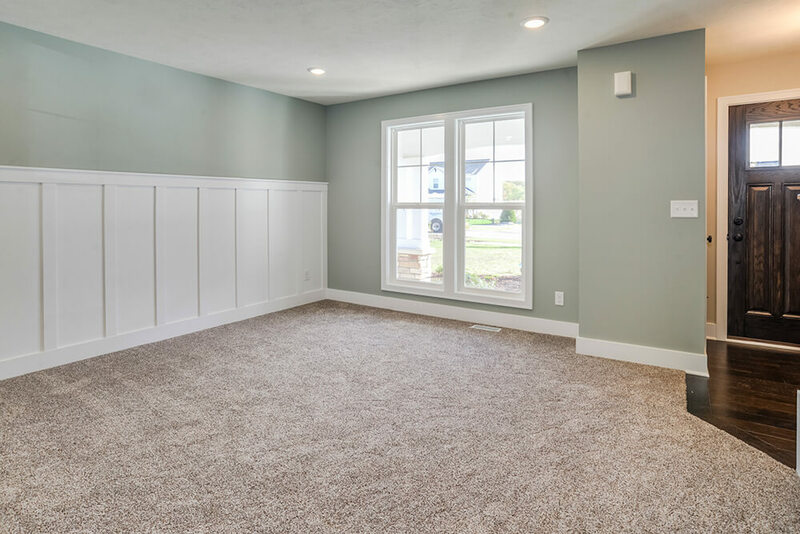 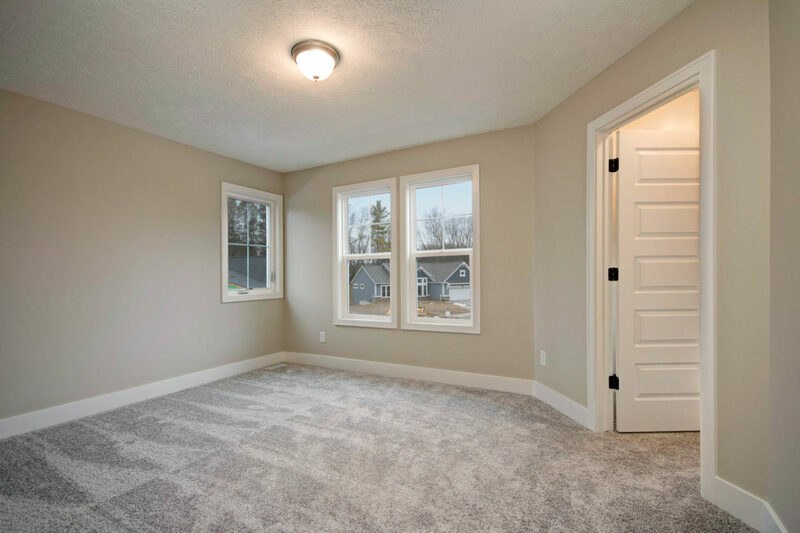 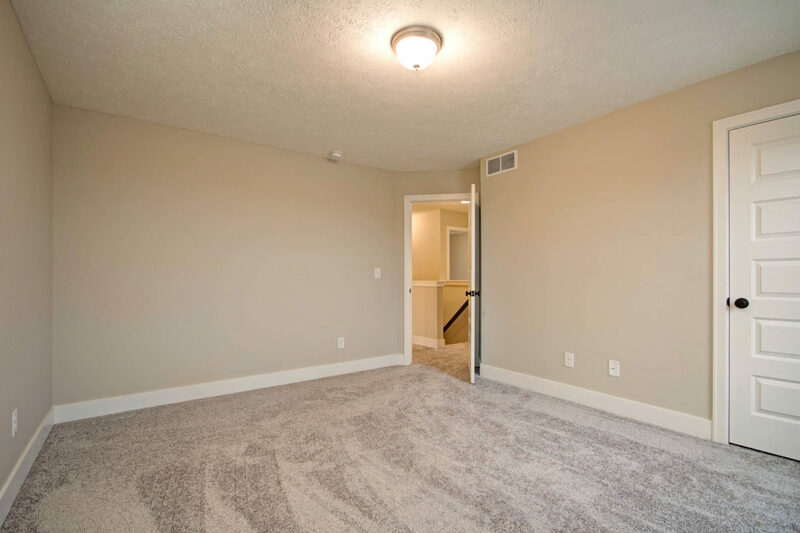 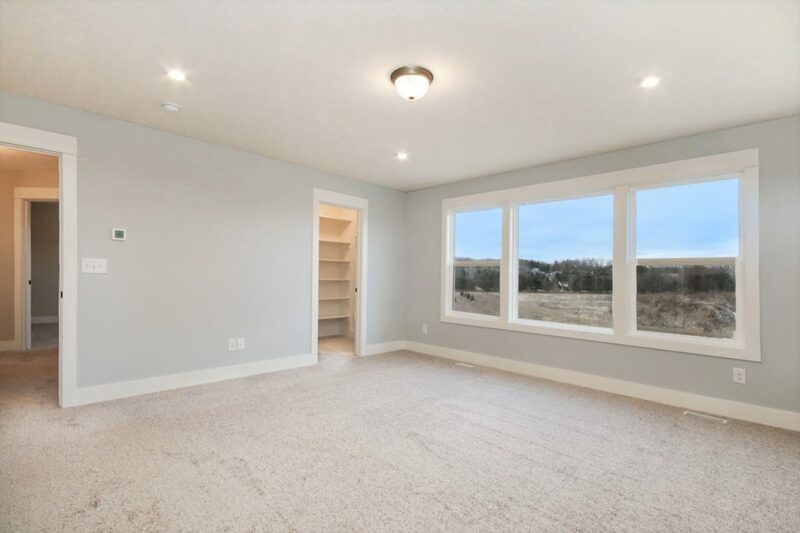 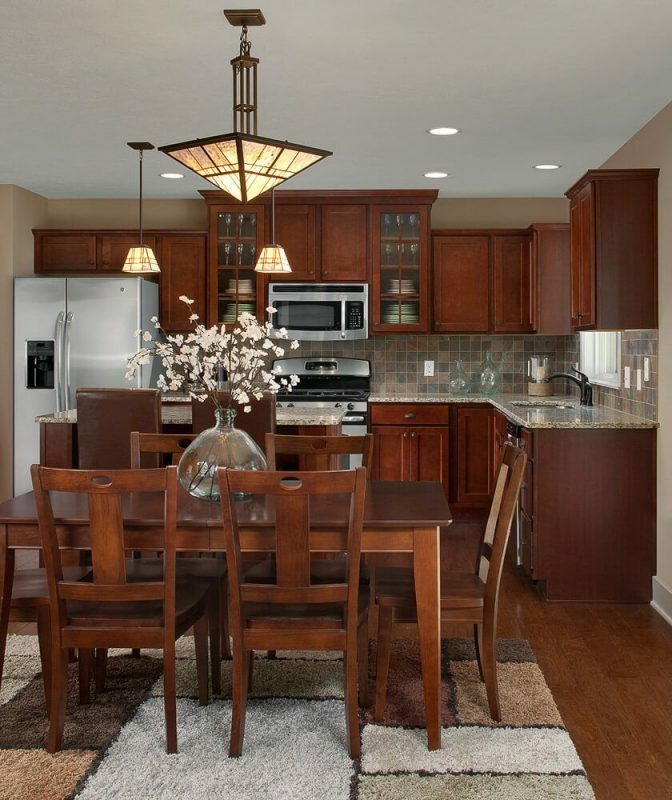 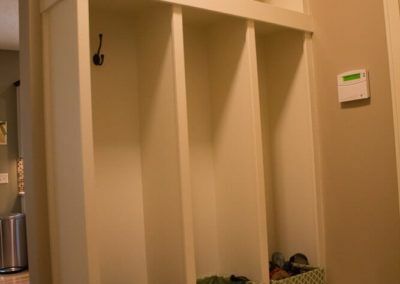 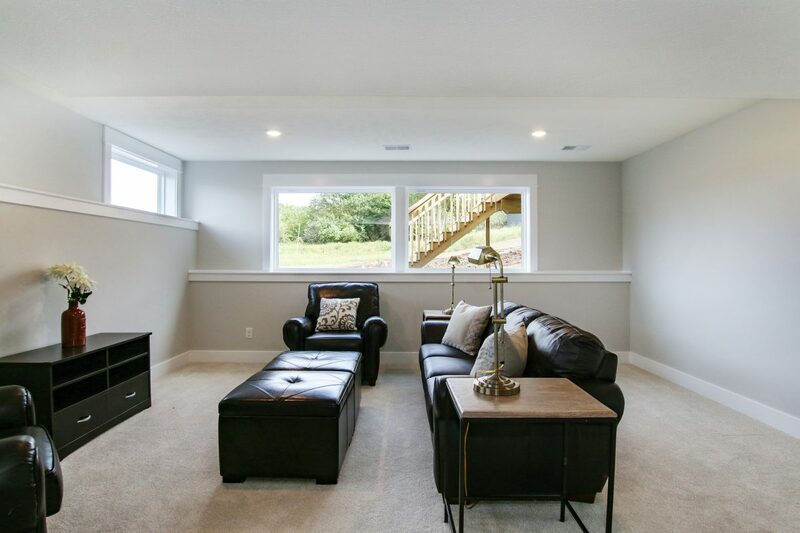 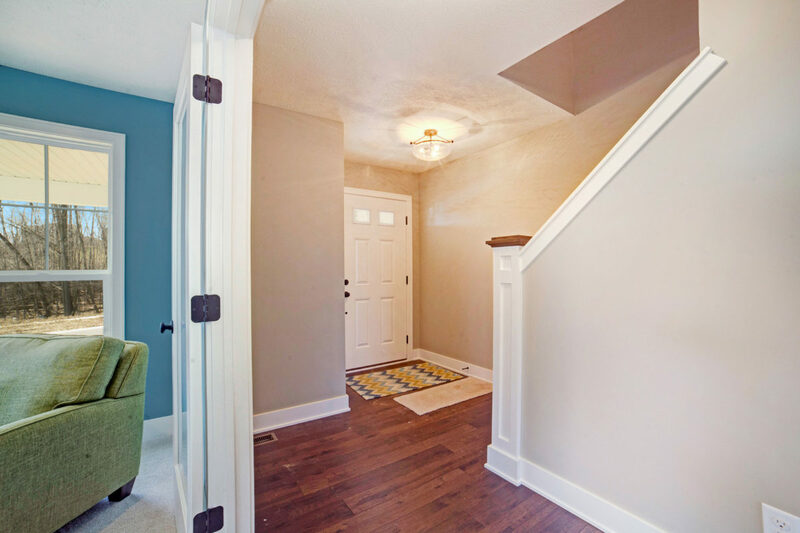 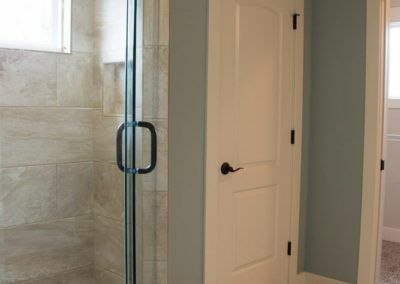 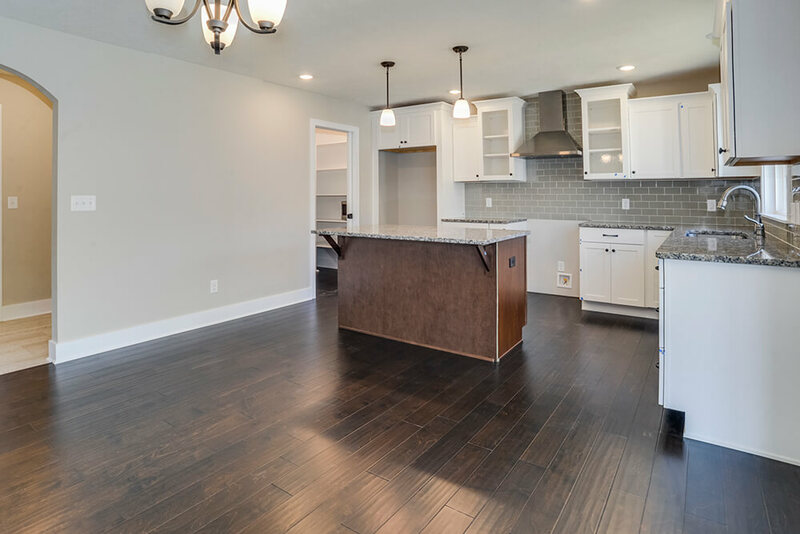 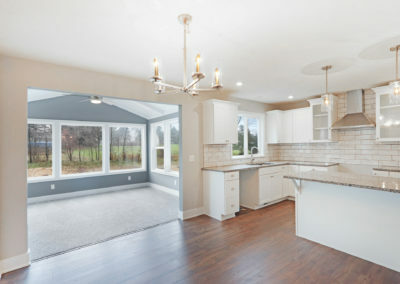 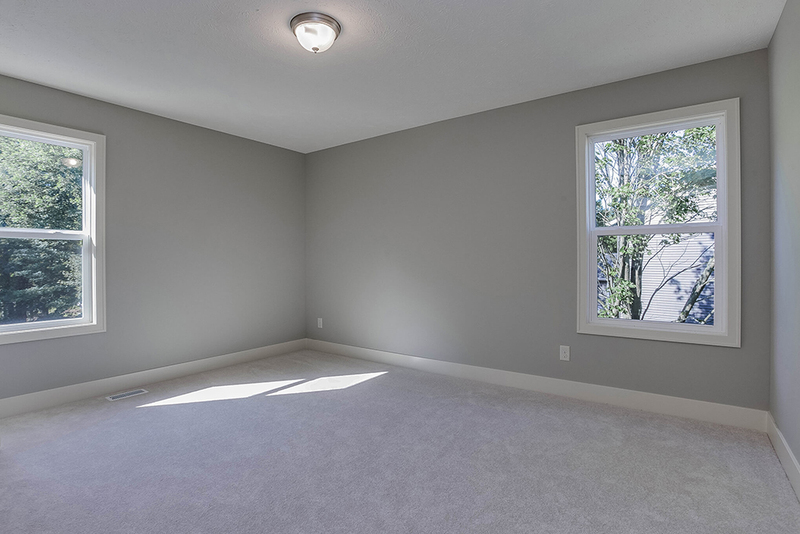 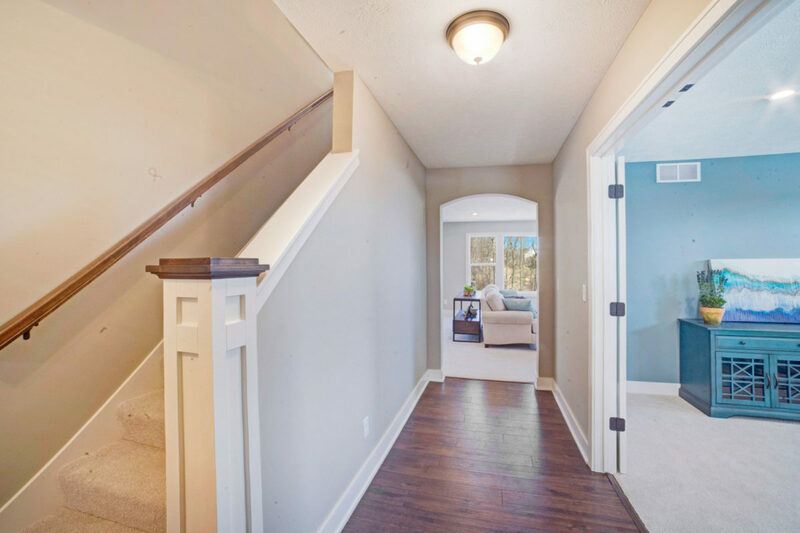 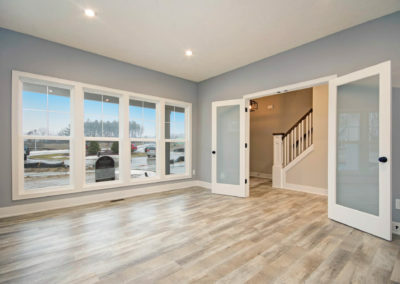 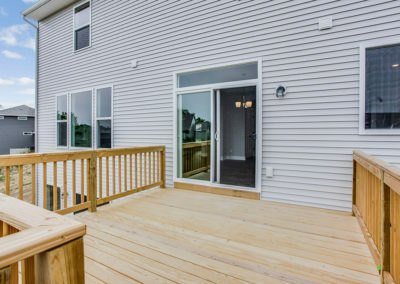 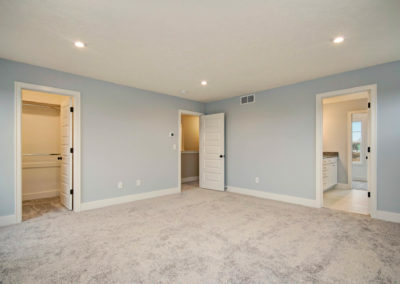 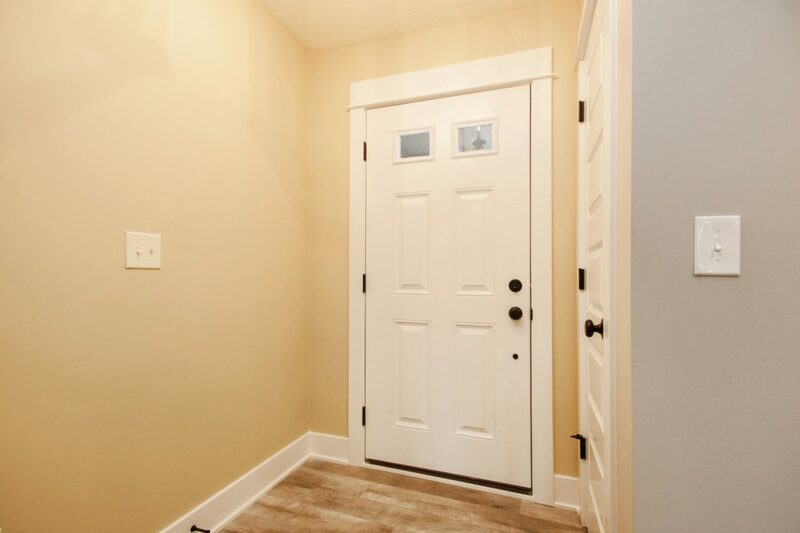 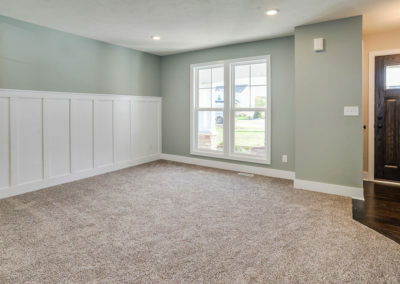 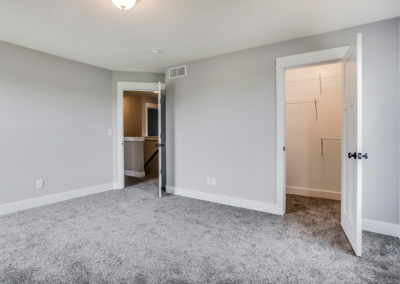 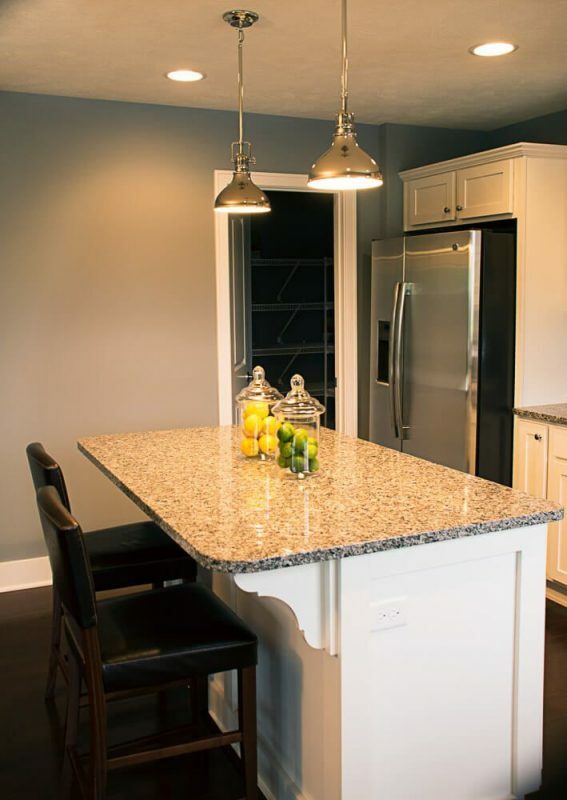 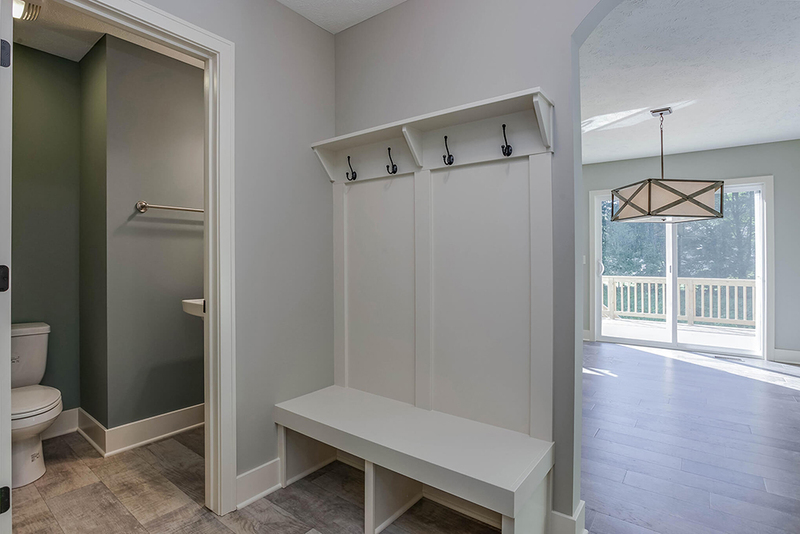 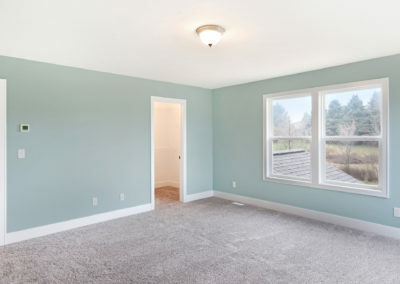 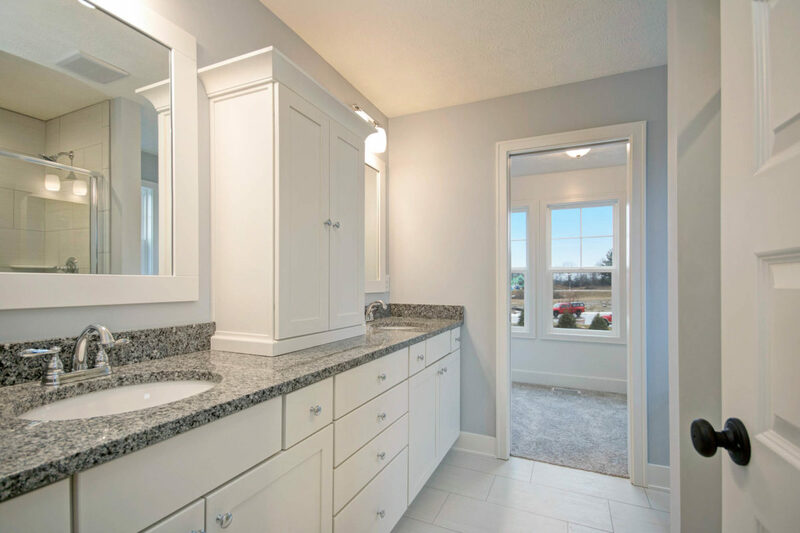 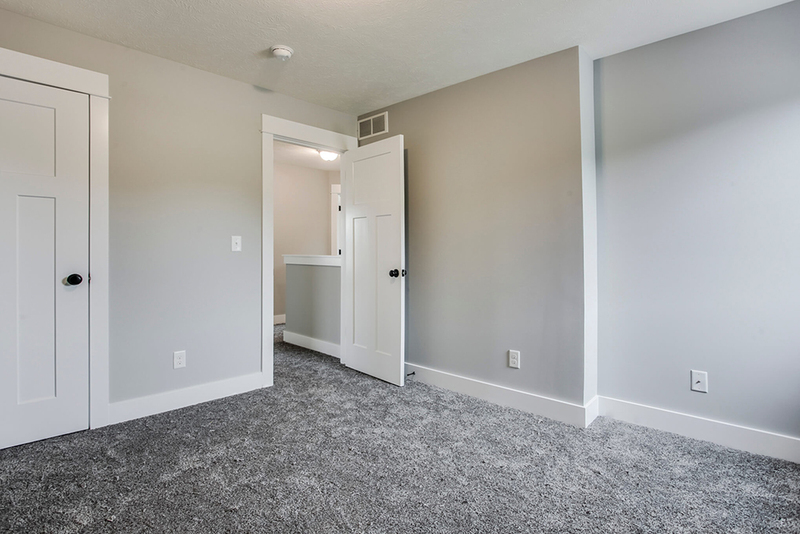 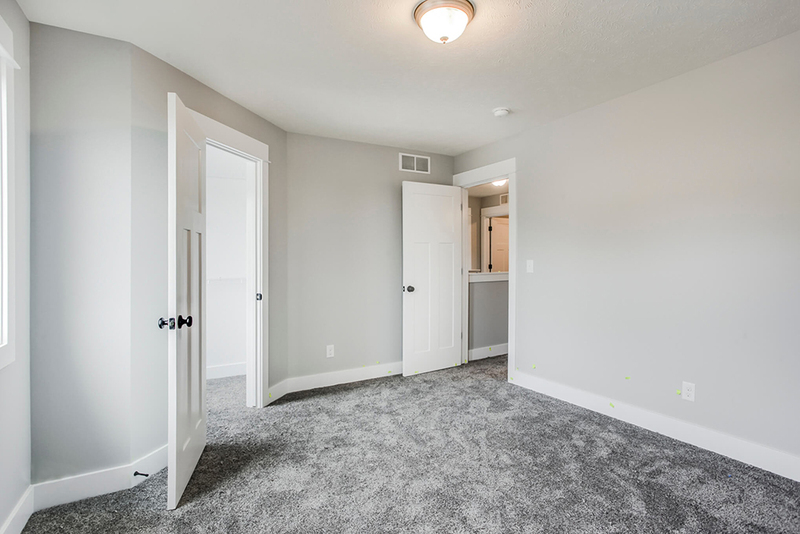 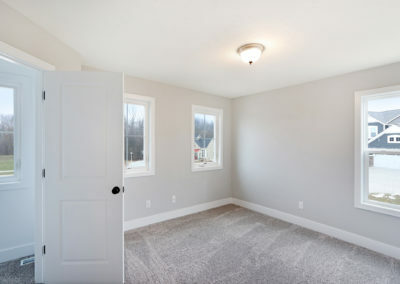 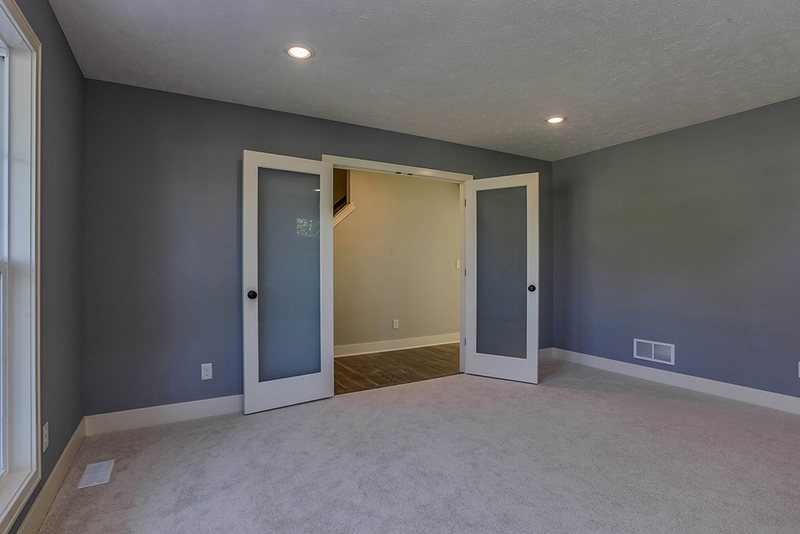 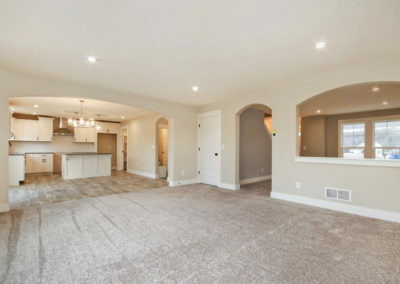 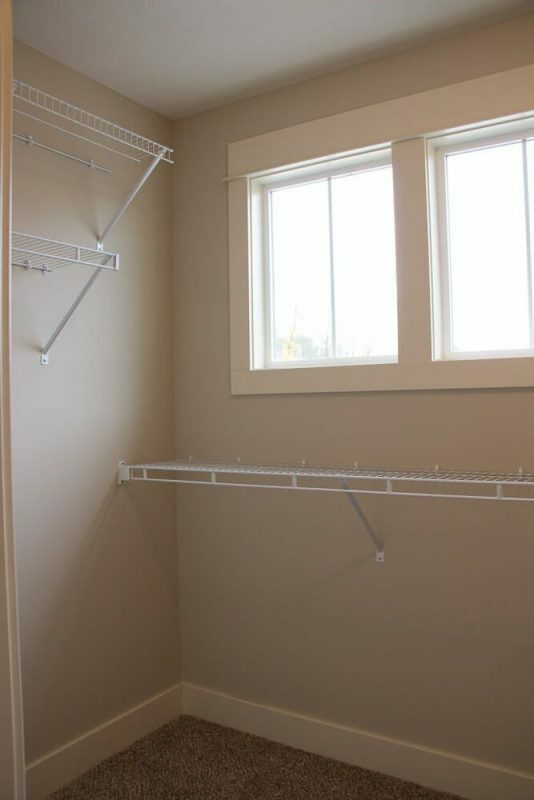 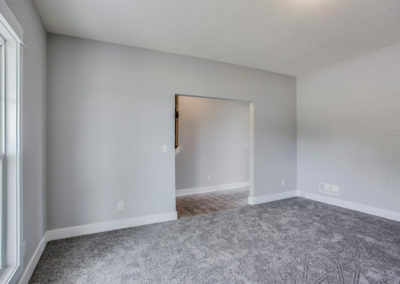 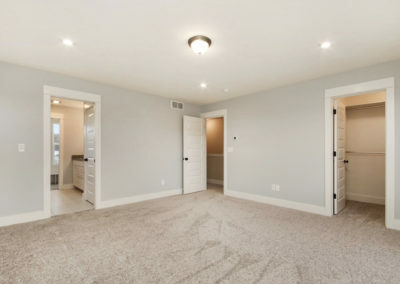 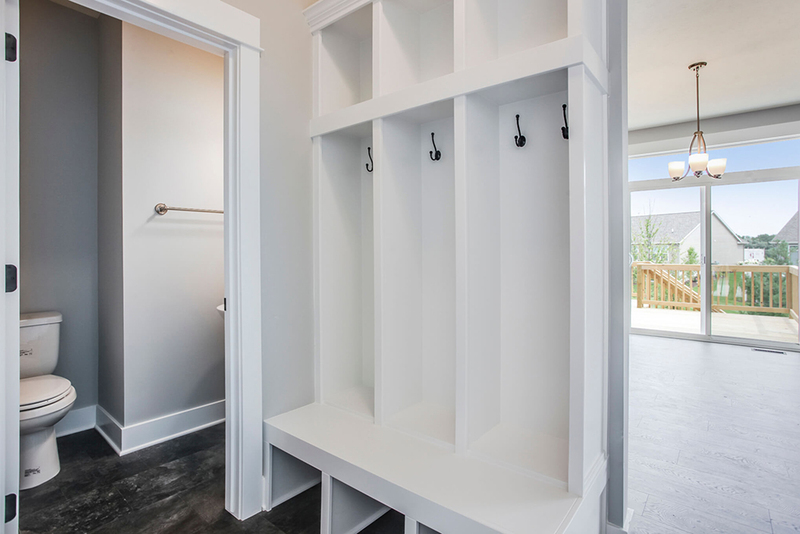 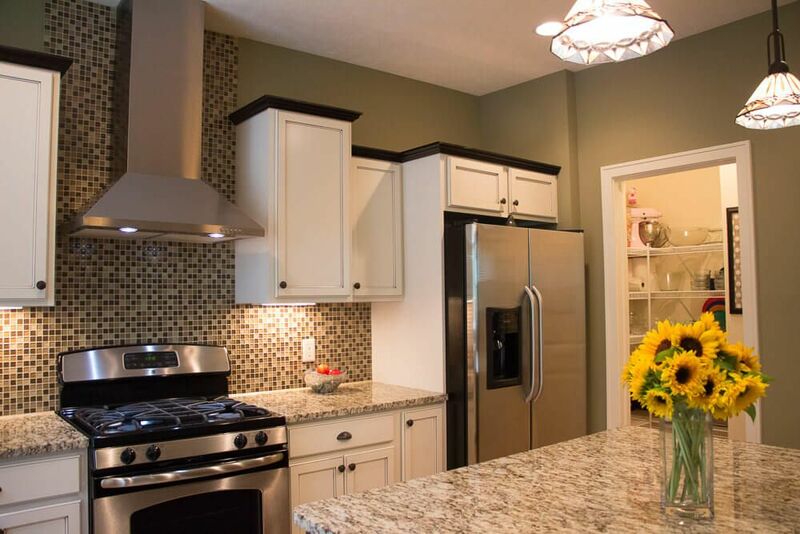 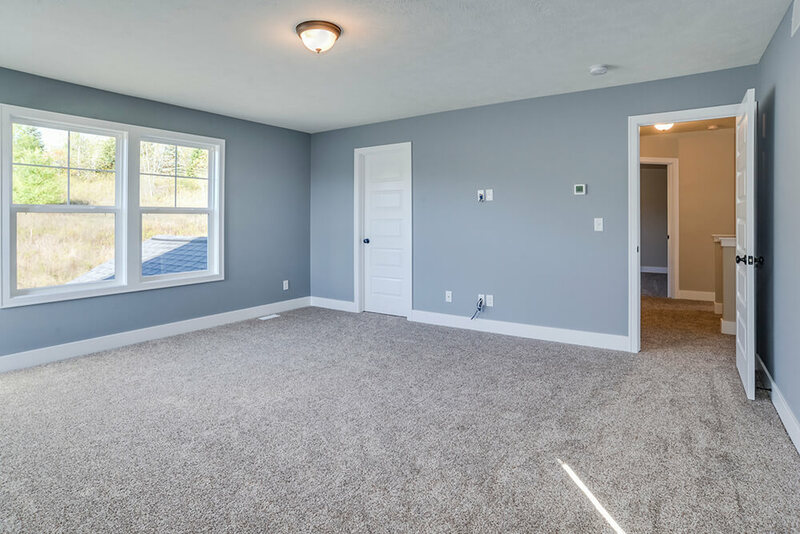 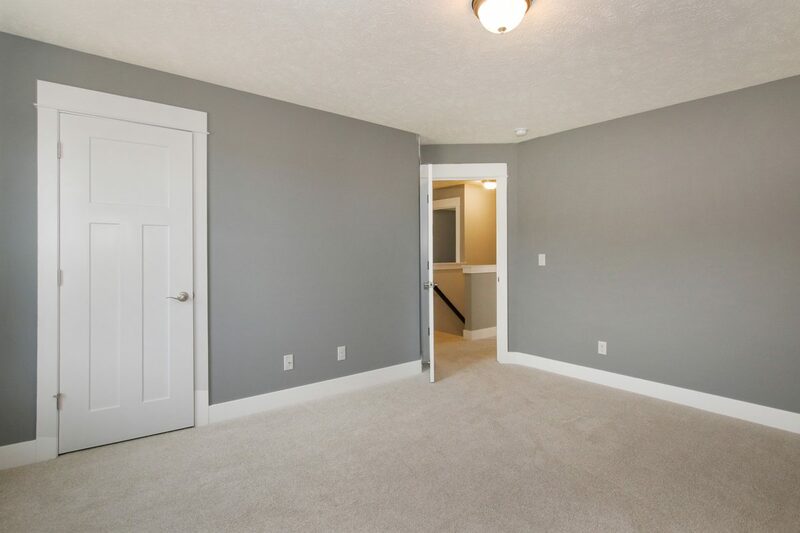 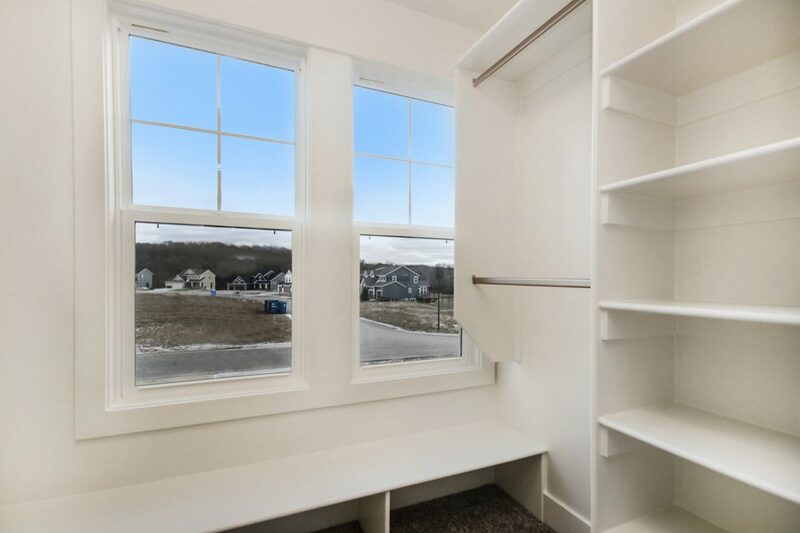 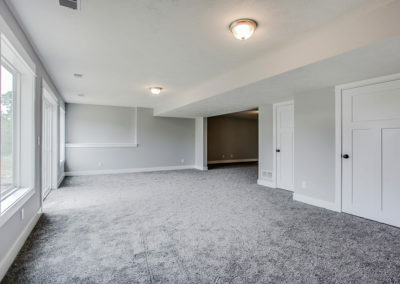 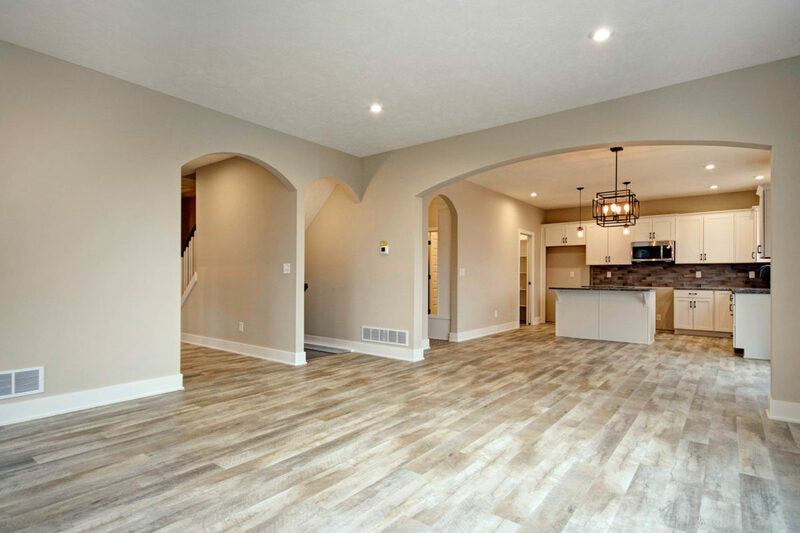 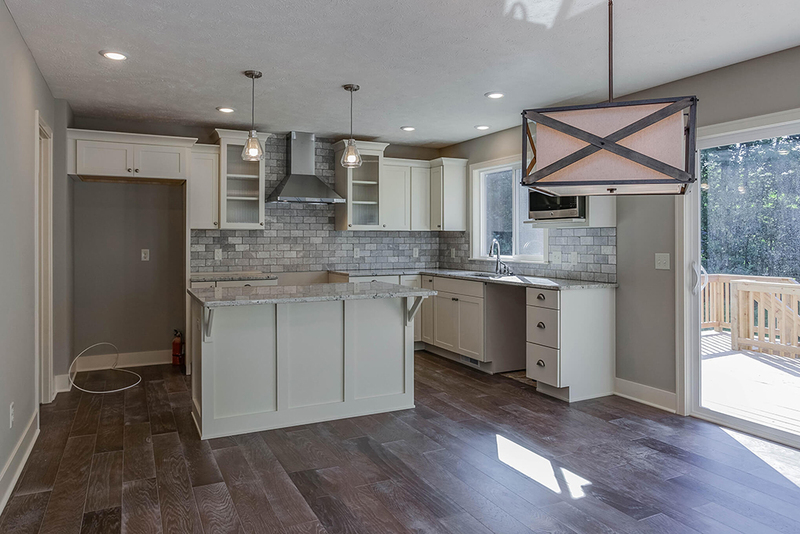 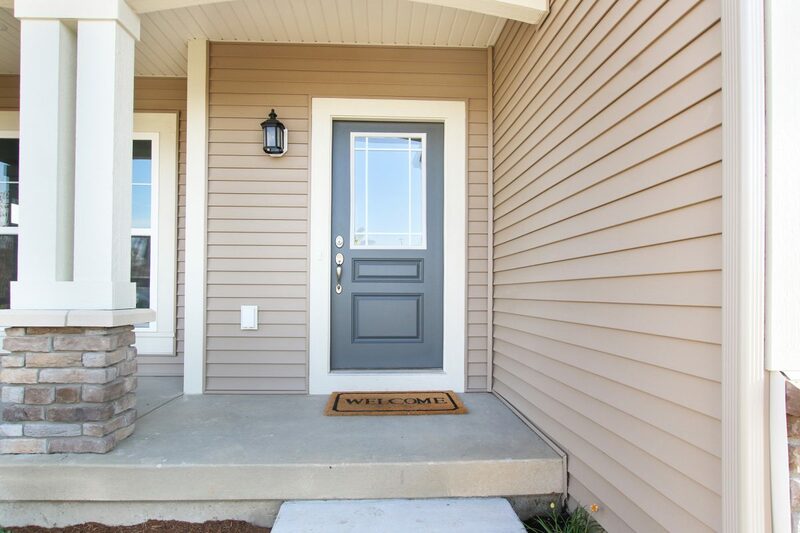 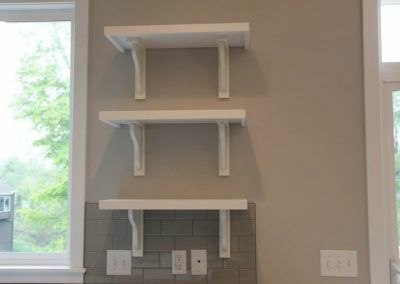 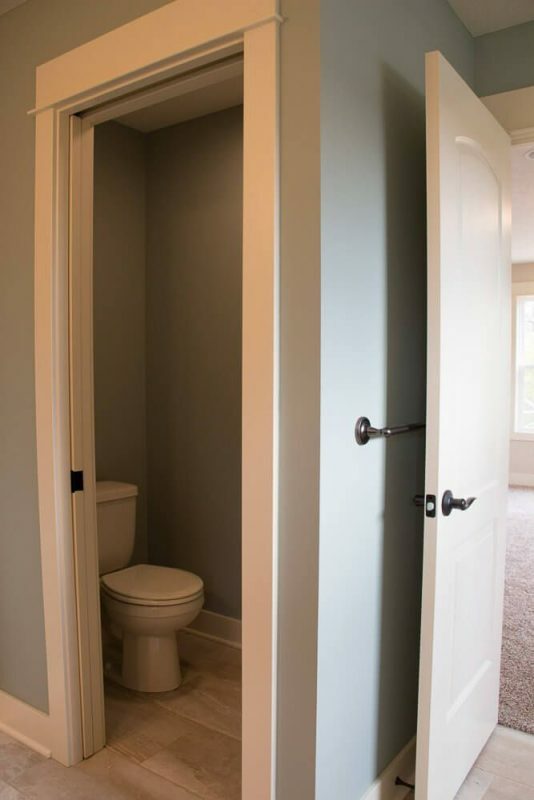 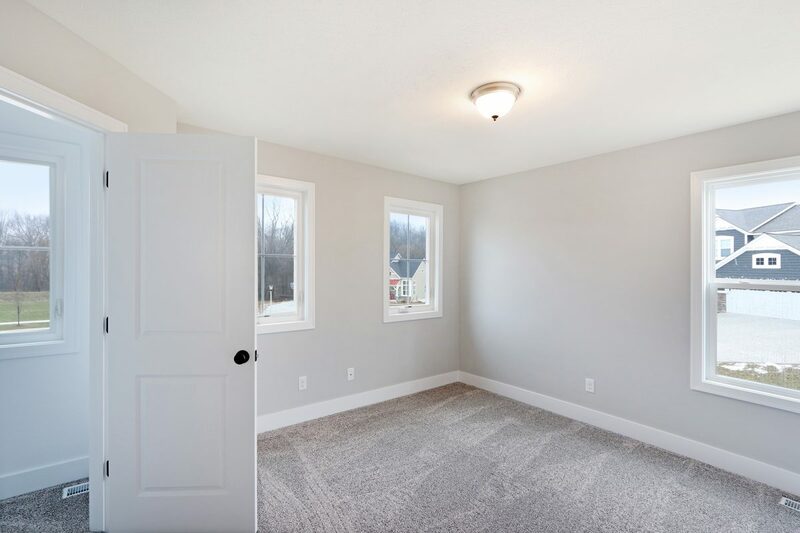 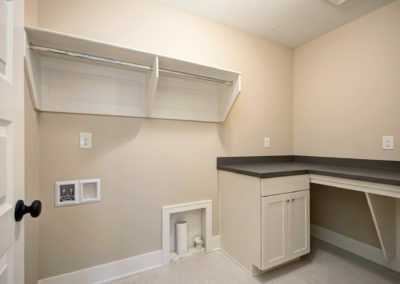 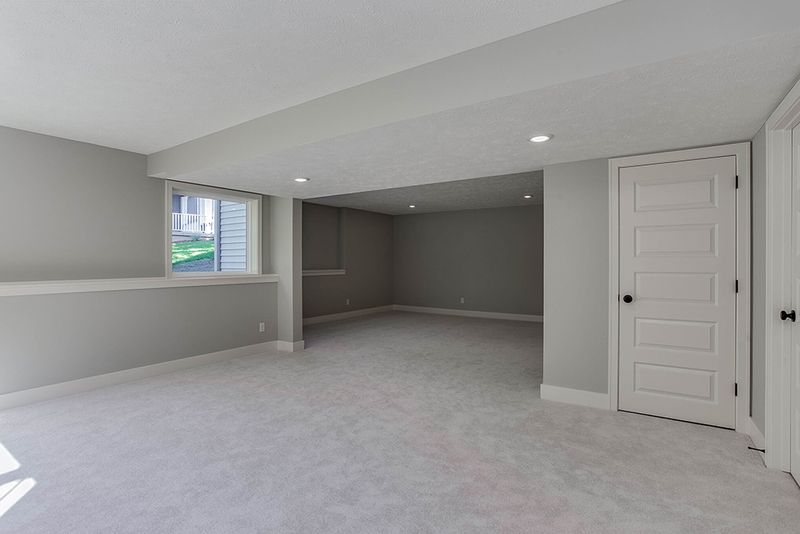 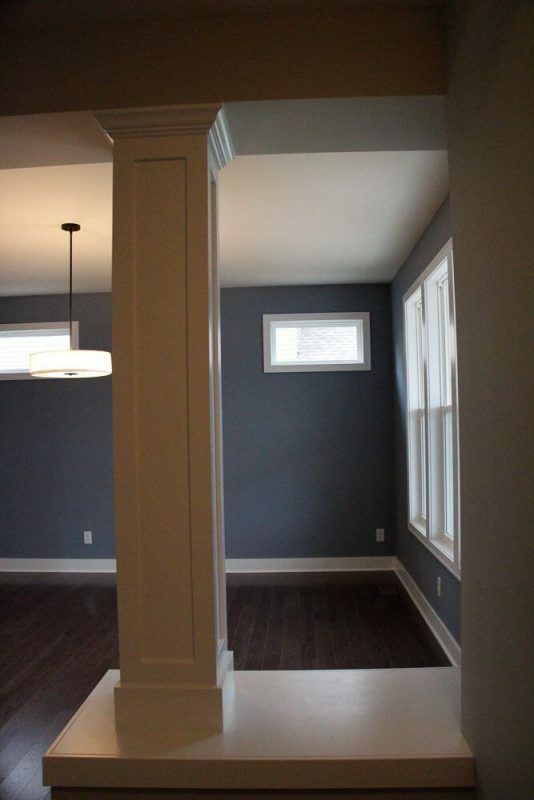 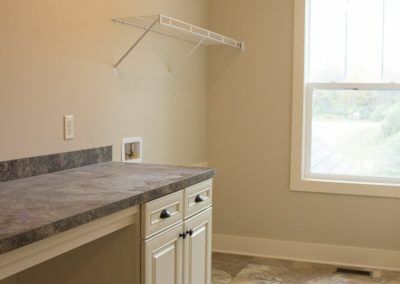 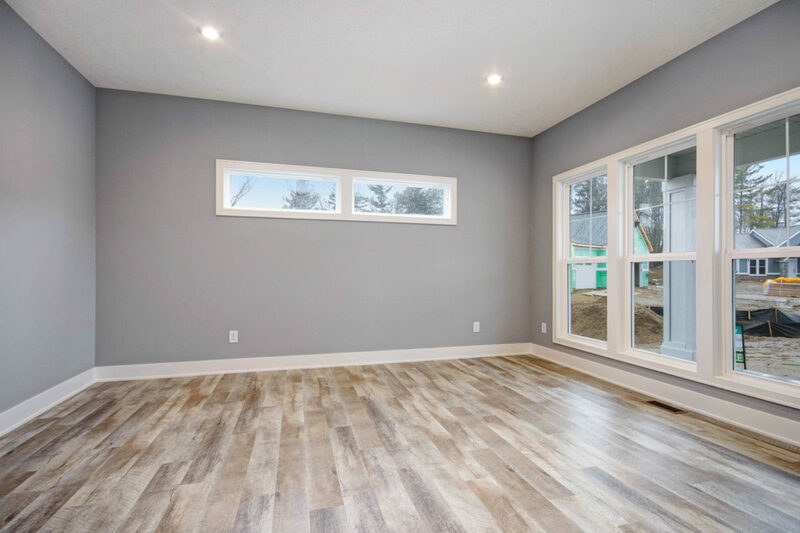 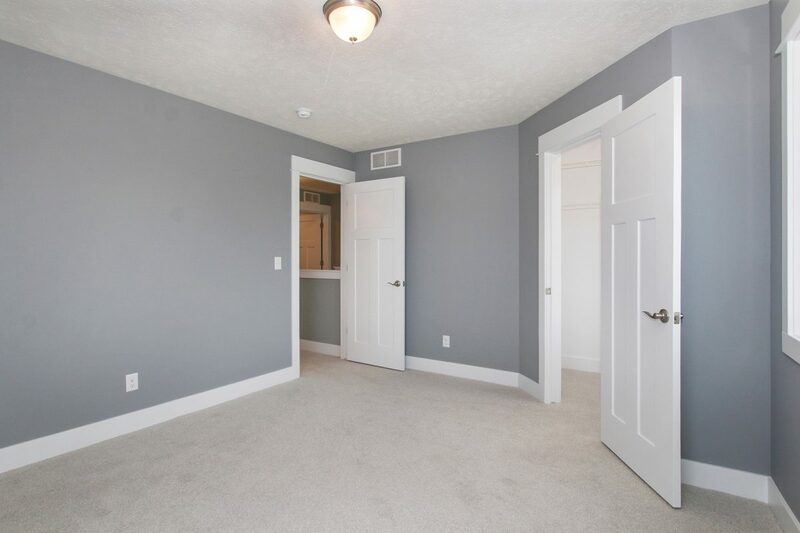 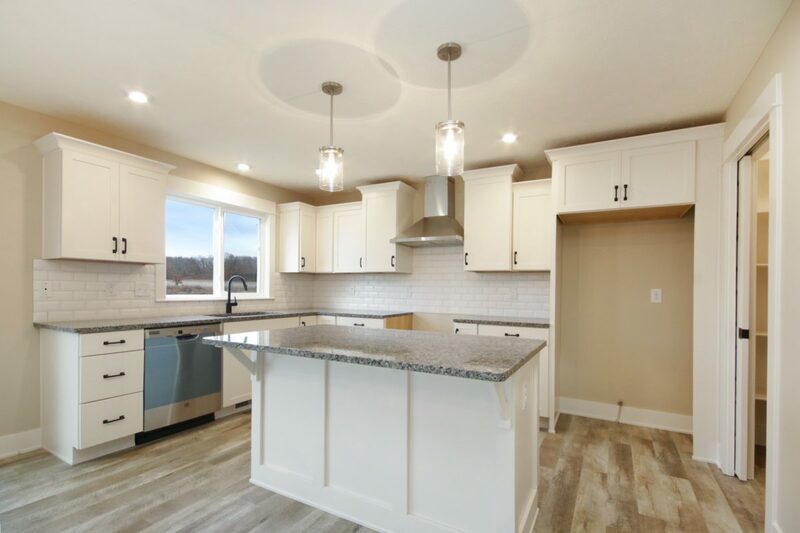 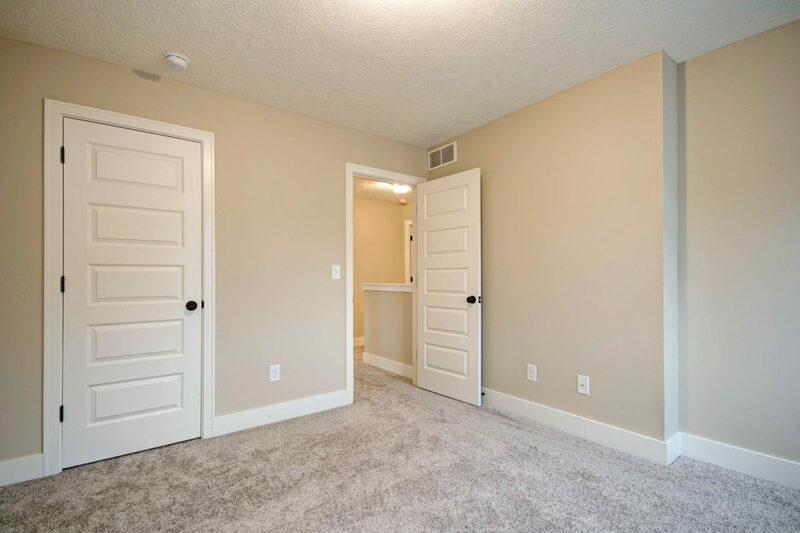 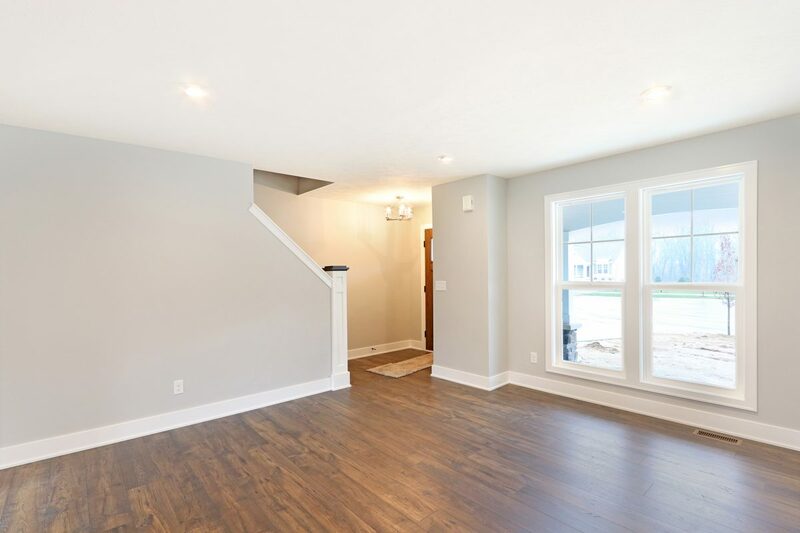 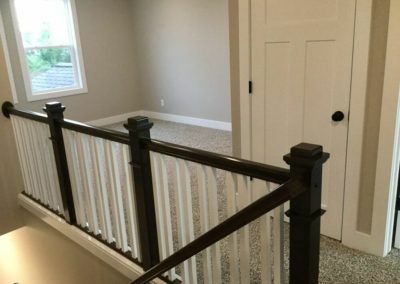 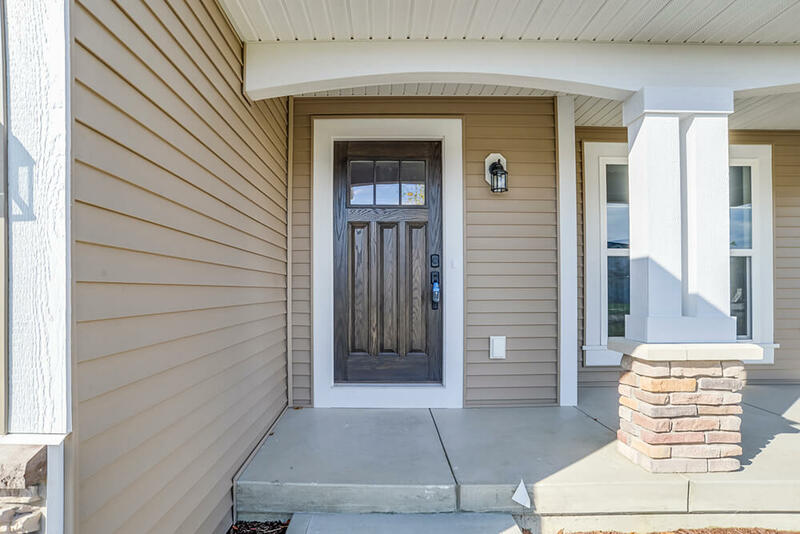 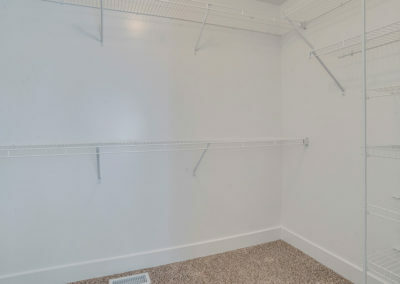 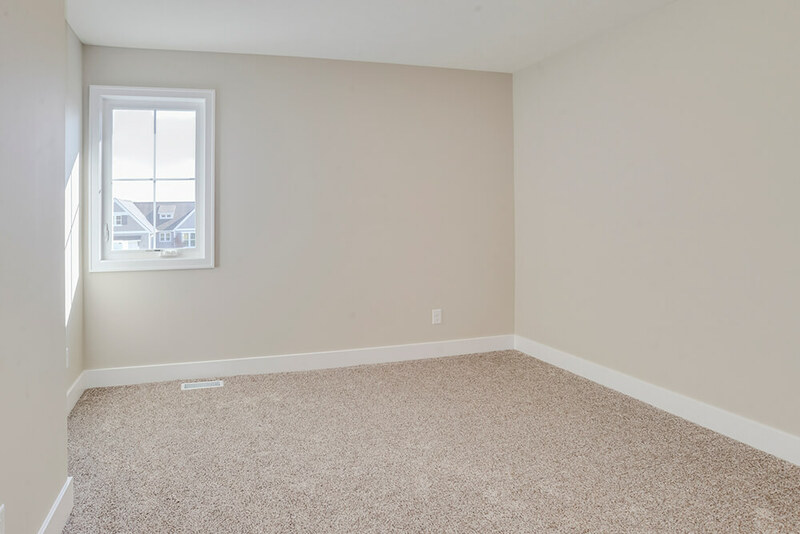 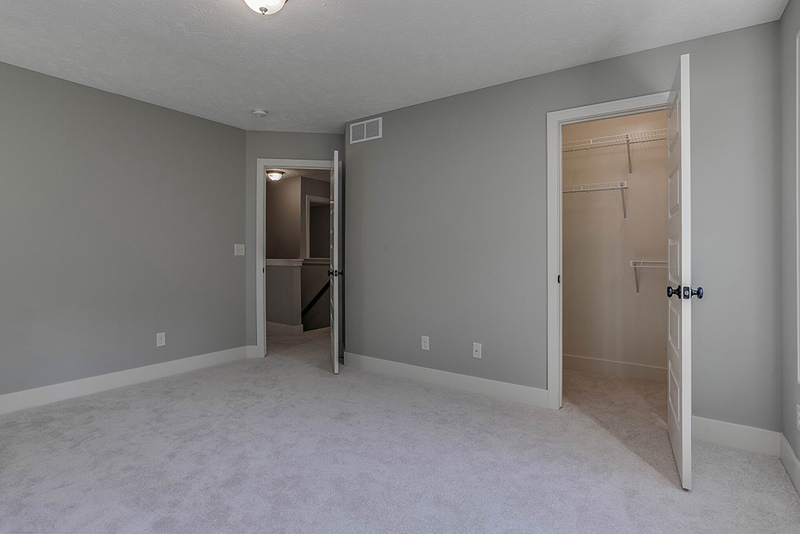 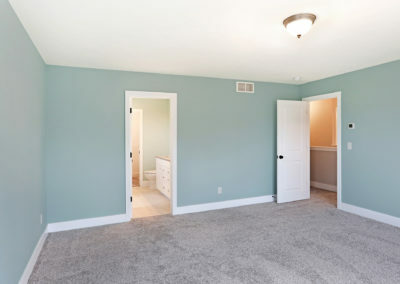 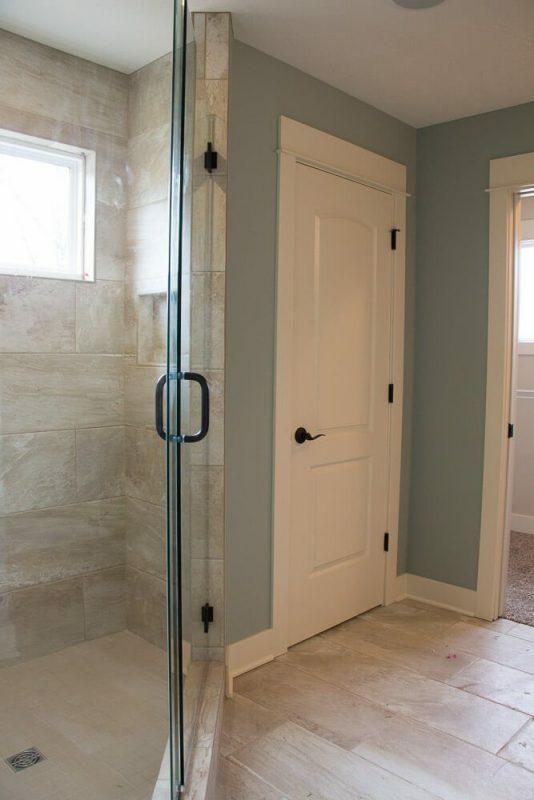 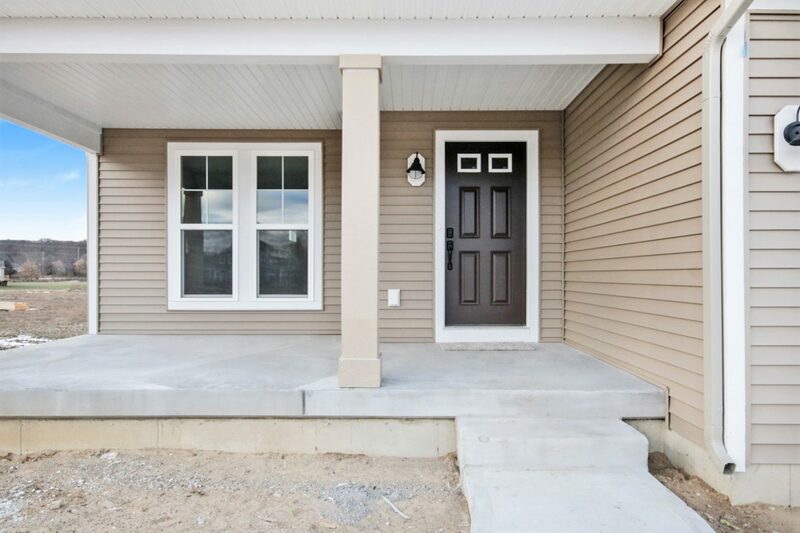 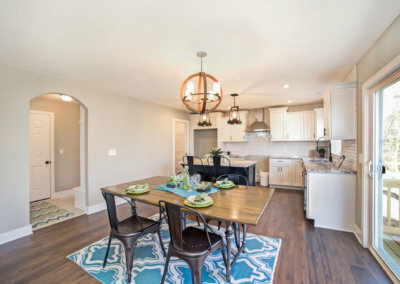 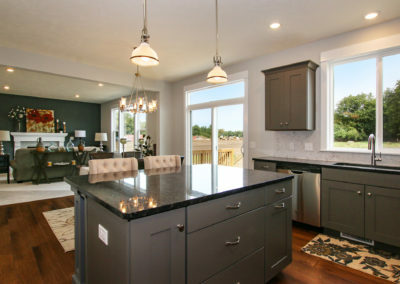 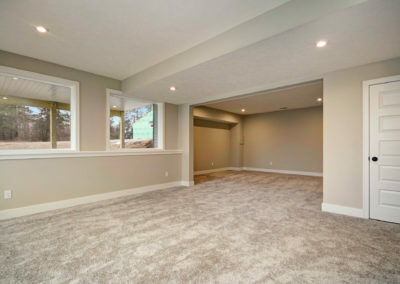 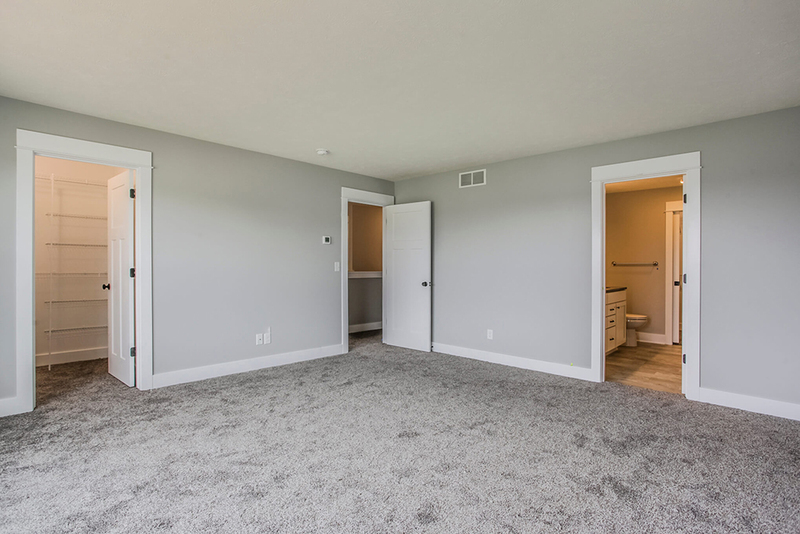 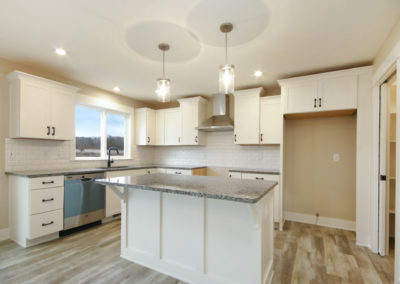 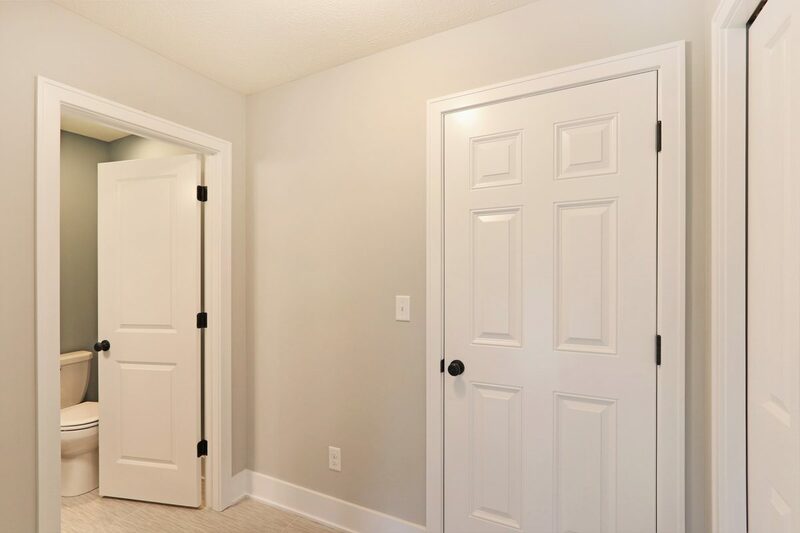 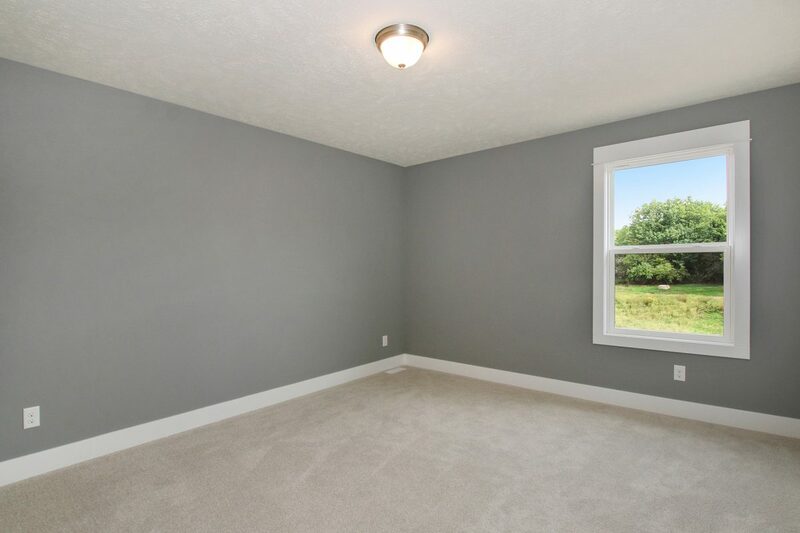 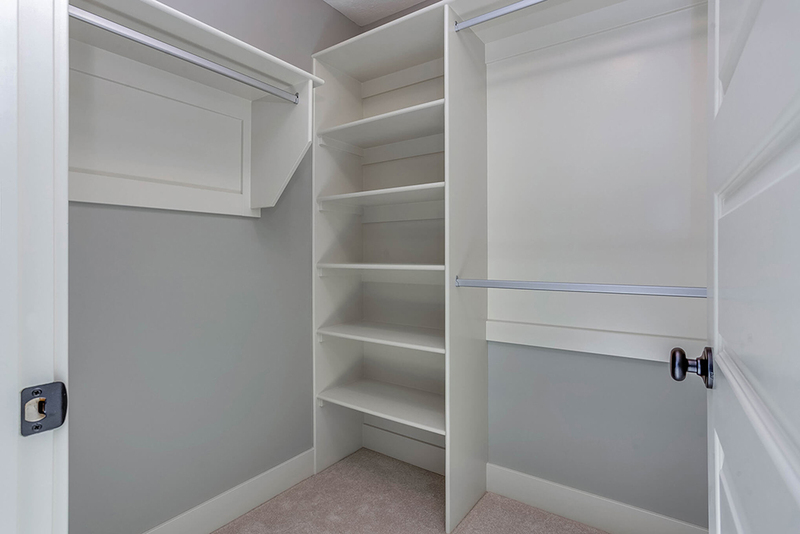 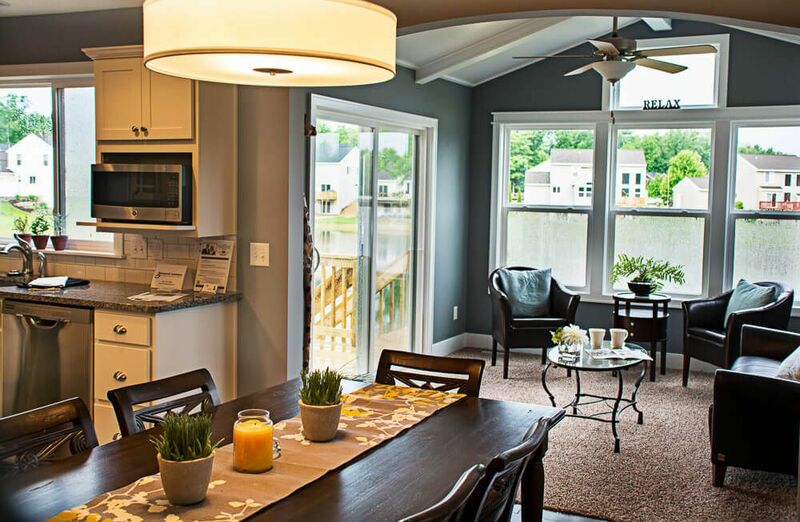 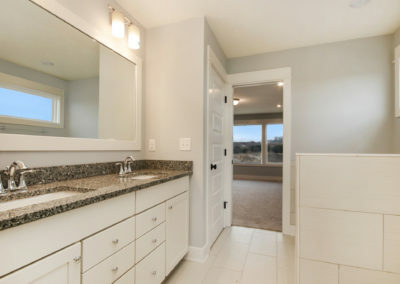 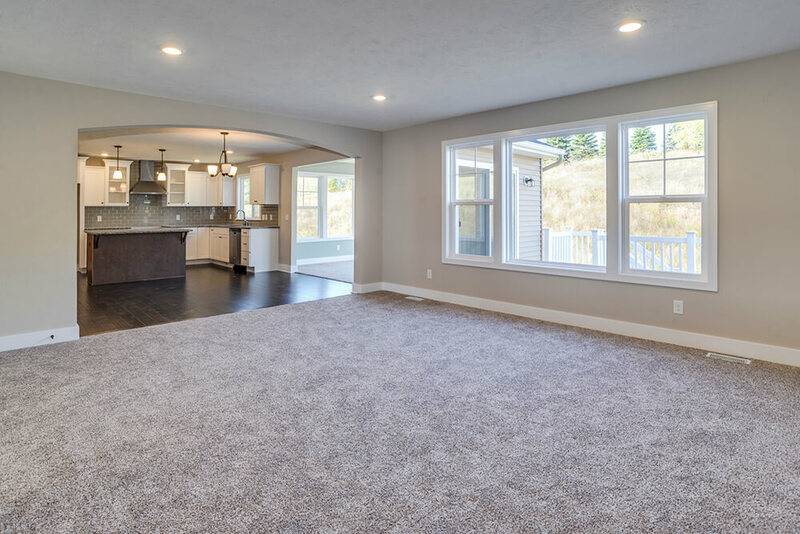 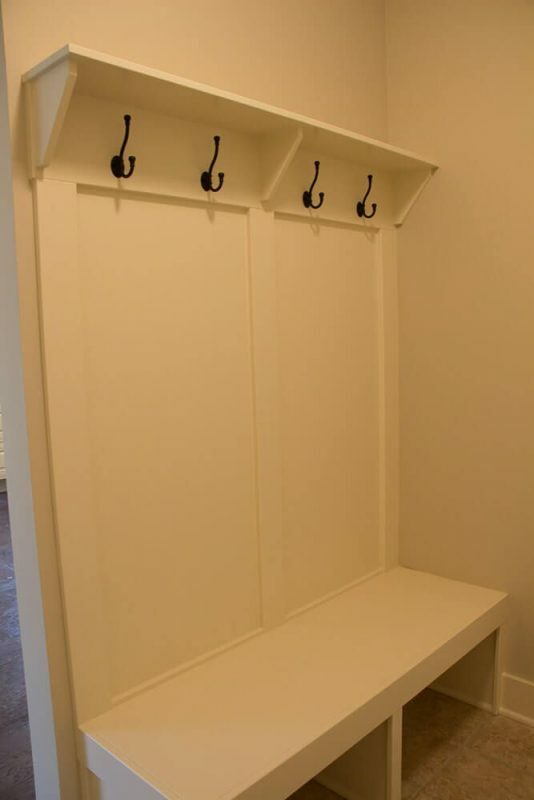 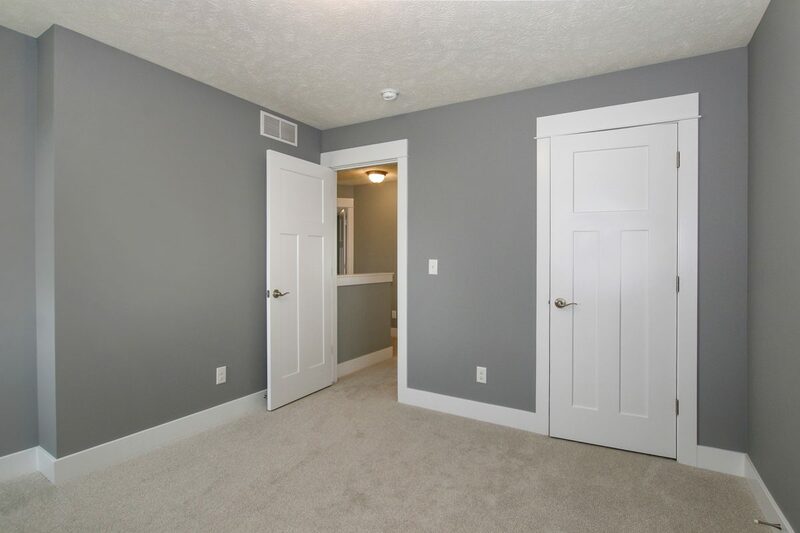 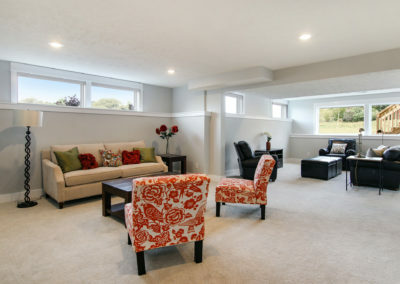 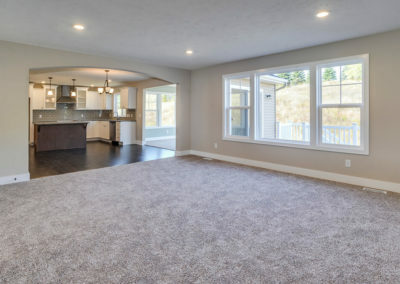 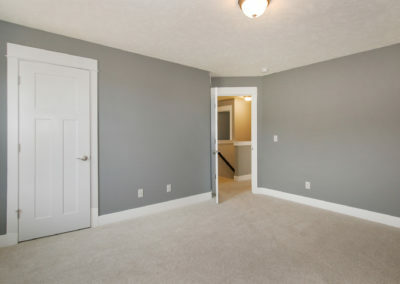 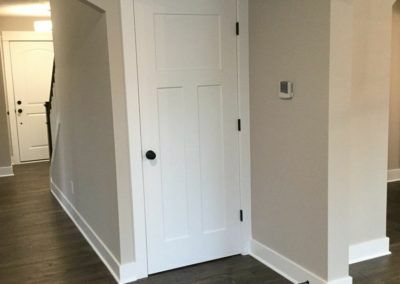 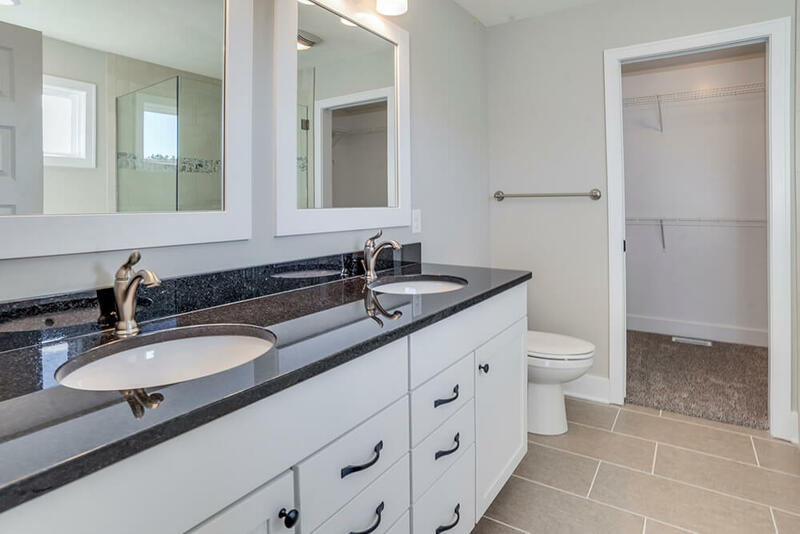 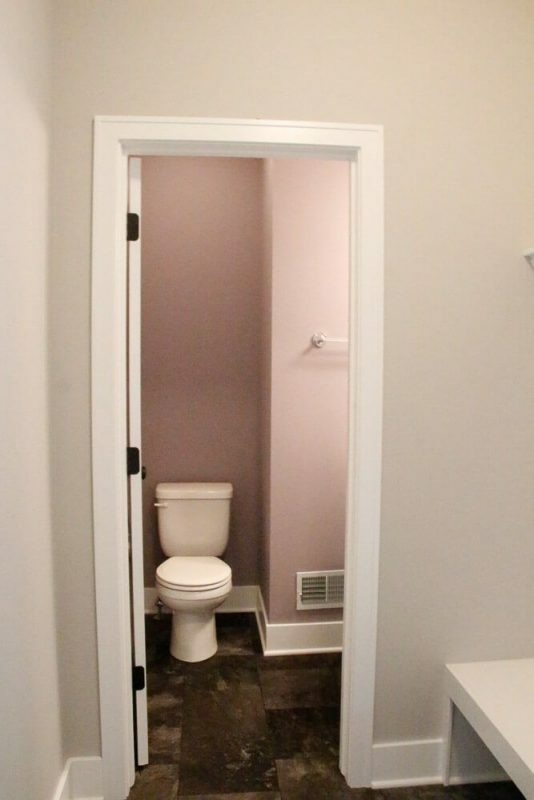 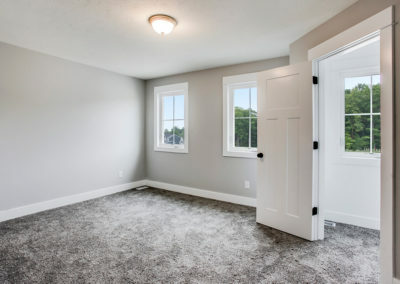 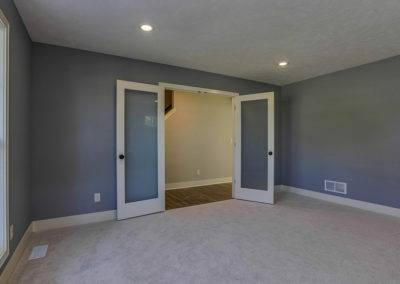 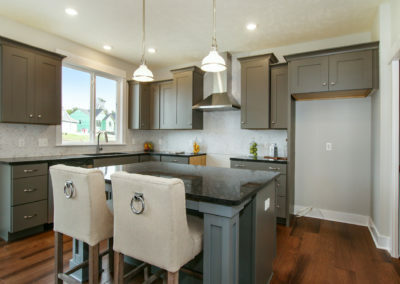 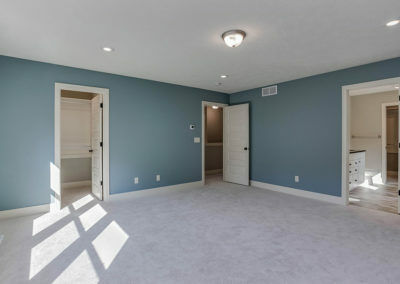 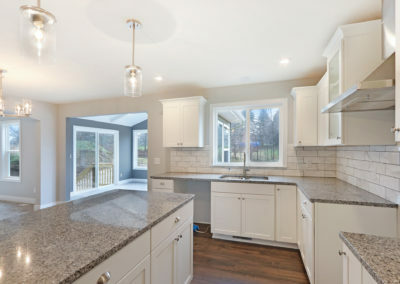 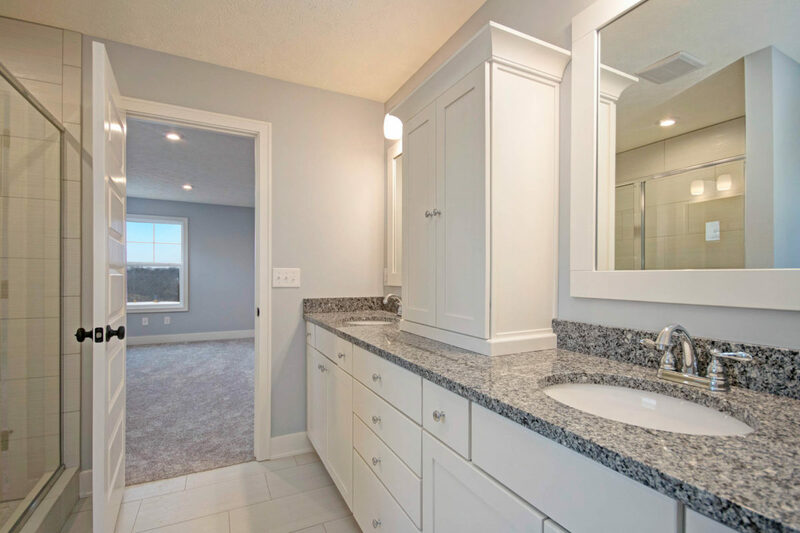 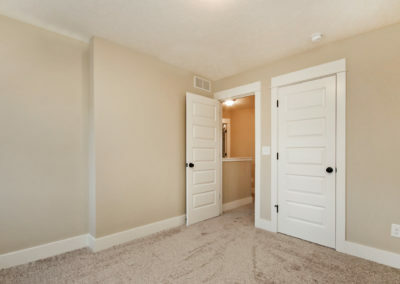 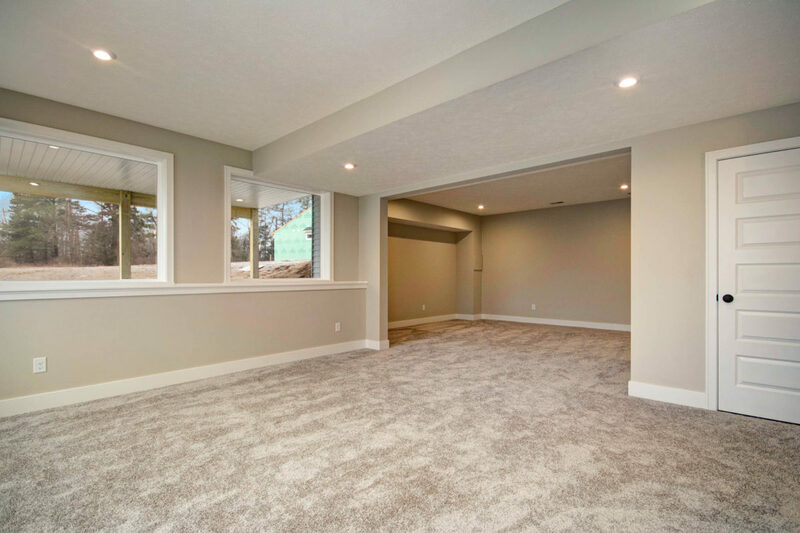 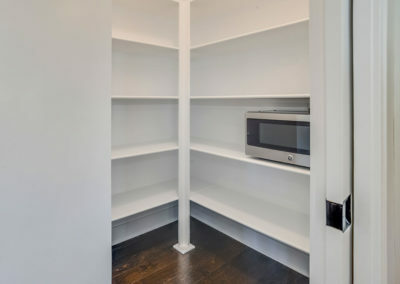 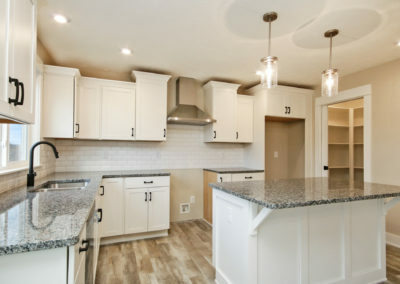 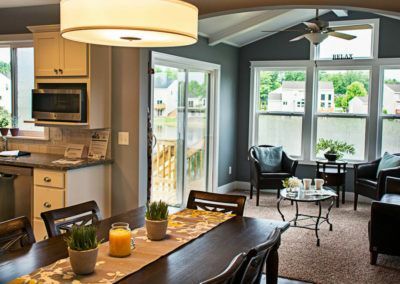 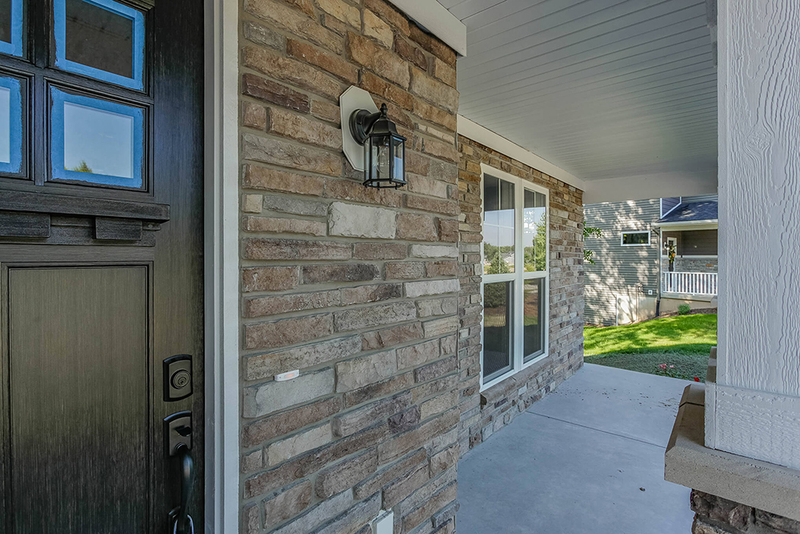 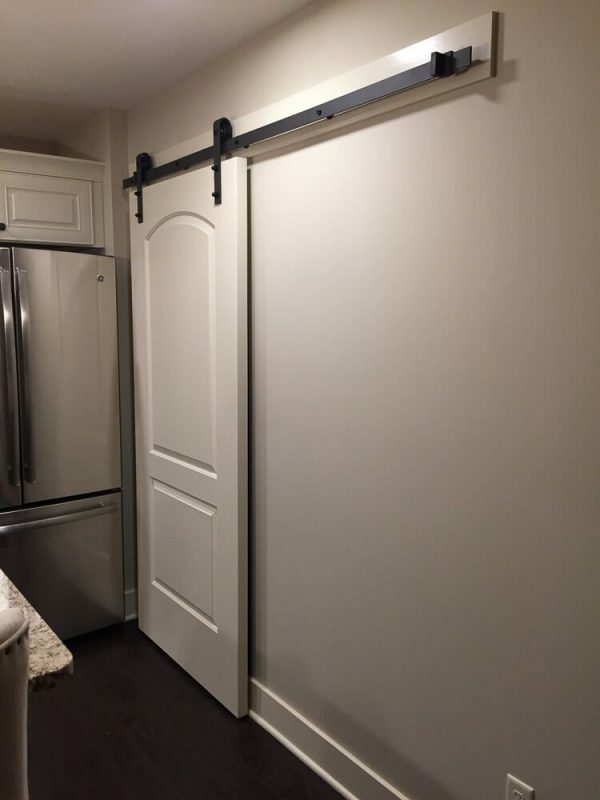 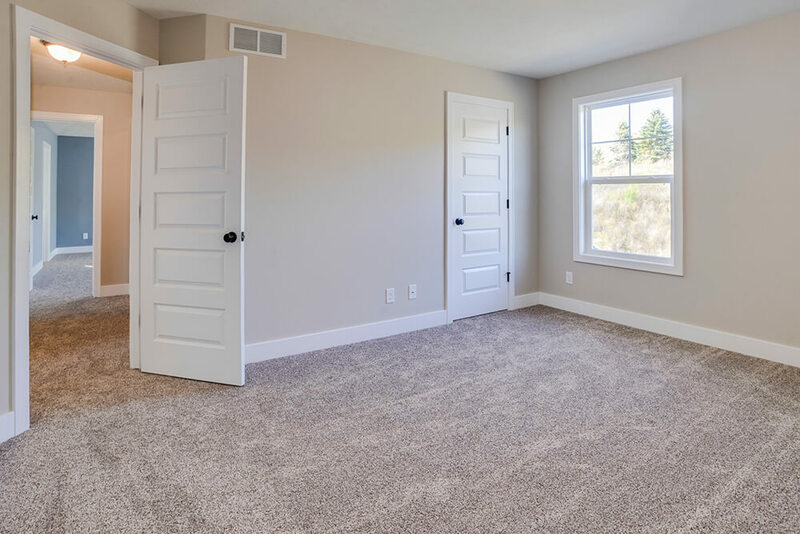 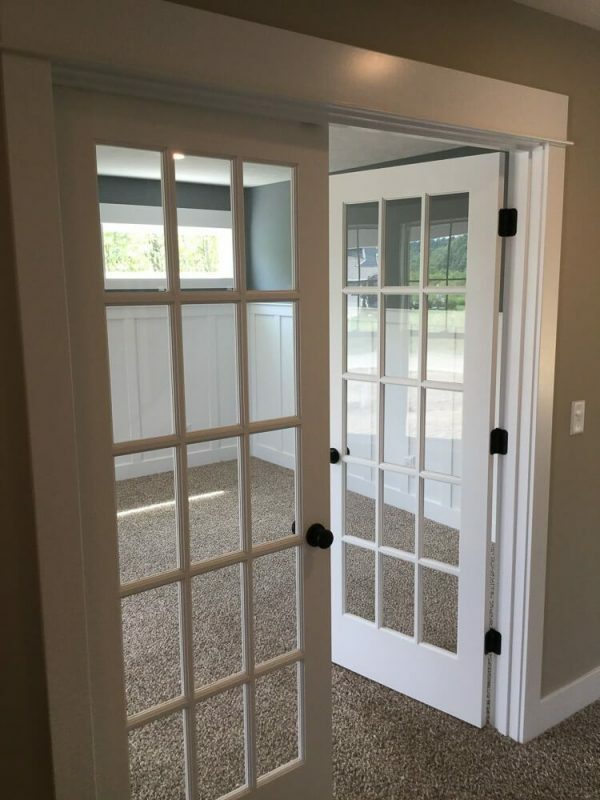 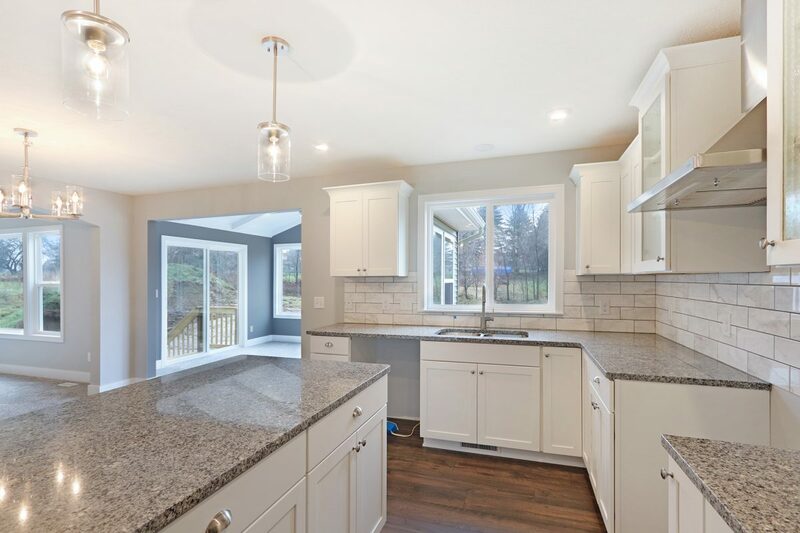 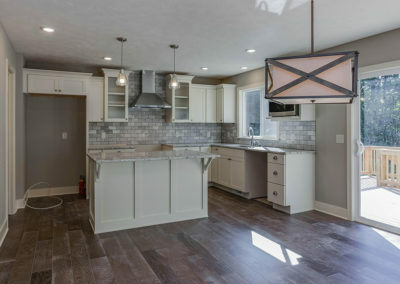 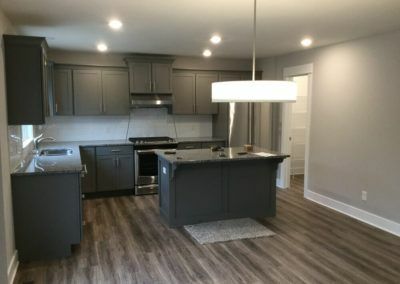 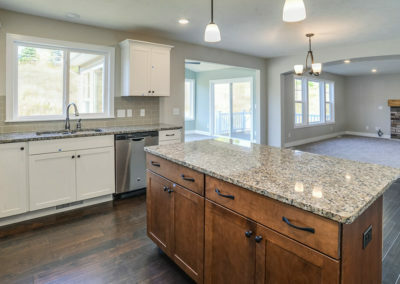 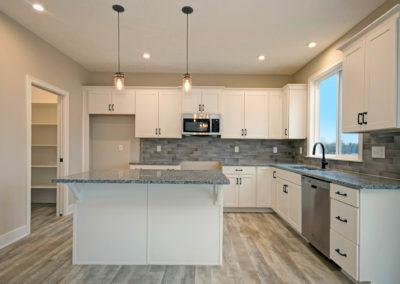 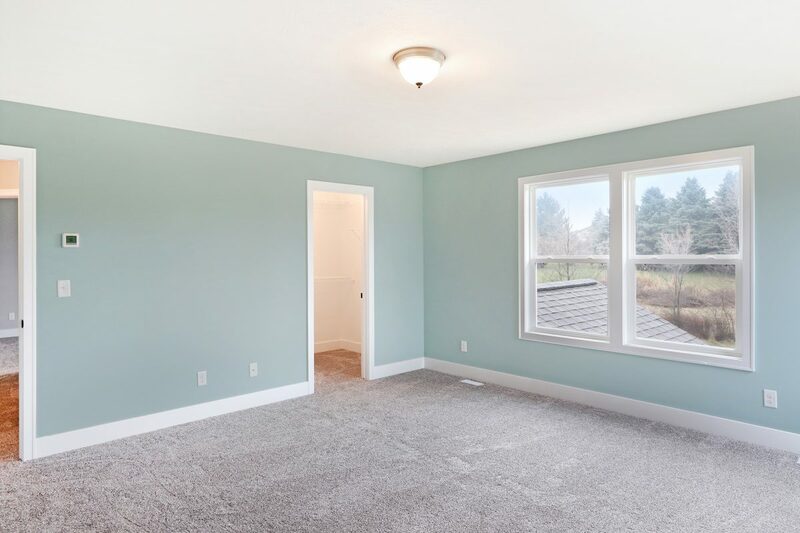 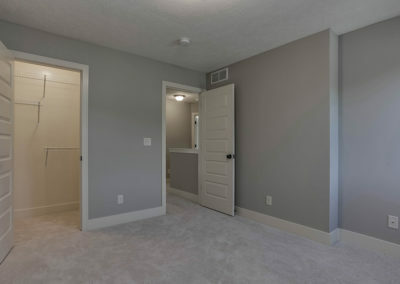 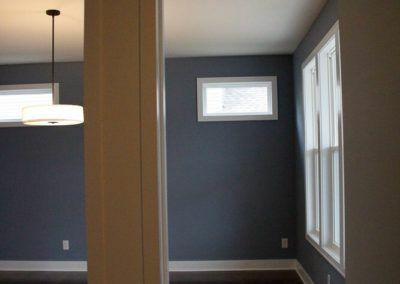 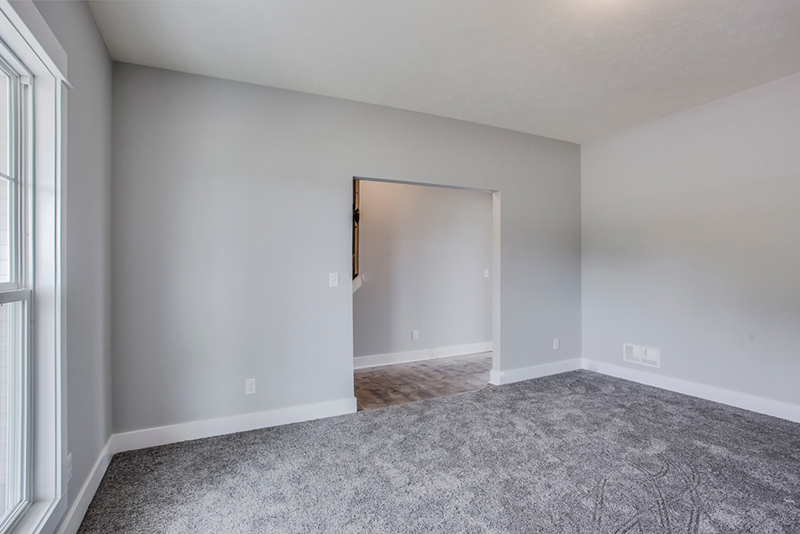 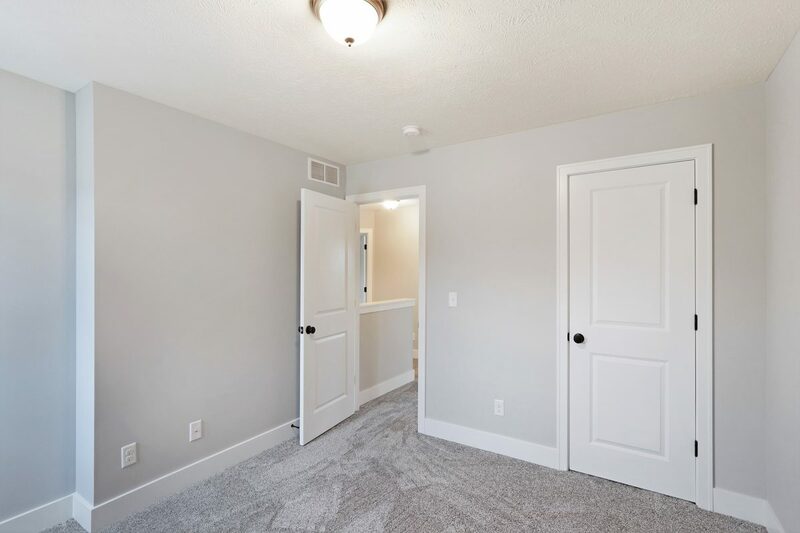 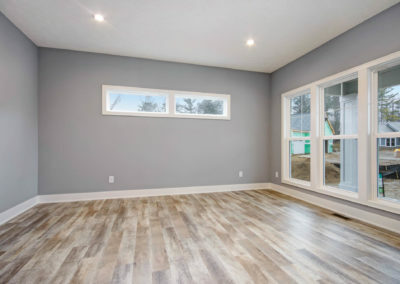 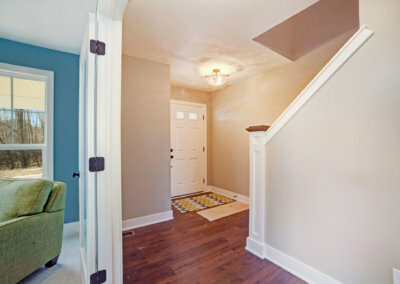 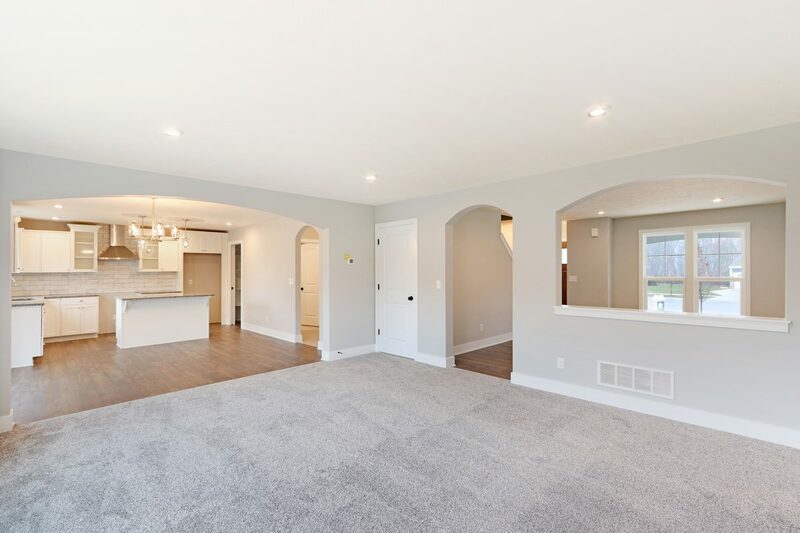 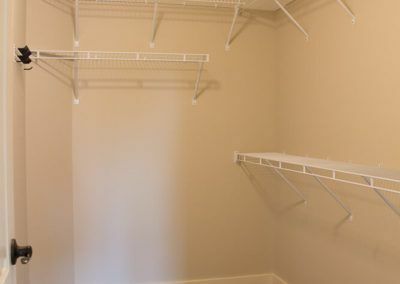 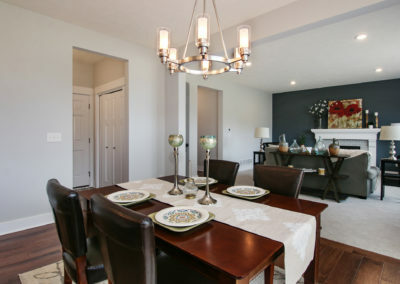 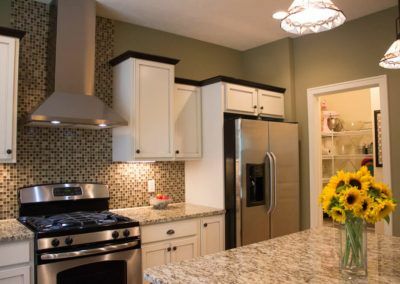 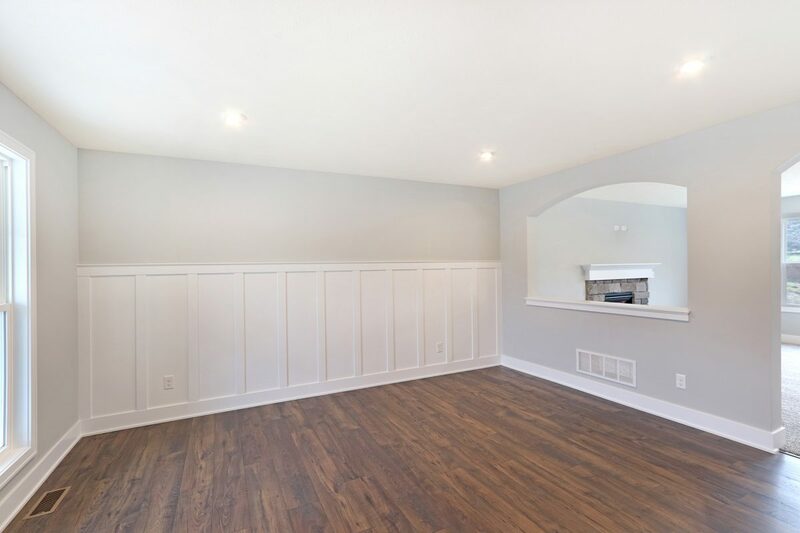 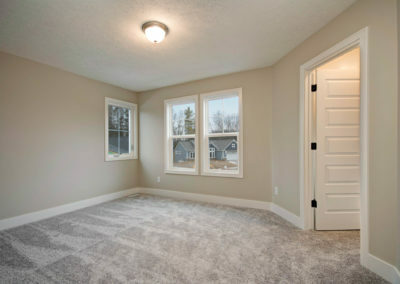 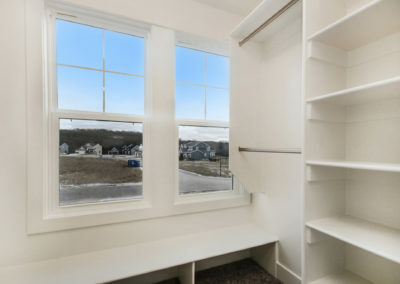 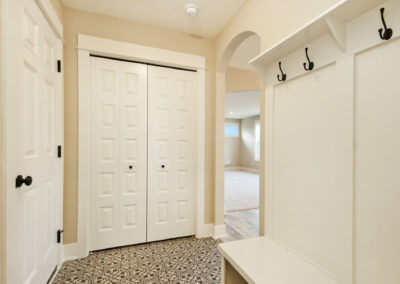 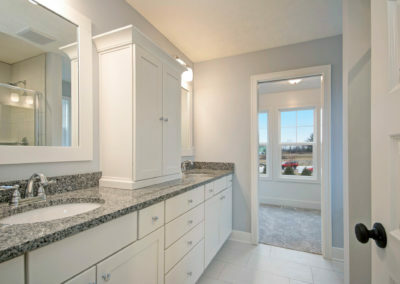 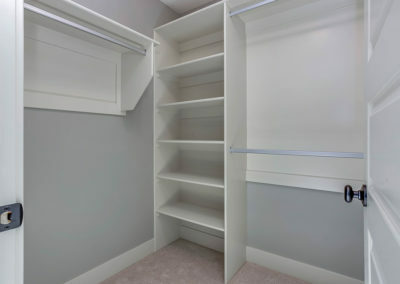 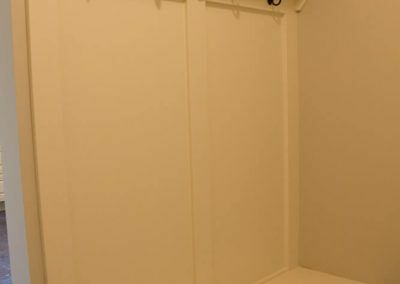 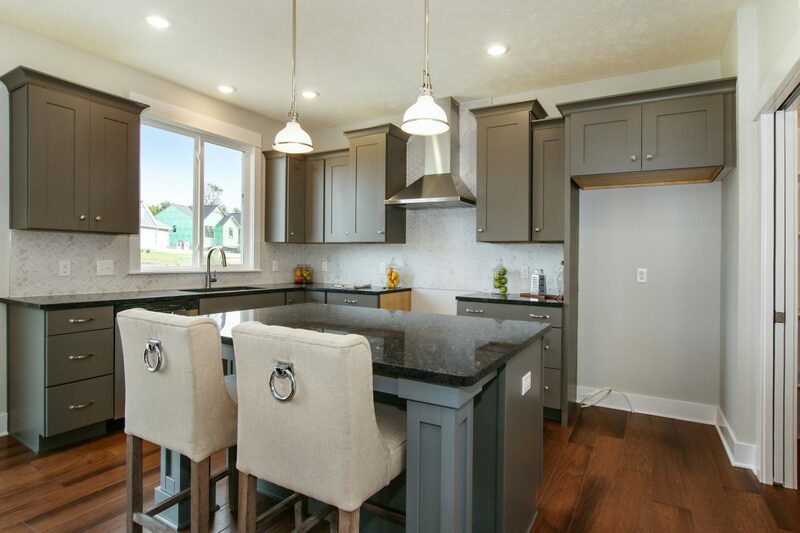 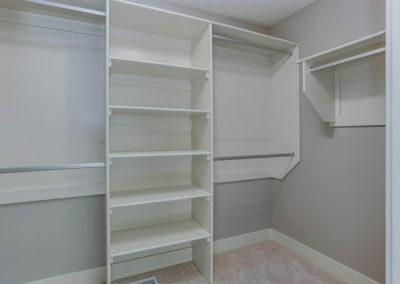 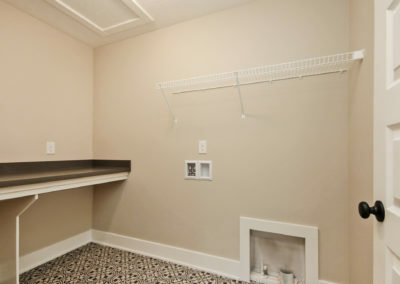 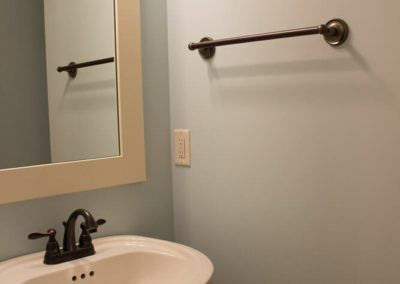 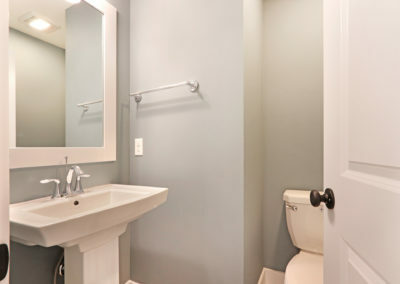 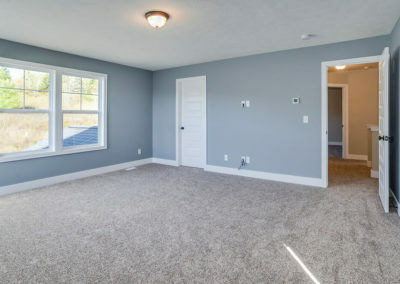 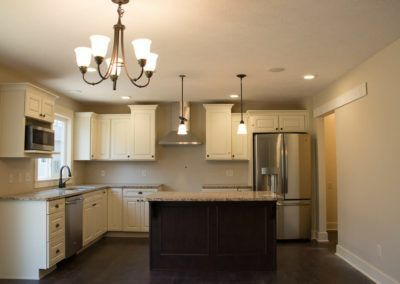 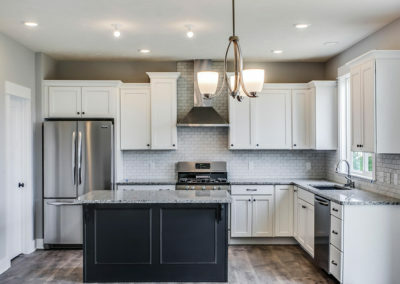 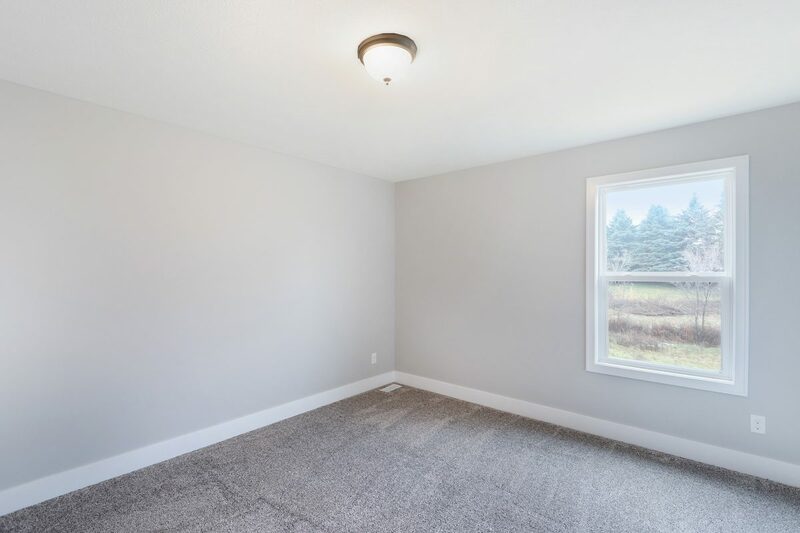 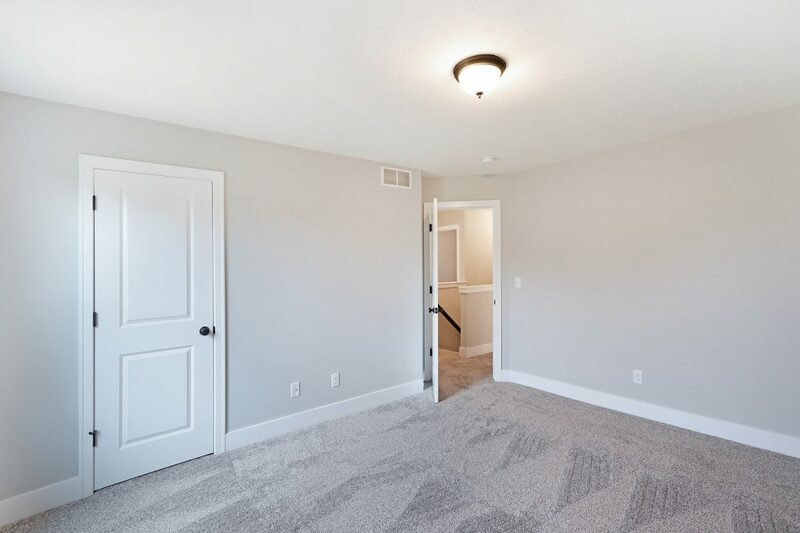 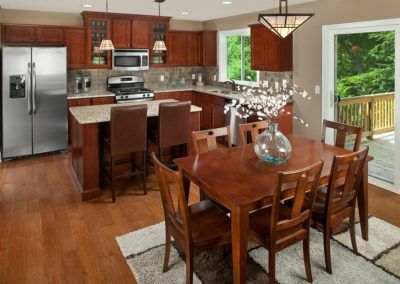 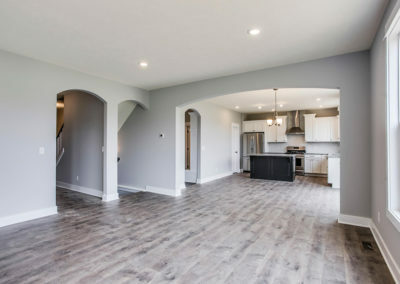 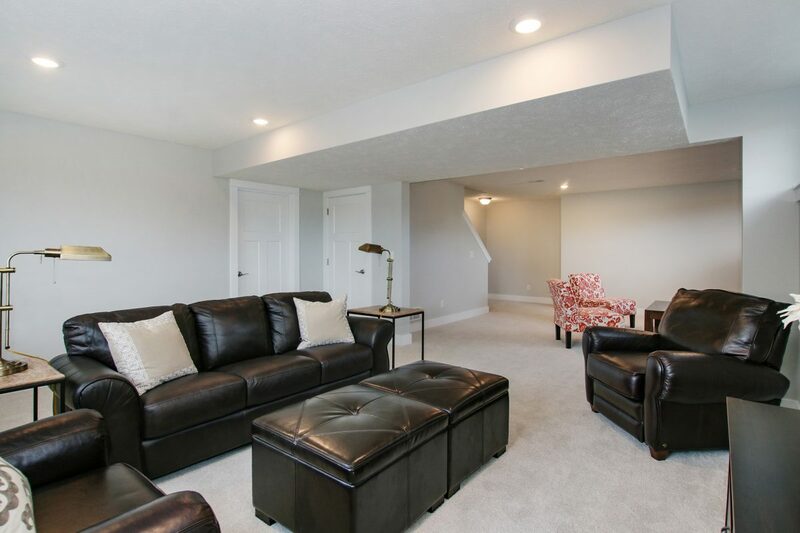 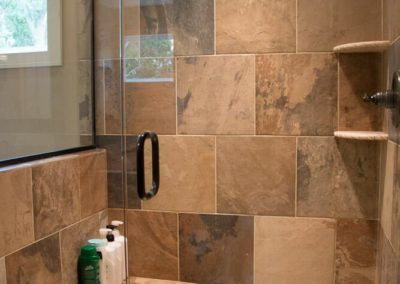 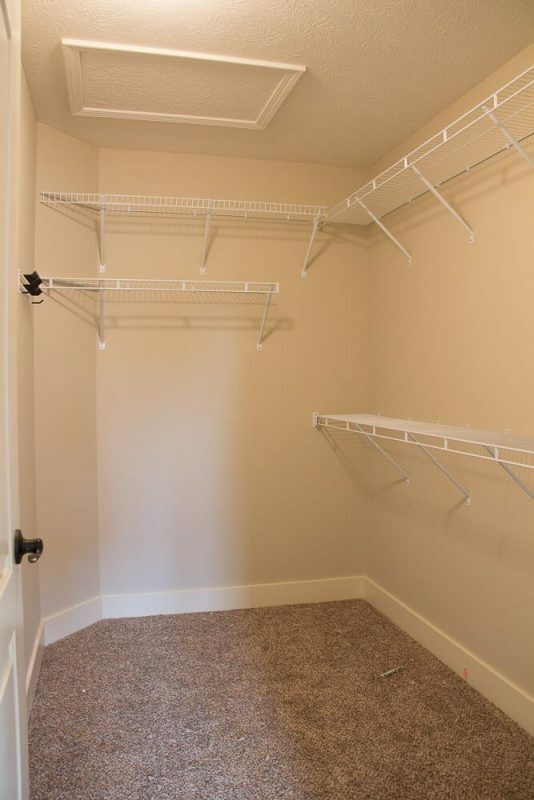 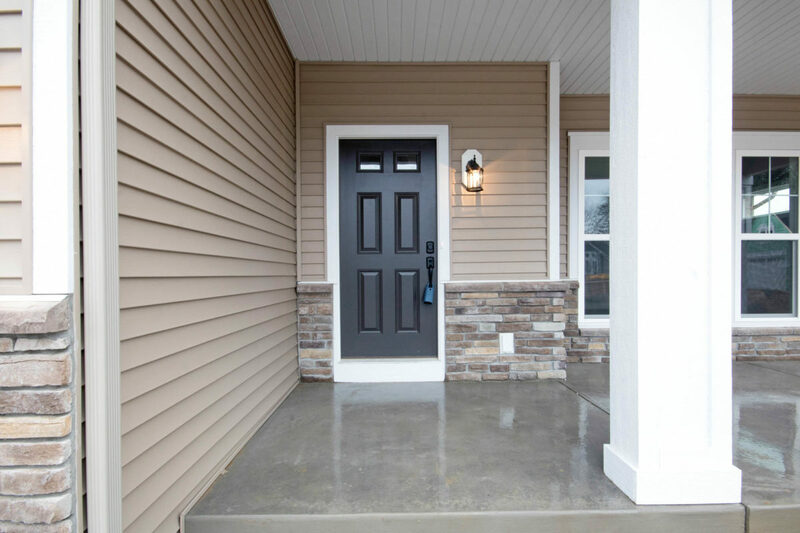 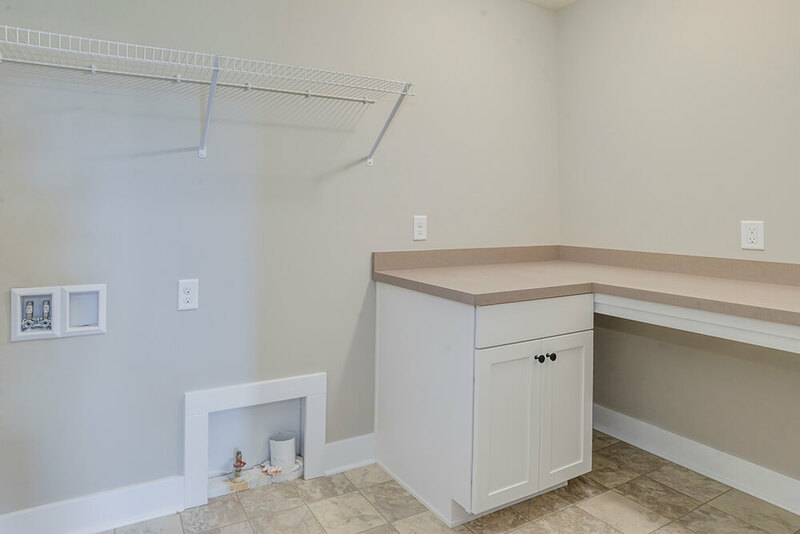 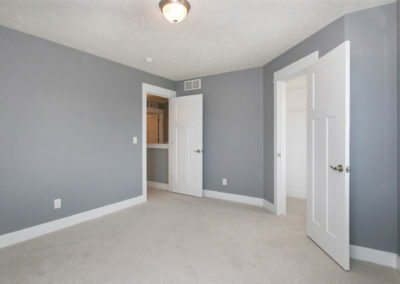 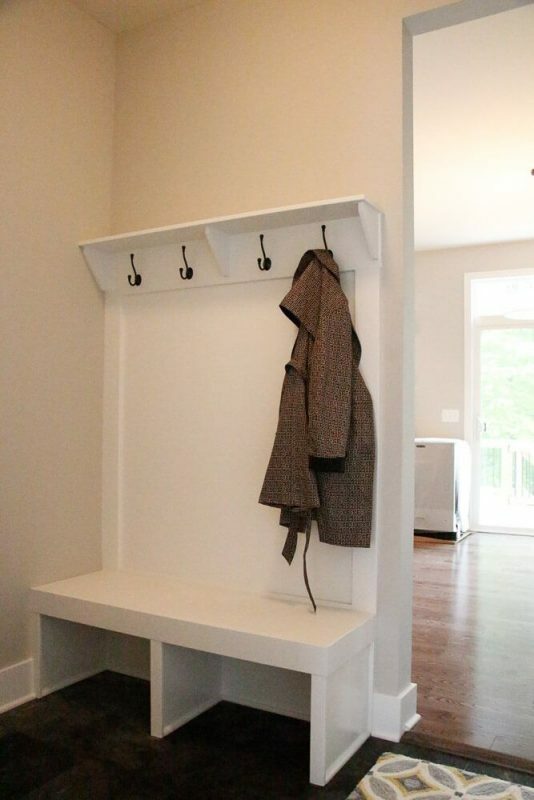 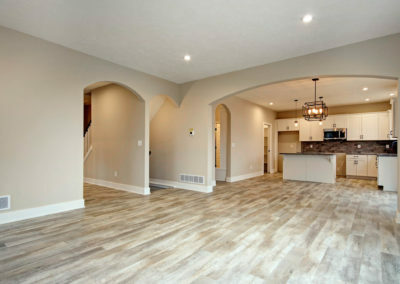 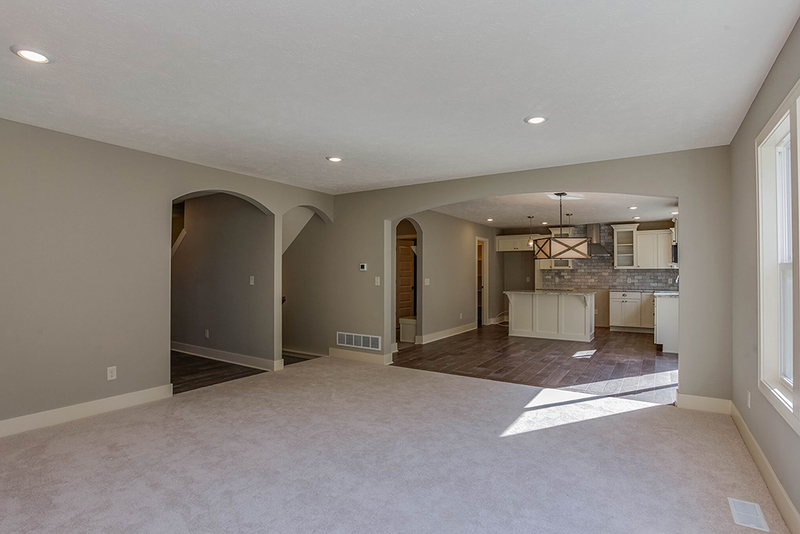 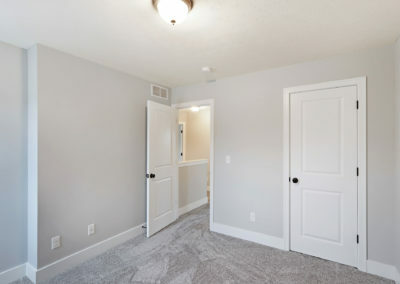 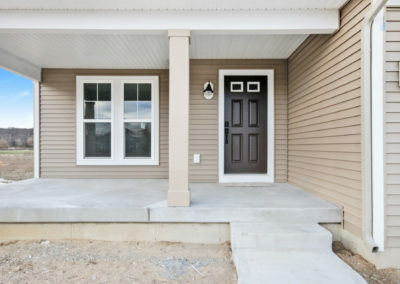 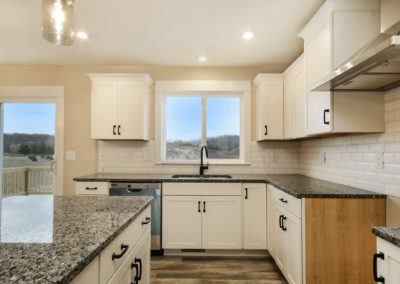 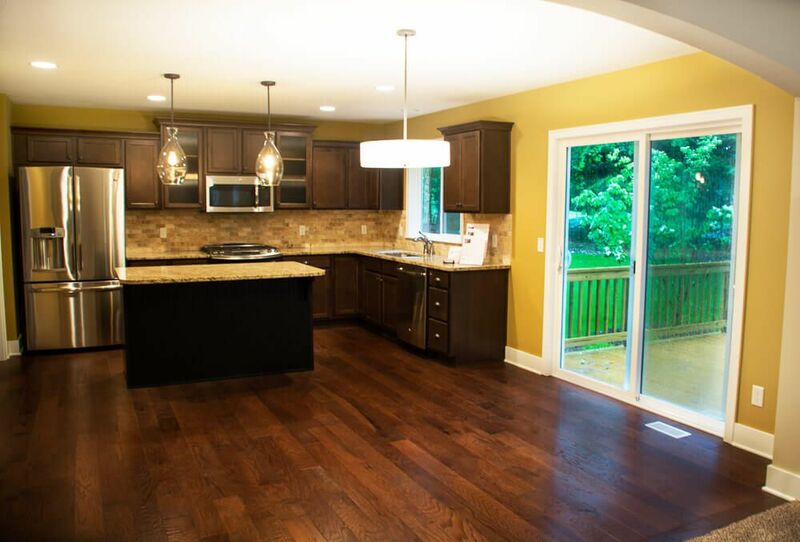 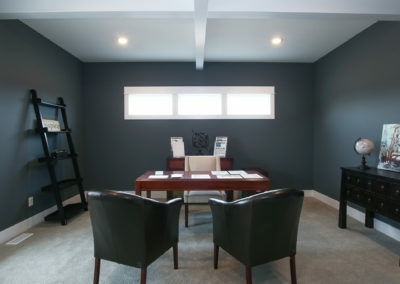 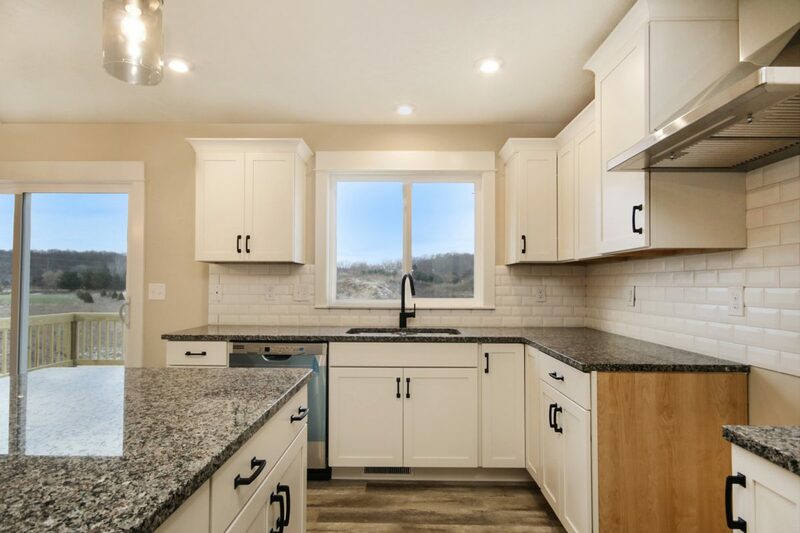 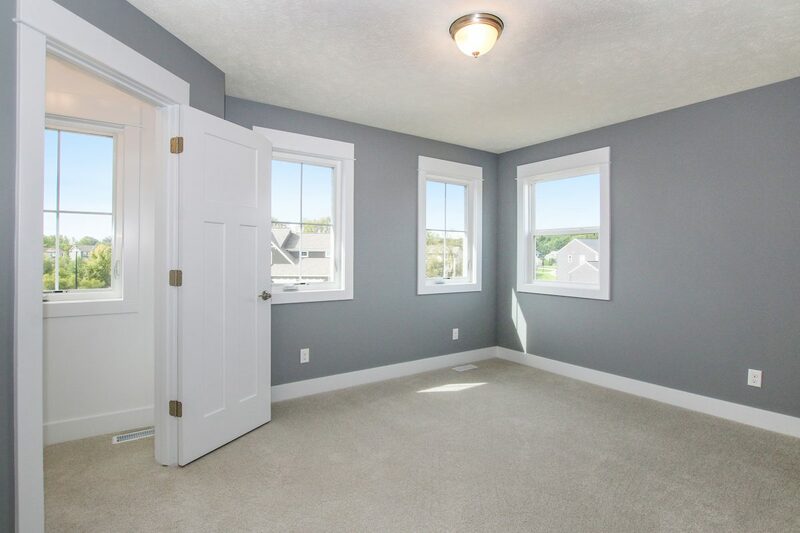 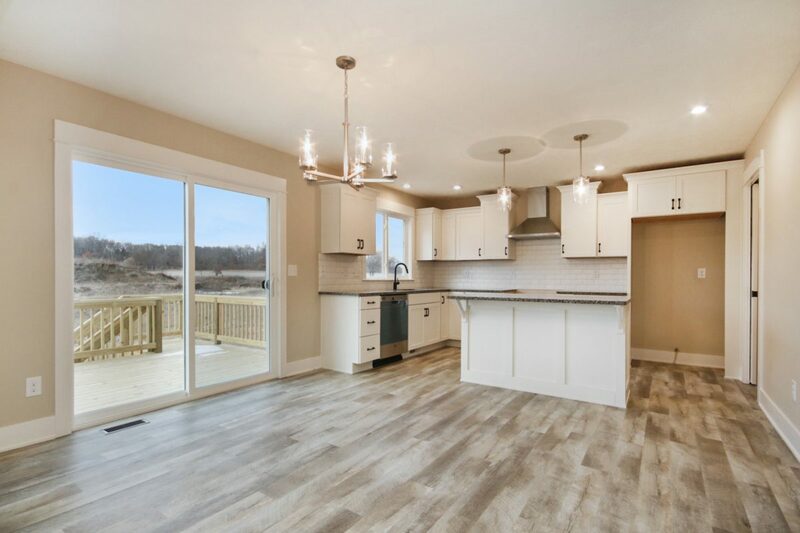 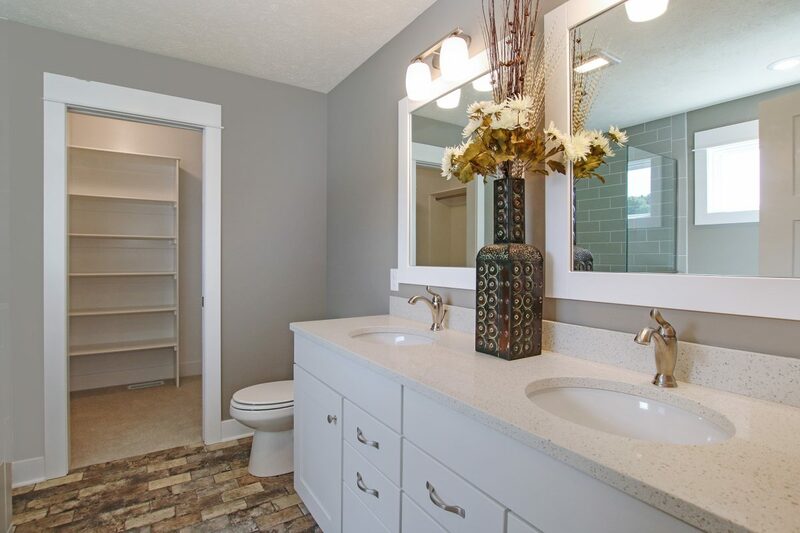 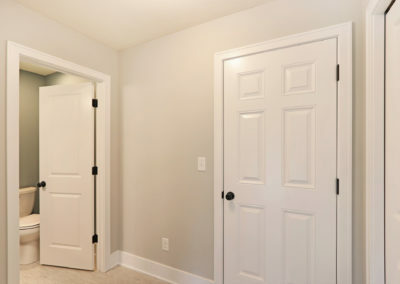 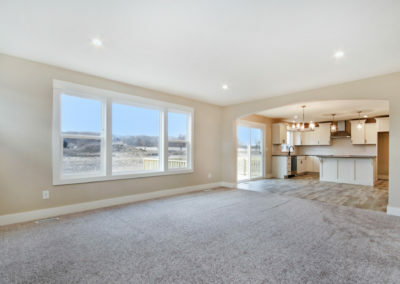 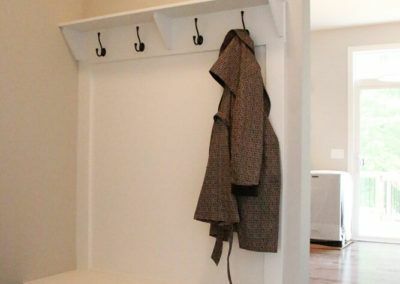 Leading off of the dining area, the mudroom offers access to the main level half bath, a convenient coat closet, an optional mudroom bench with lockers, and the two or three car garage. 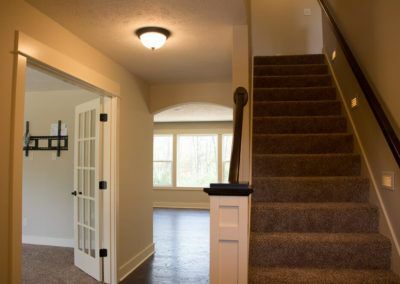 The Sanibel’s upper level can be reached from the stairs in the front entry way. 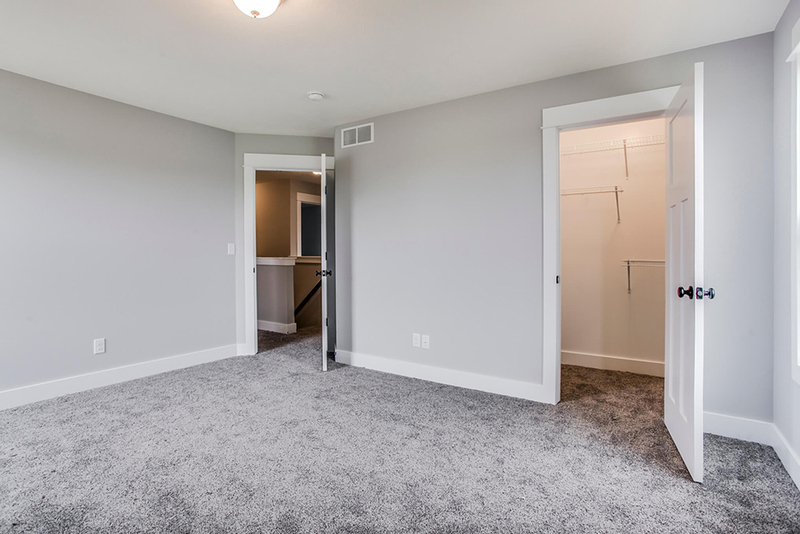 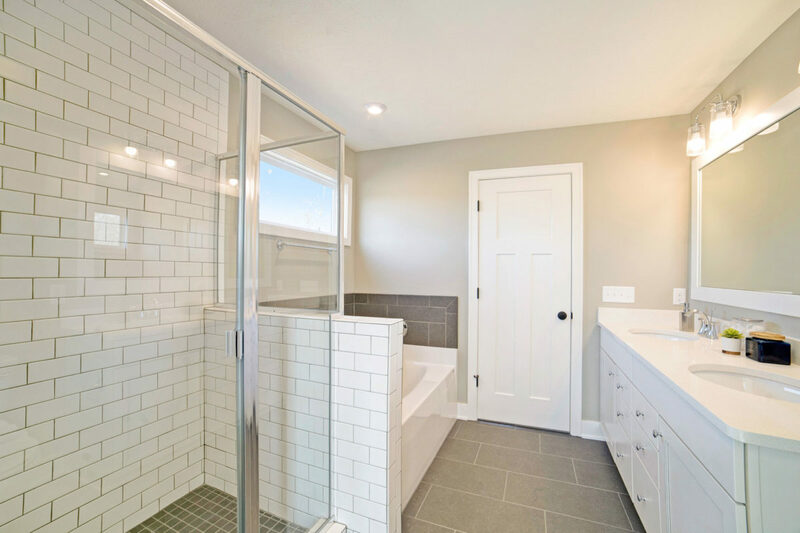 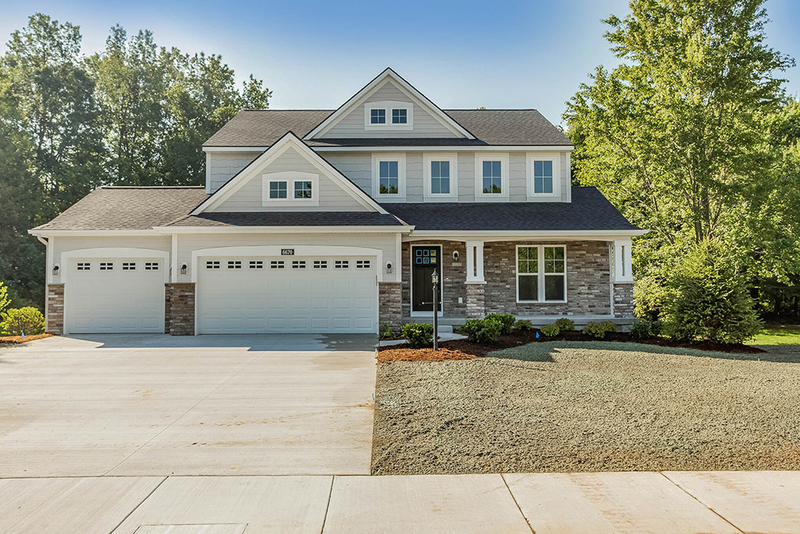 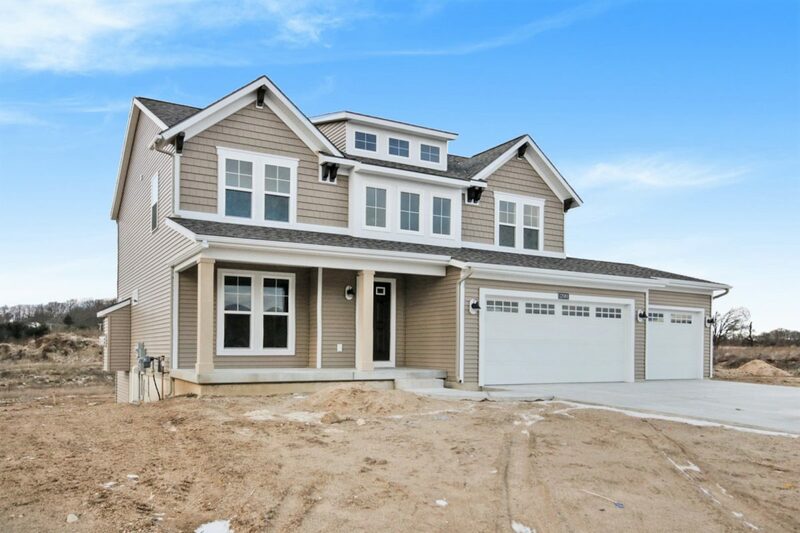 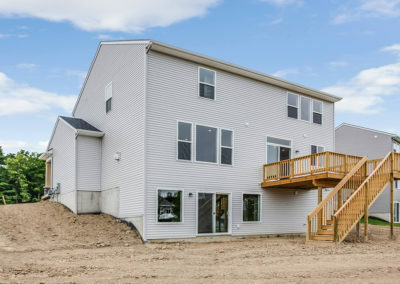 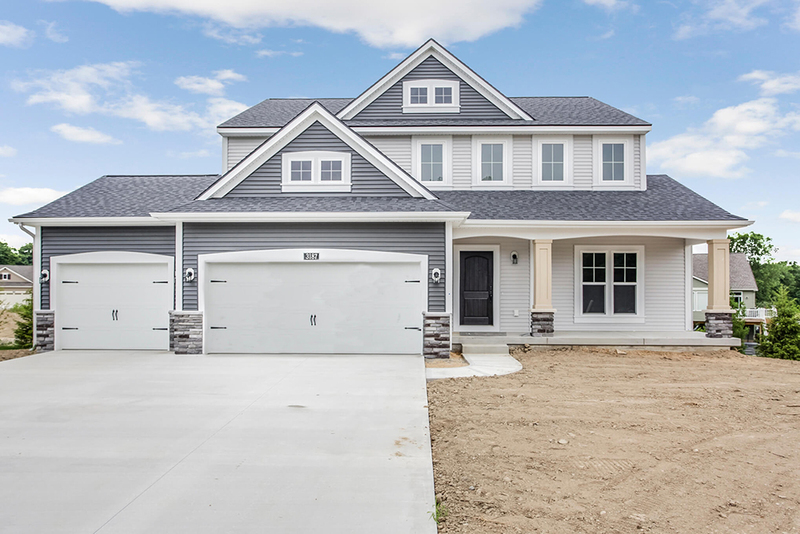 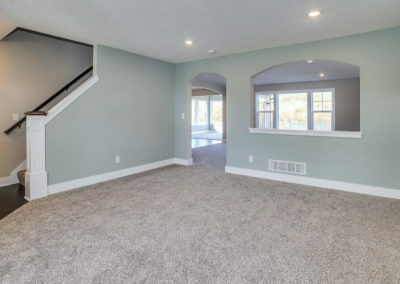 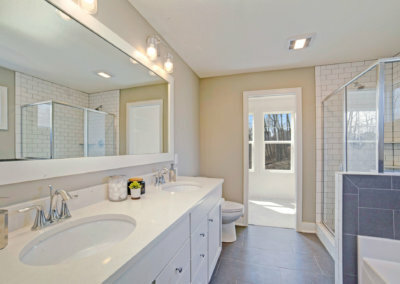 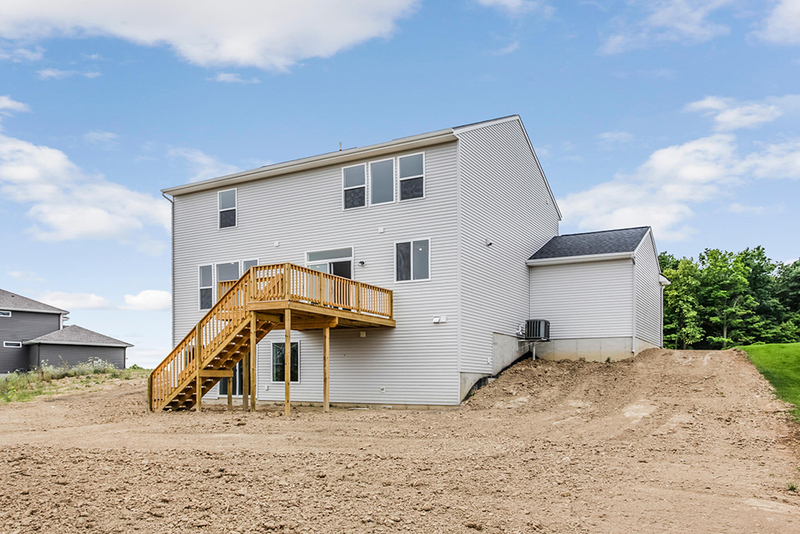 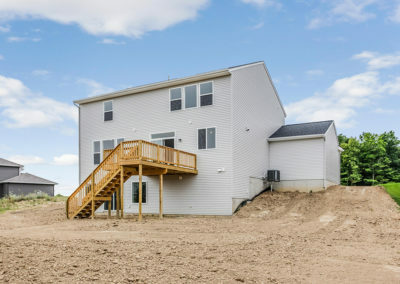 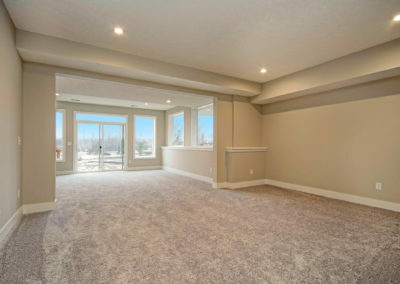 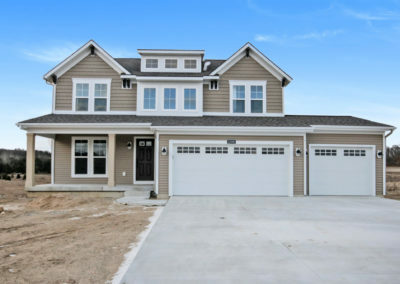 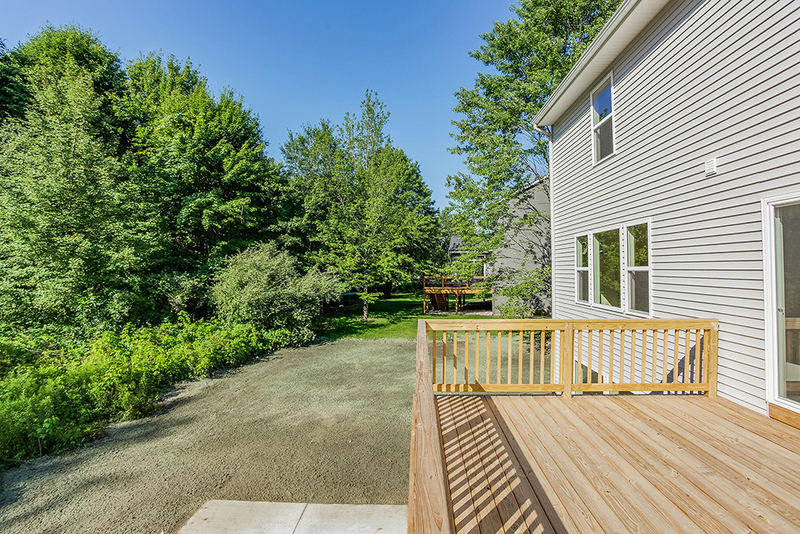 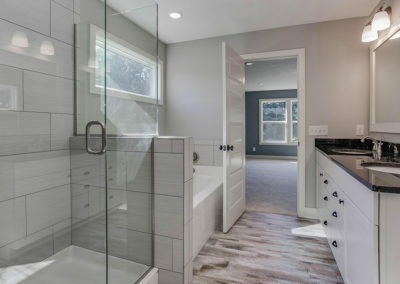 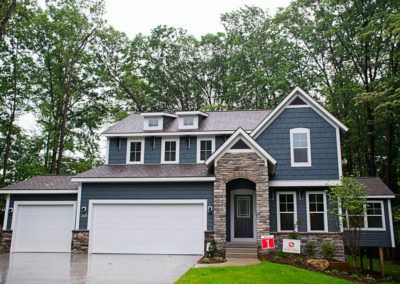 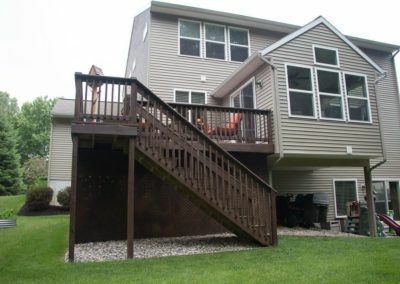 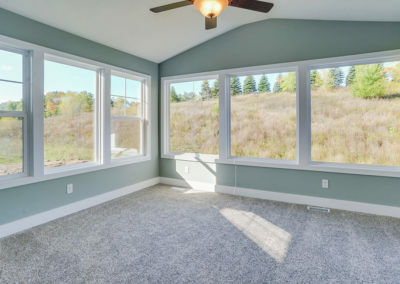 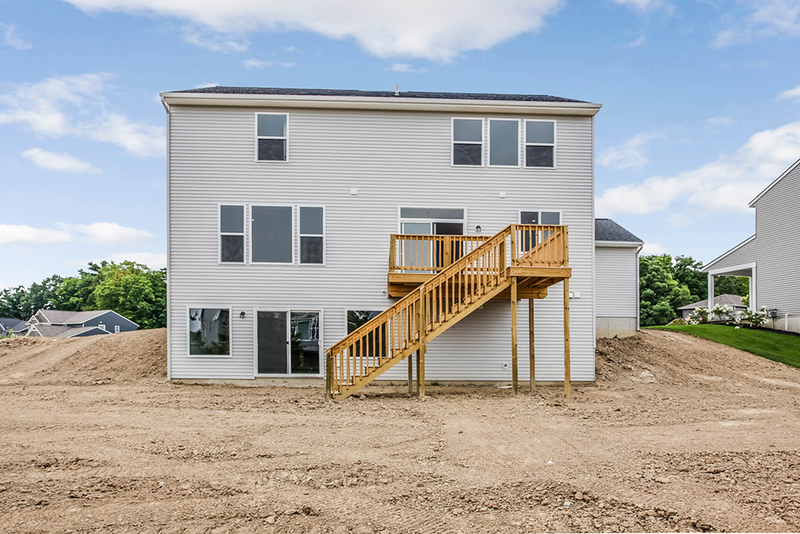 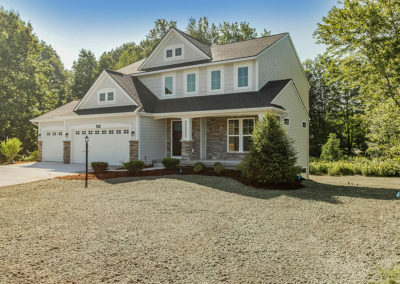 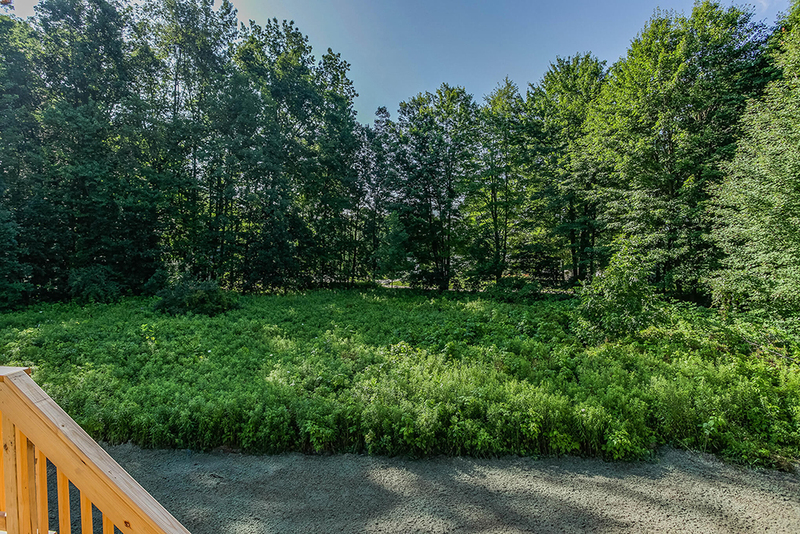 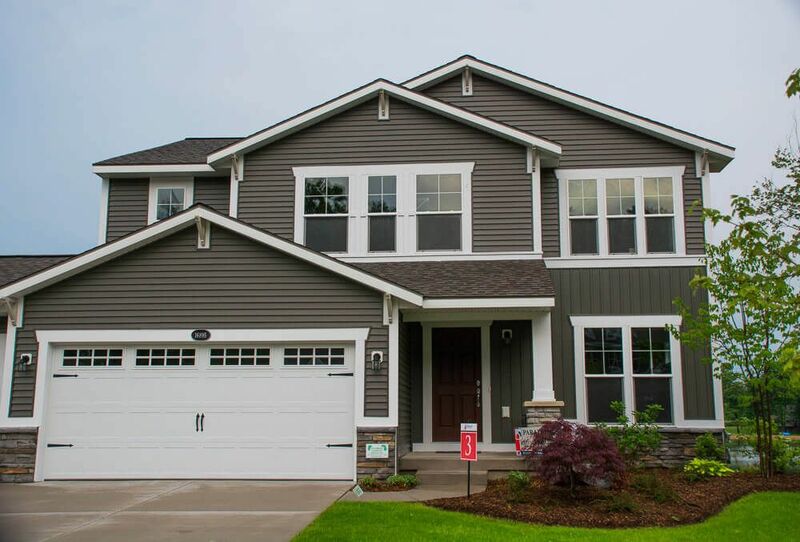 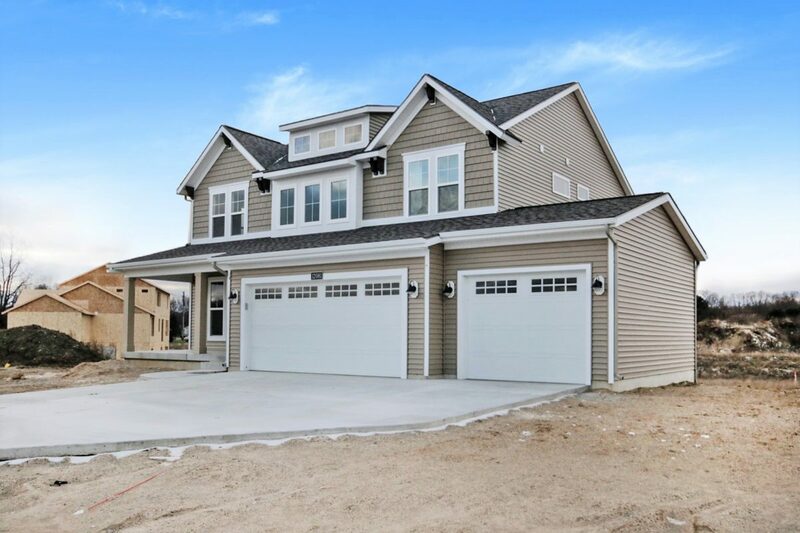 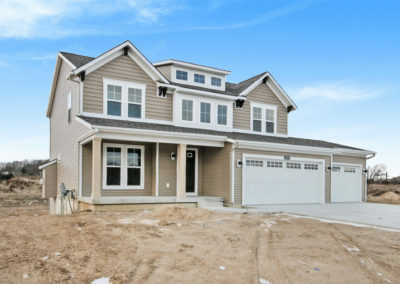 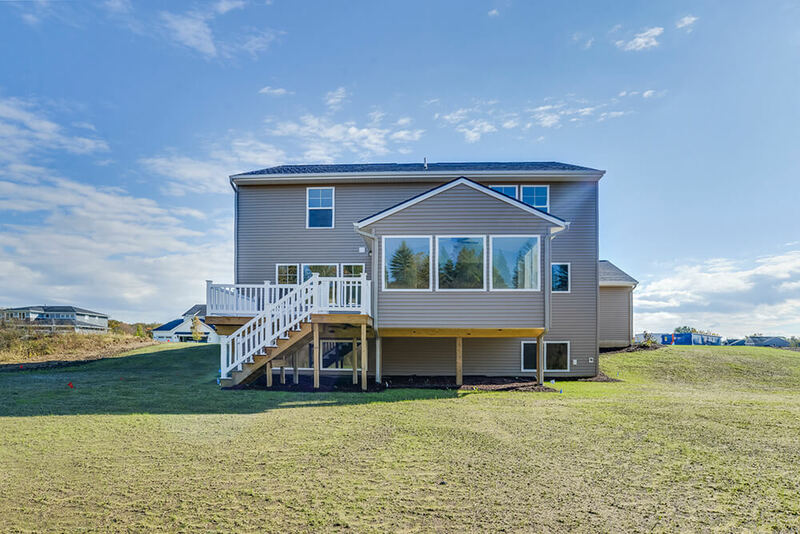 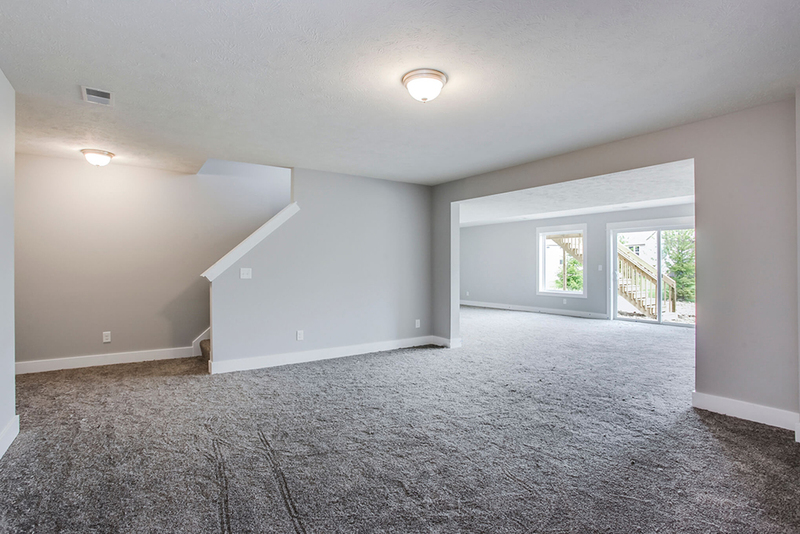 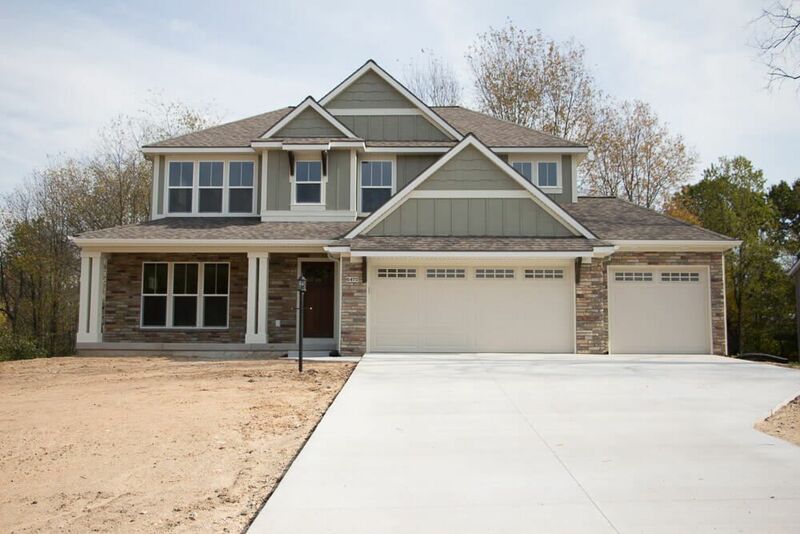 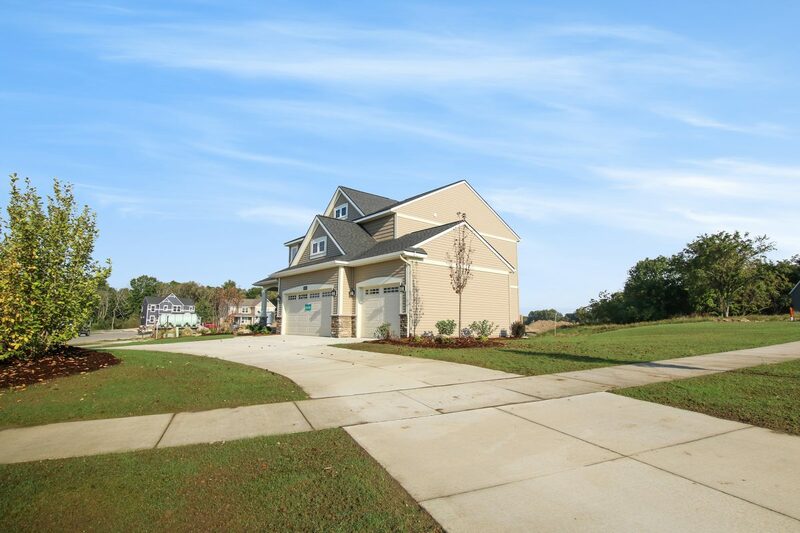 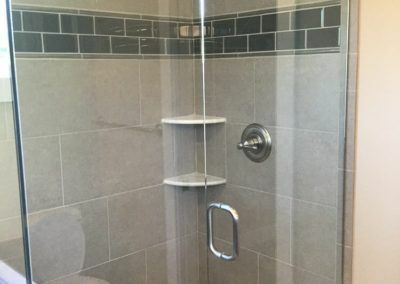 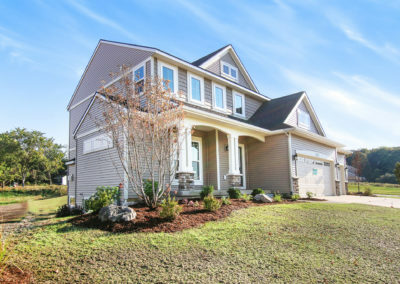 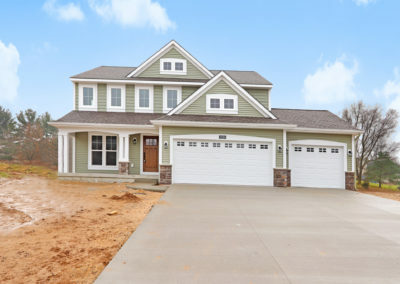 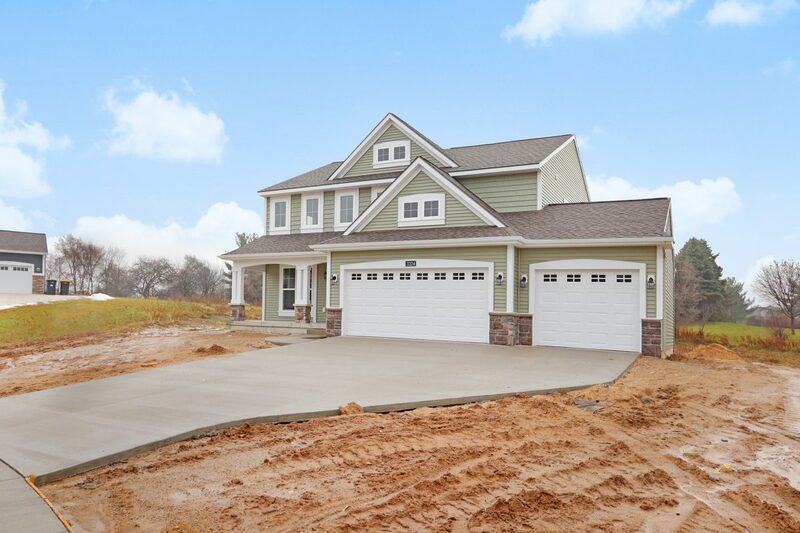 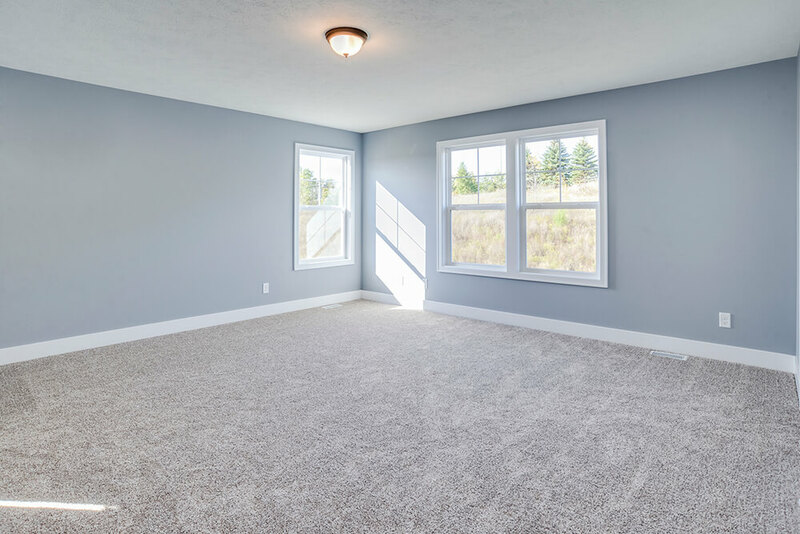 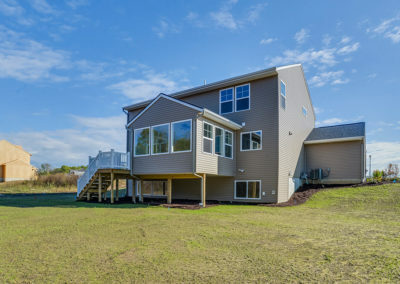 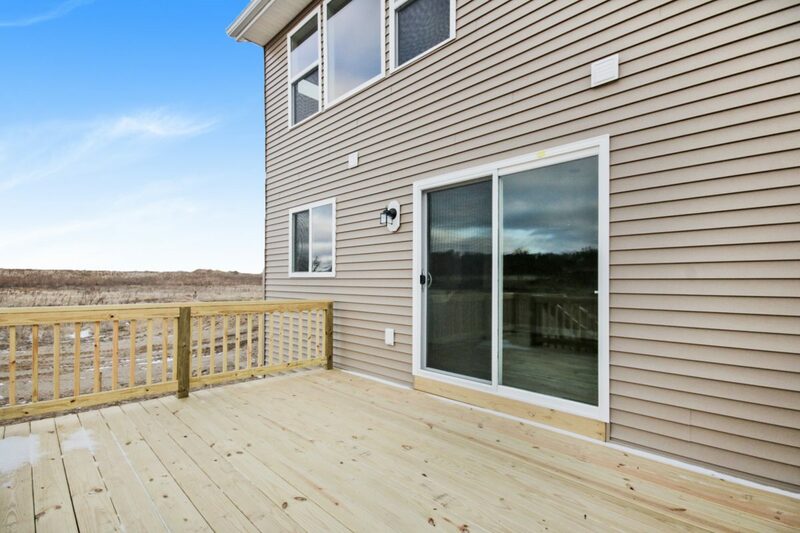 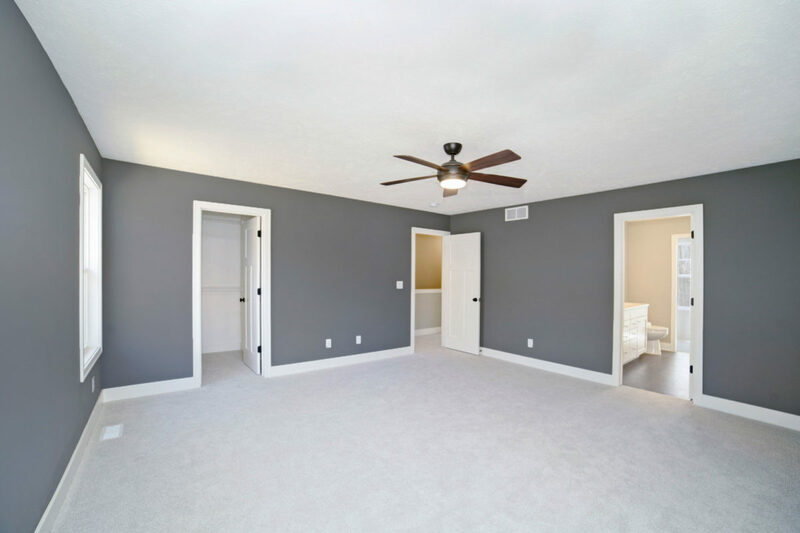 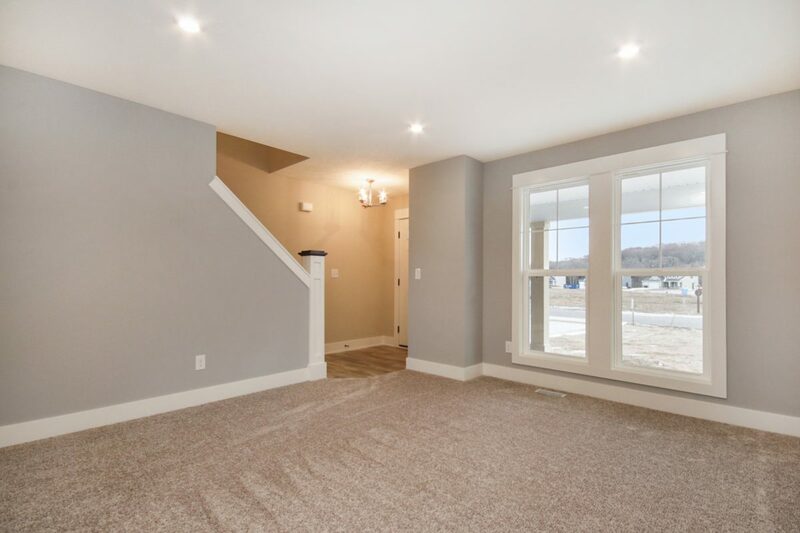 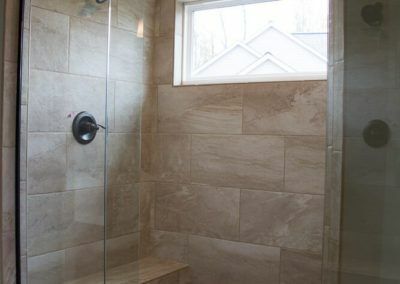 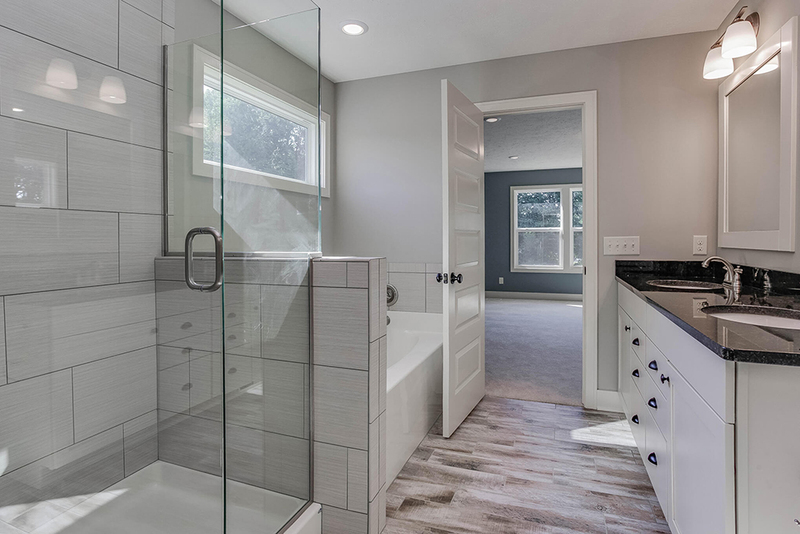 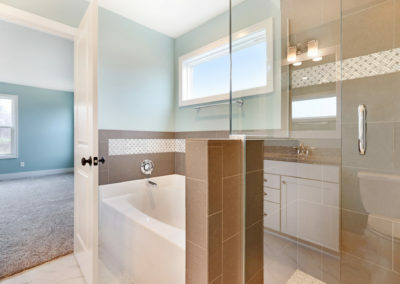 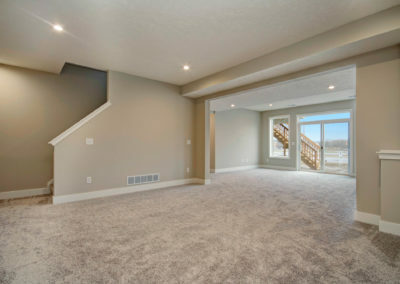 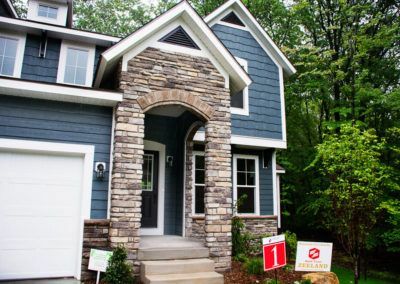 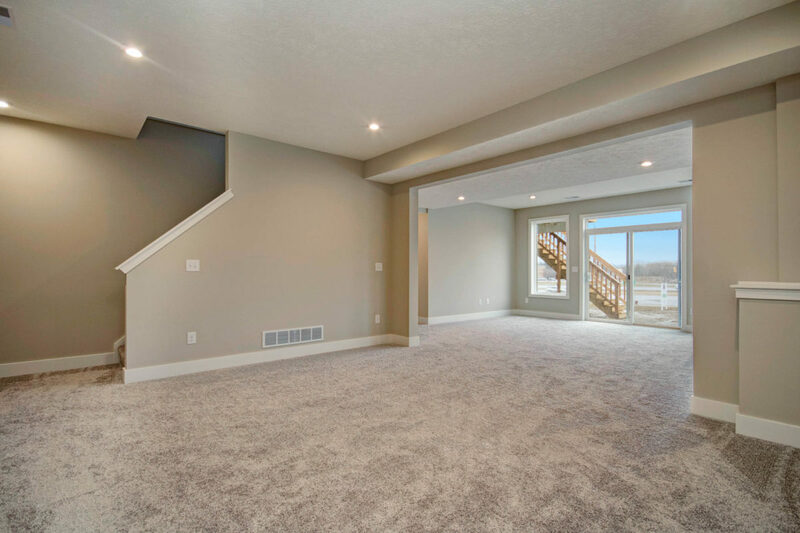 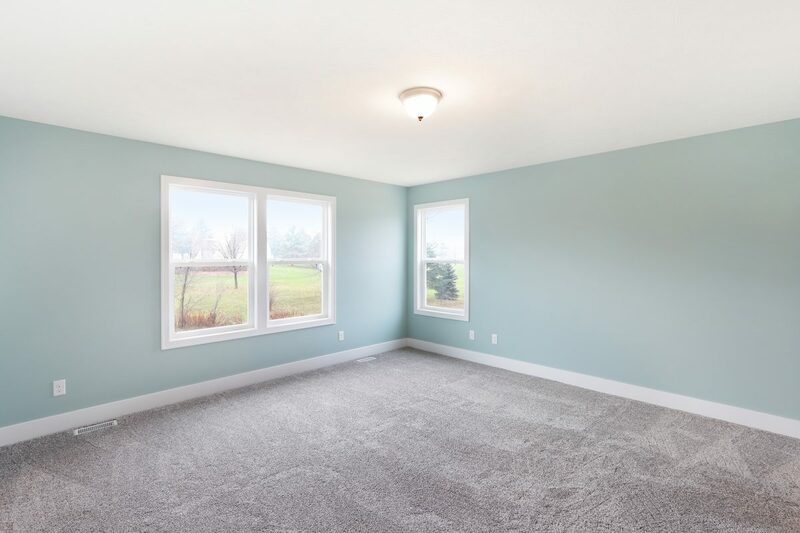 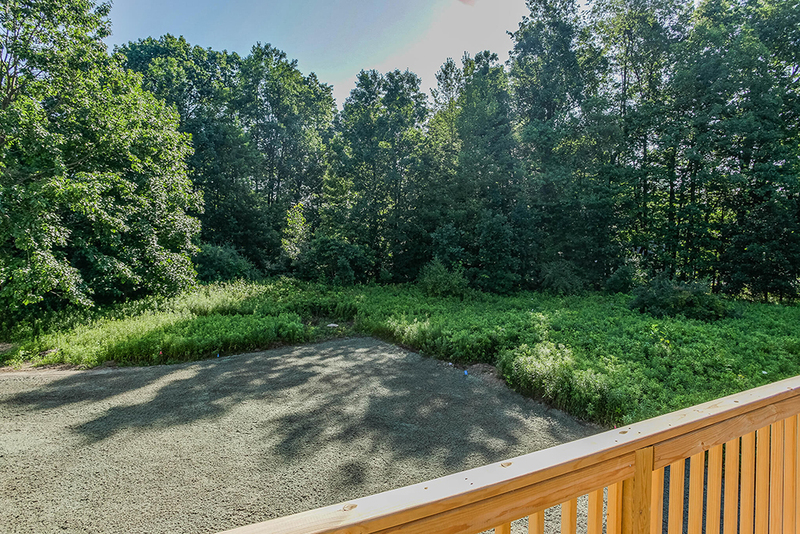 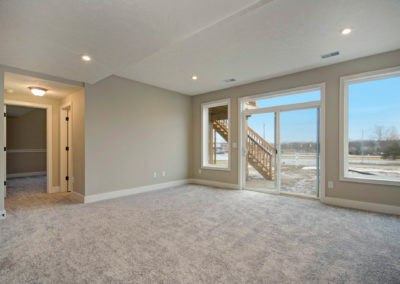 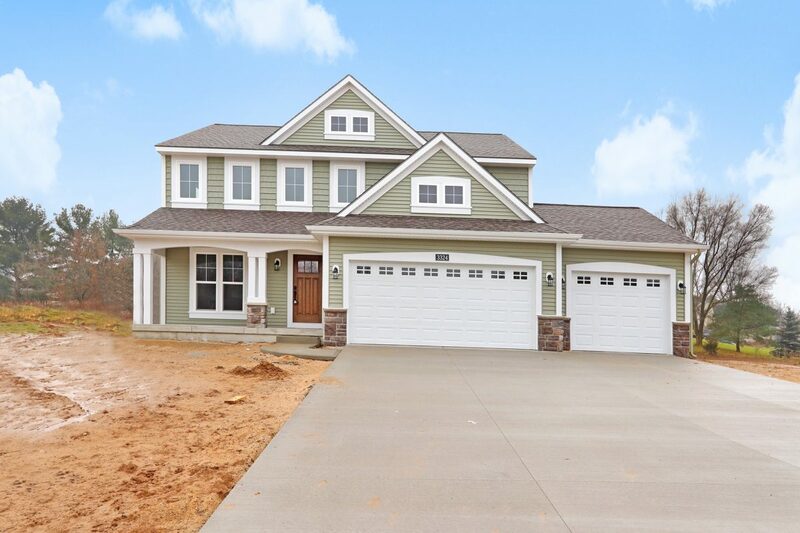 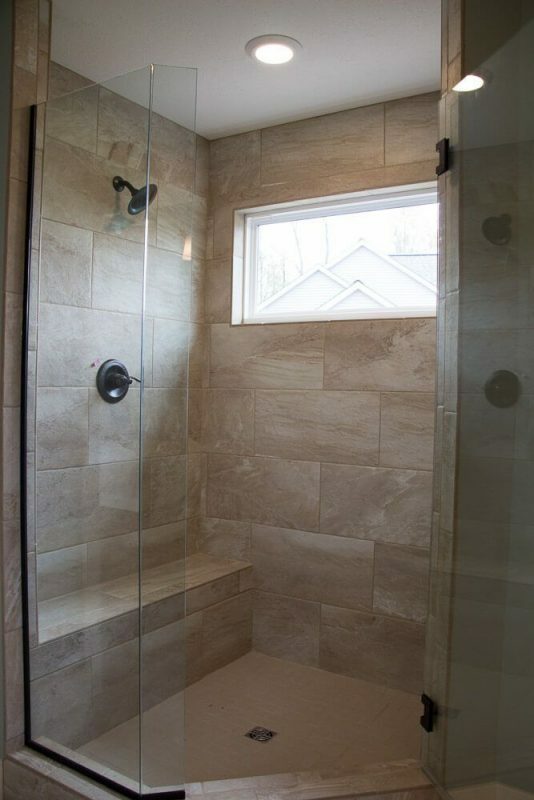 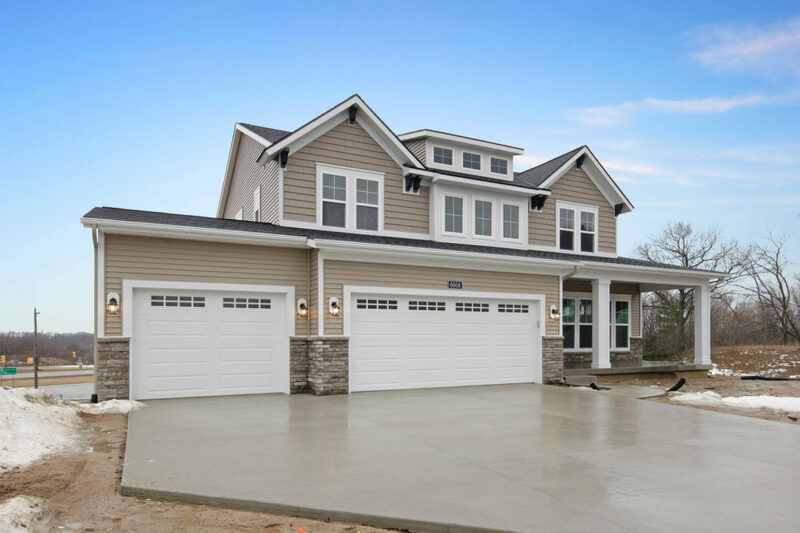 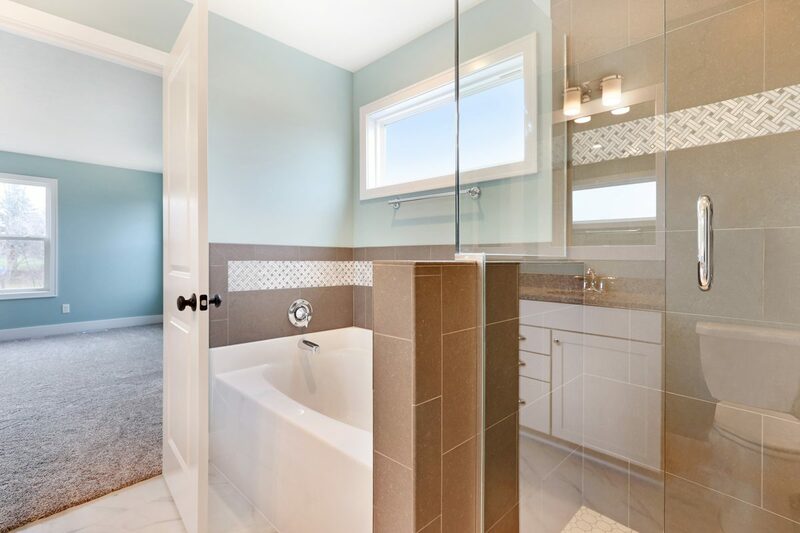 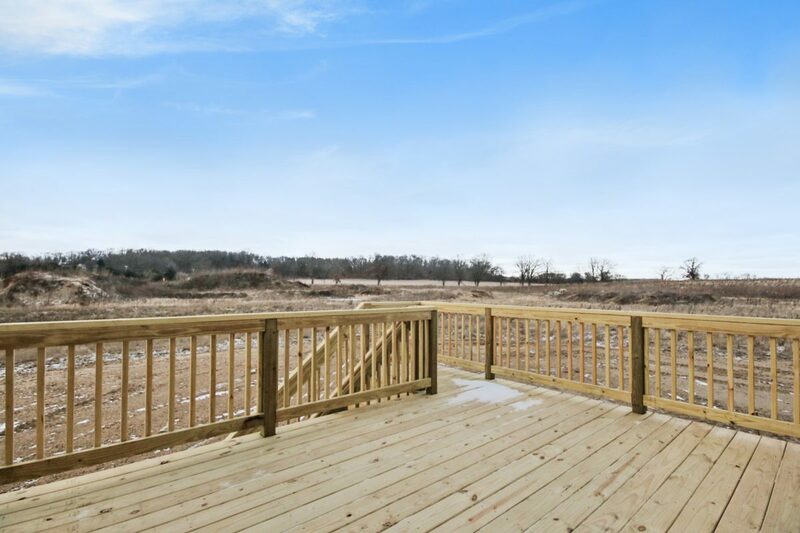 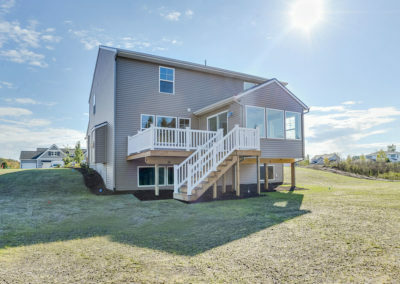 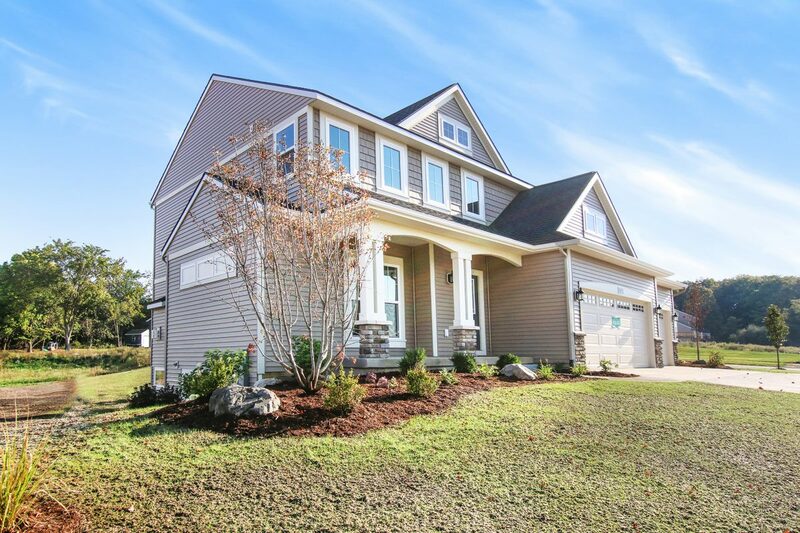 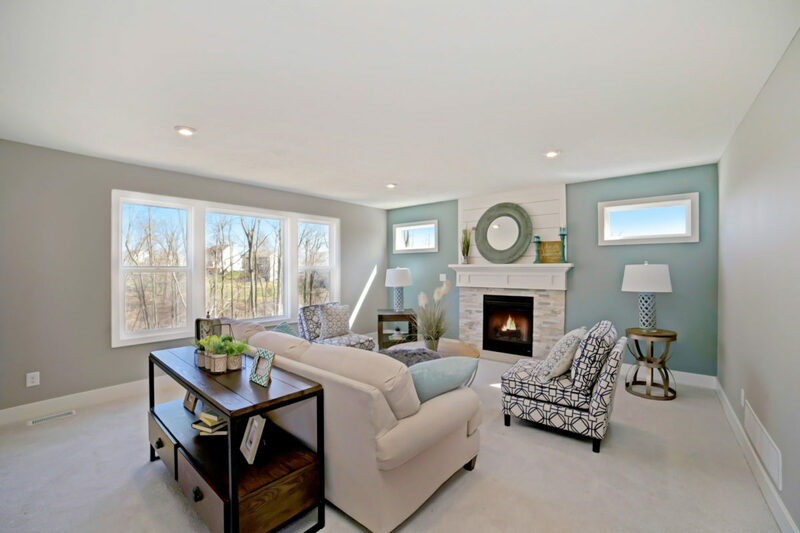 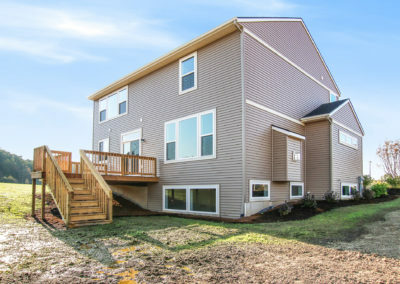 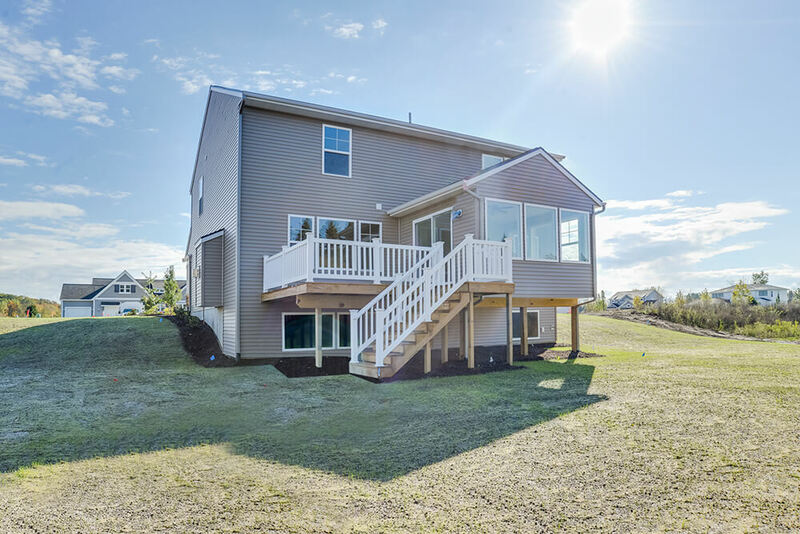 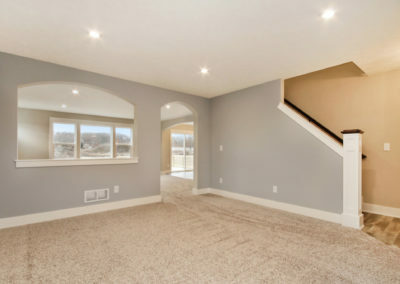 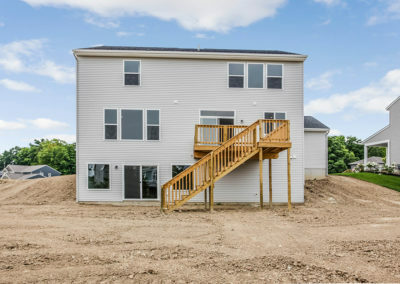 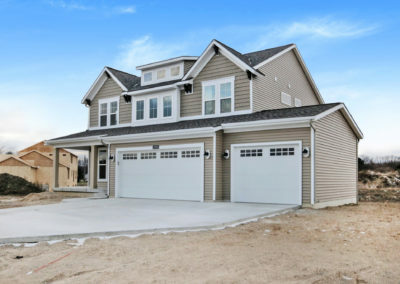 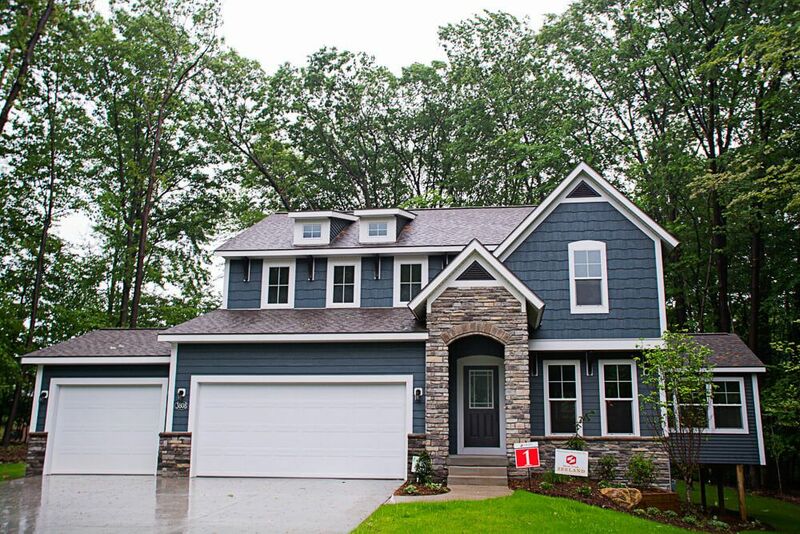 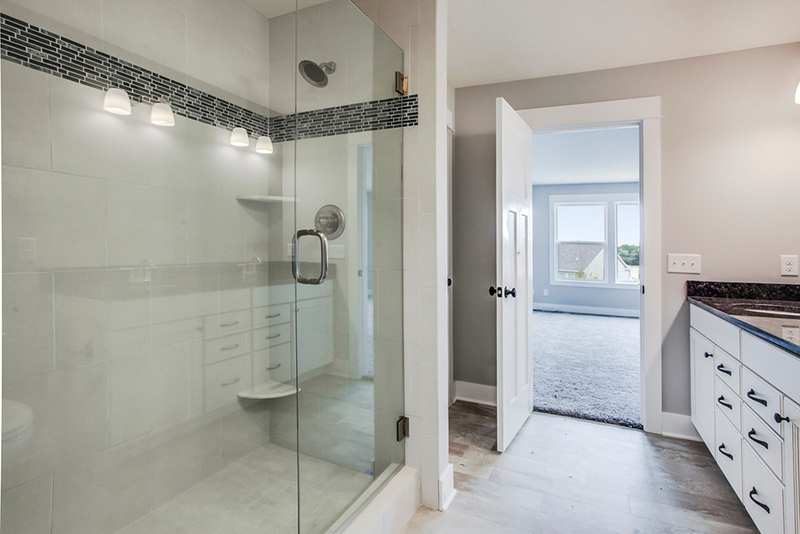 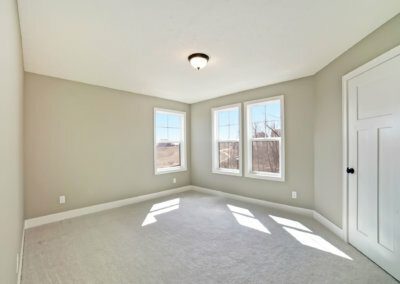 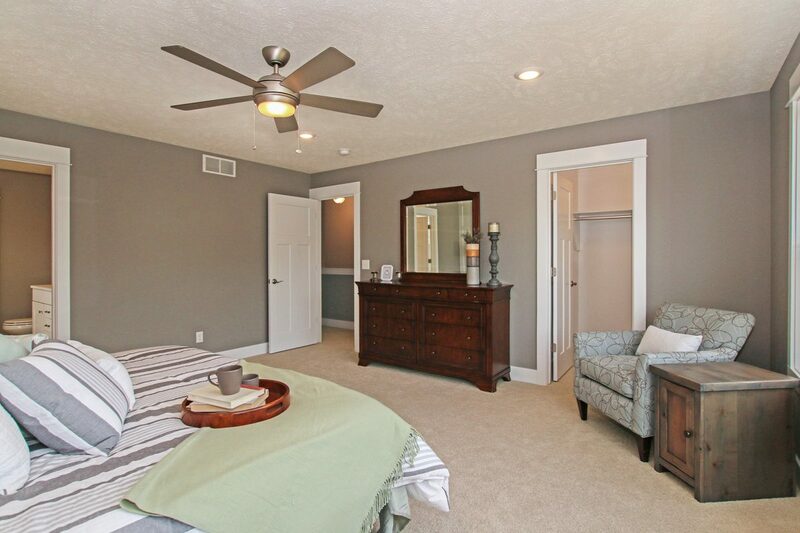 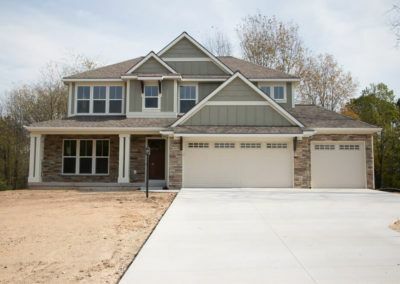 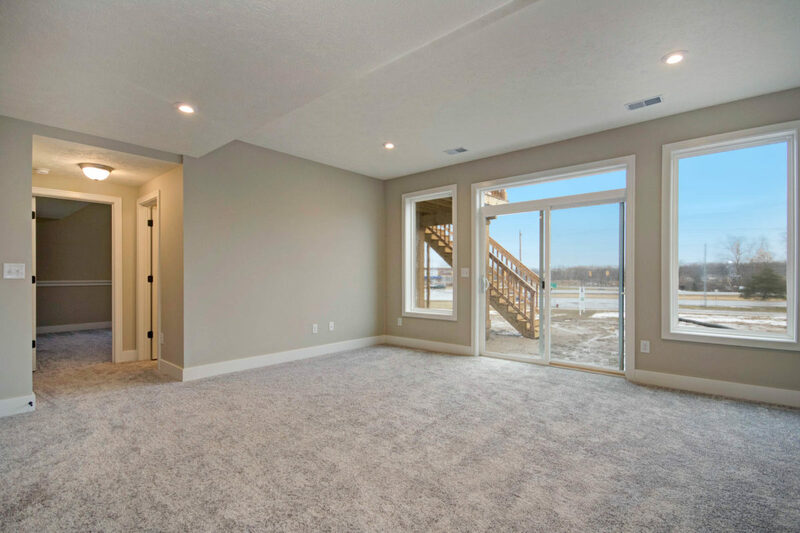 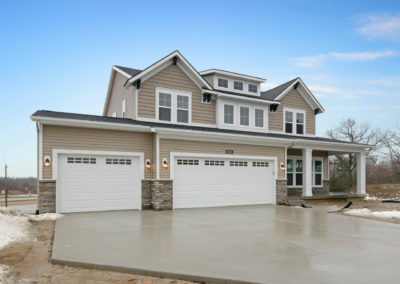 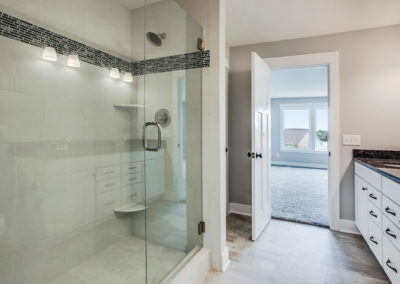 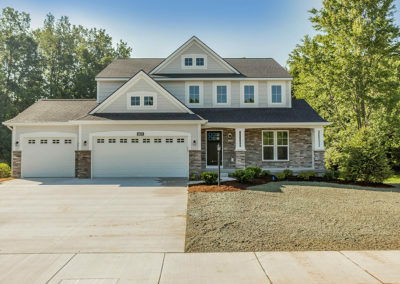 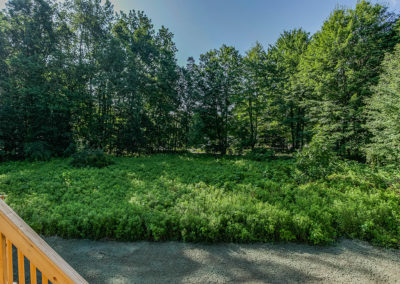 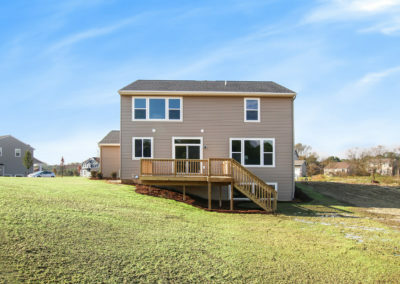 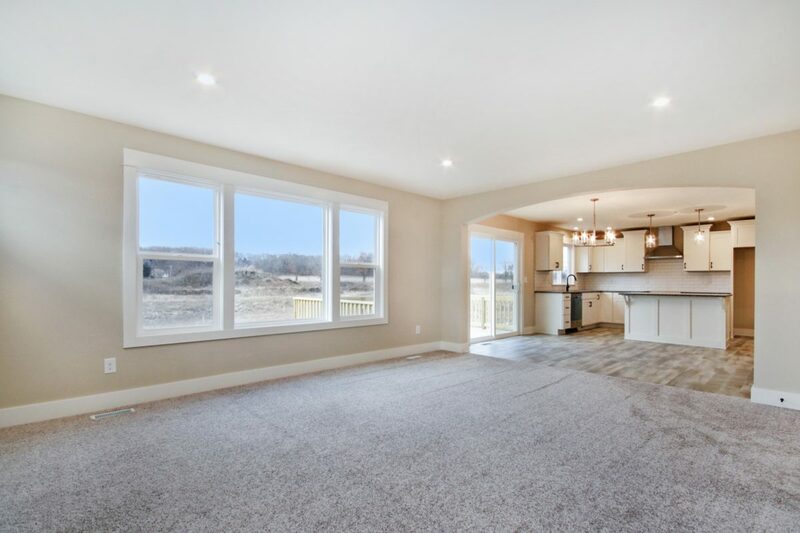 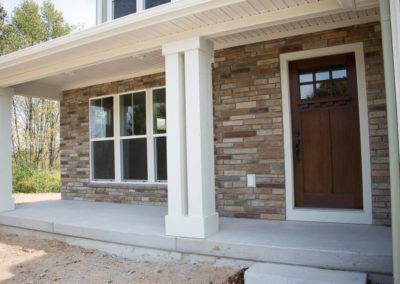 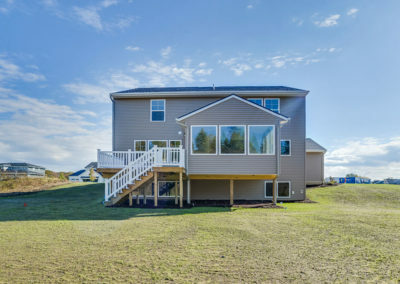 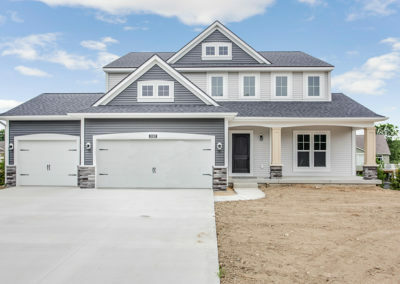 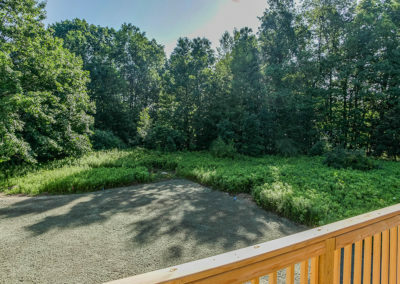 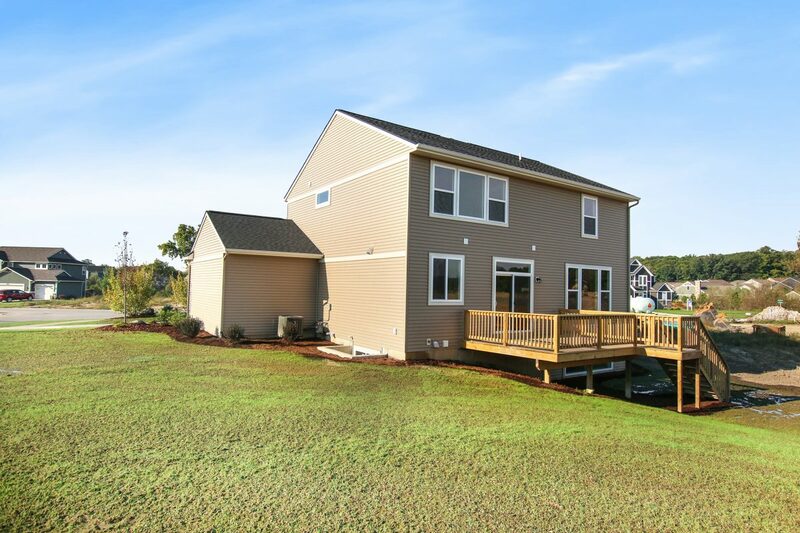 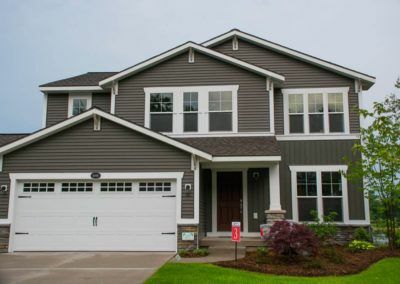 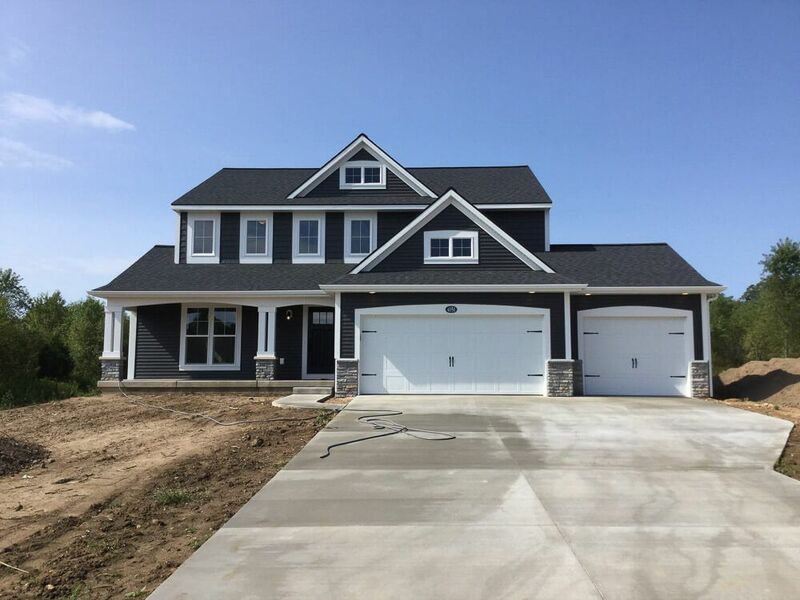 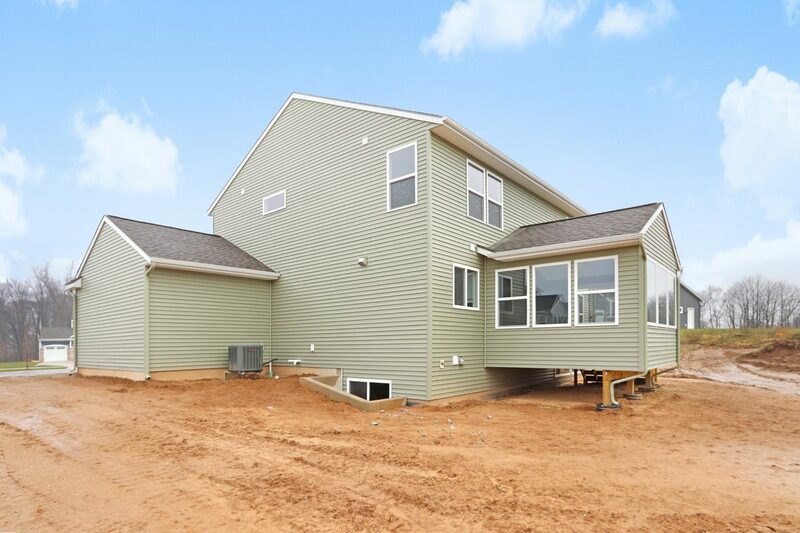 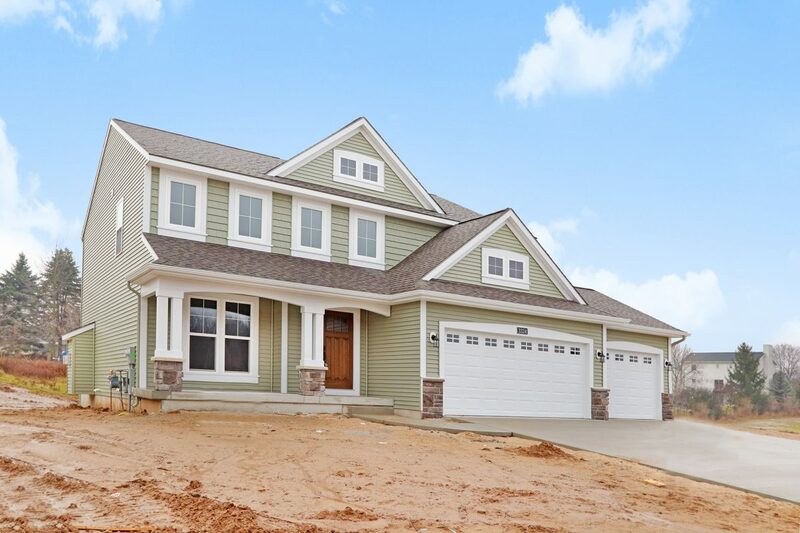 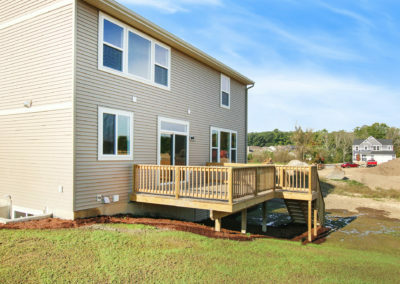 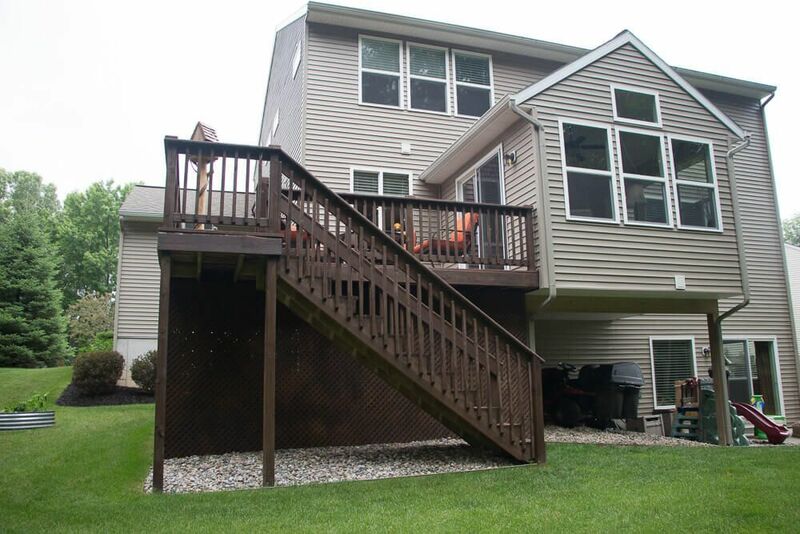 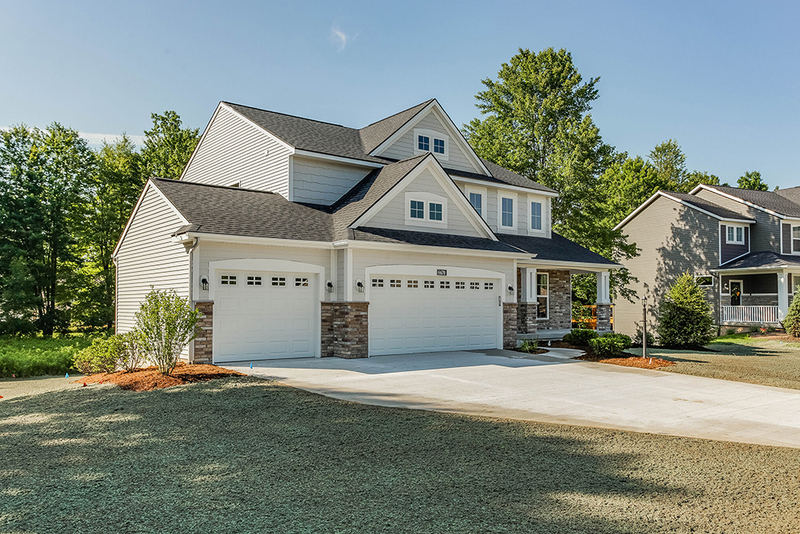 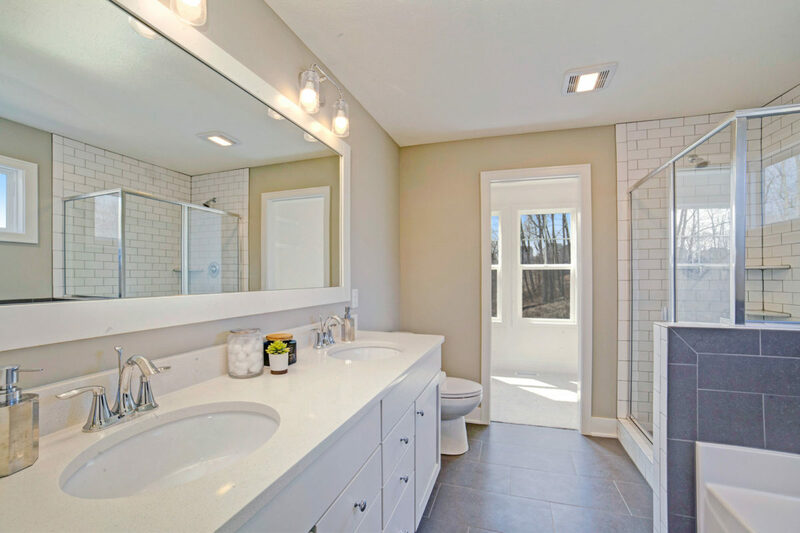 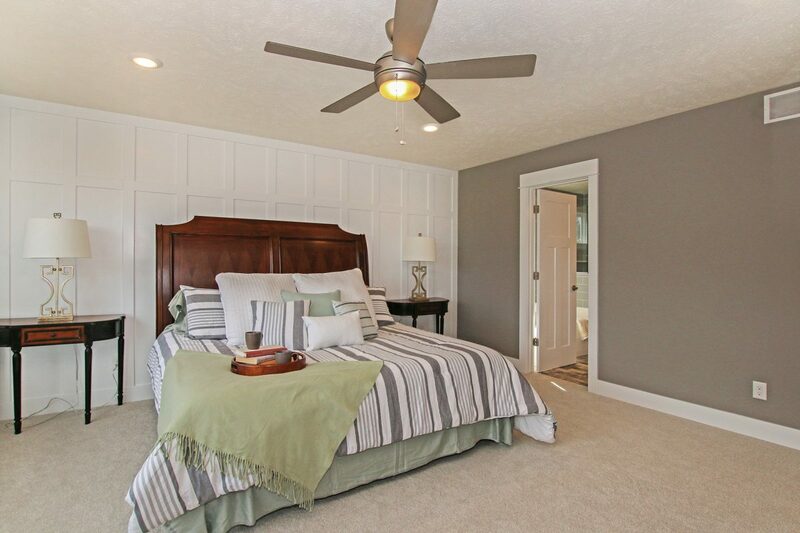 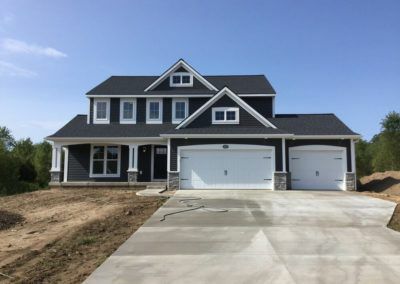 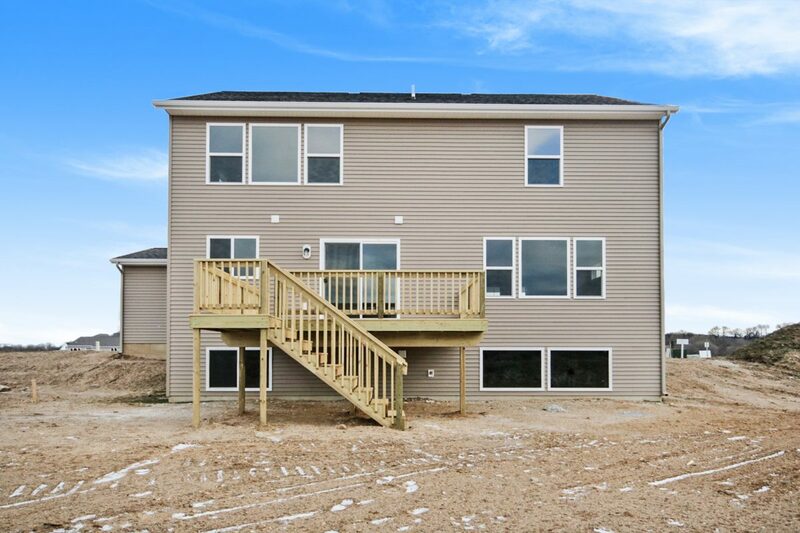 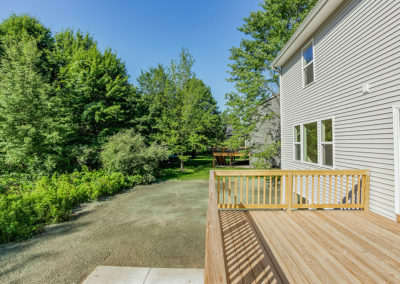 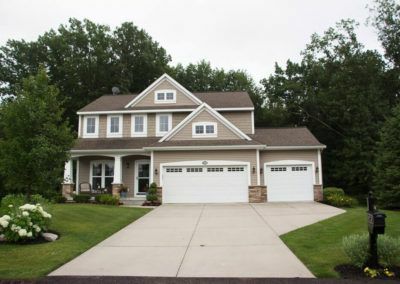 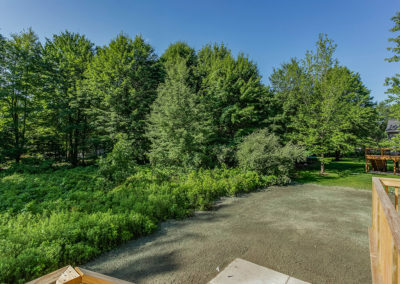 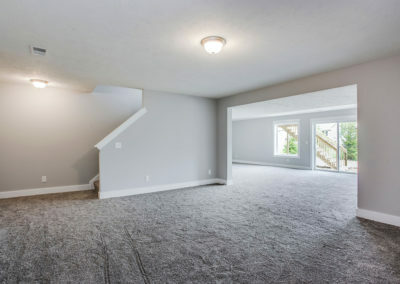 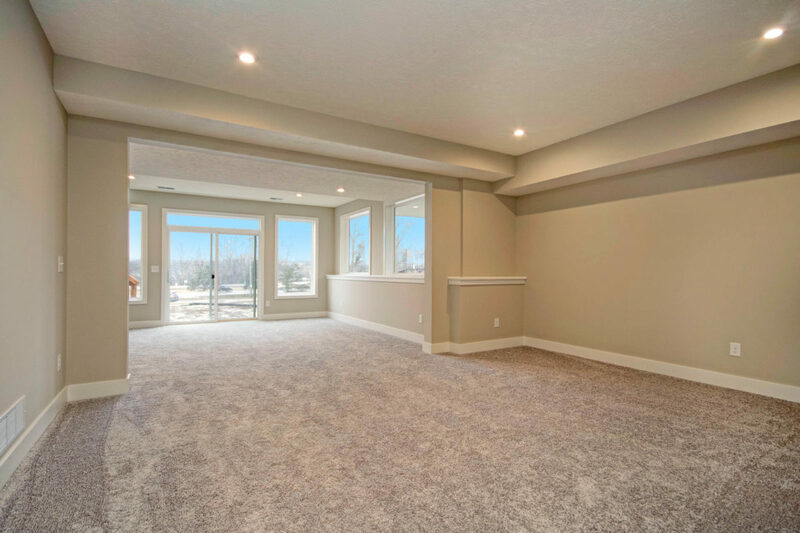 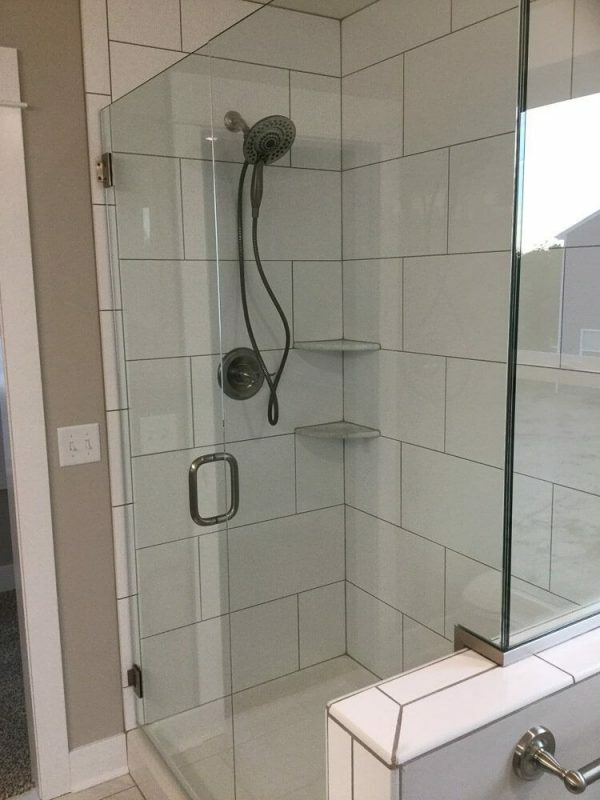 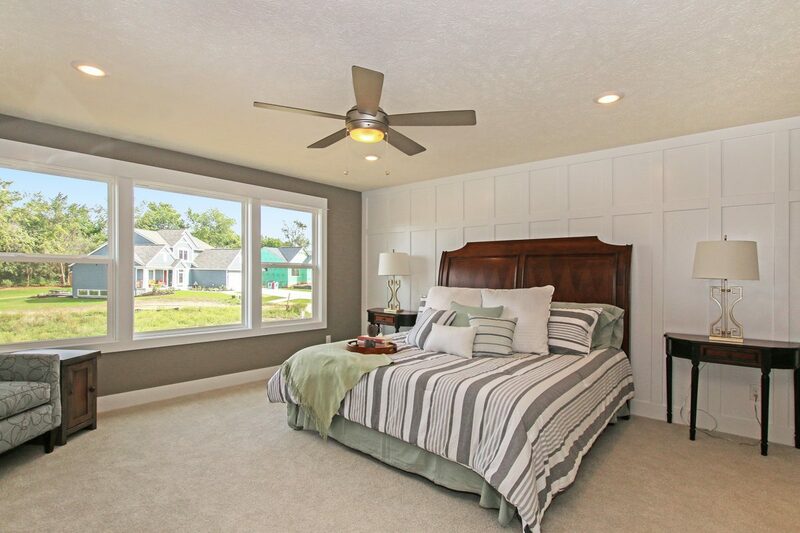 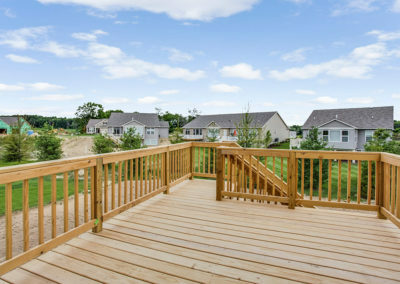 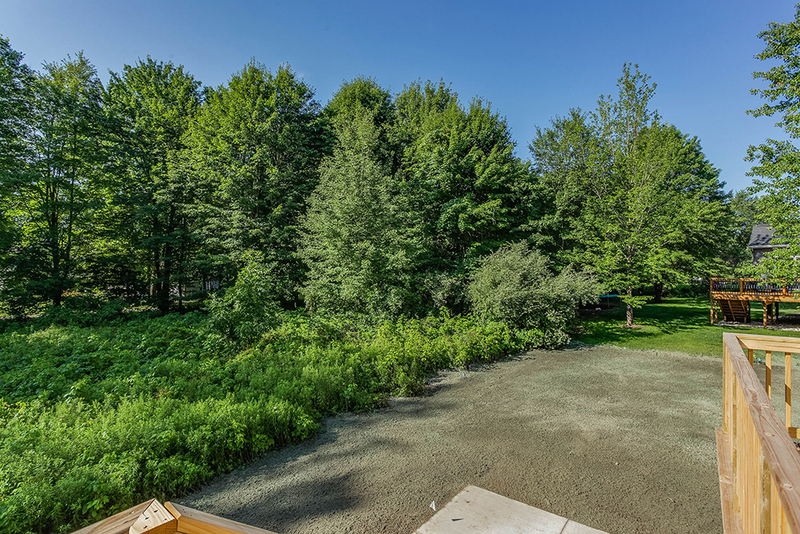 On the upper level, the master suite incorporates an ample master bedroom, two walk-in closets, and a four piece private master bath with soaking tub, step-in shower, and optional double sink. 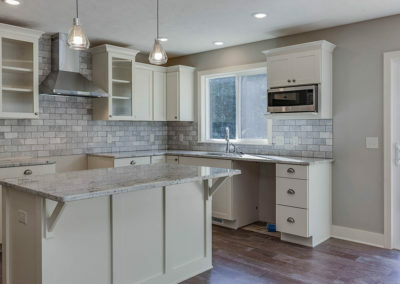 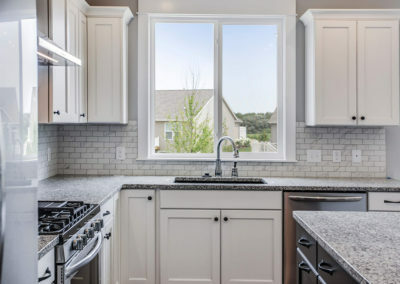 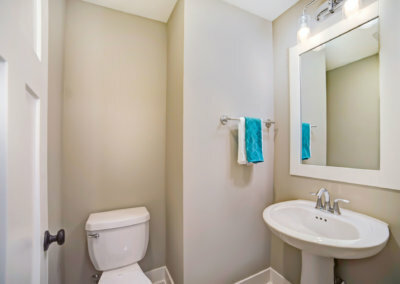 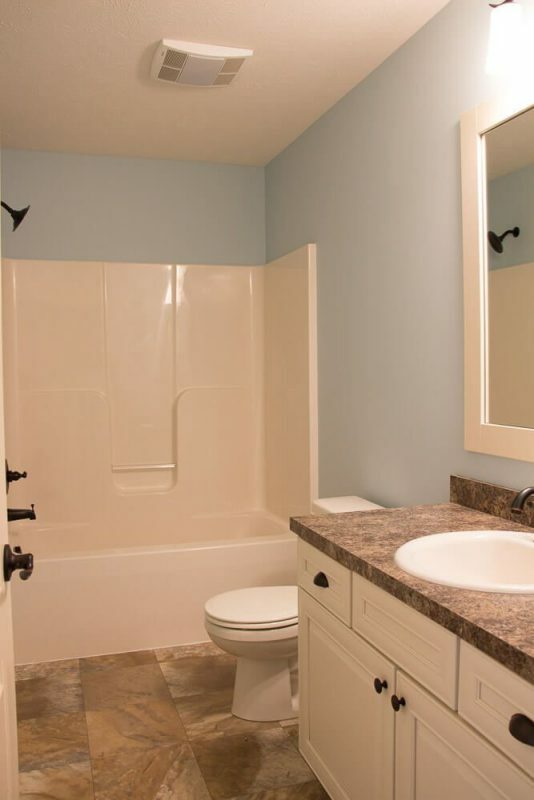 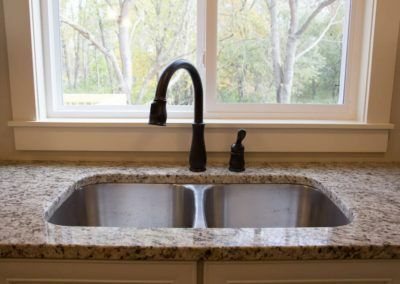 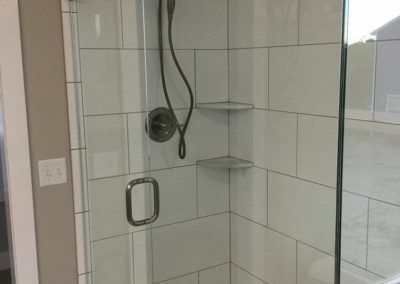 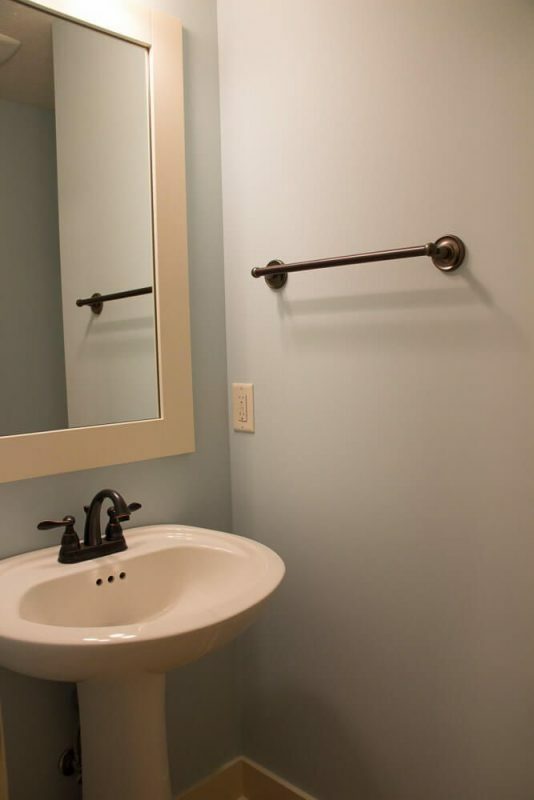 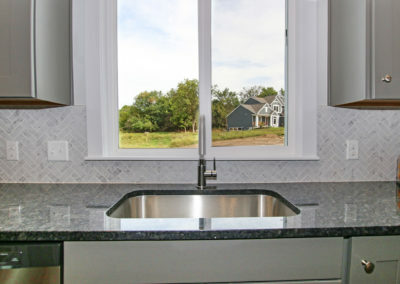 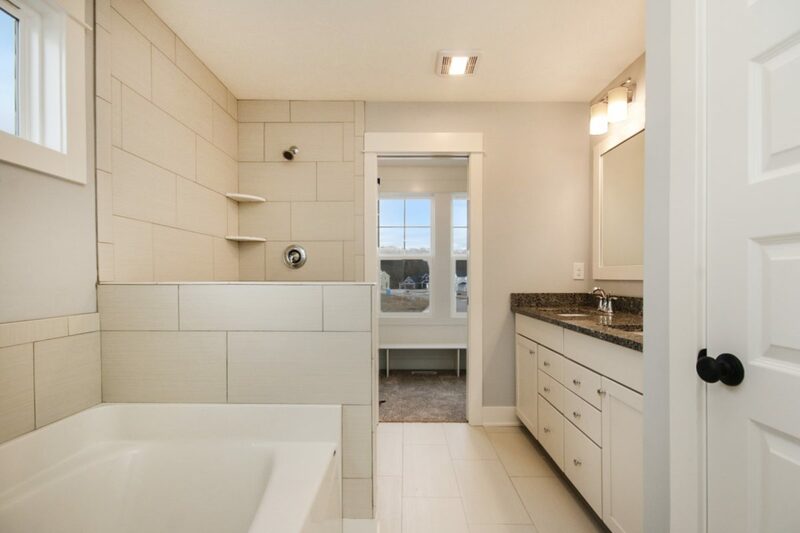 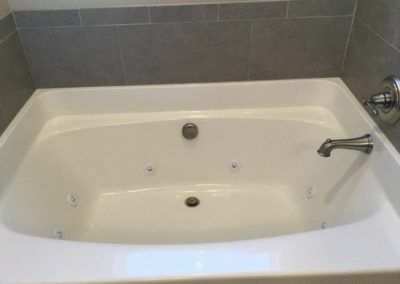 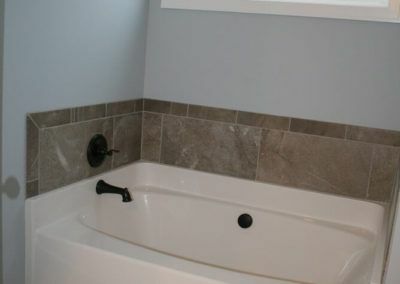 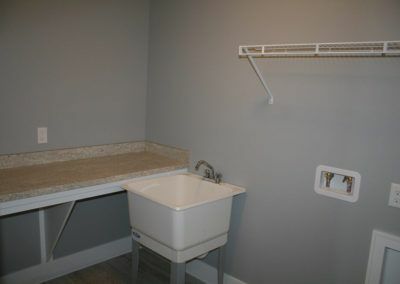 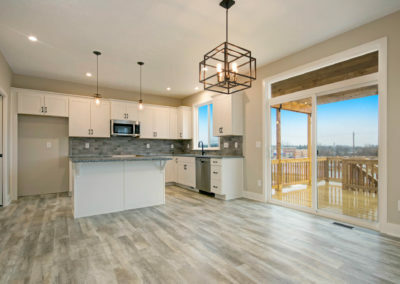 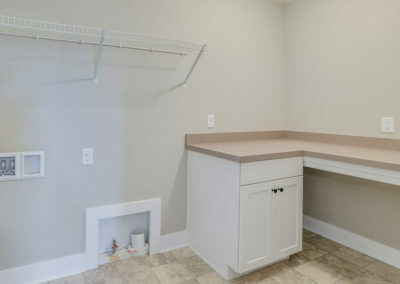 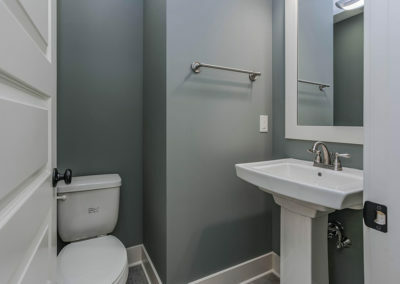 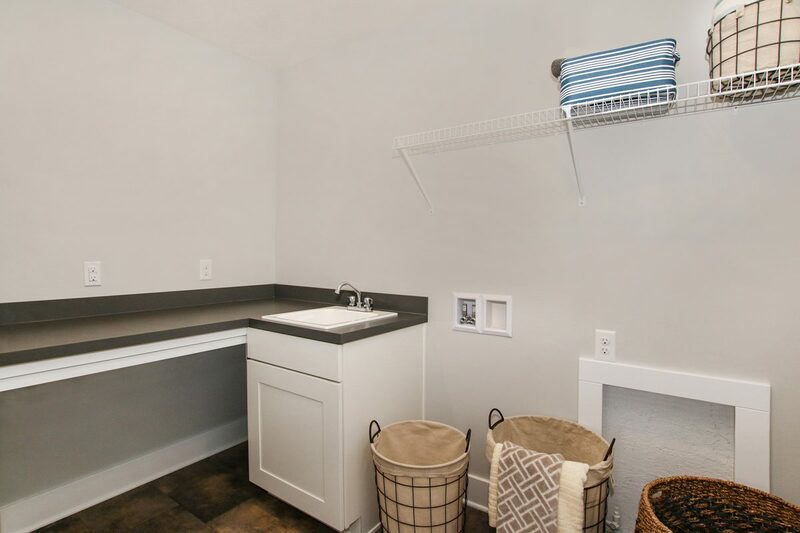 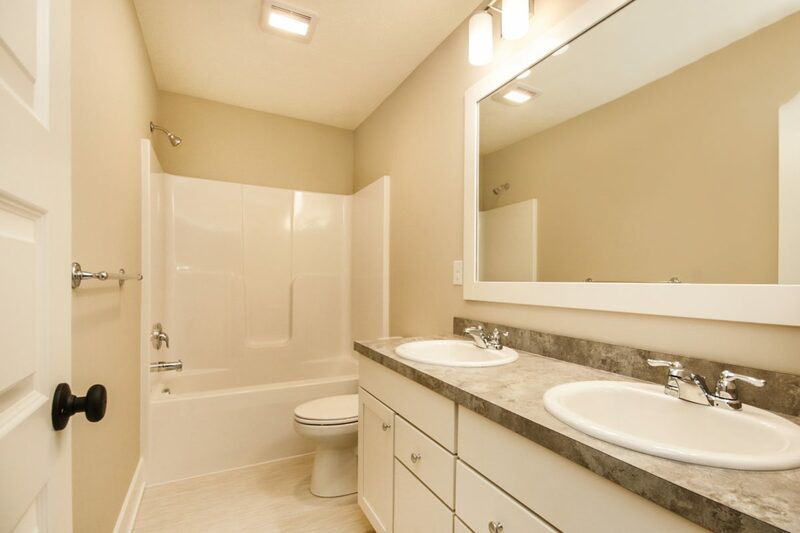 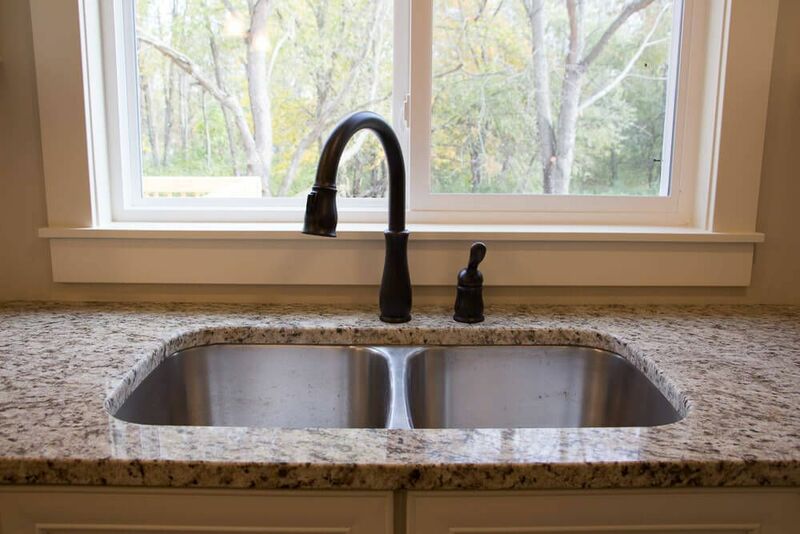 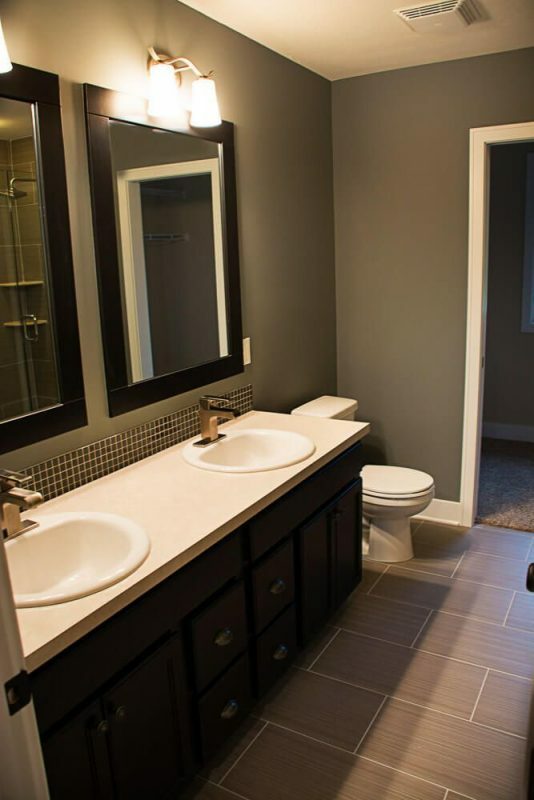 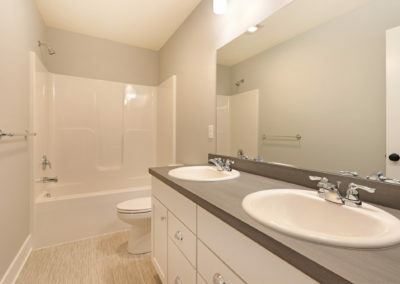 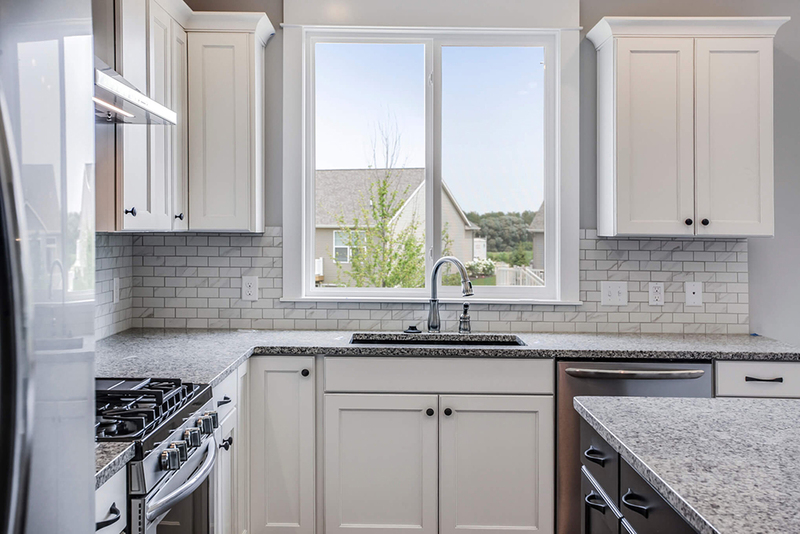 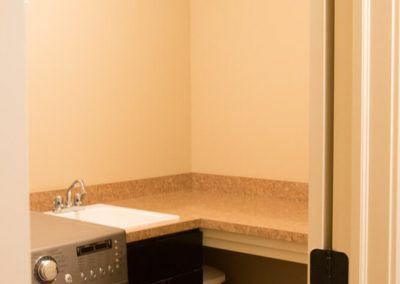 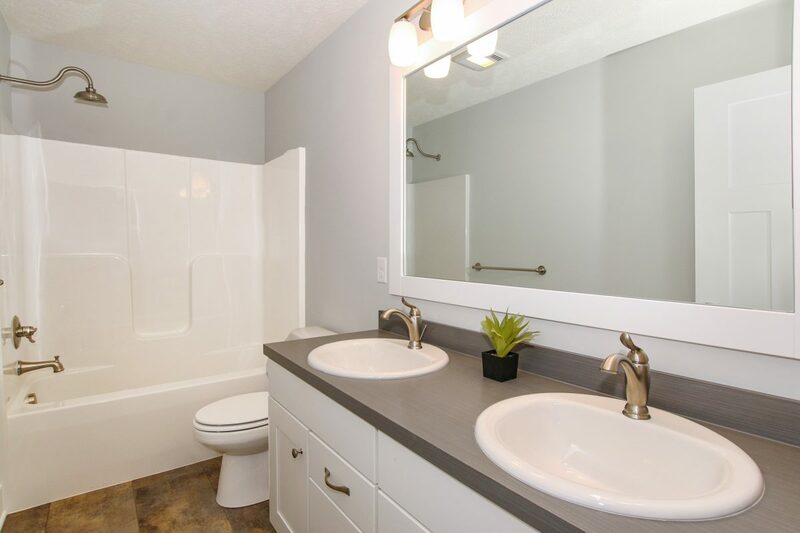 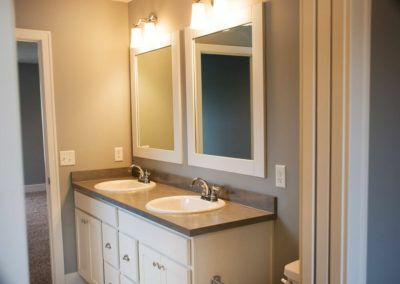 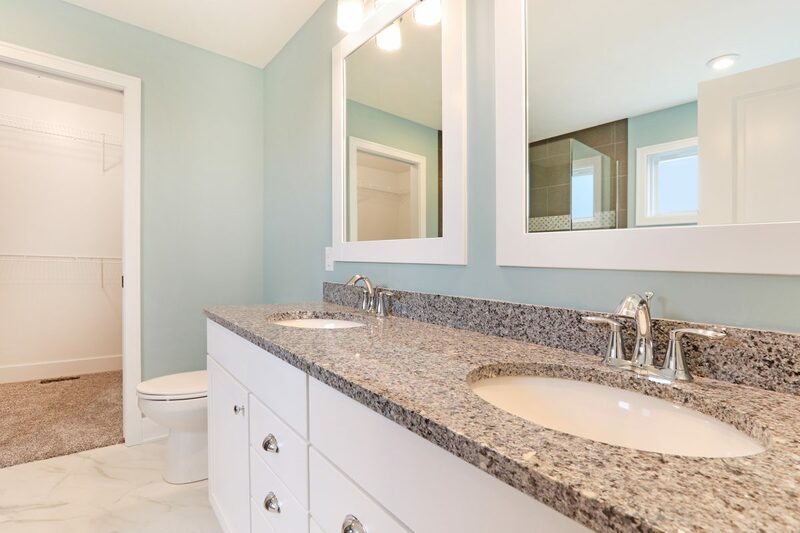 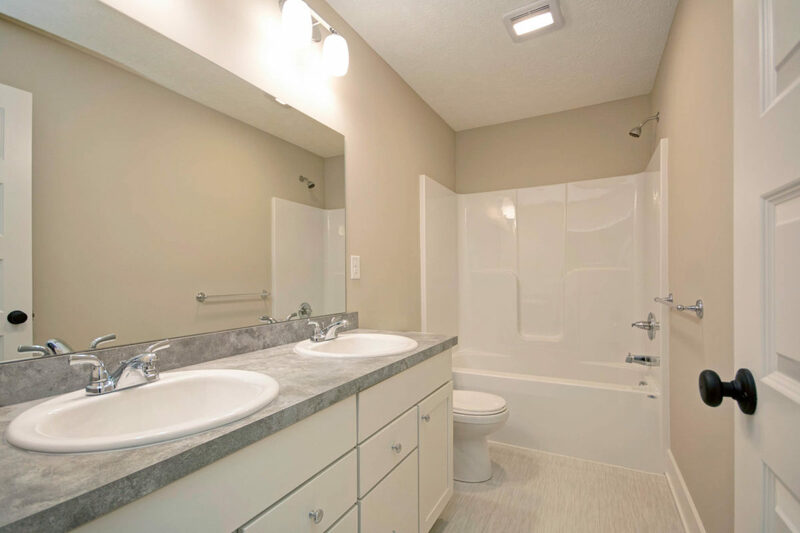 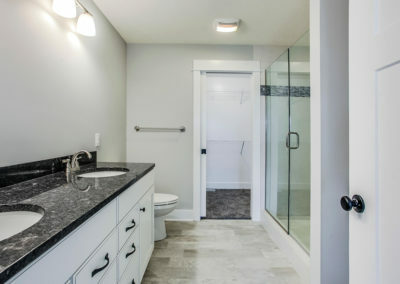 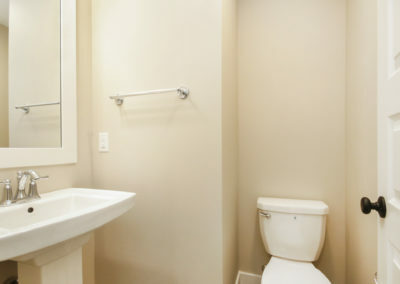 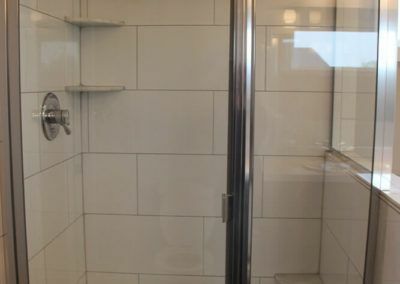 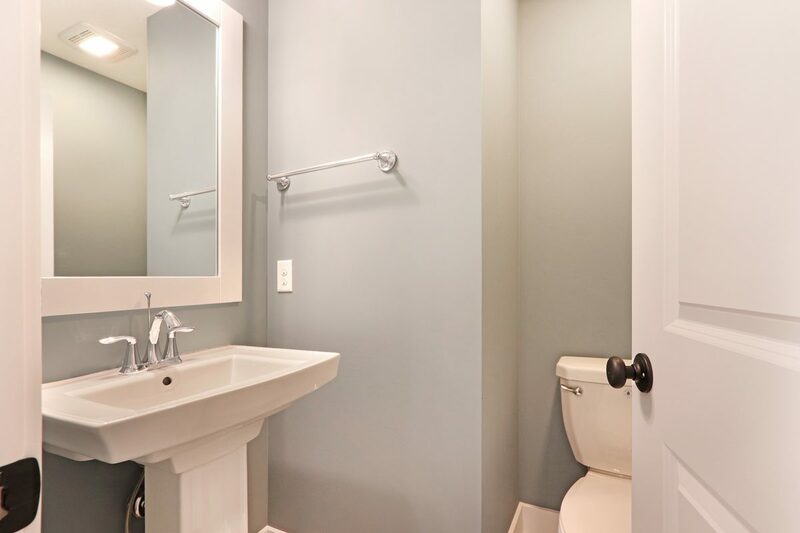 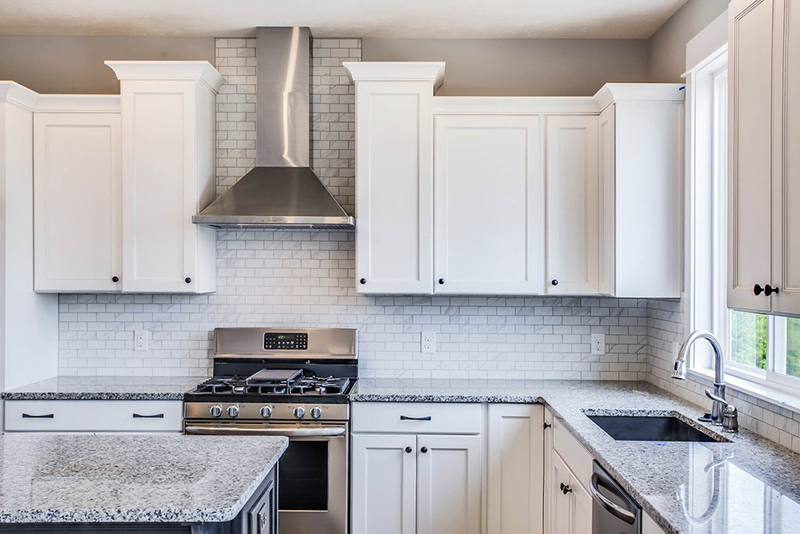 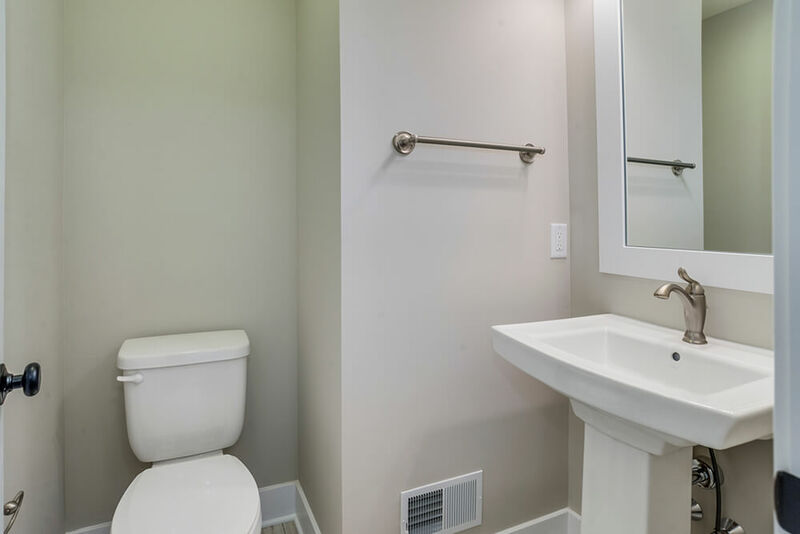 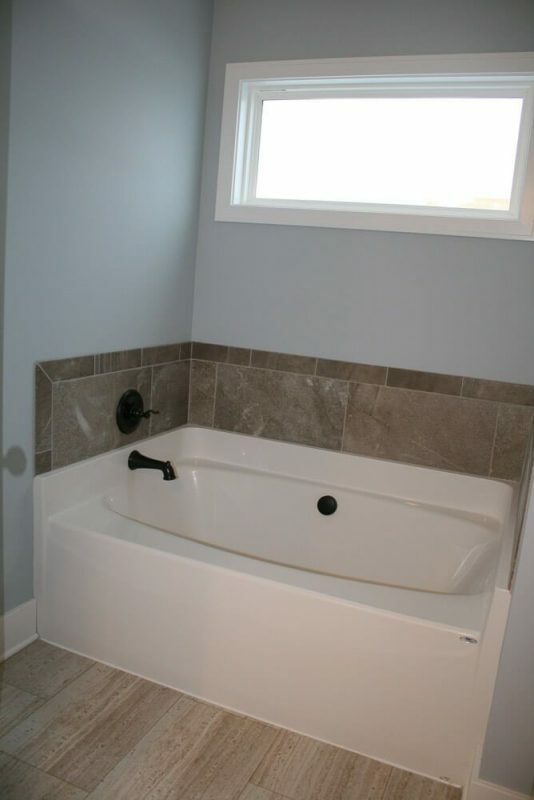 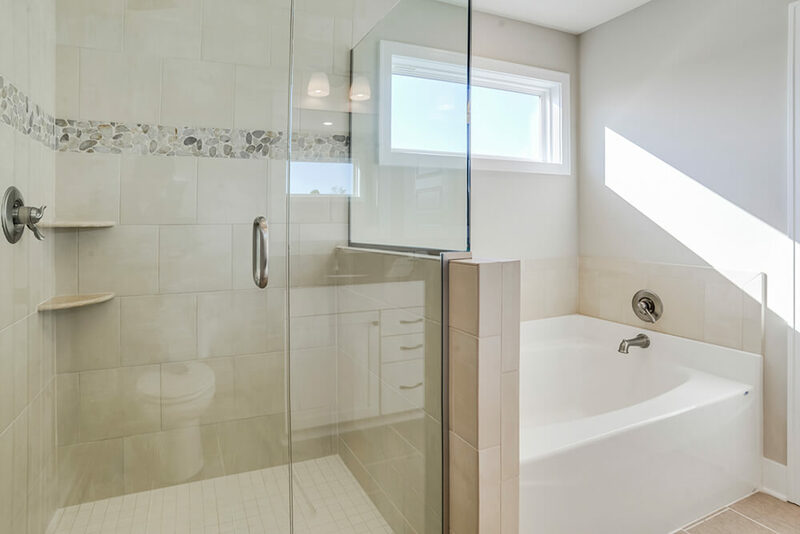 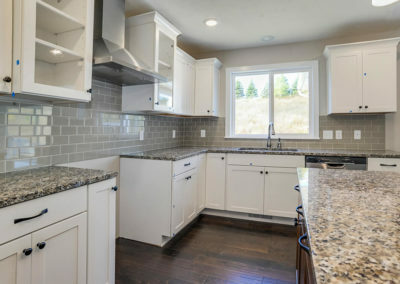 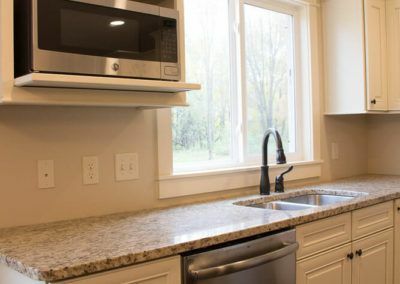 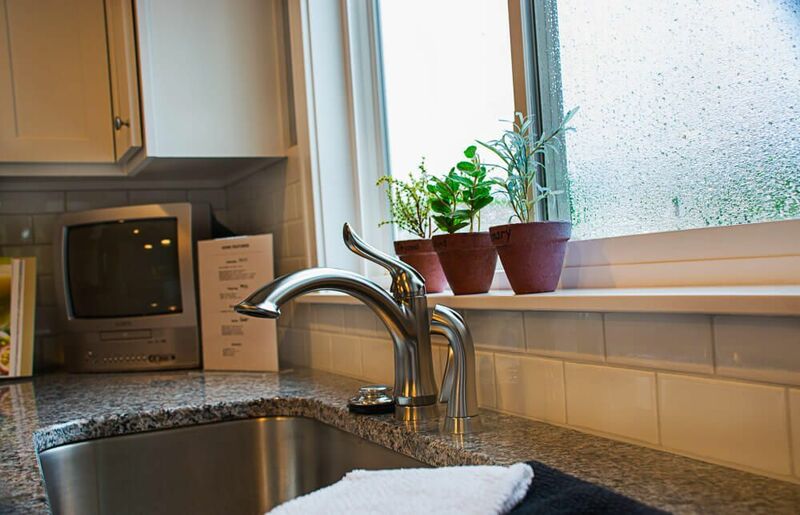 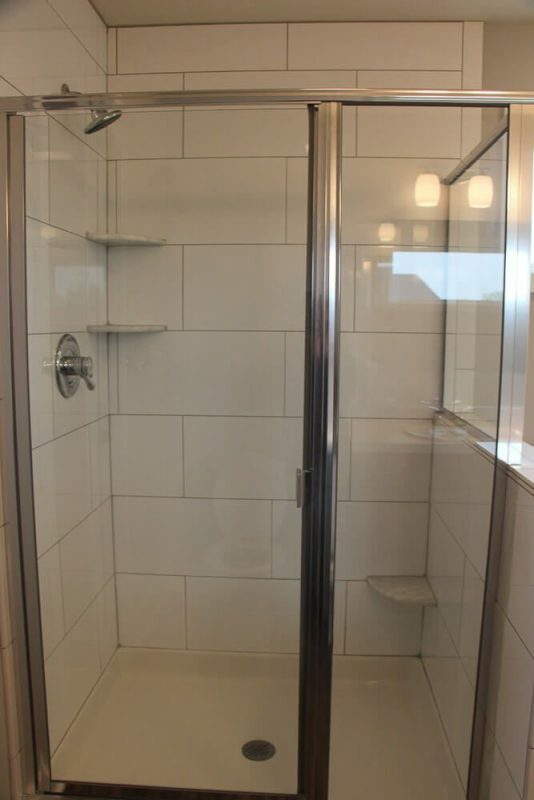 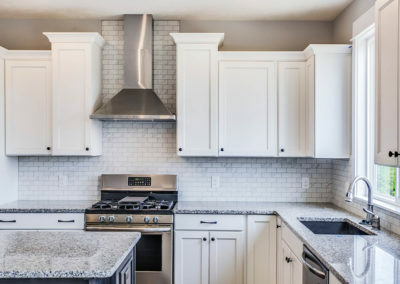 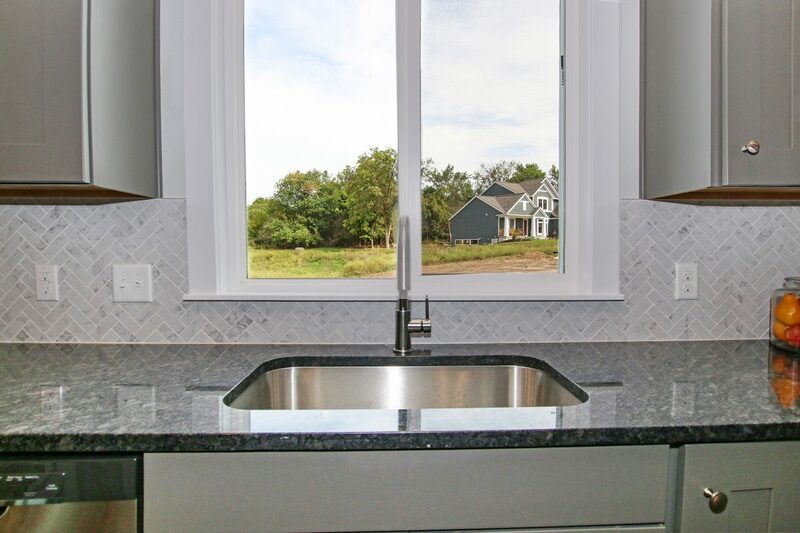 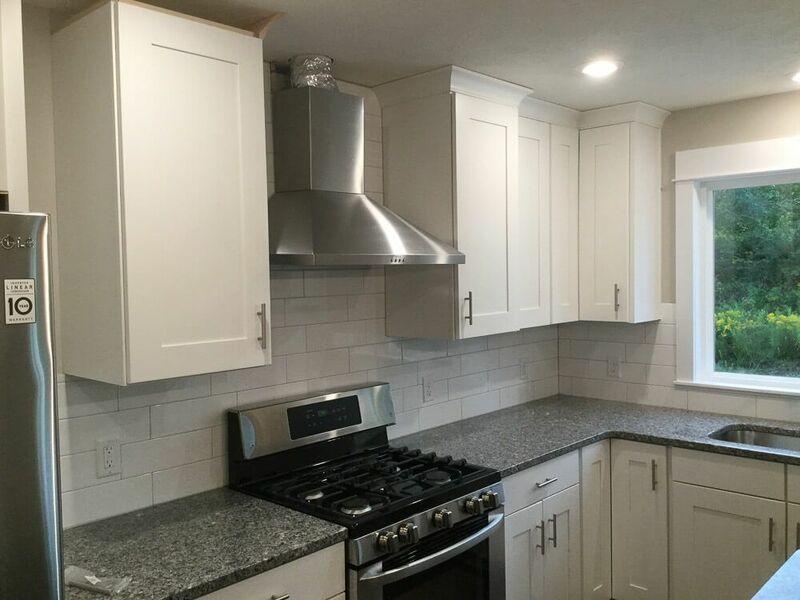 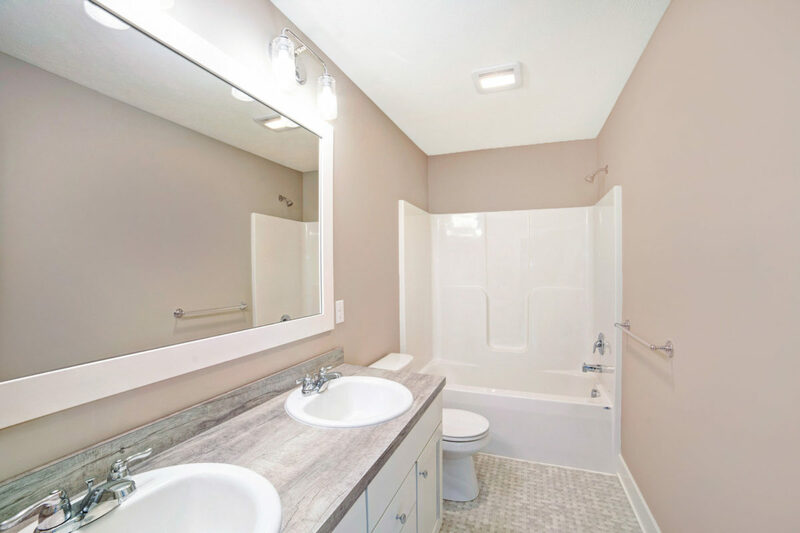 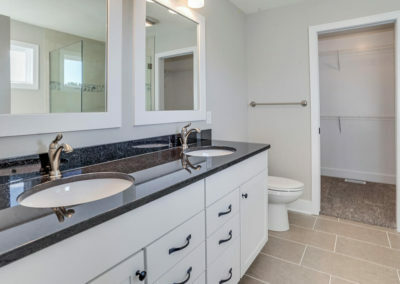 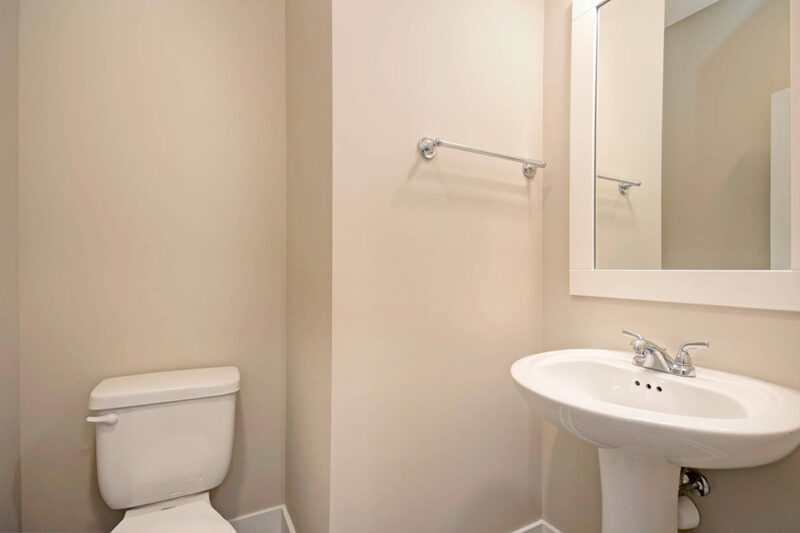 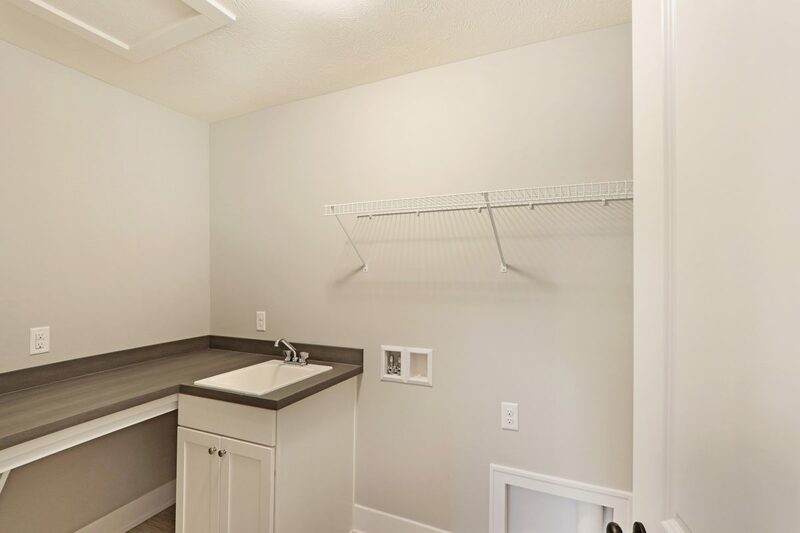 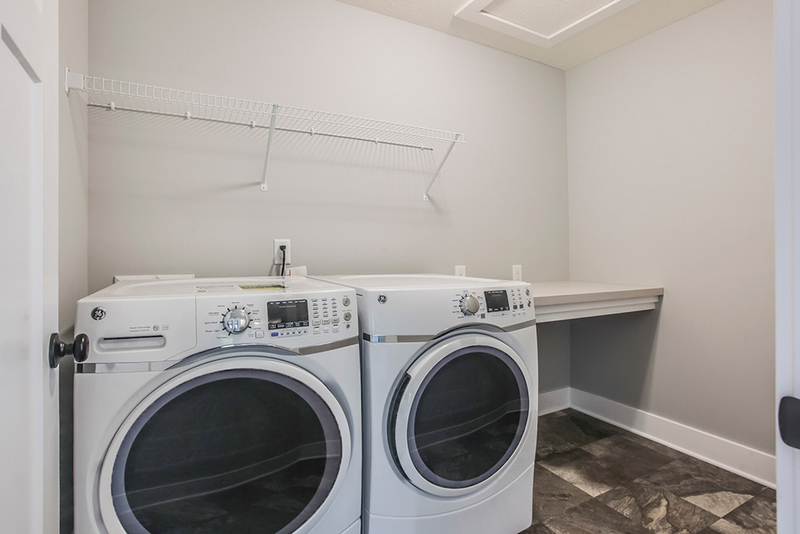 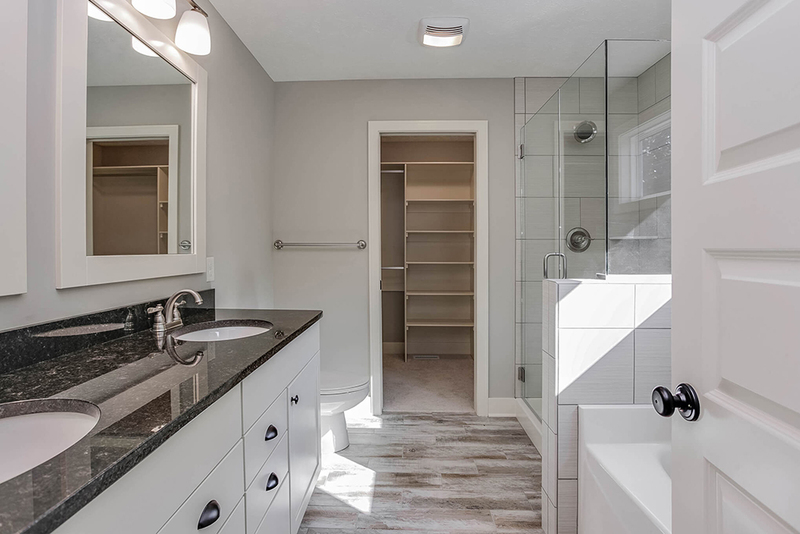 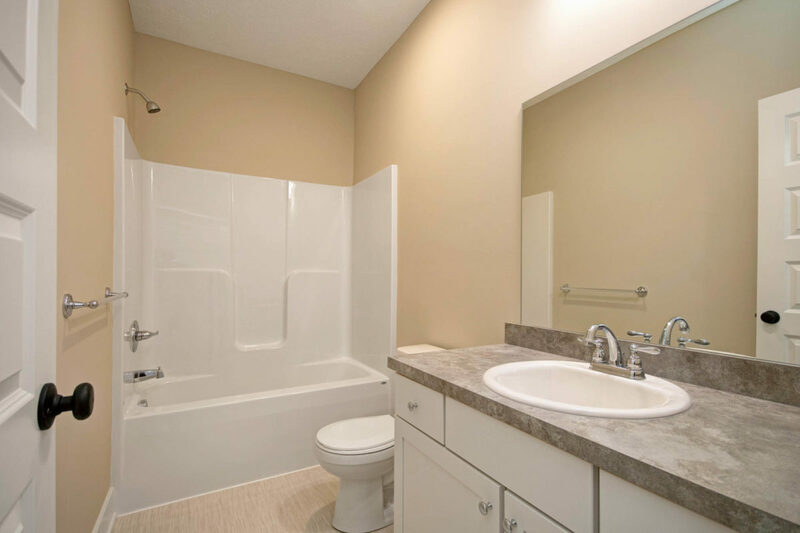 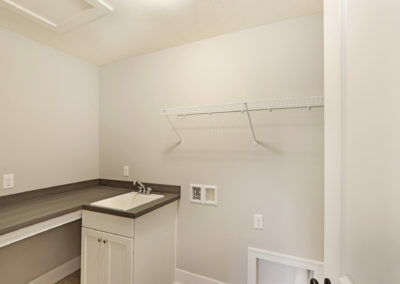 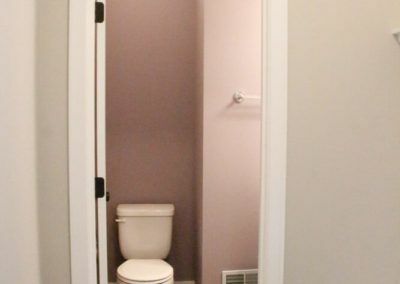 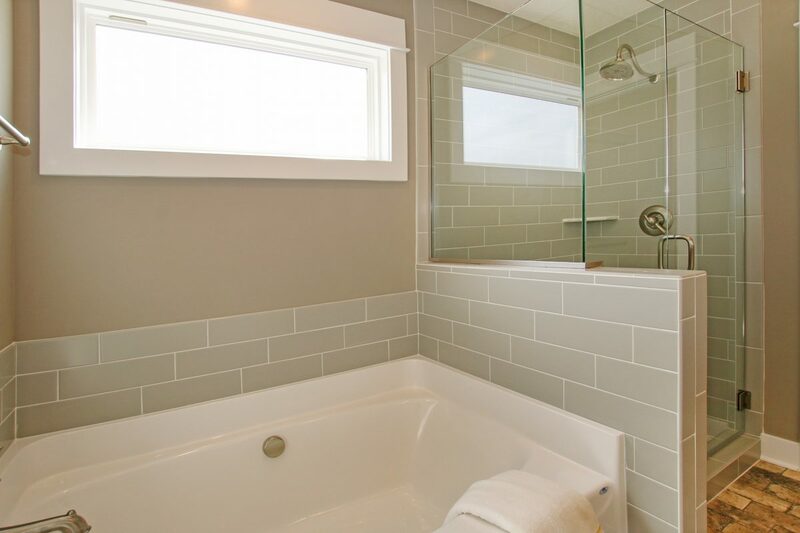 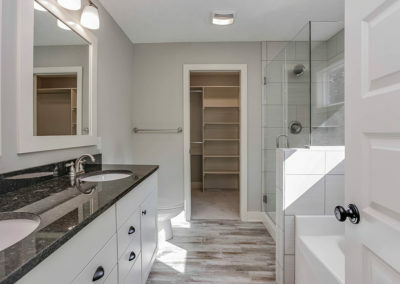 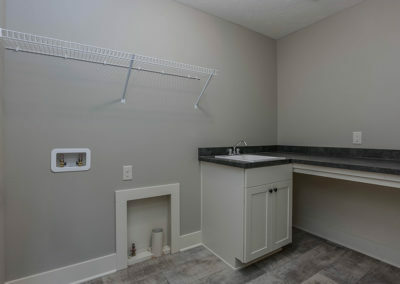 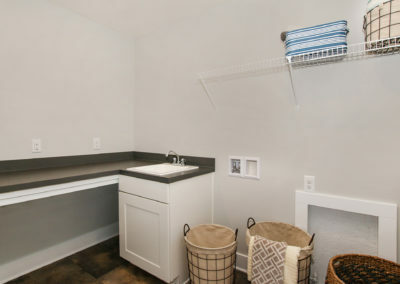 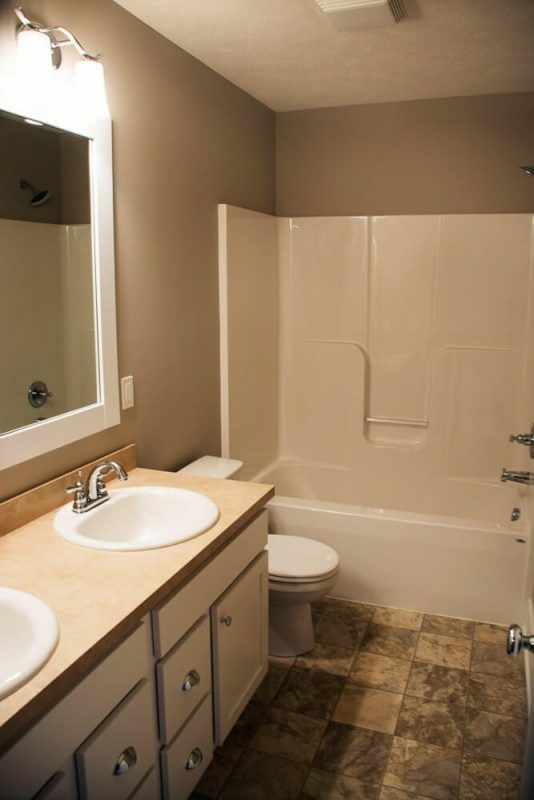 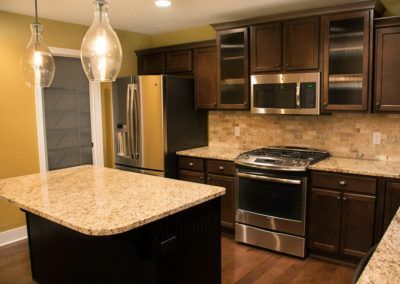 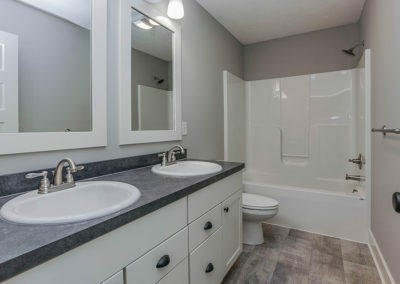 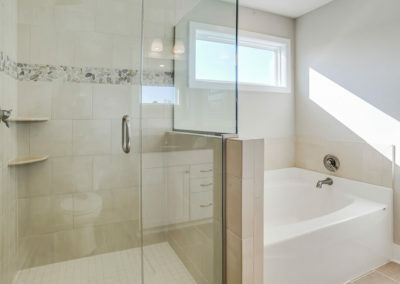 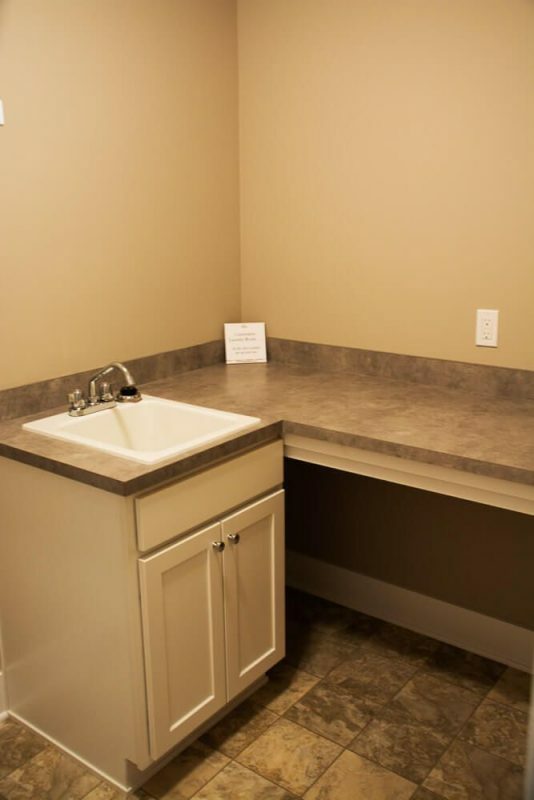 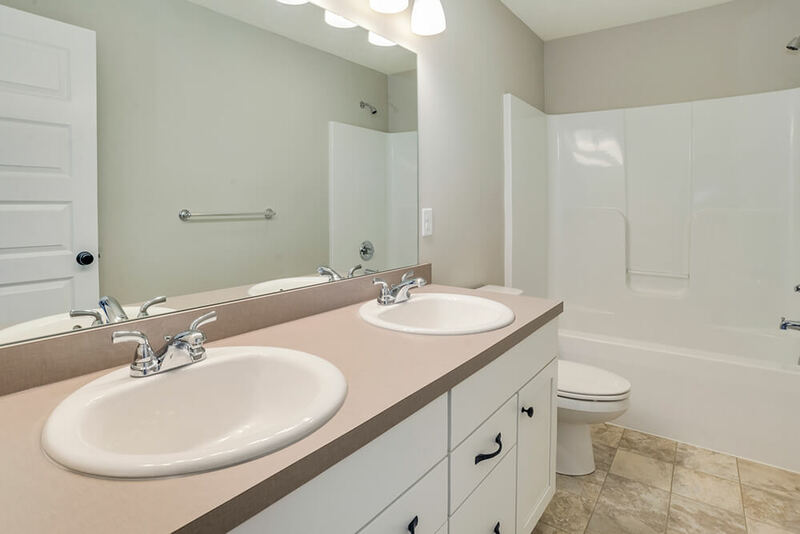 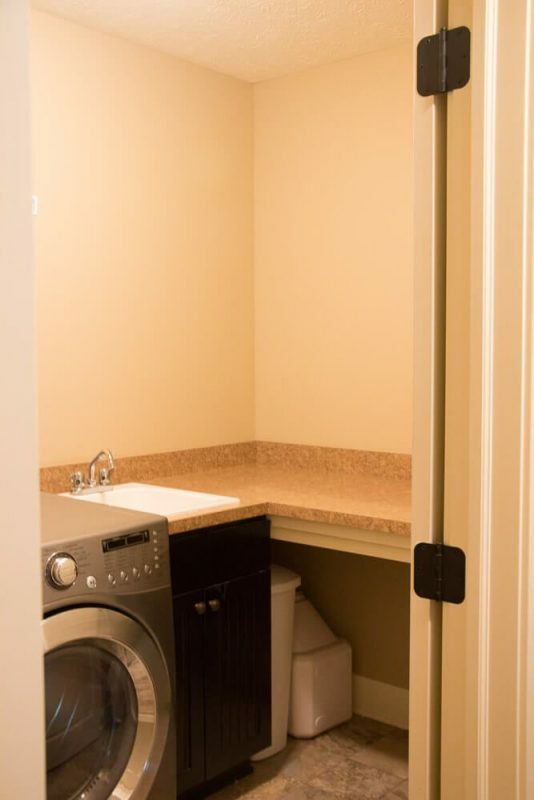 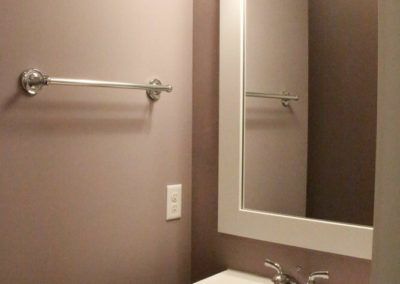 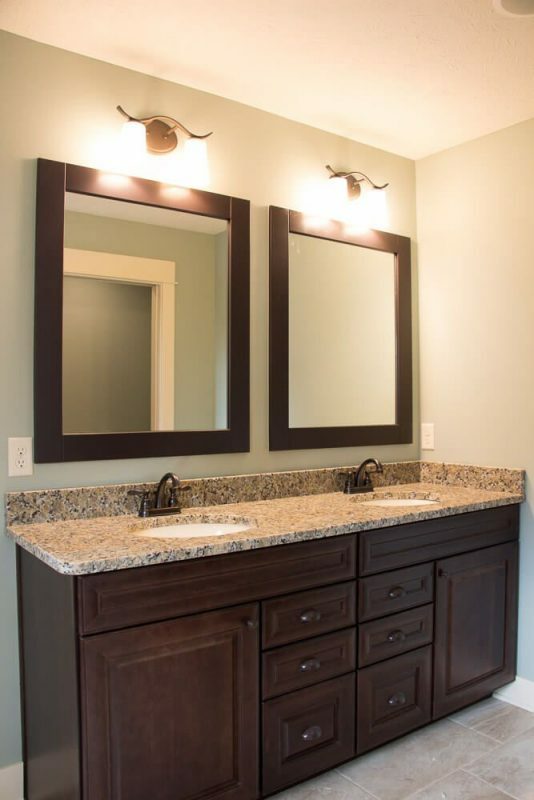 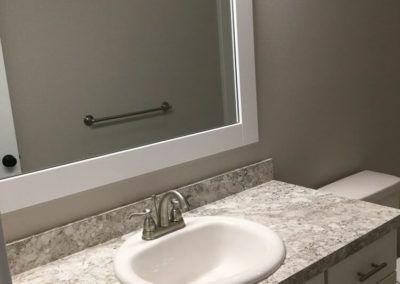 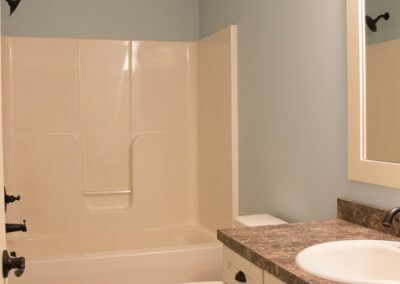 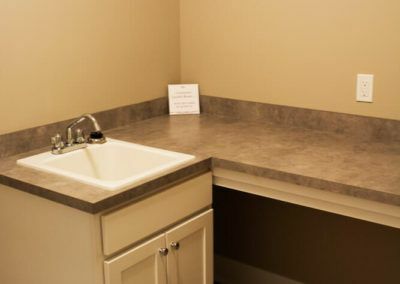 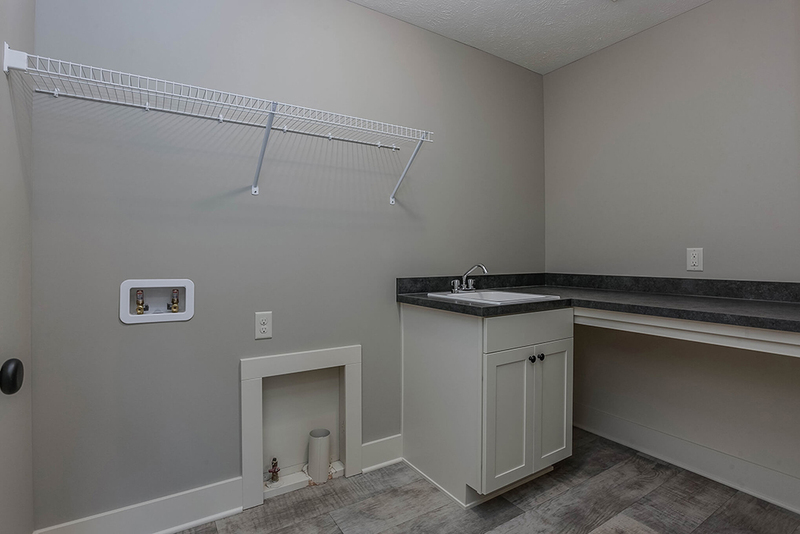 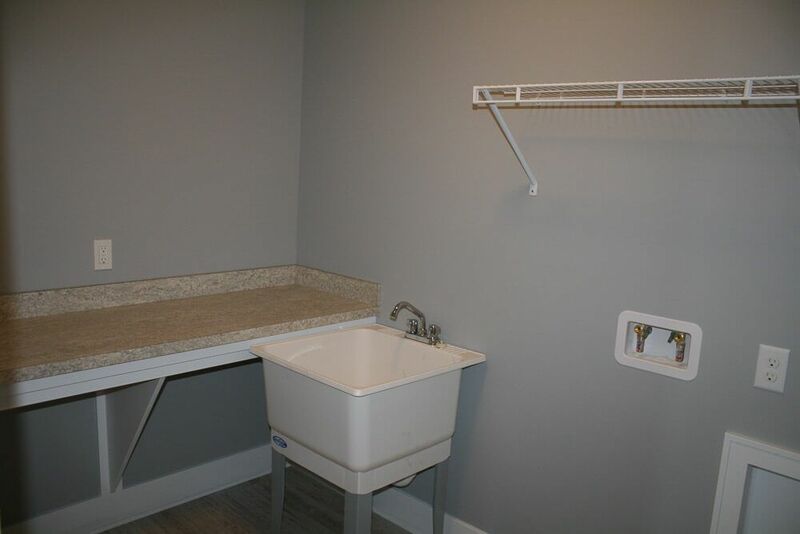 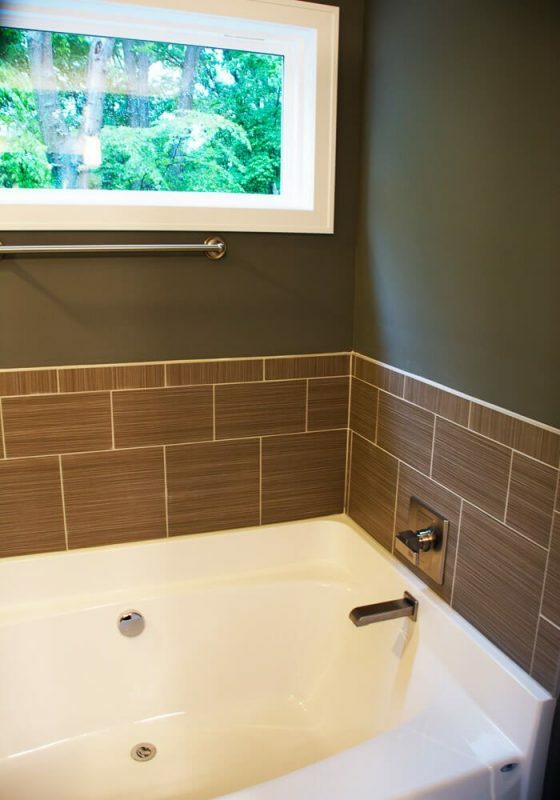 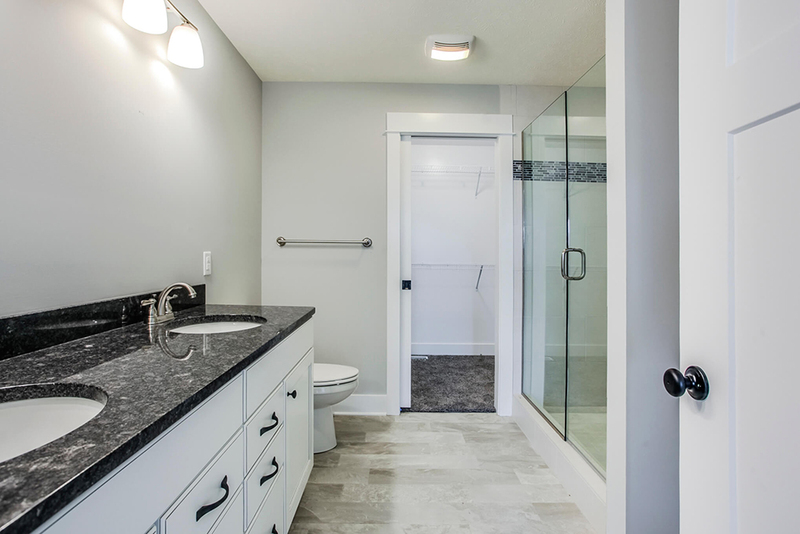 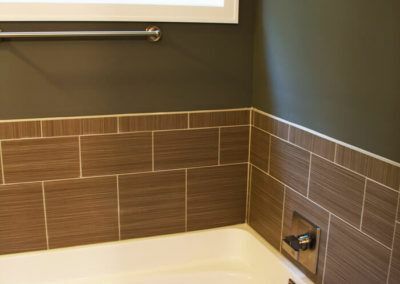 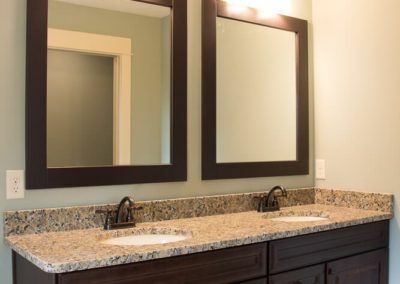 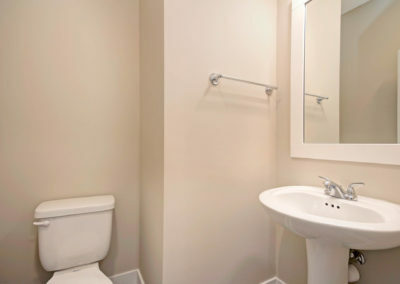 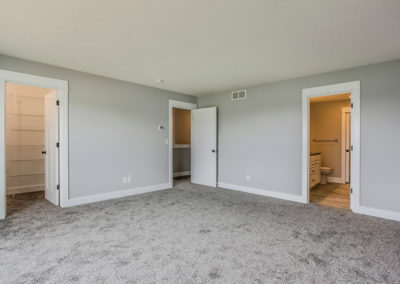 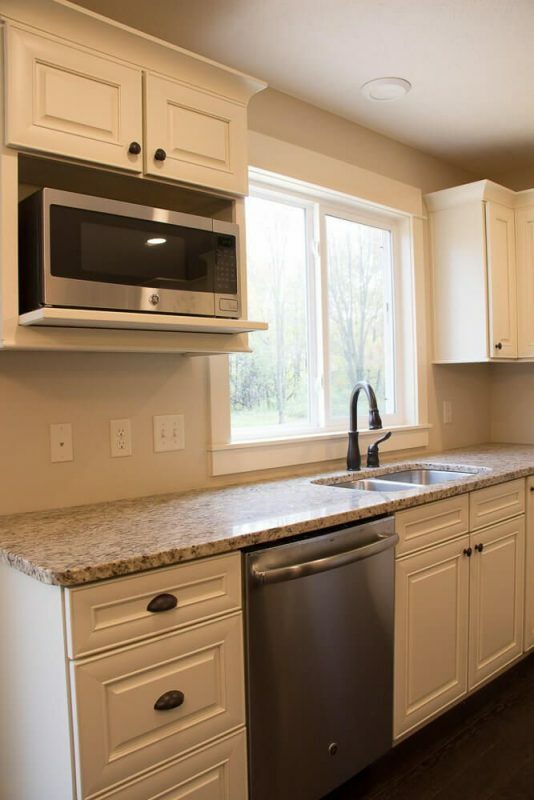 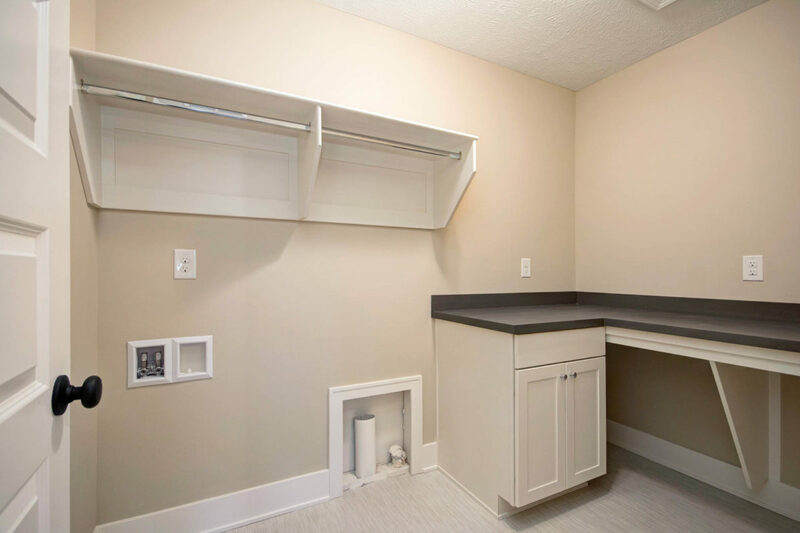 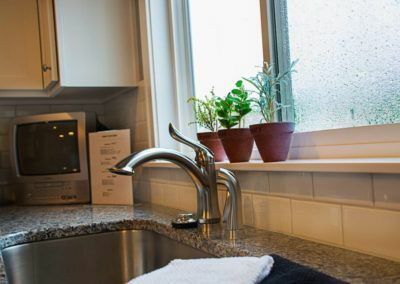 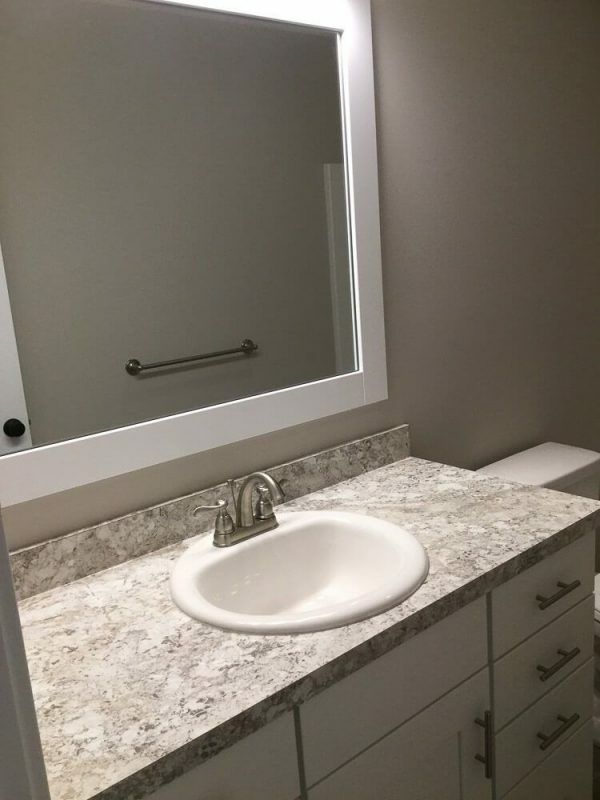 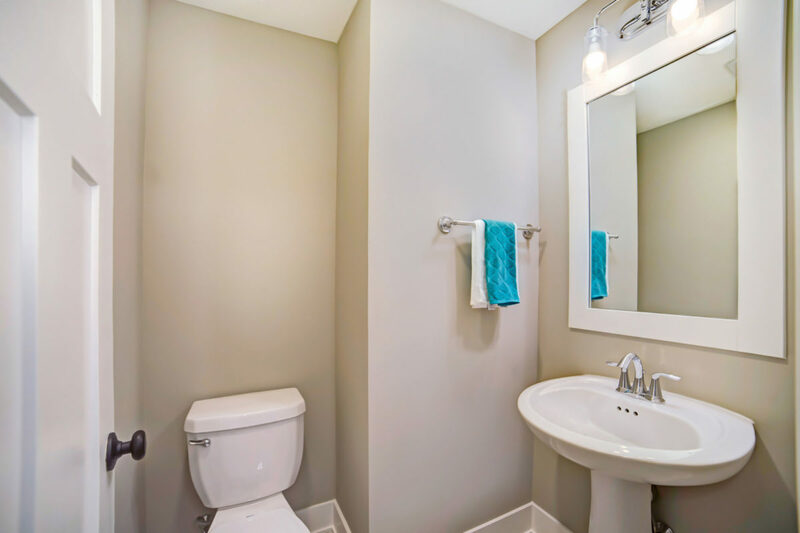 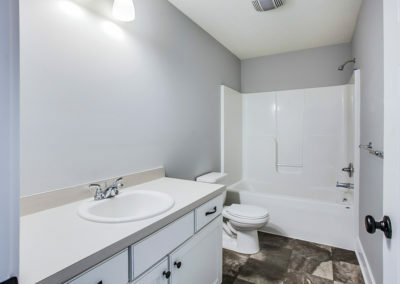 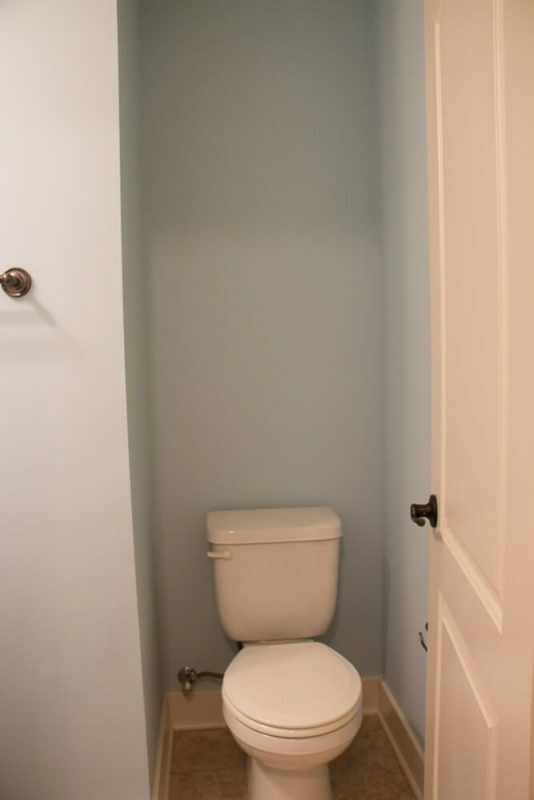 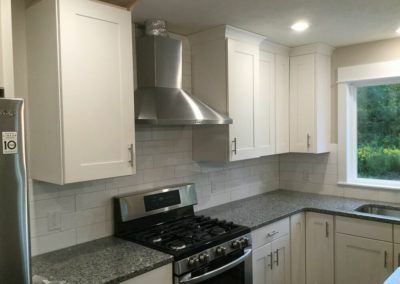 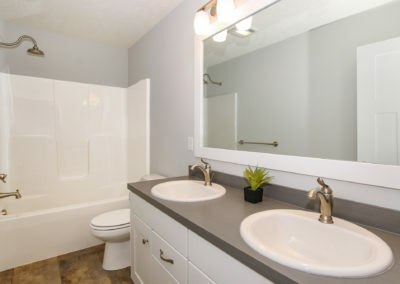 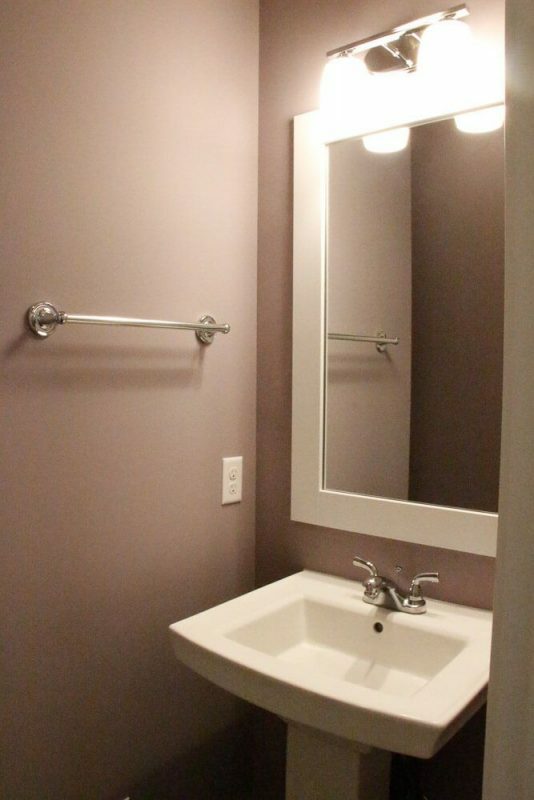 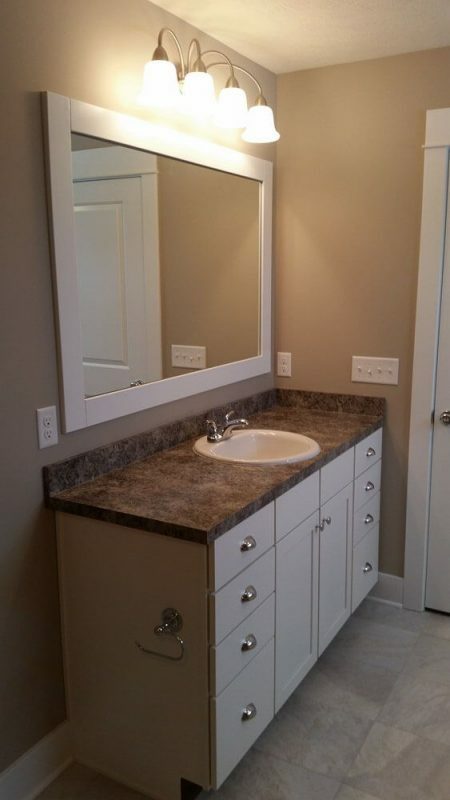 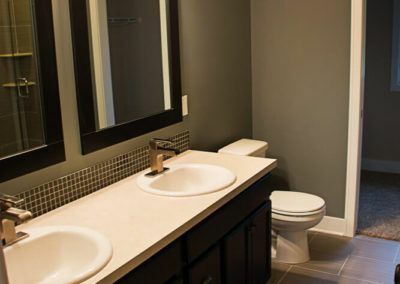 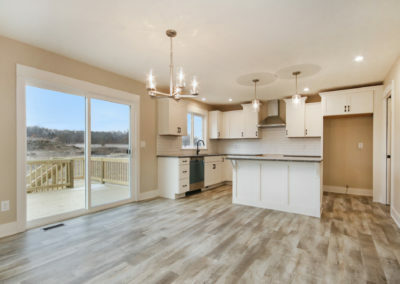 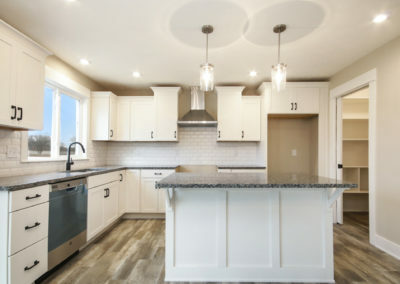 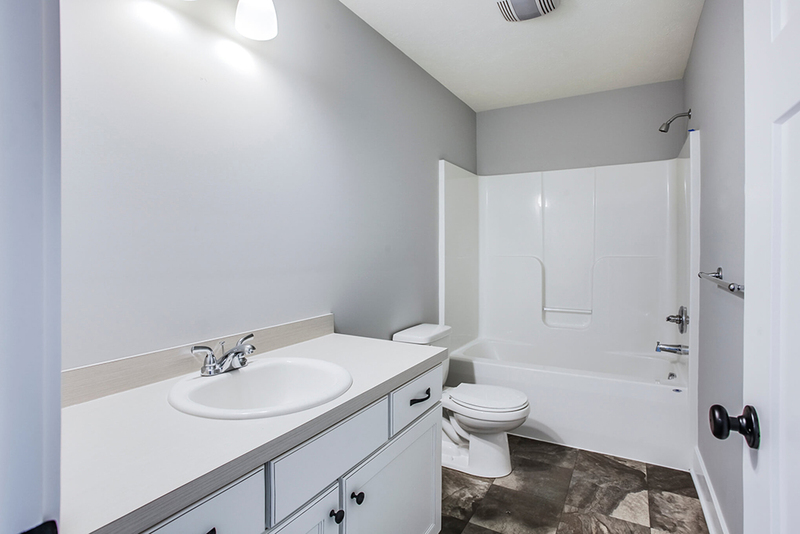 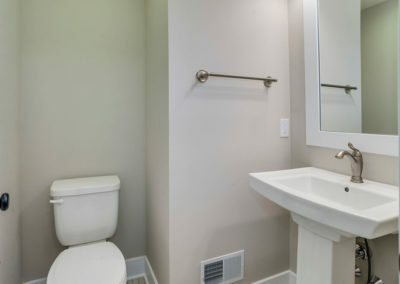 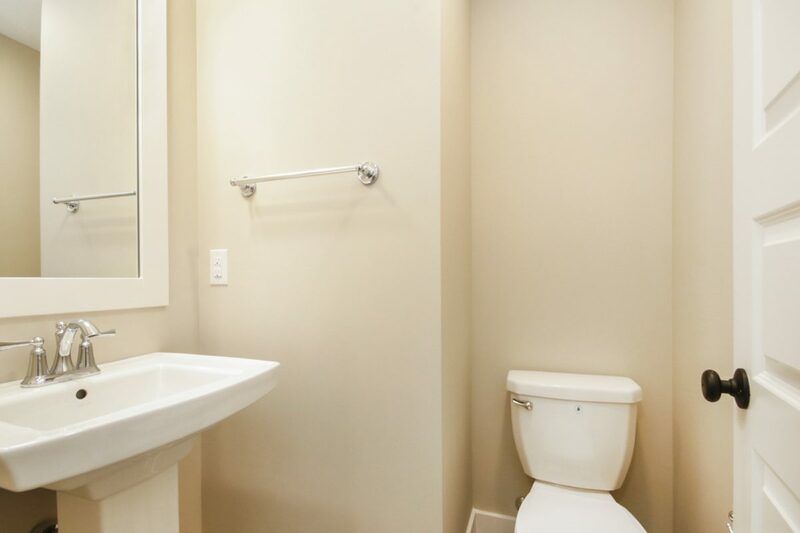 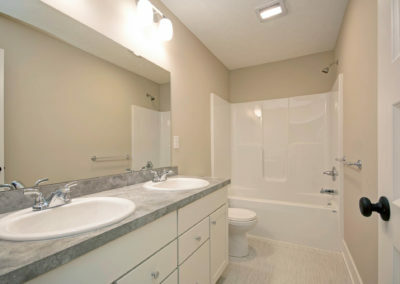 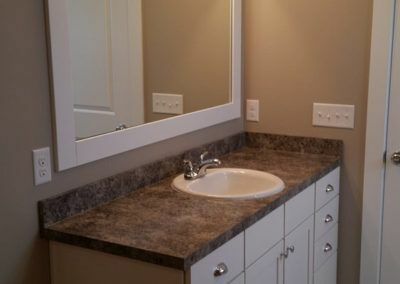 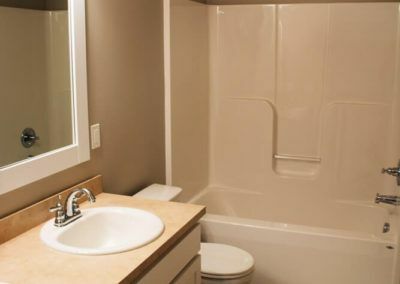 Also on the upper level is the convenient laundry room with optional sink and folding table, a second full bath with optional double sink, and three additional bedrooms, one of which can be exchanged for an open loft space. 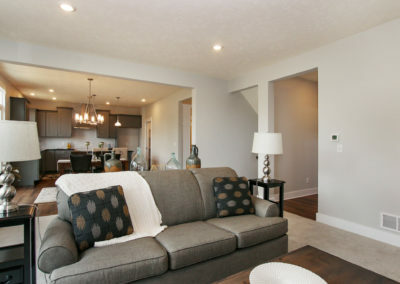 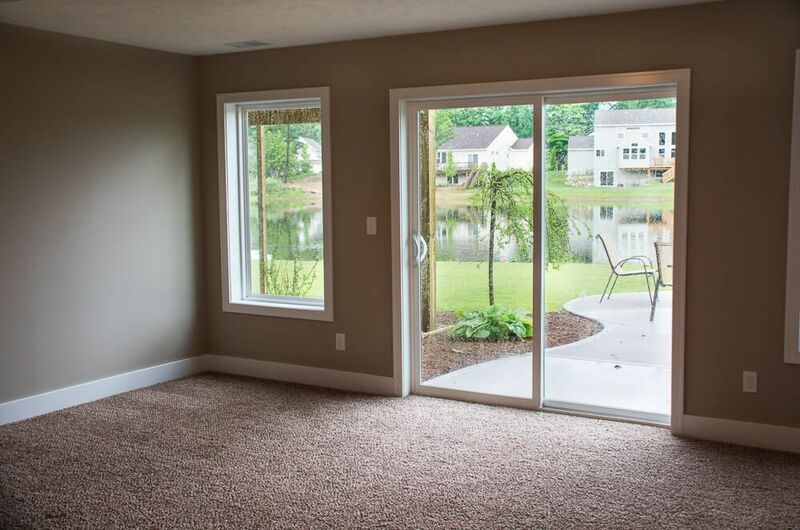 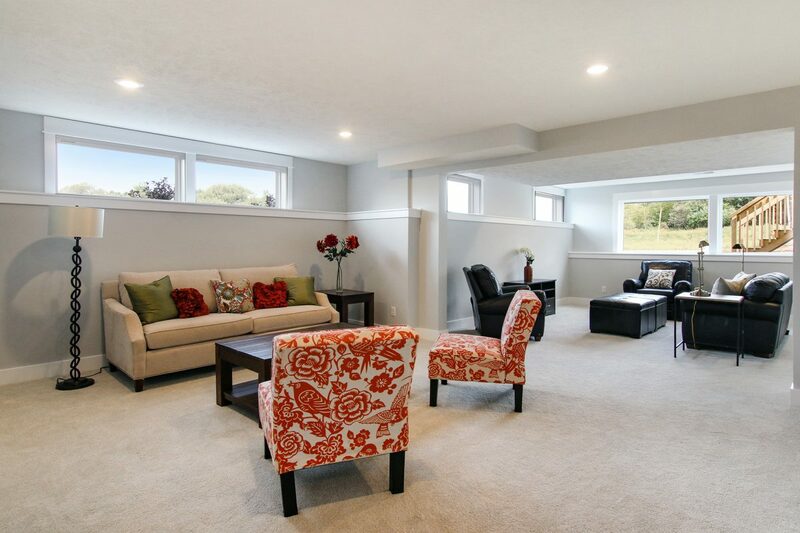 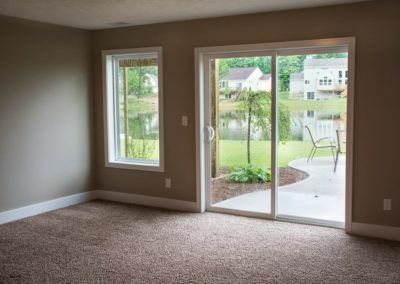 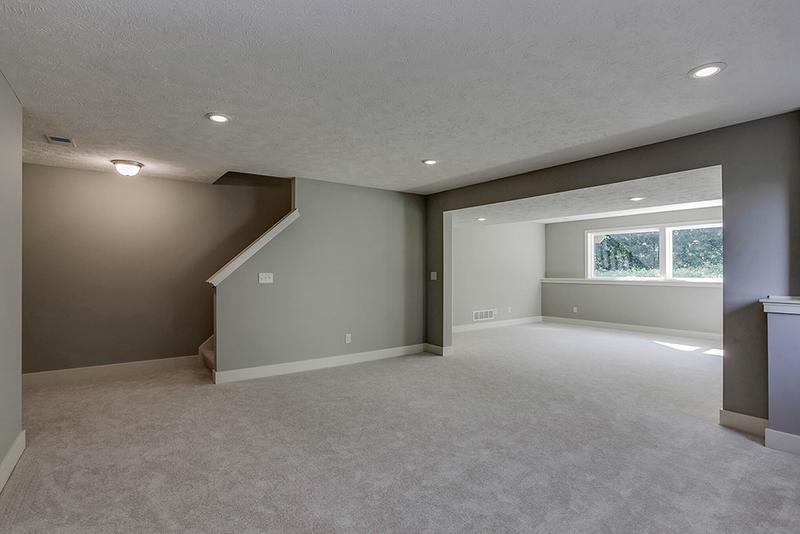 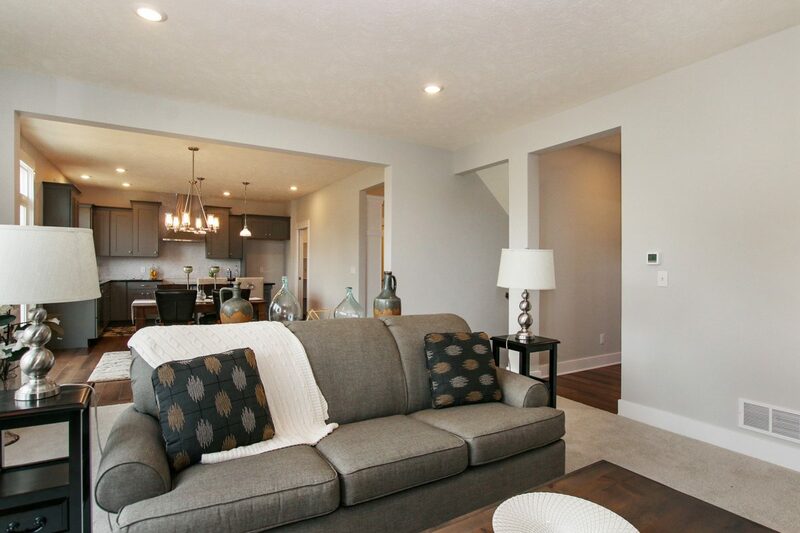 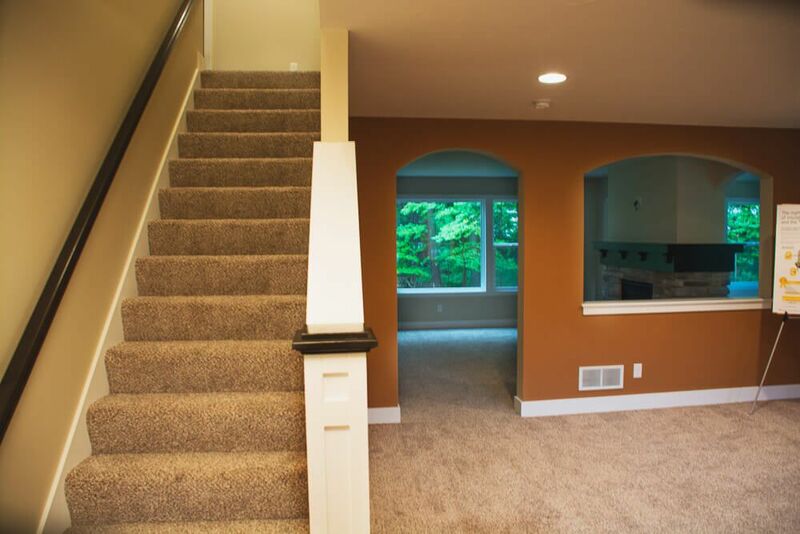 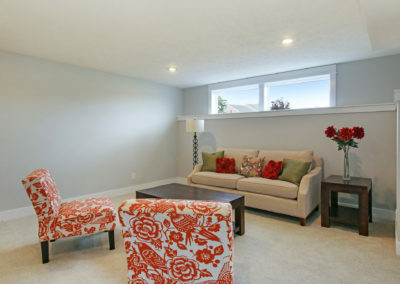 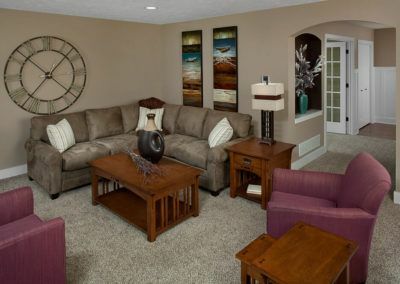 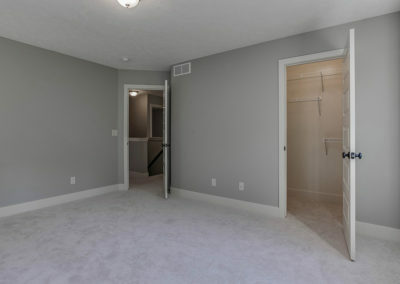 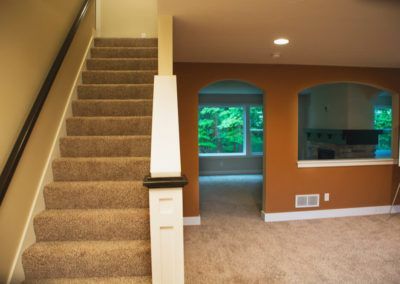 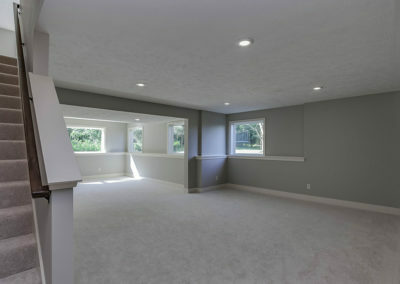 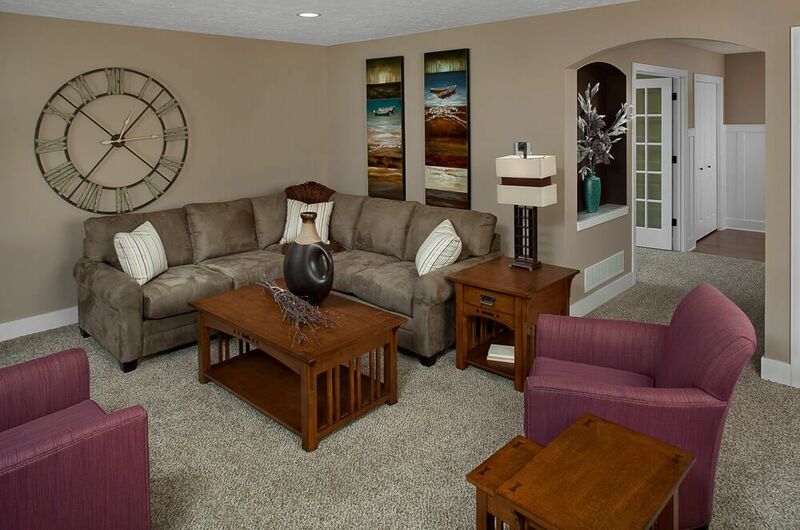 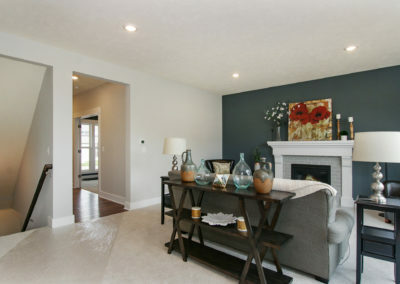 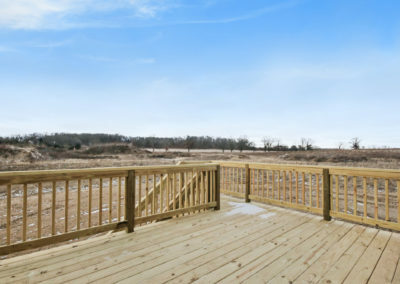 The Sanibel also includes a lower level, accessible from the family room. 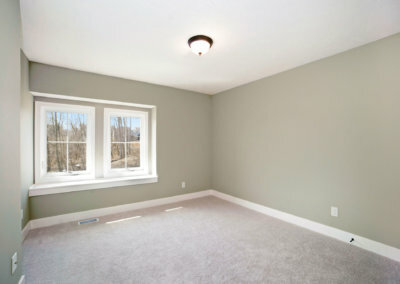 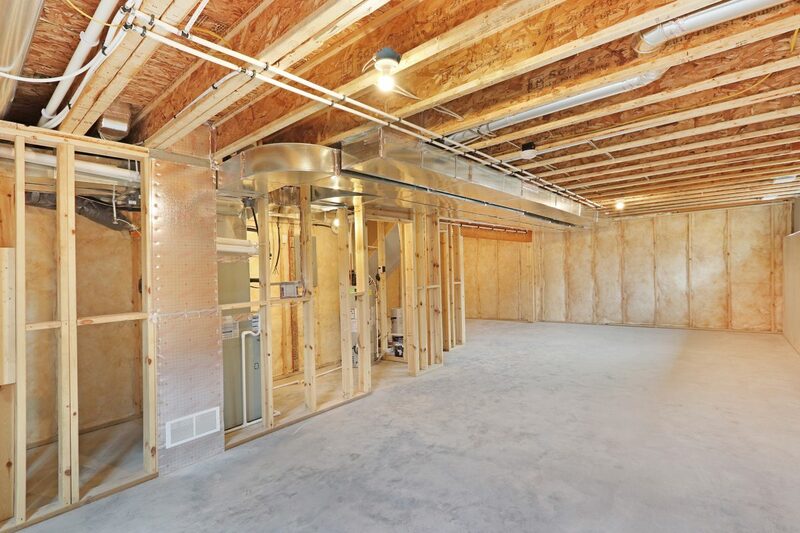 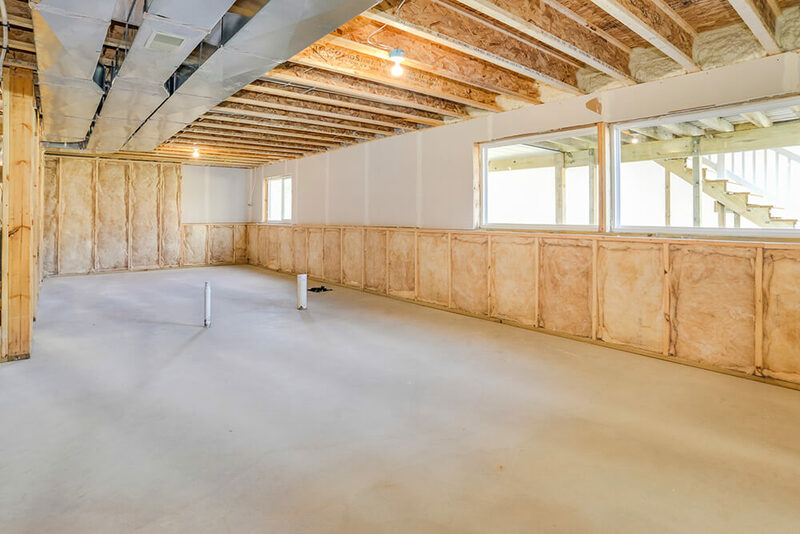 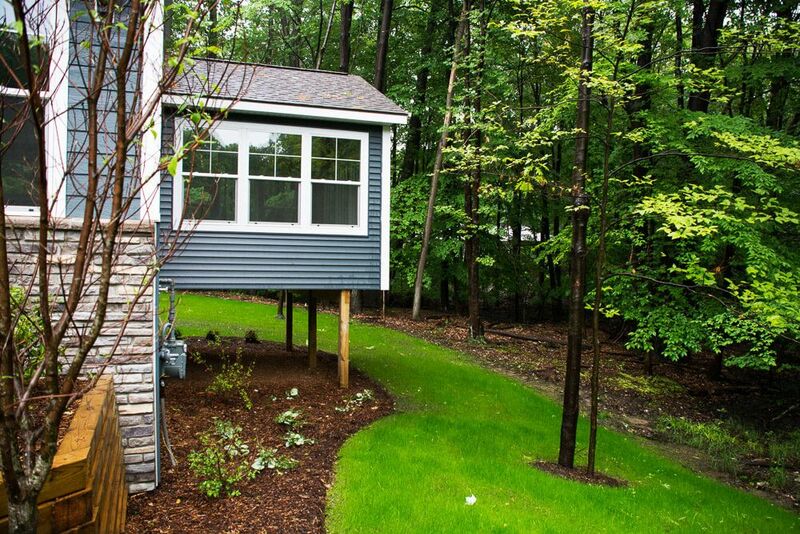 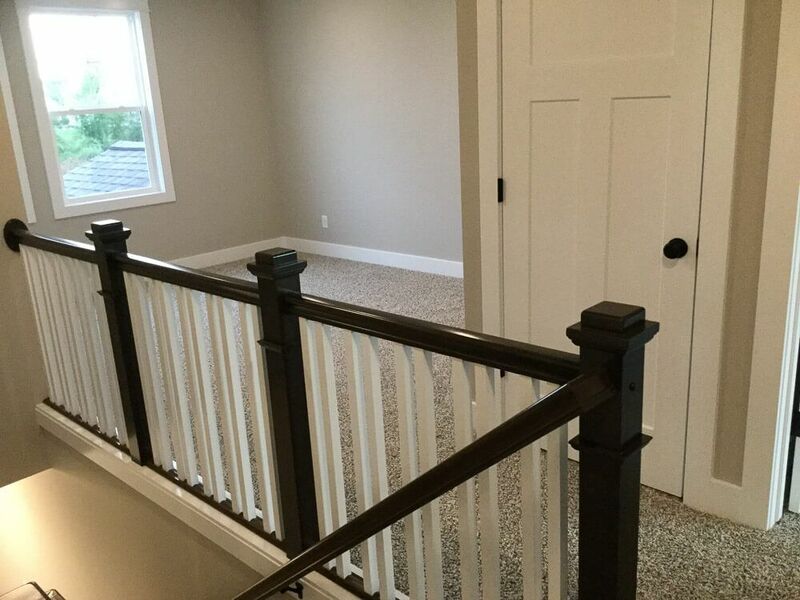 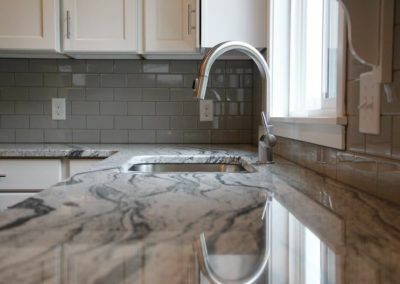 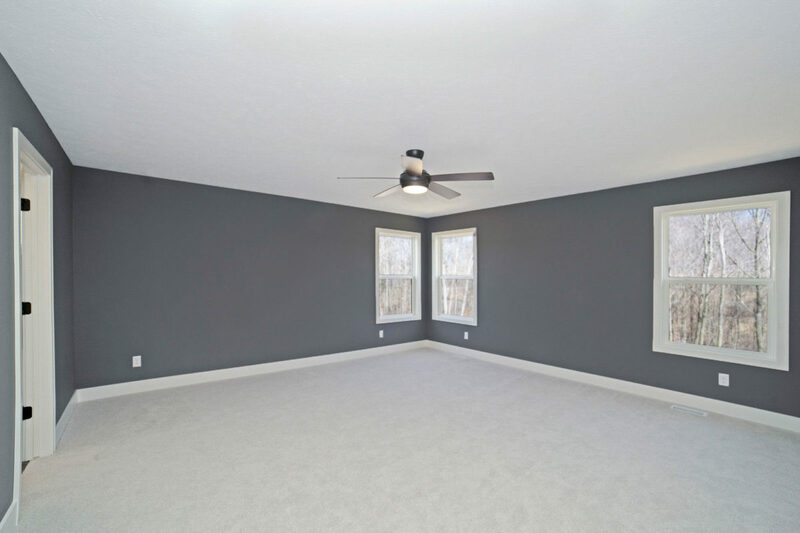 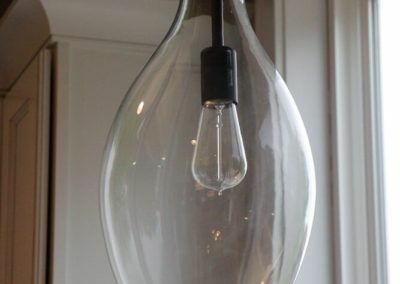 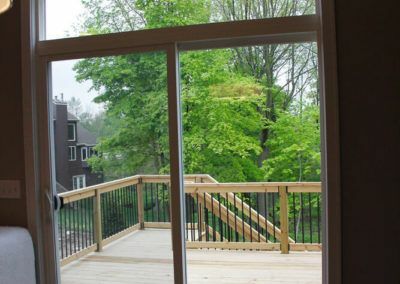 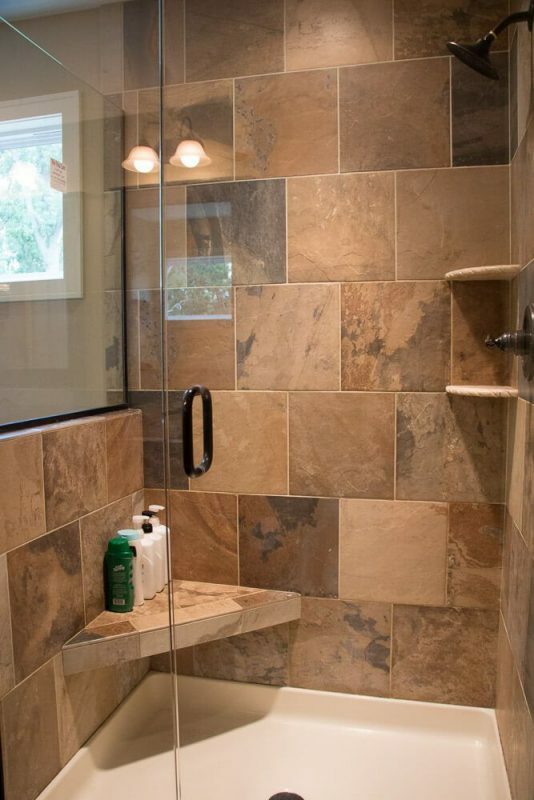 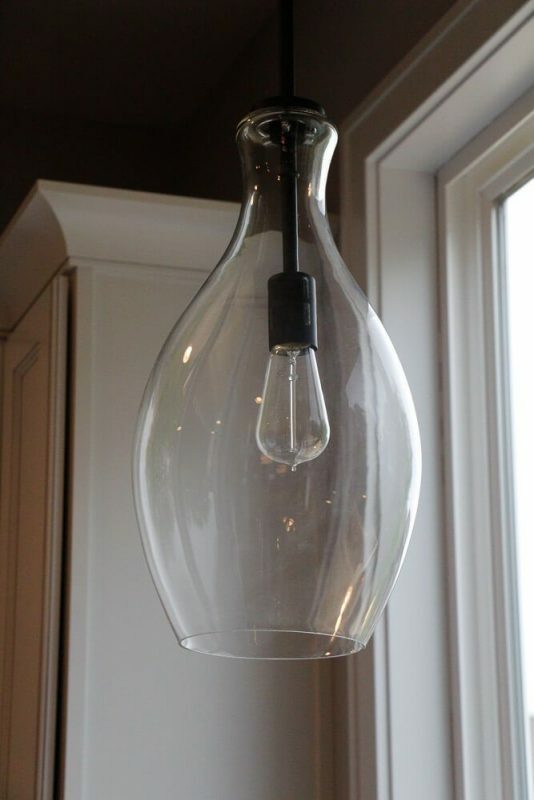 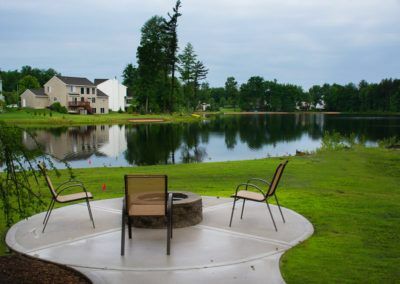 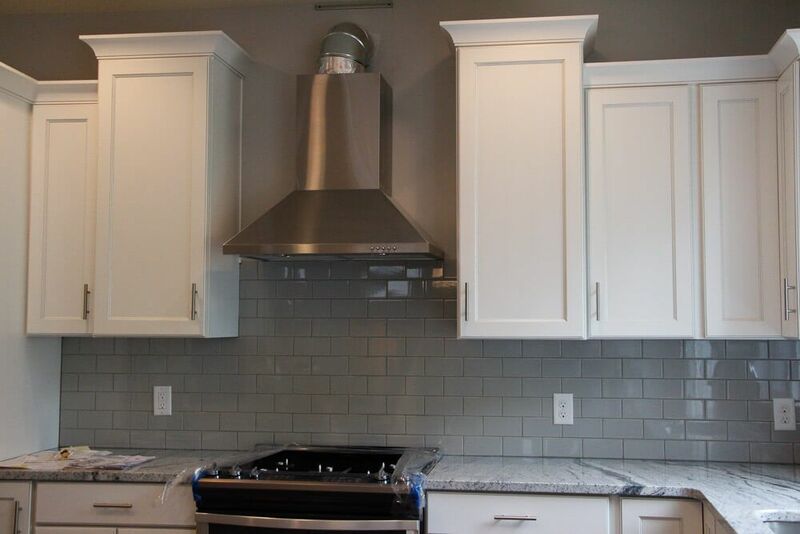 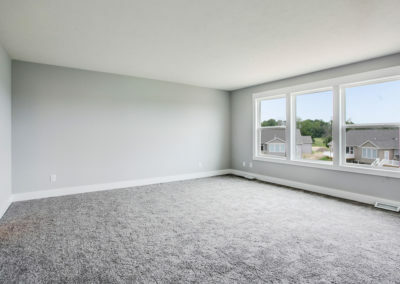 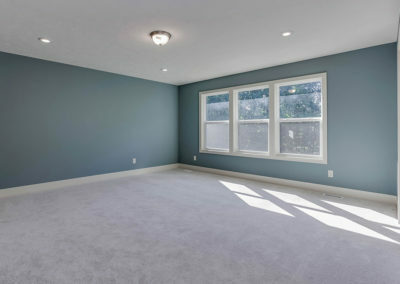 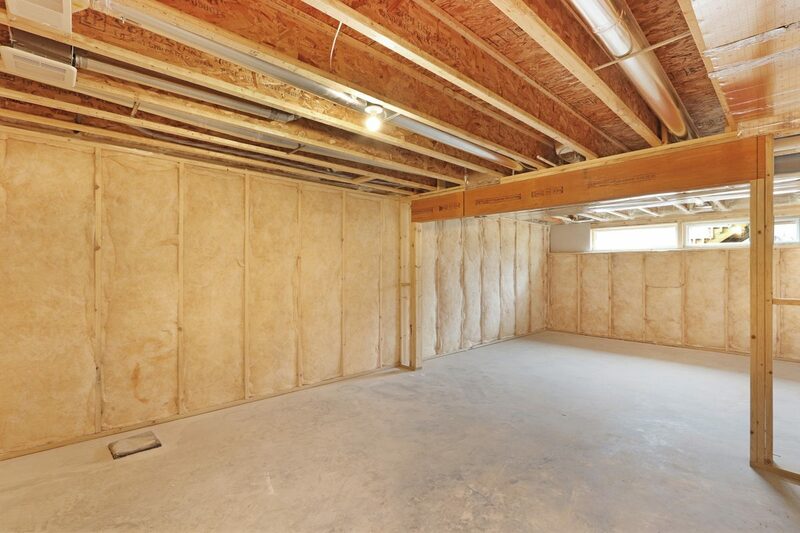 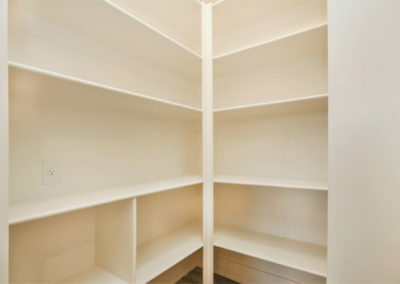 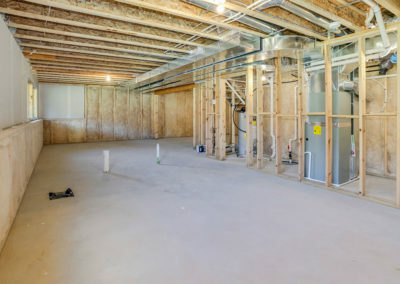 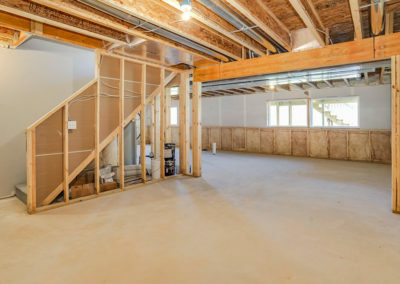 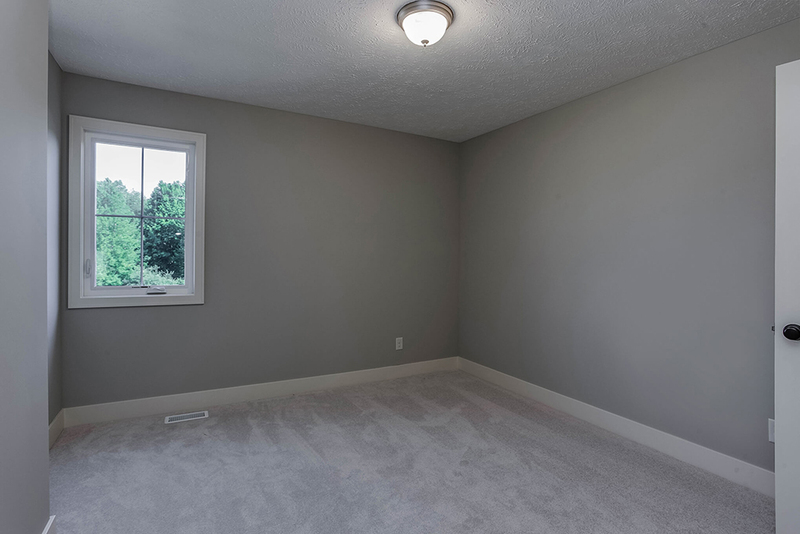 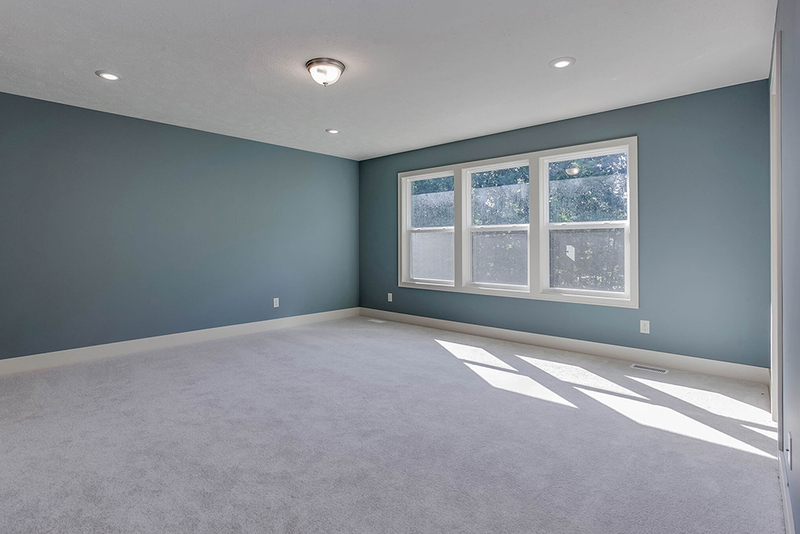 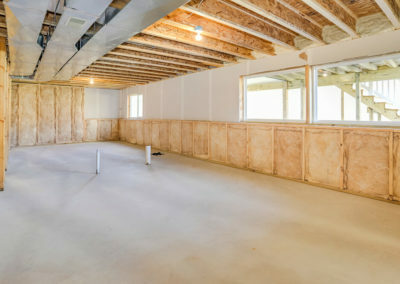 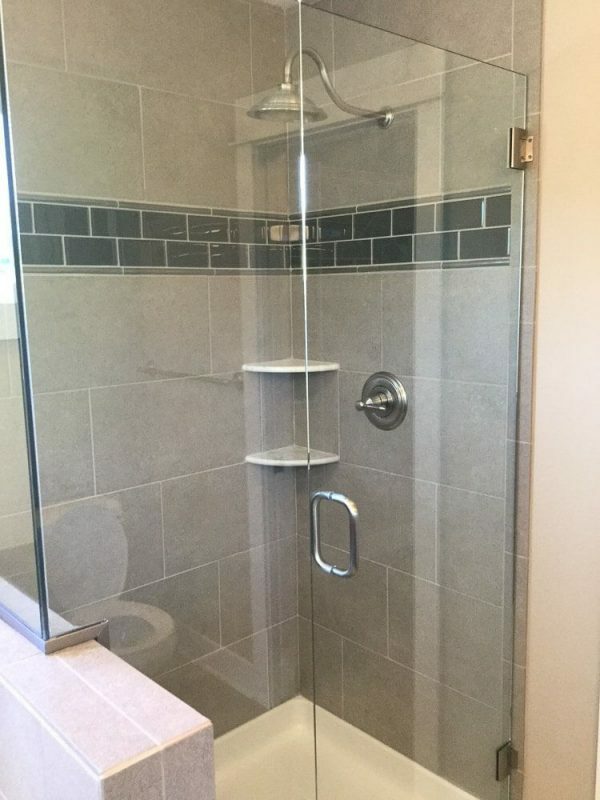 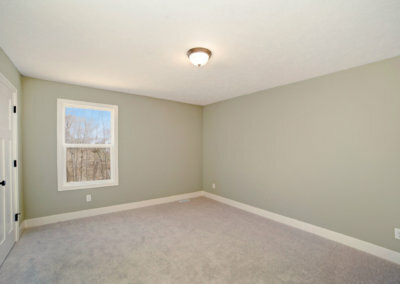 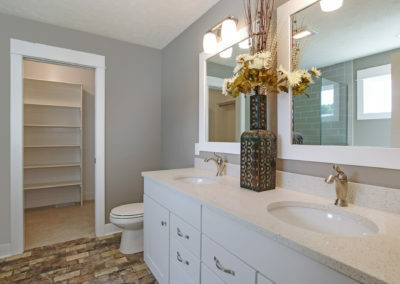 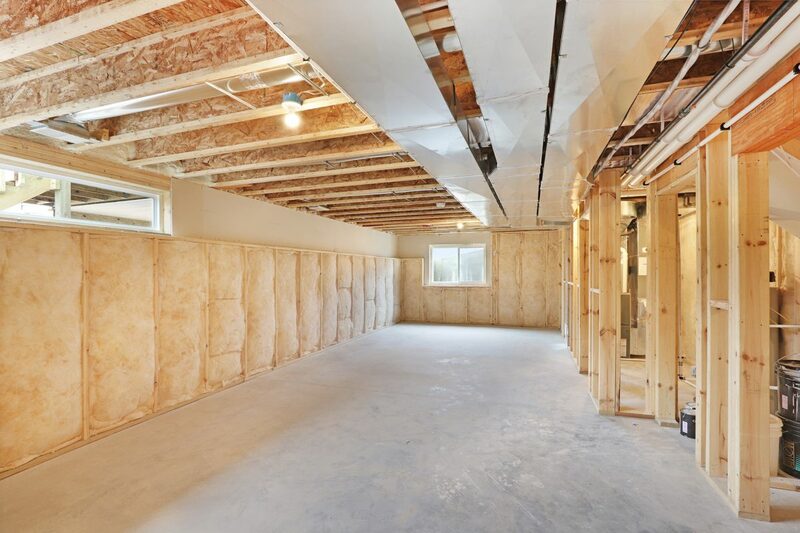 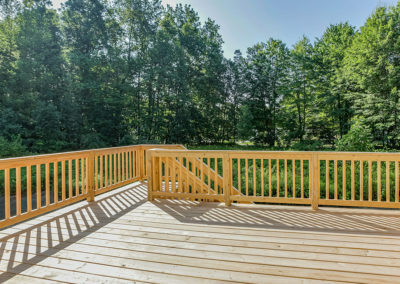 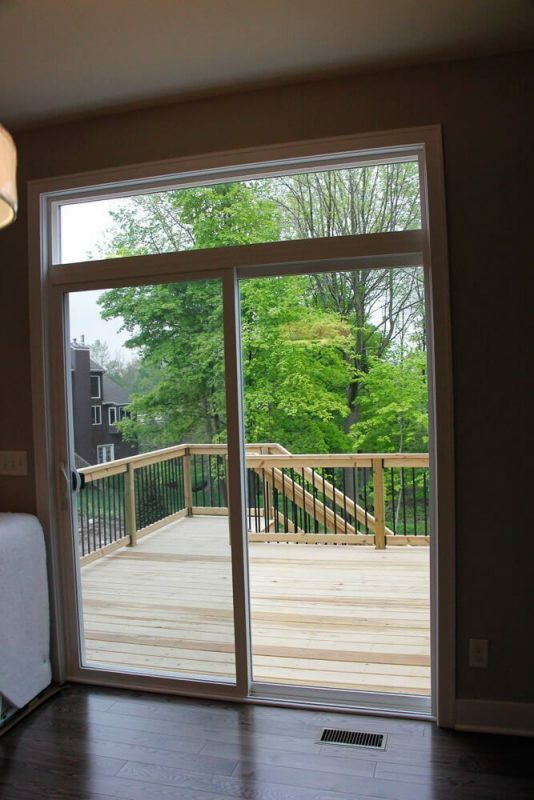 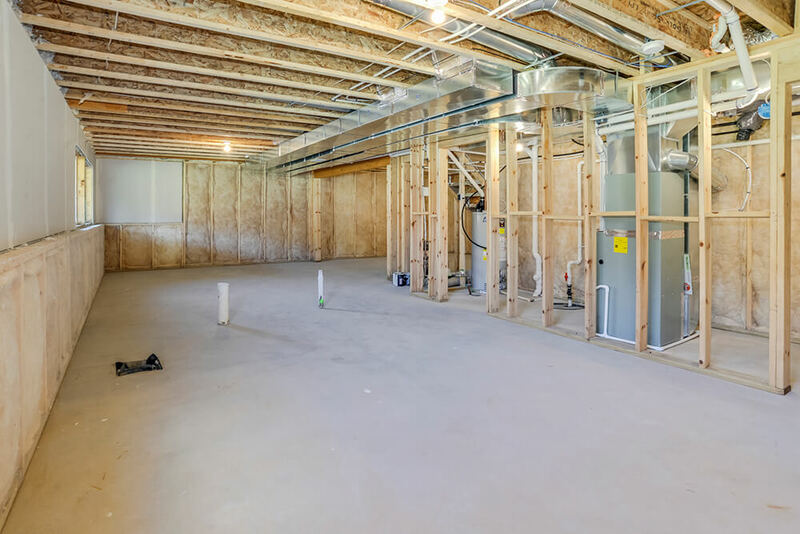 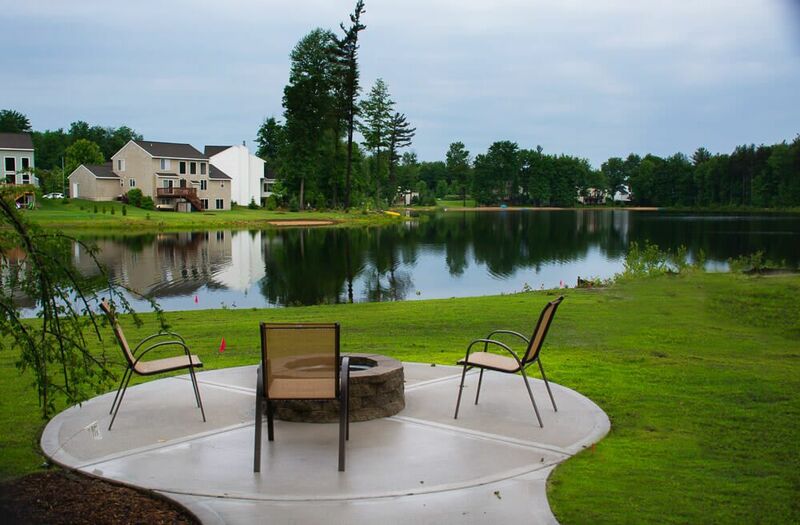 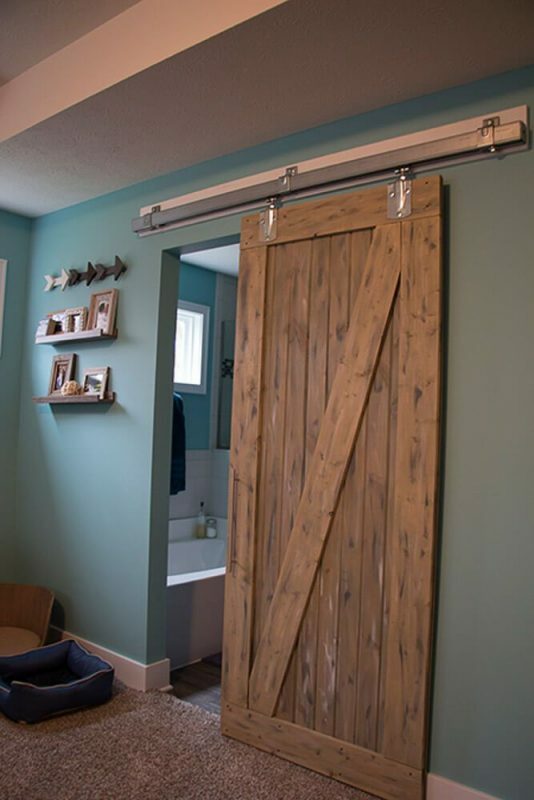 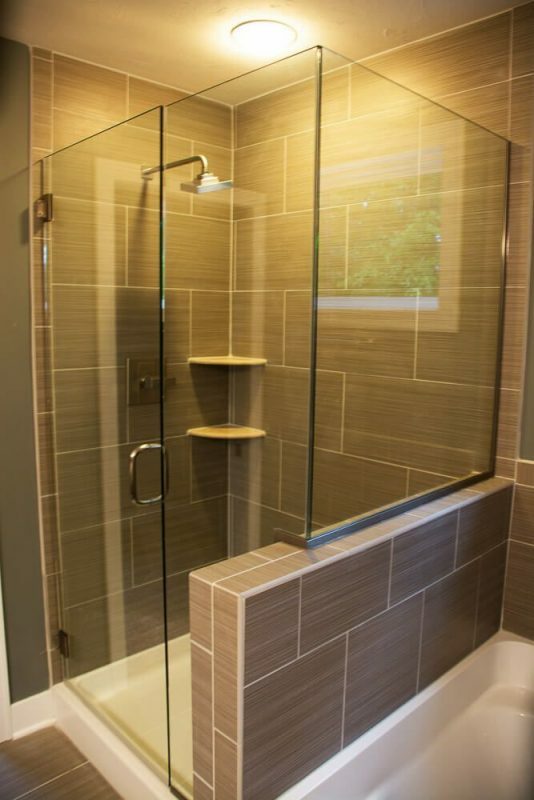 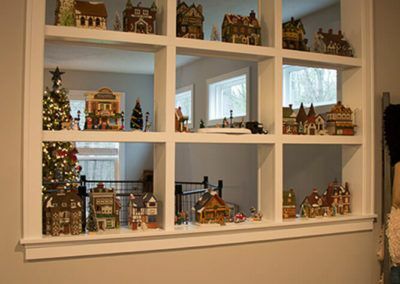 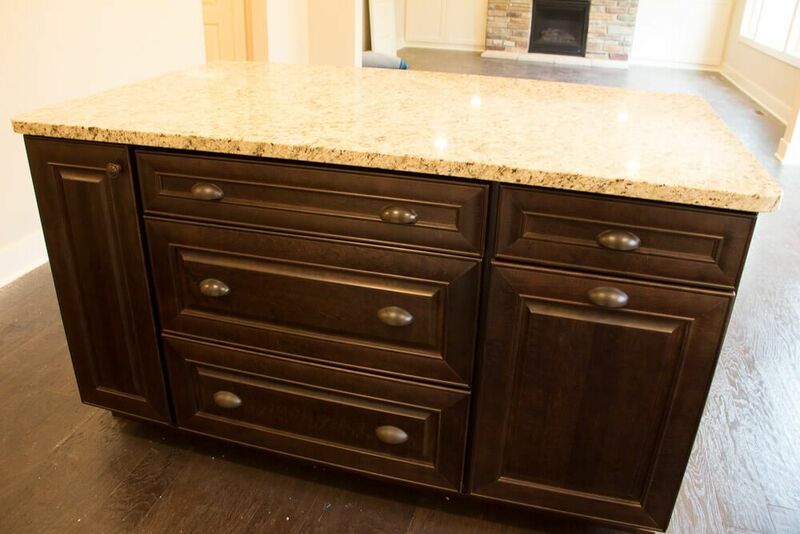 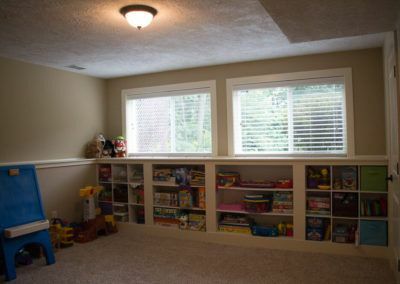 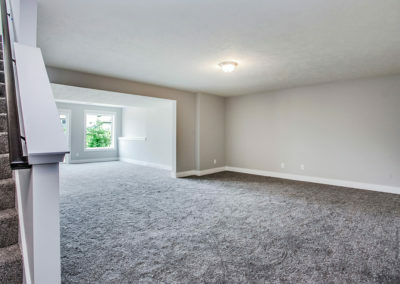 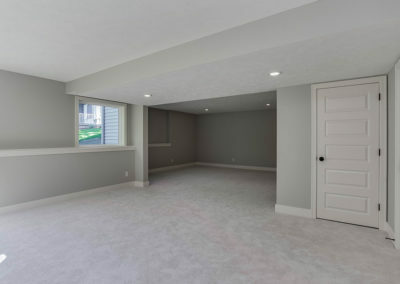 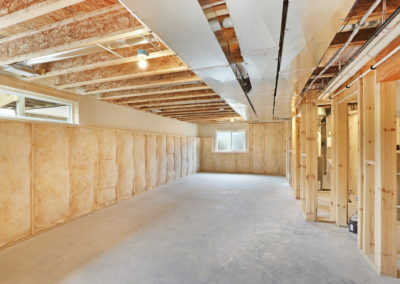 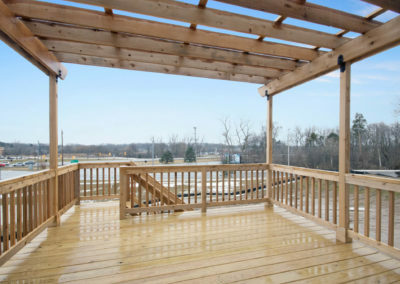 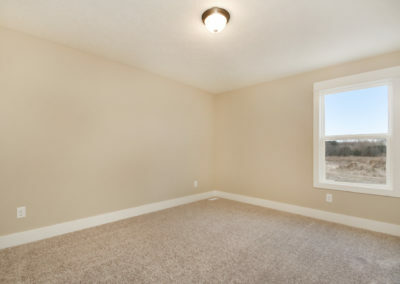 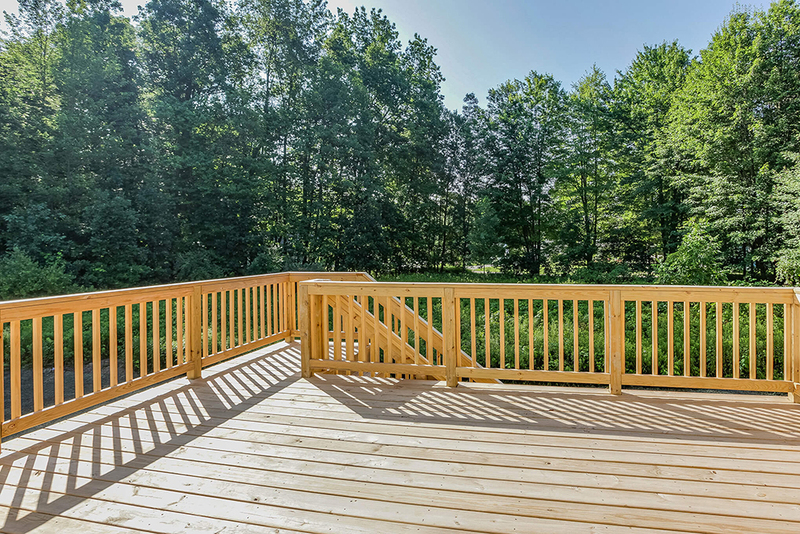 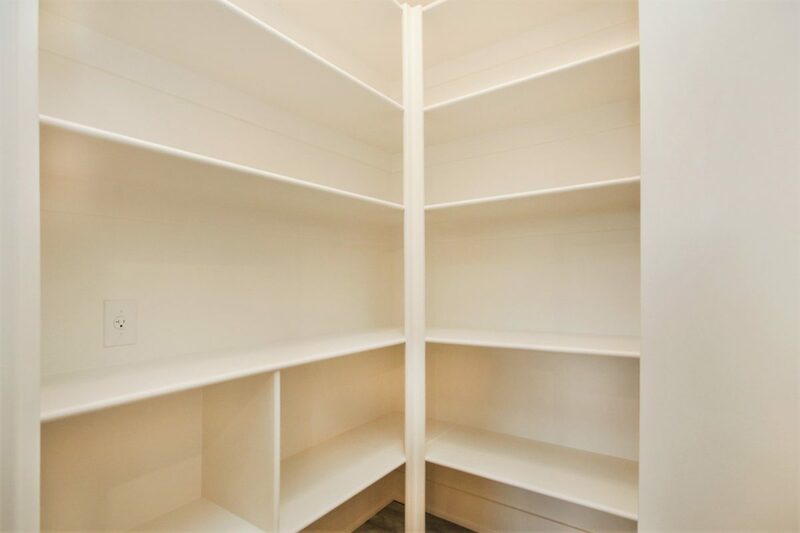 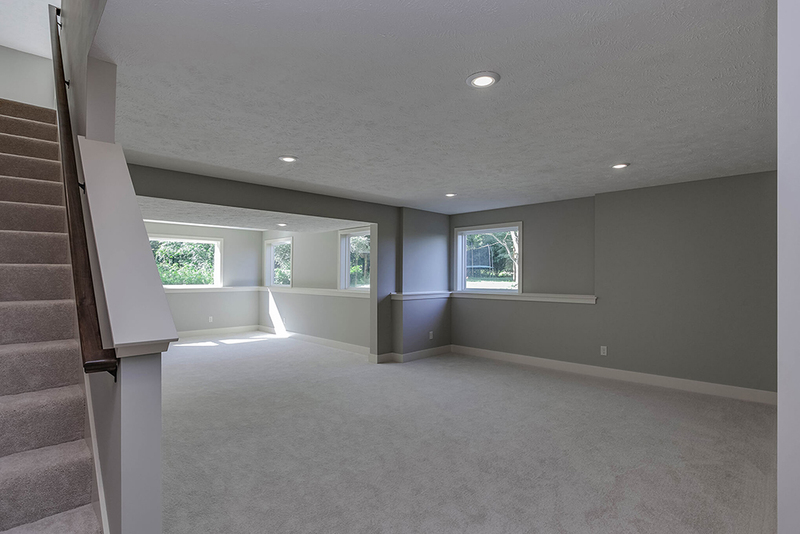 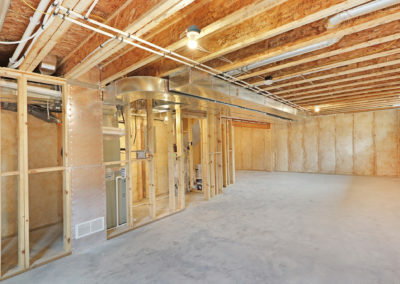 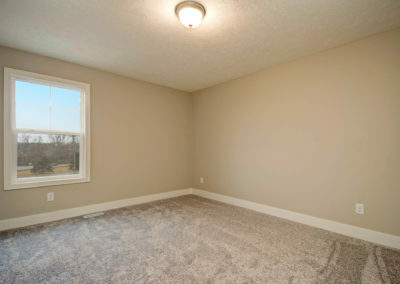 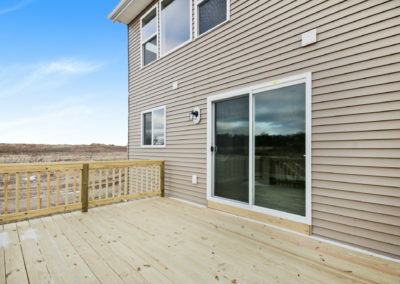 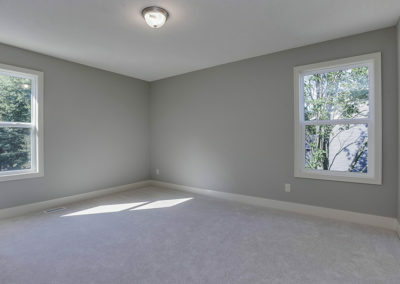 This space can remain unfinished or be built out during the construction process. 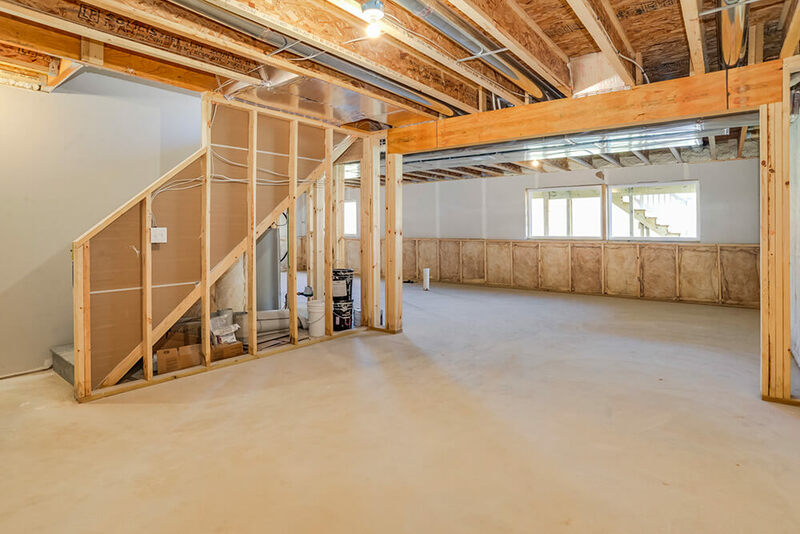 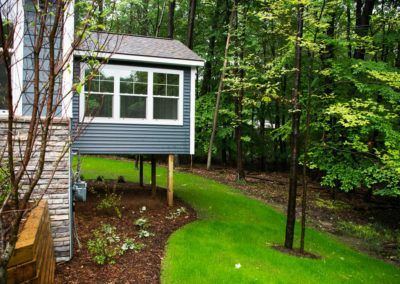 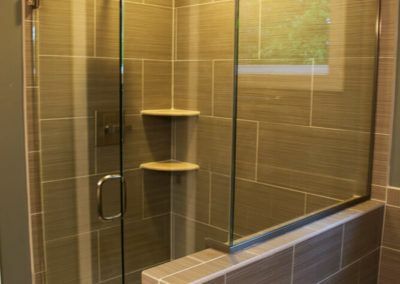 When finished, the lower level can include more living space, a partial or full bath, and additional bedrooms depending on your home site. 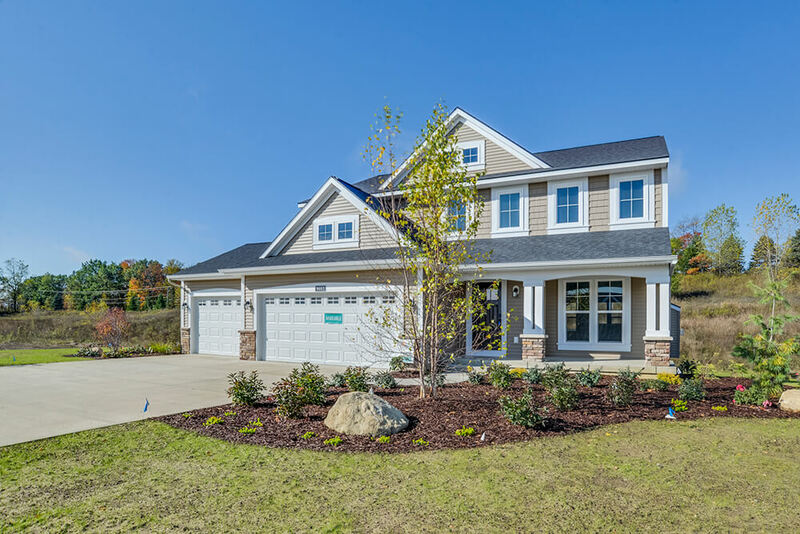 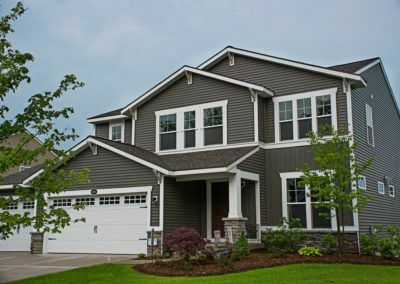 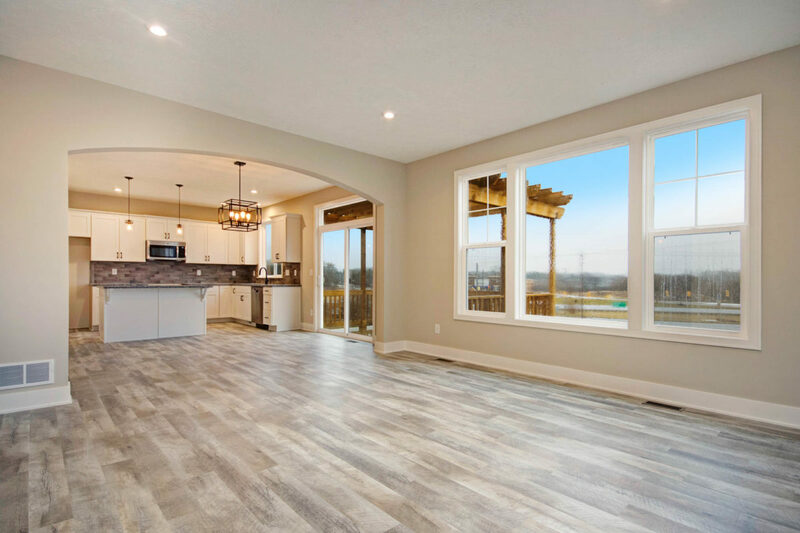 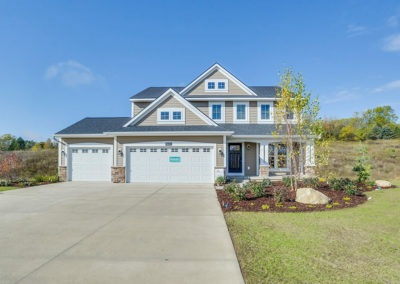 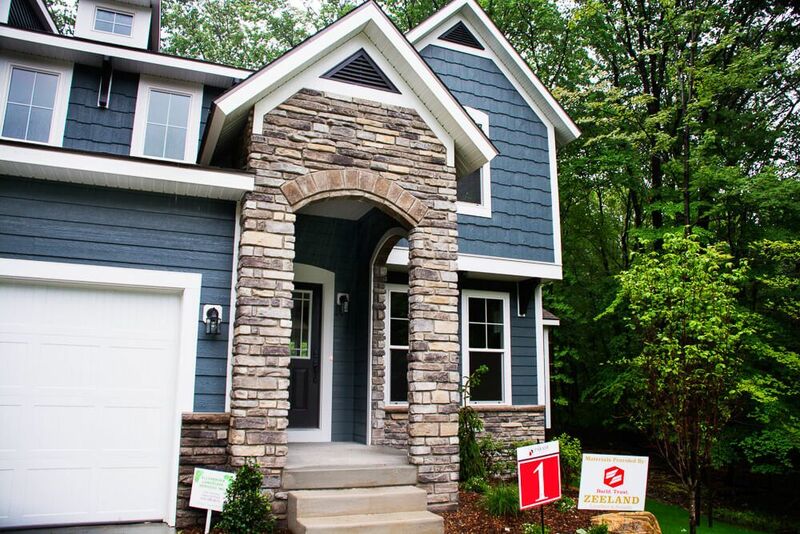 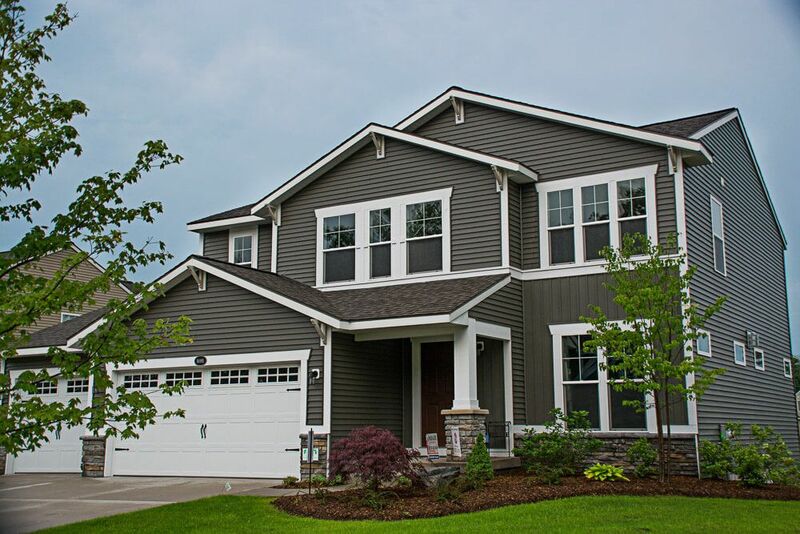 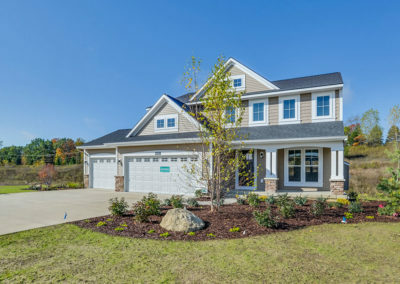 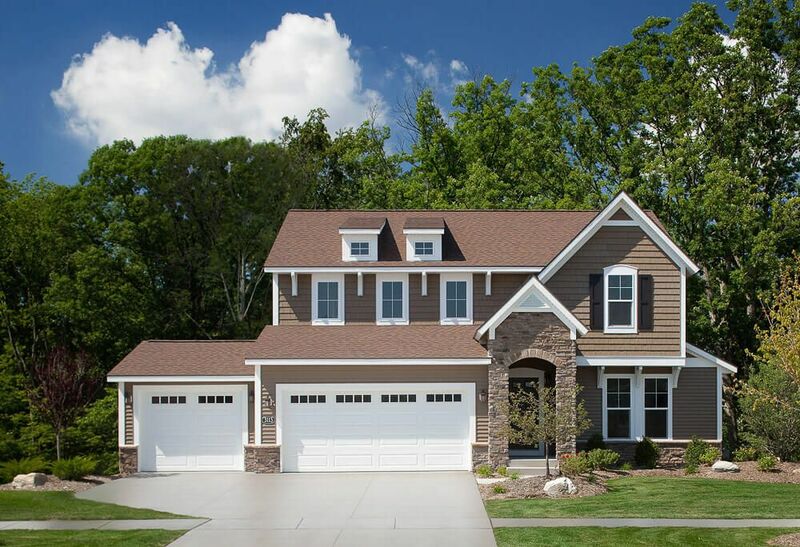 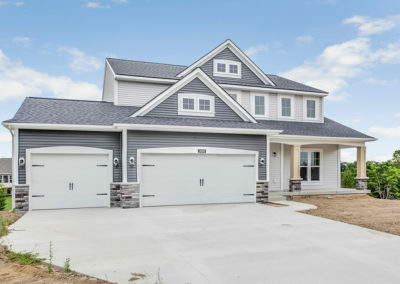 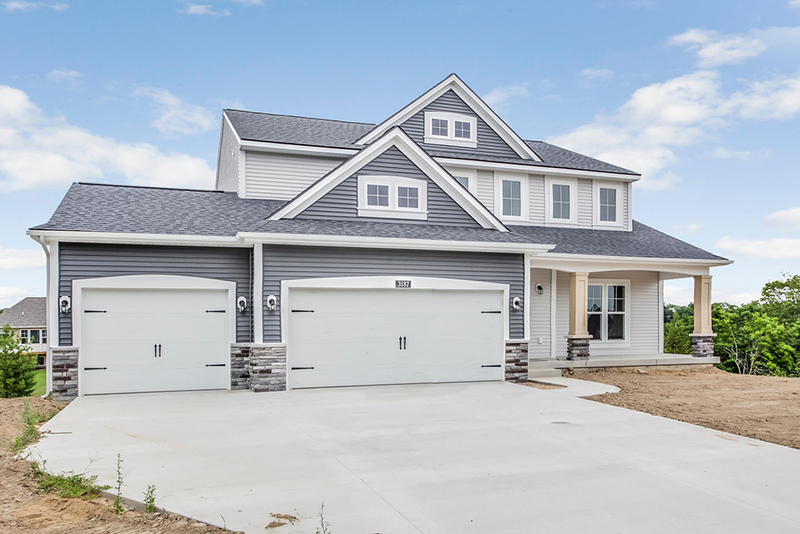 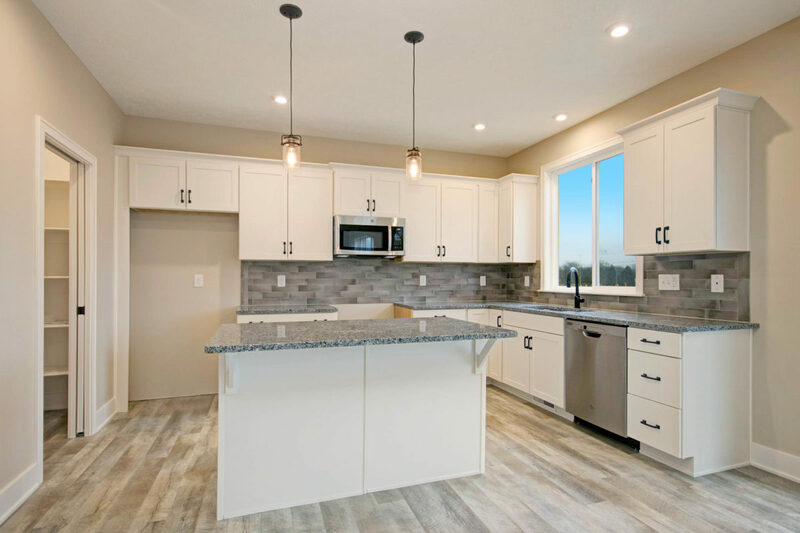 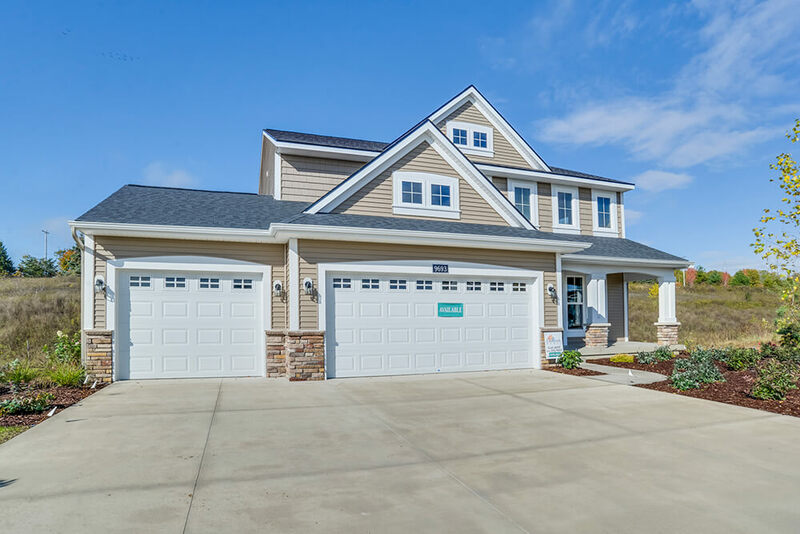 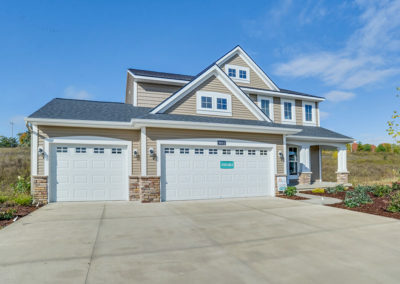 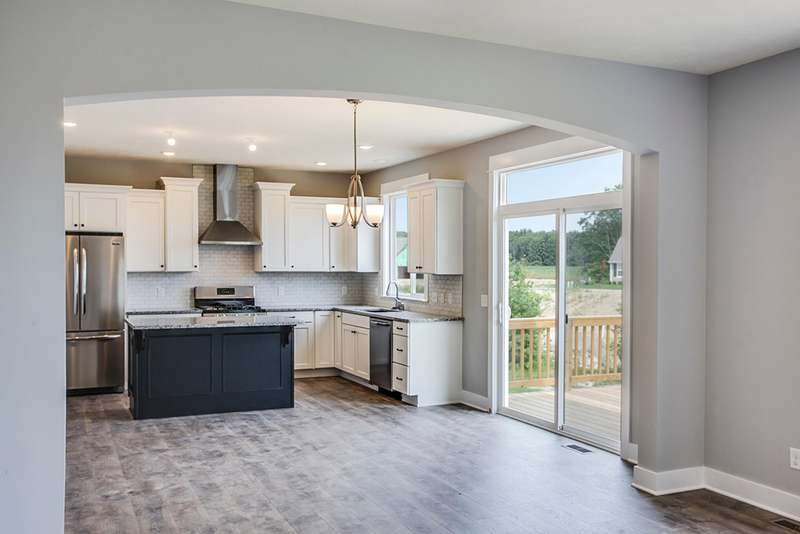 Spacious, comfortable, and flexible, the Sanibel home plan, like all Eastbrook designs, offers industry-leading style, value, and energy efficiency. 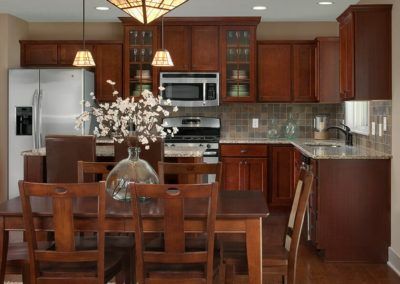 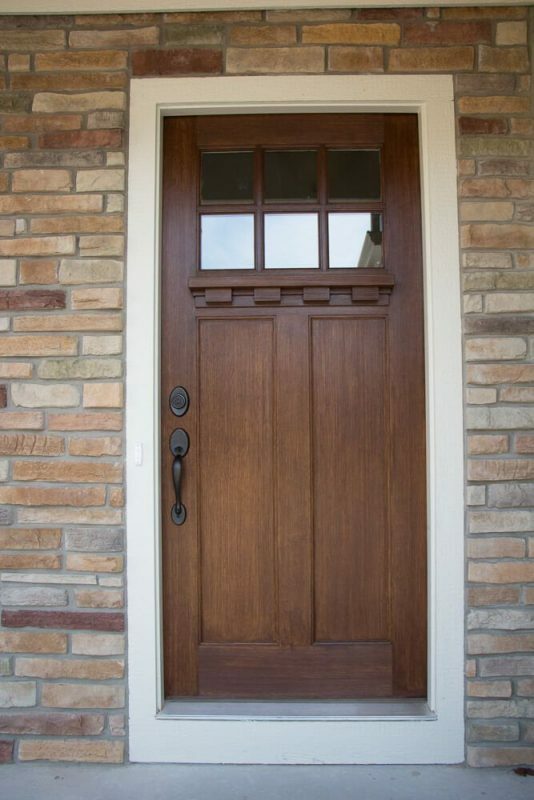 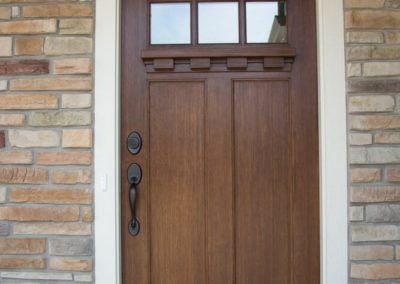 Start with the Sanibel plan and personalize a home that you and your family will love for a lifetime.